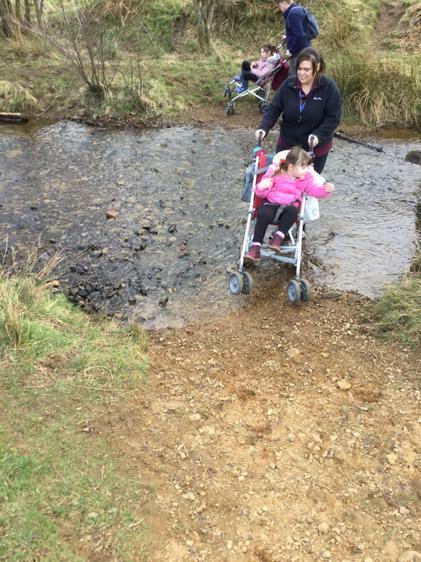 Sue, Chelsea, Vicky and Millie. 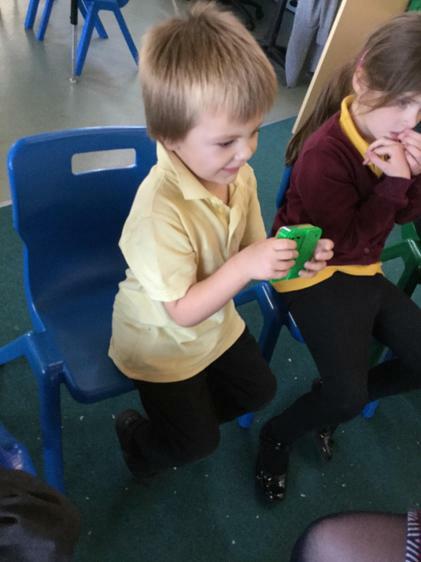 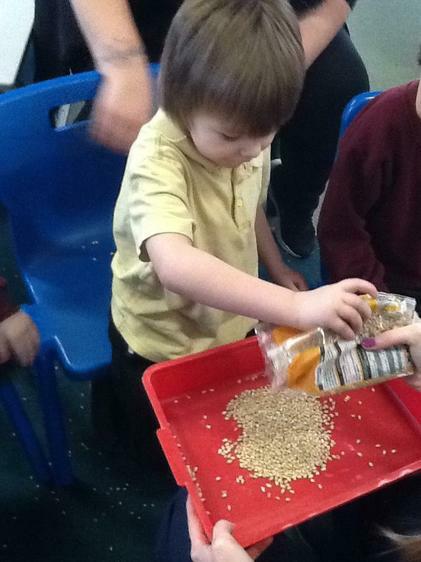 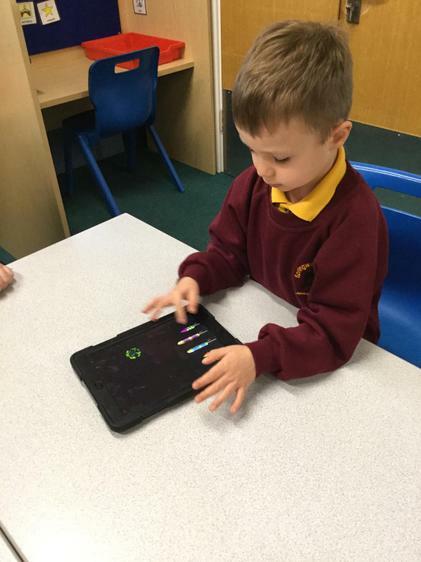 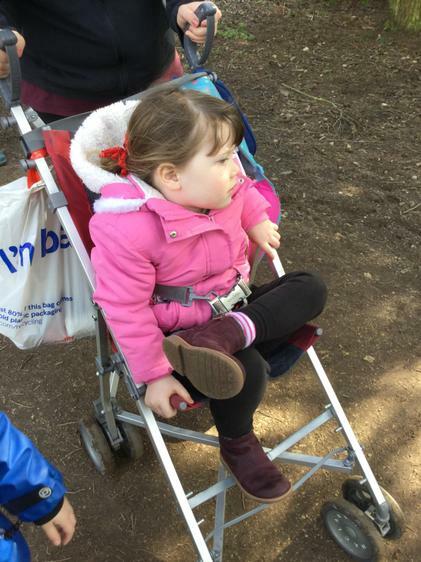 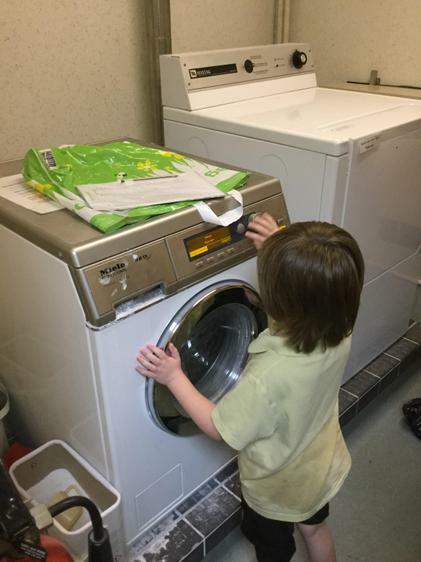 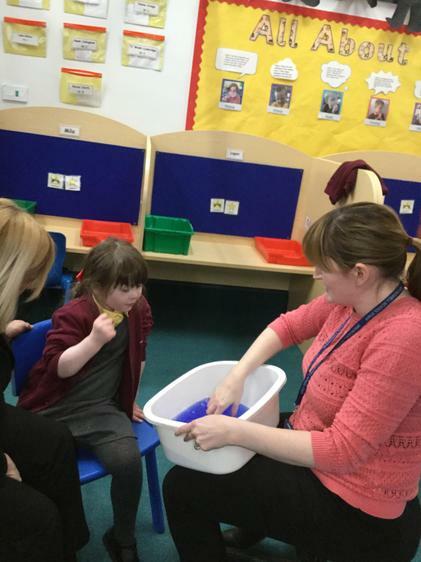 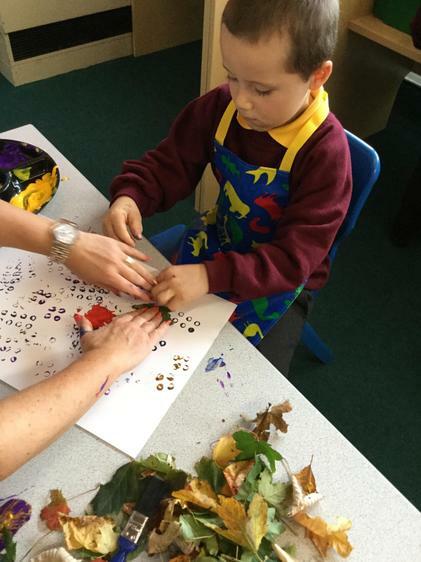 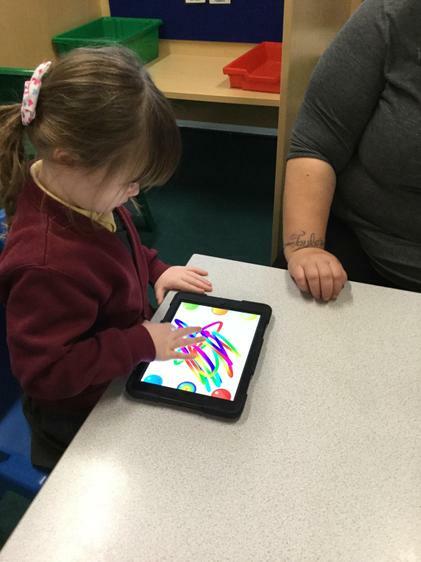 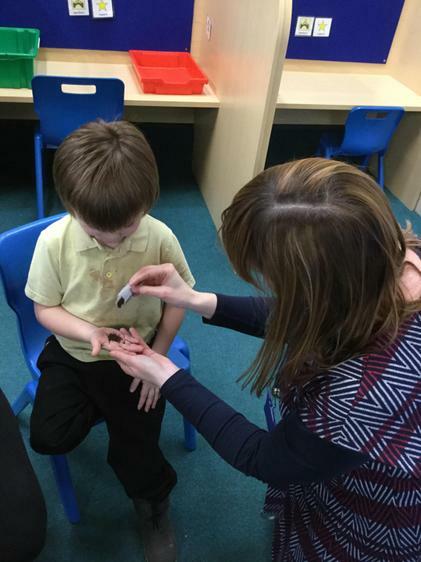 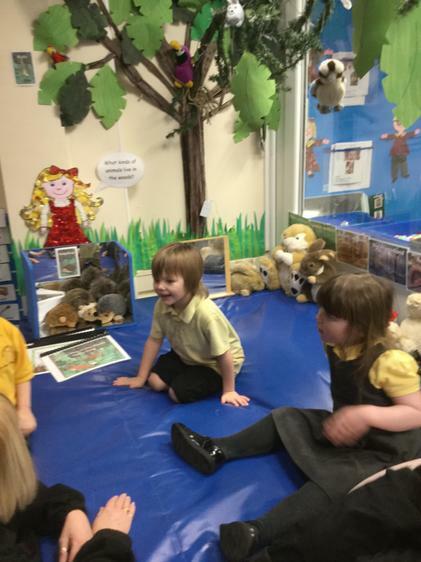 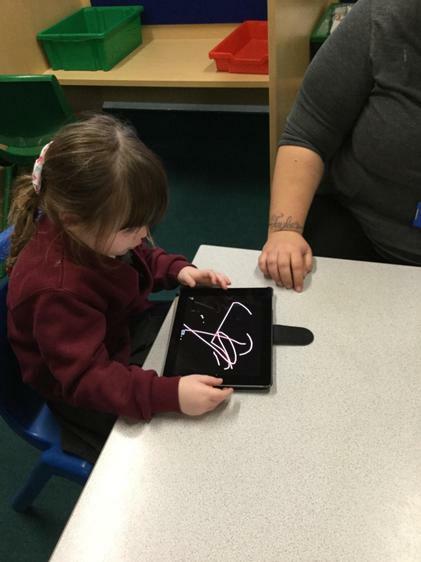 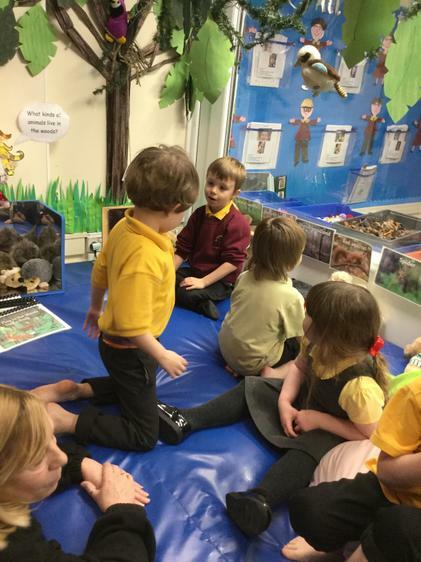 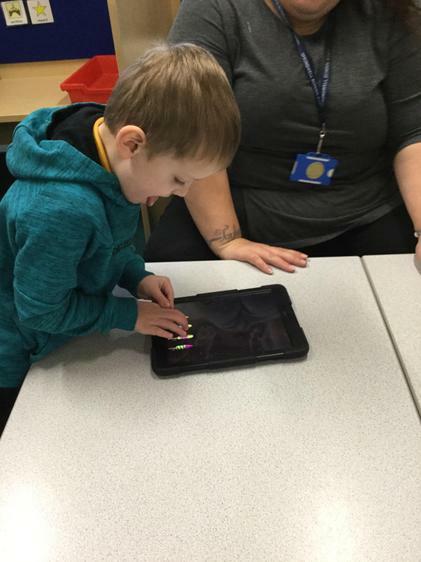 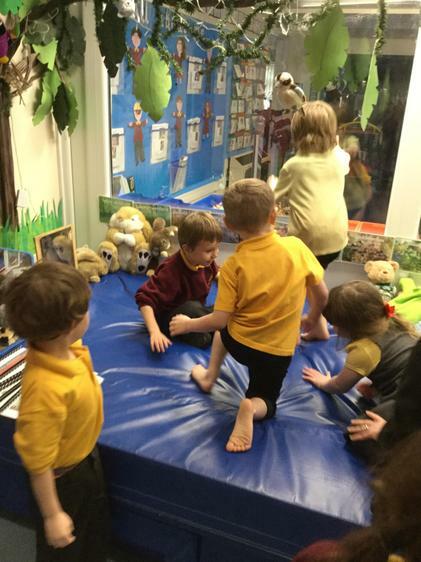 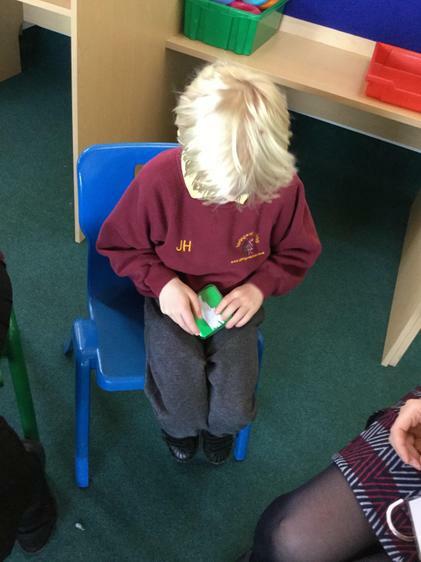 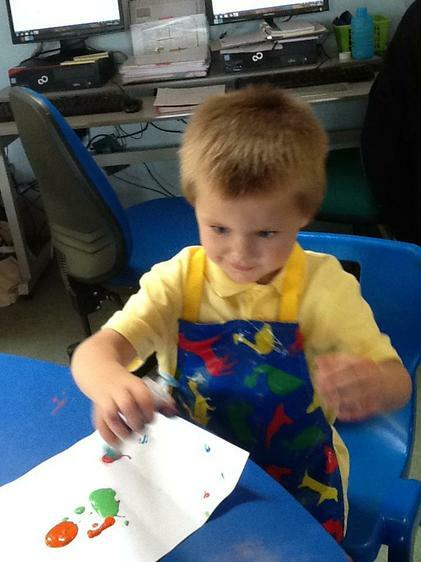 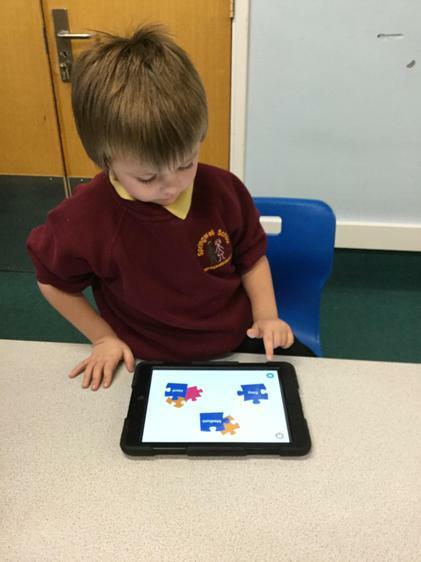 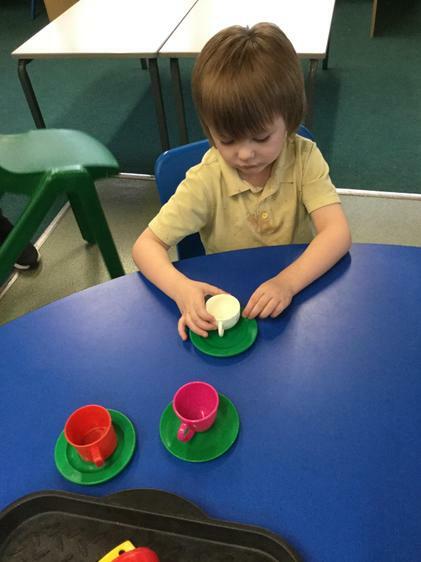 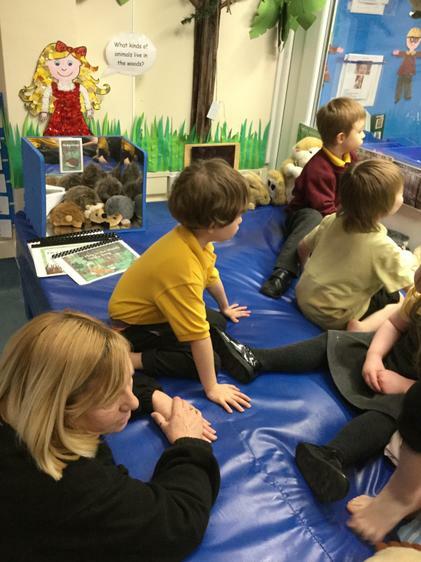 We are an Early Years/Key Stage 1 ASD specific class. 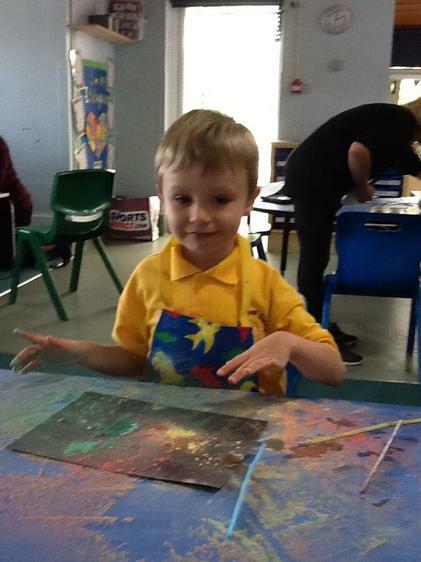 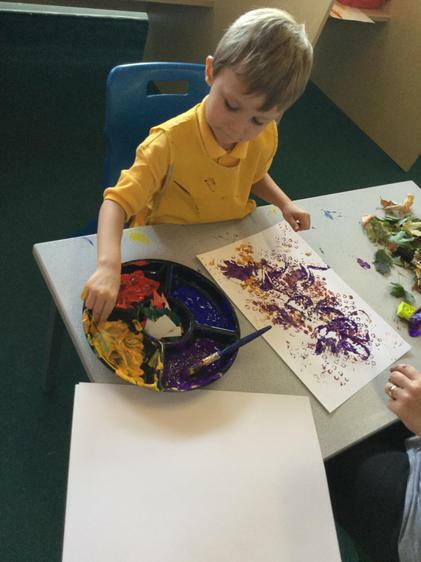 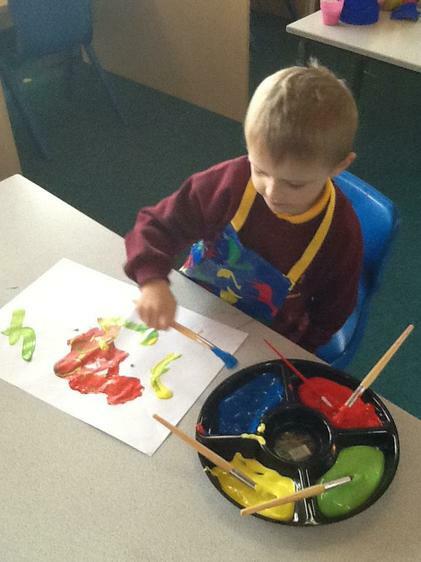 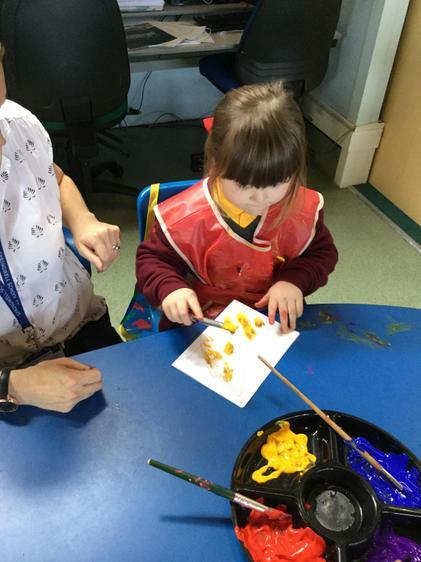 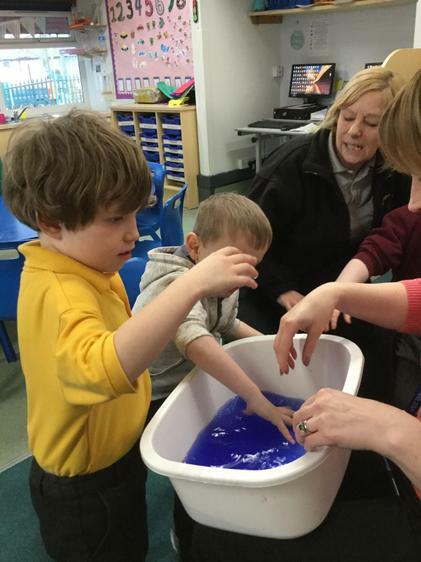 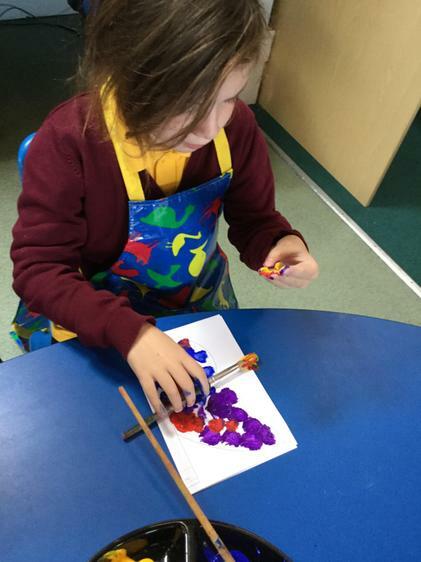 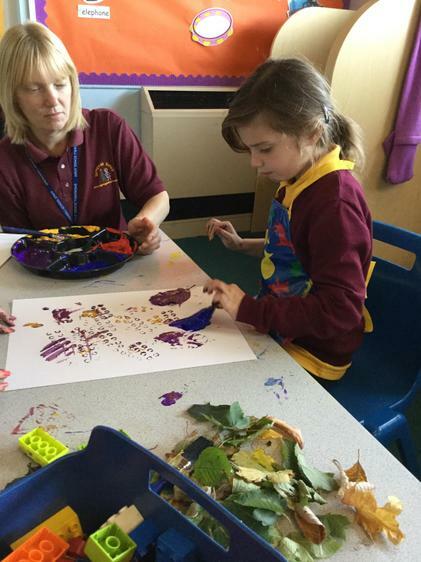 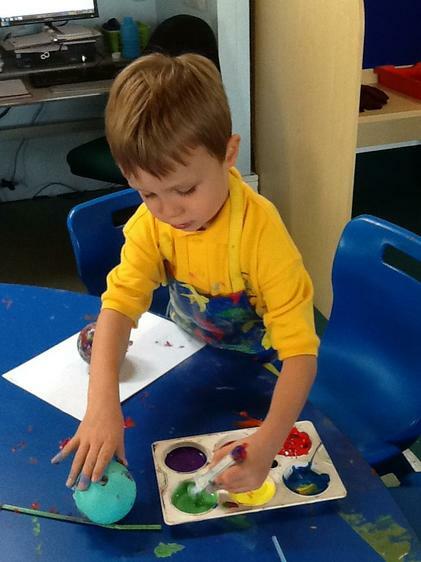 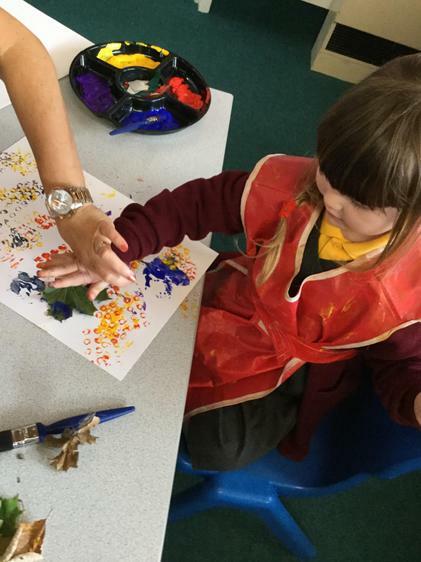 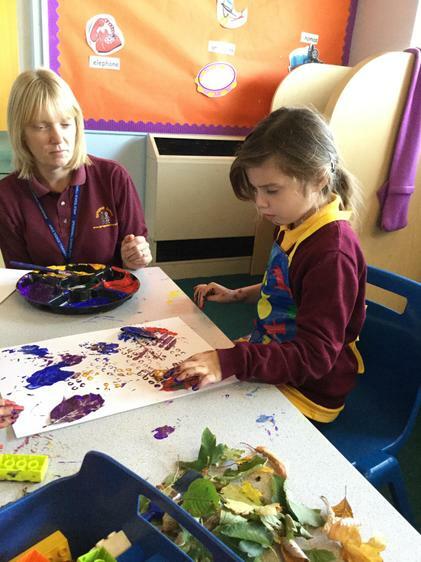 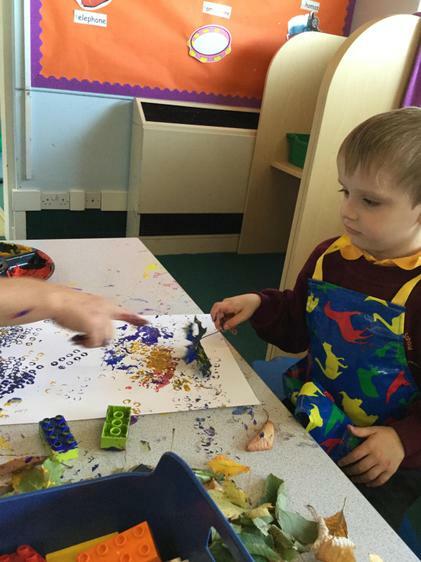 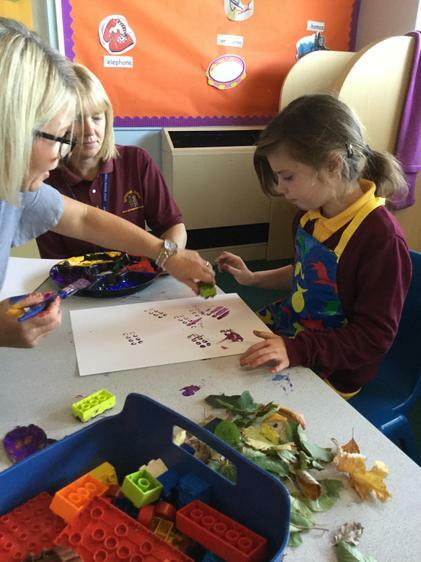 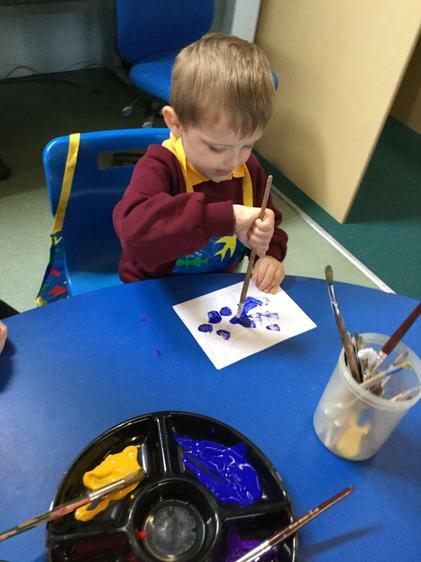 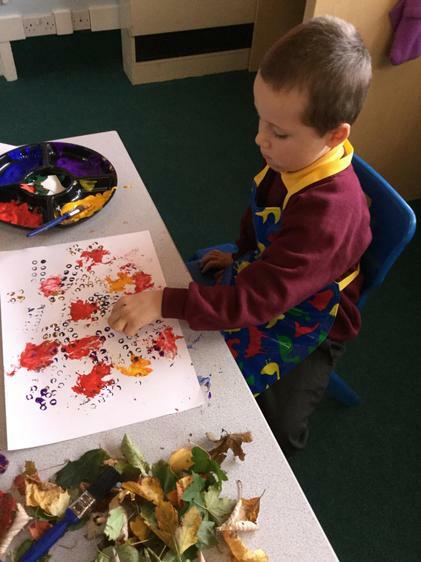 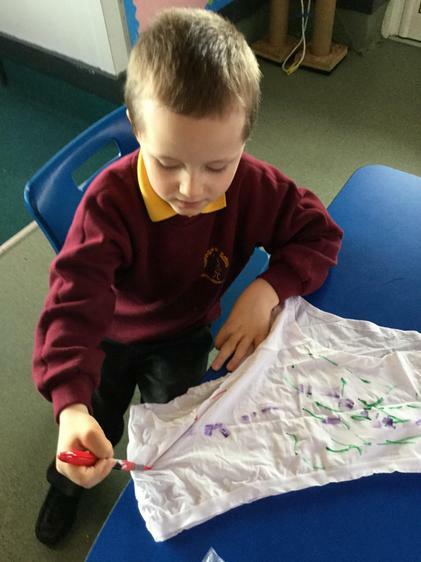 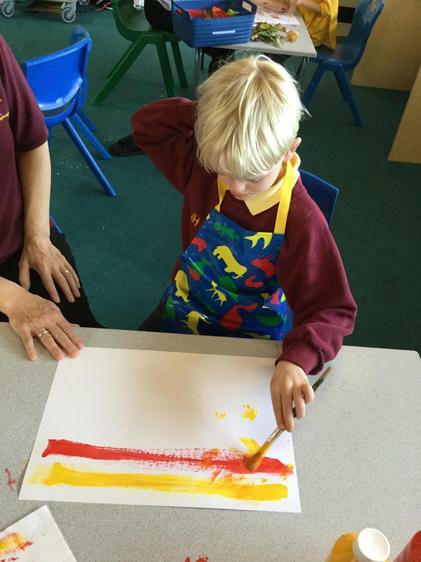 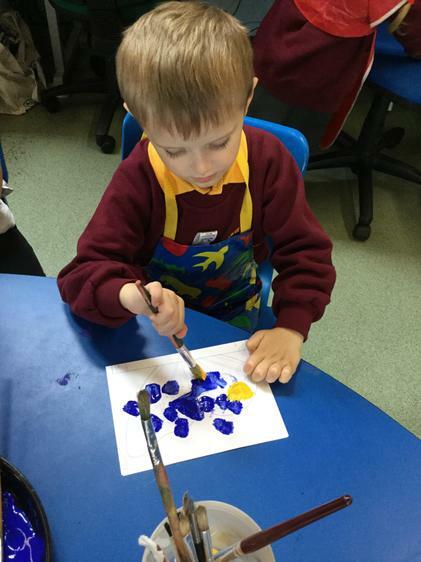 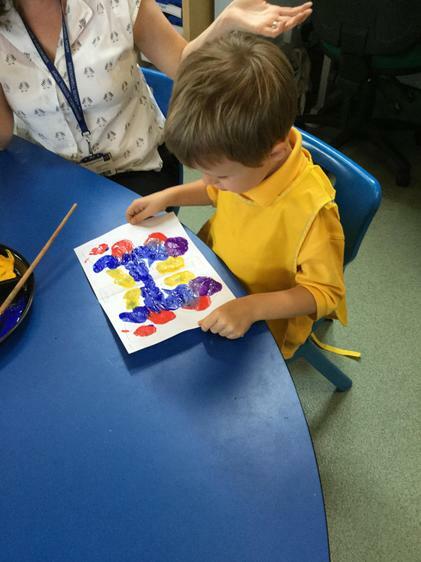 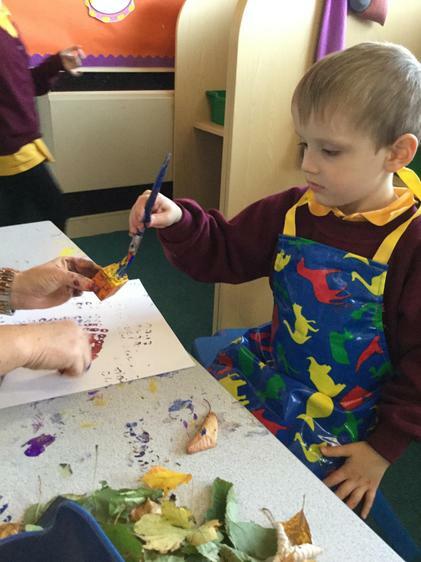 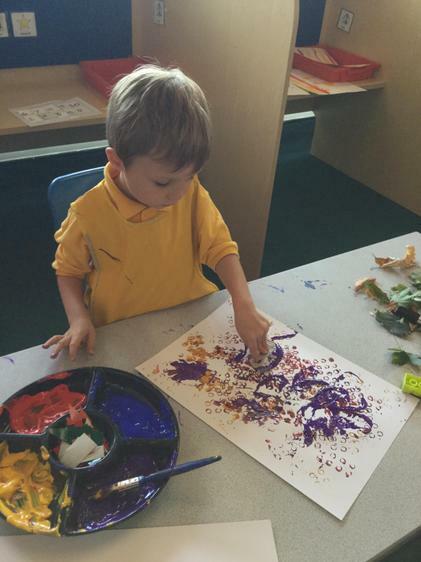 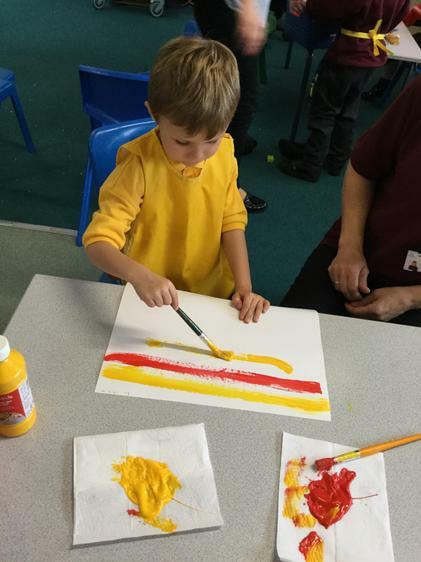 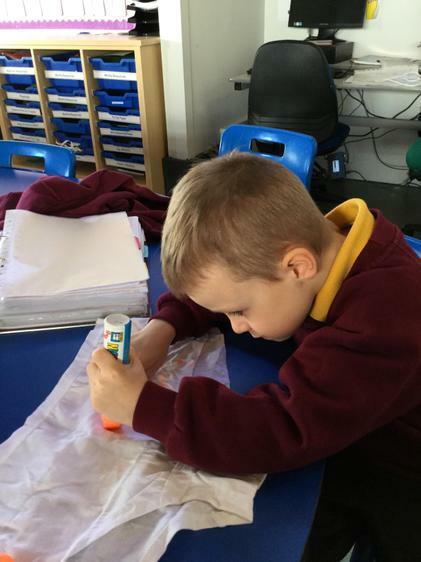 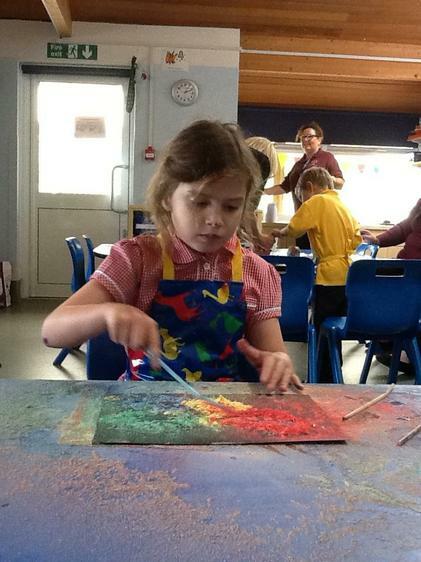 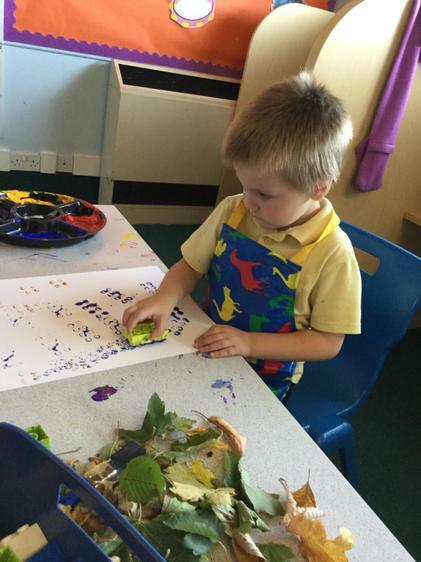 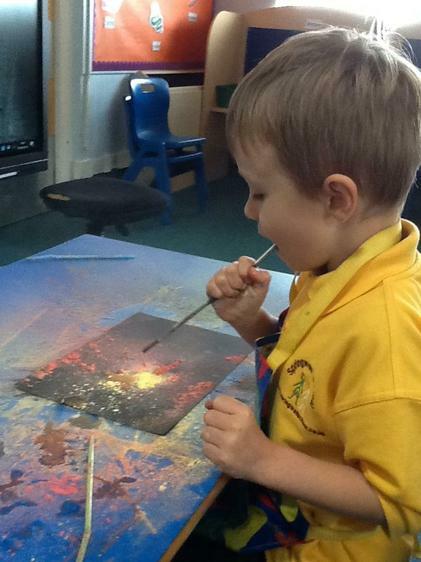 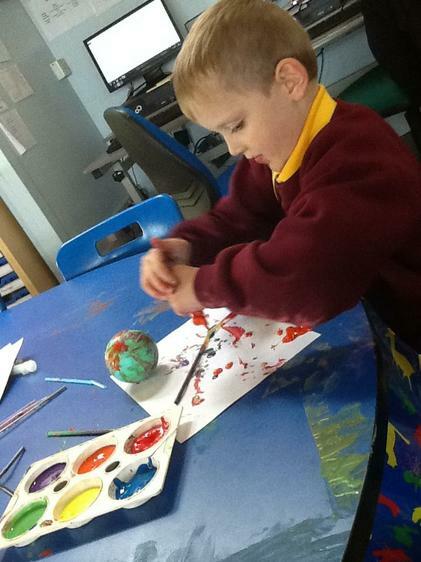 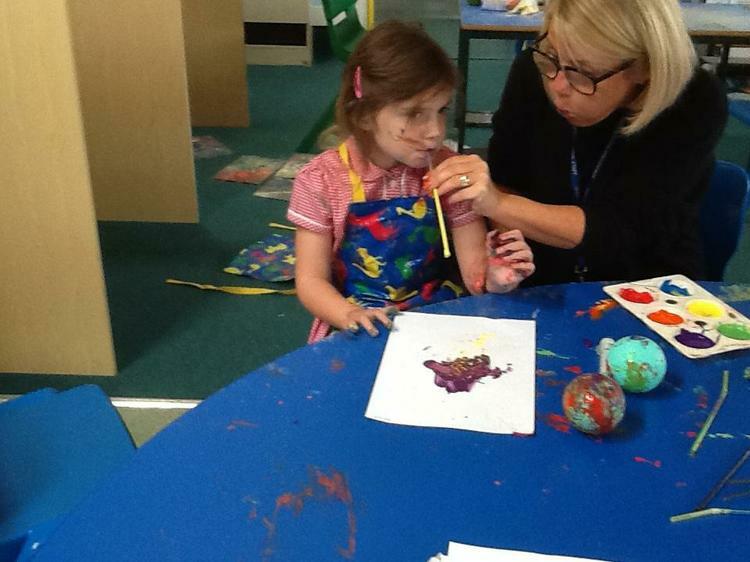 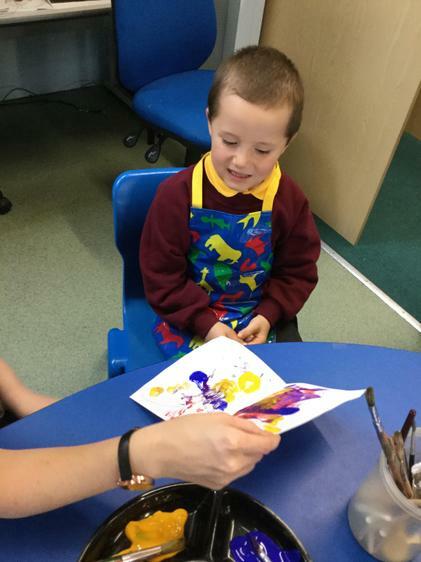 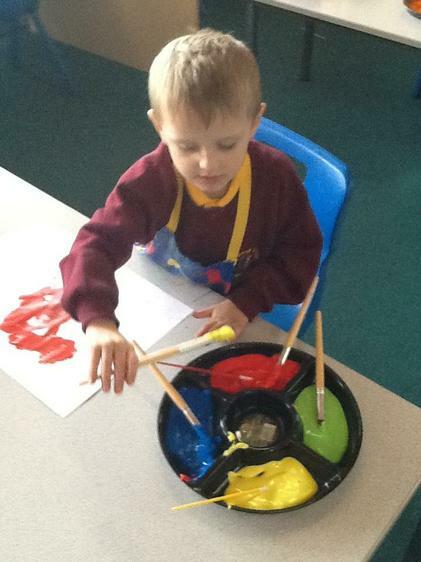 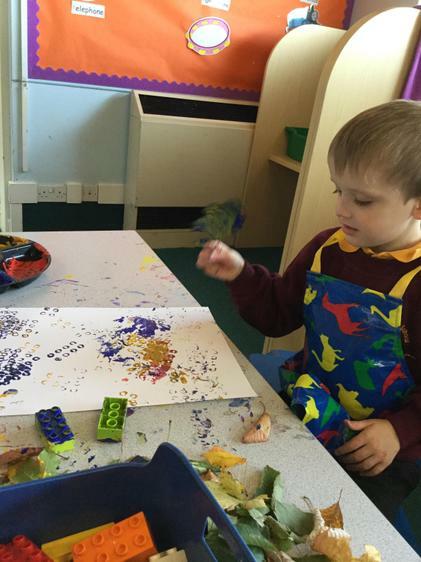 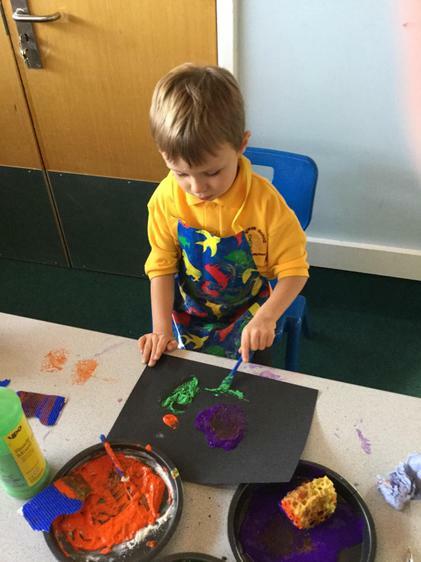 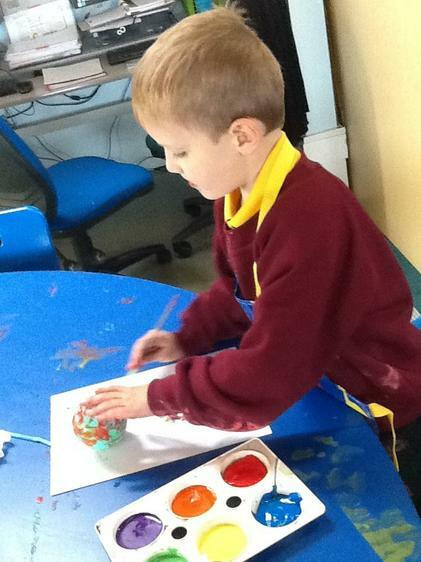 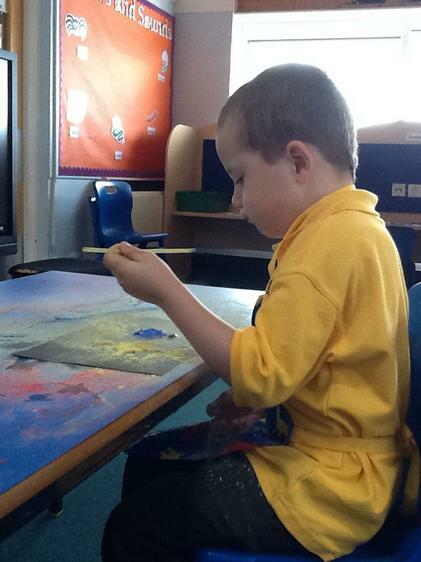 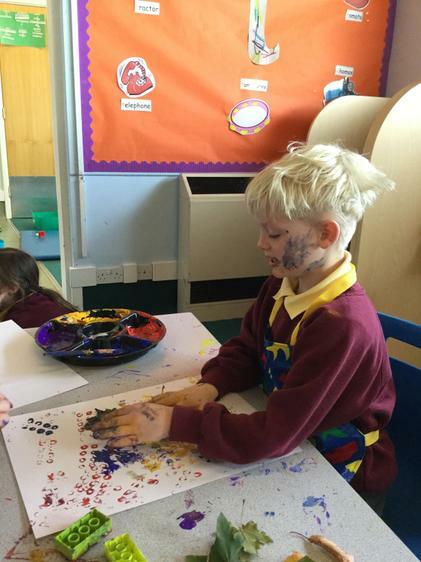 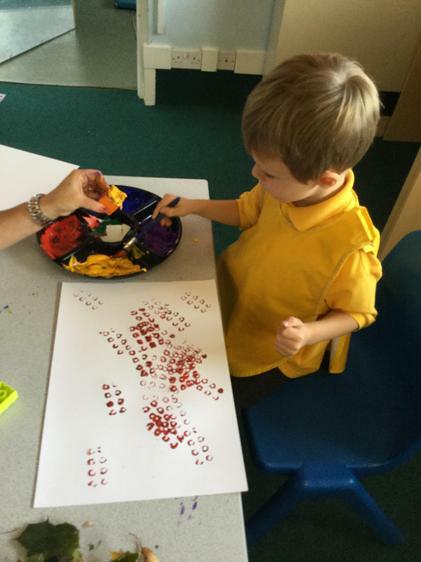 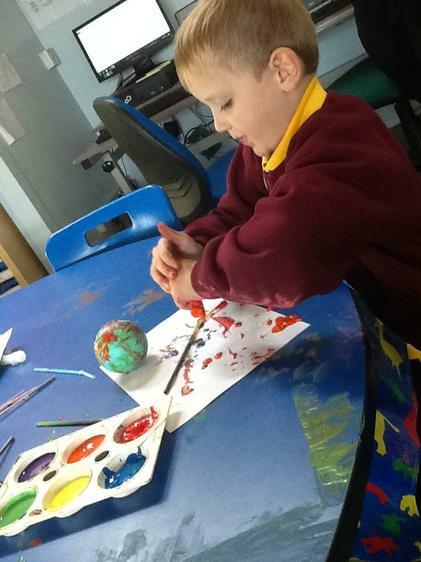 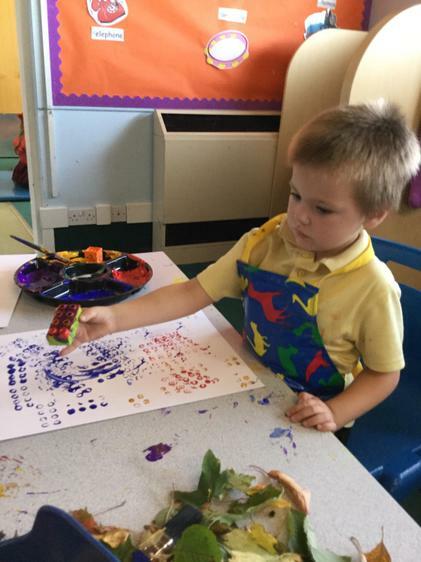 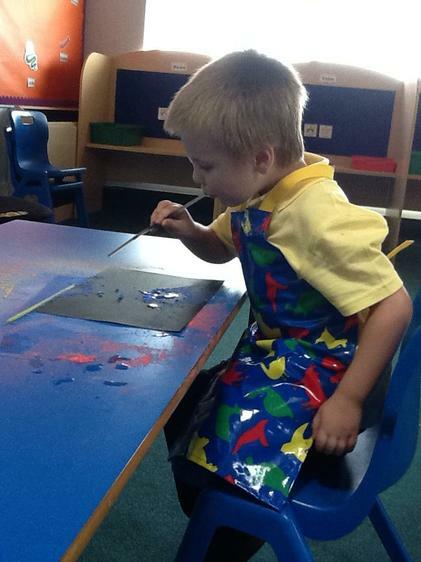 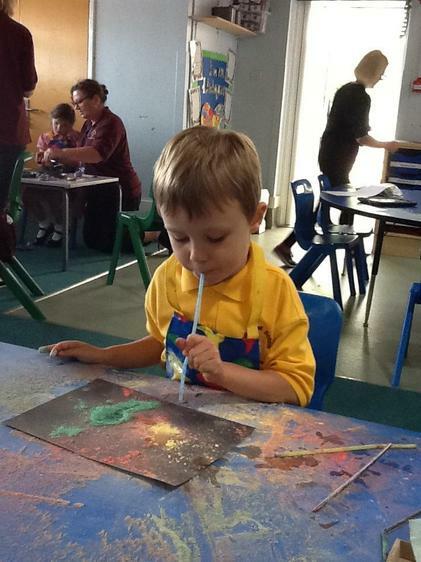 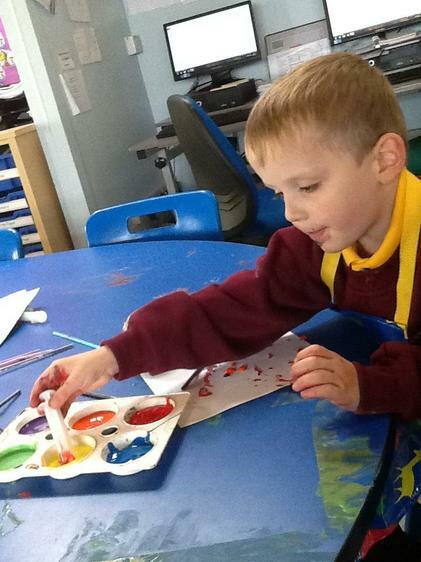 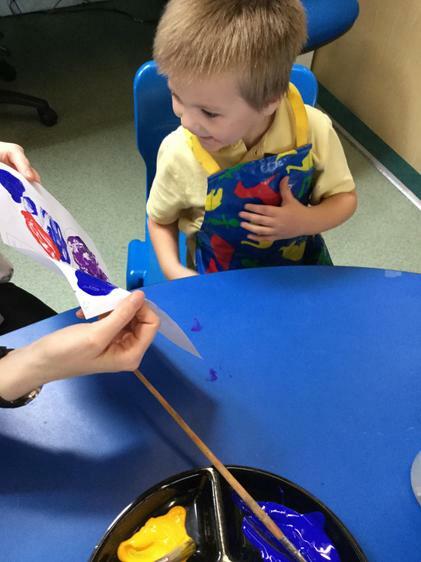 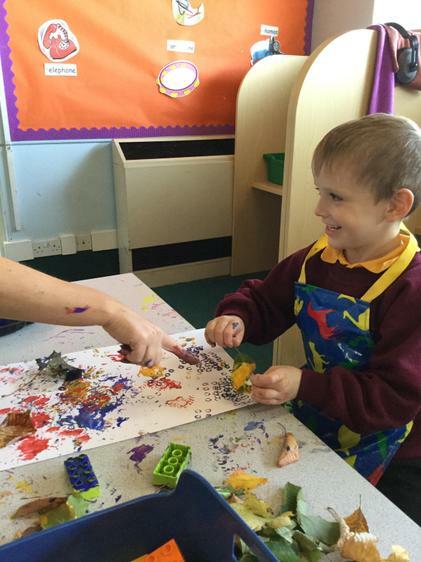 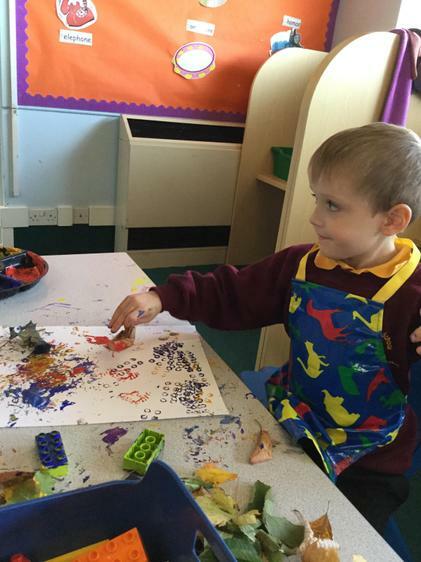 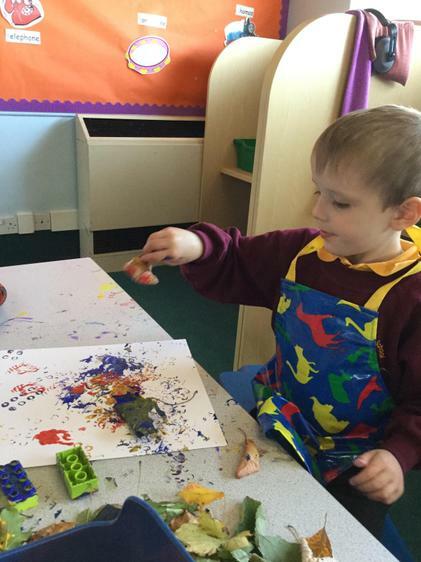 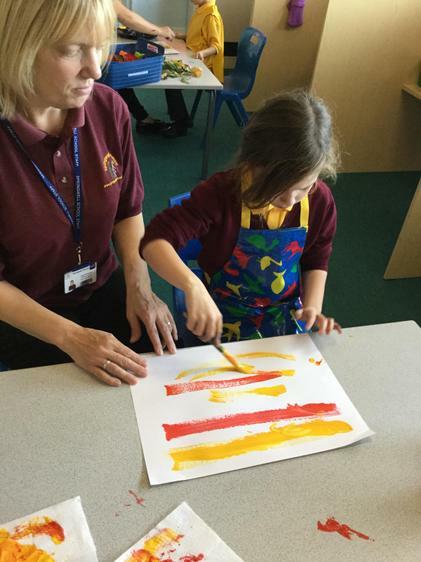 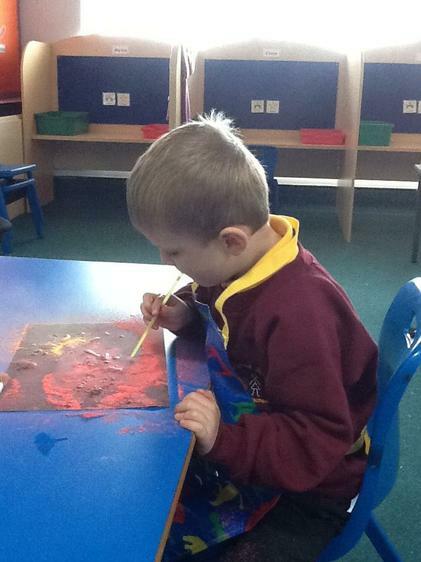 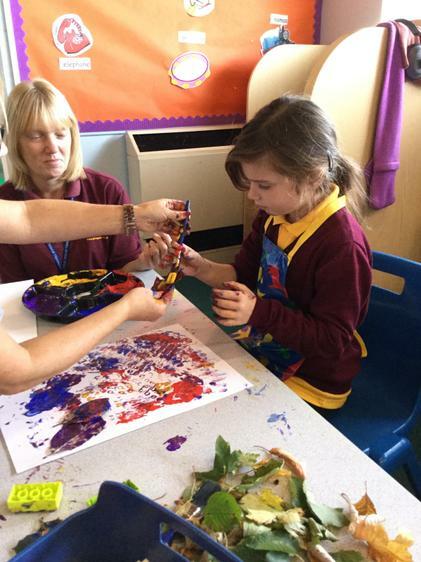 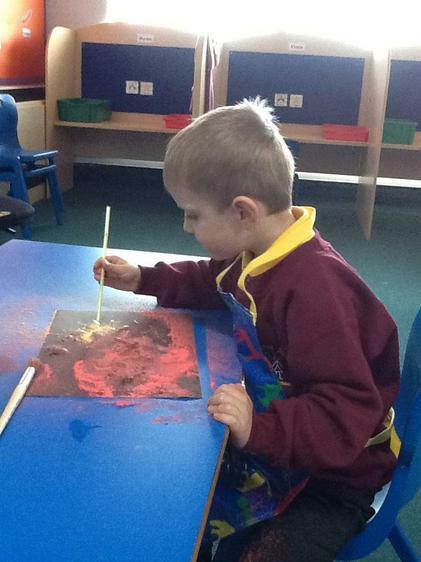 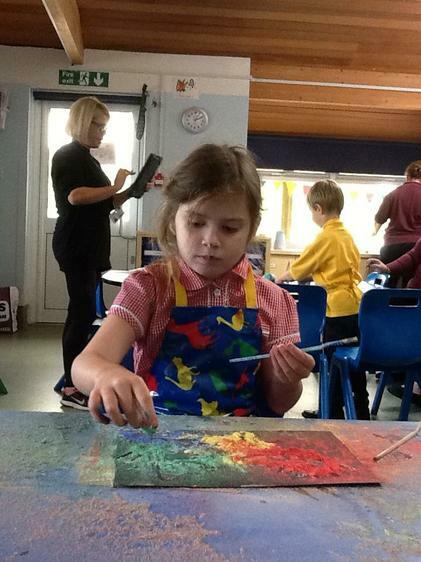 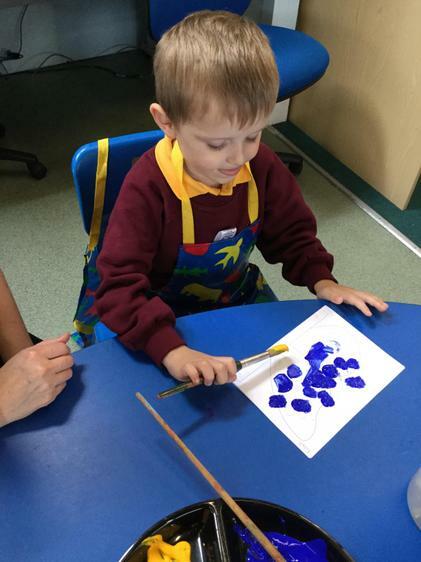 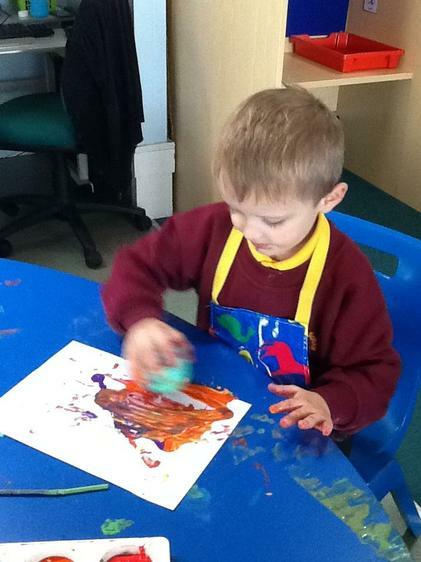 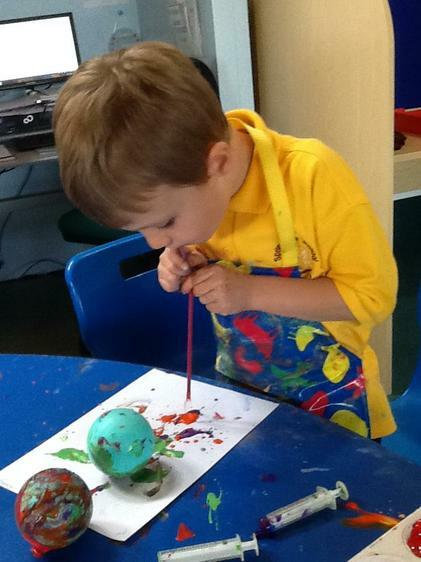 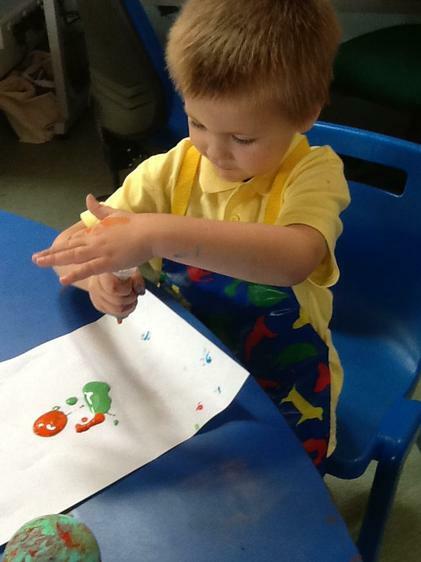 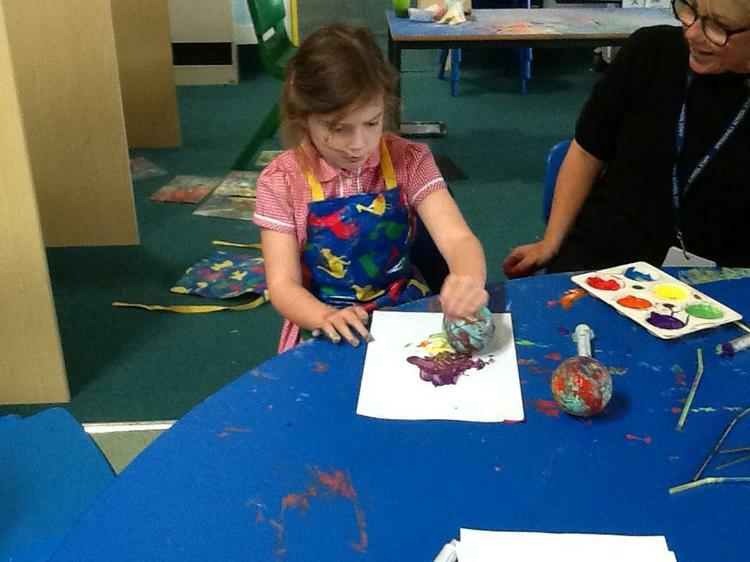 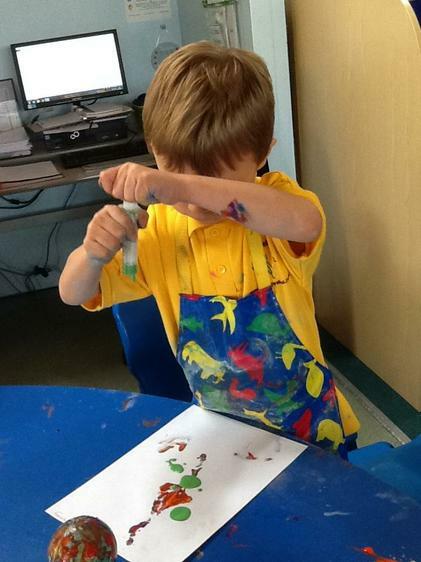 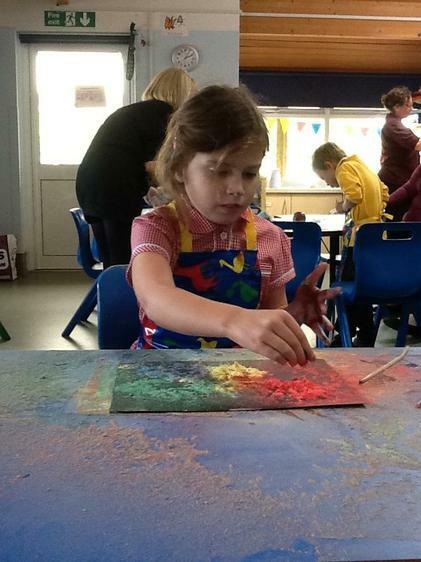 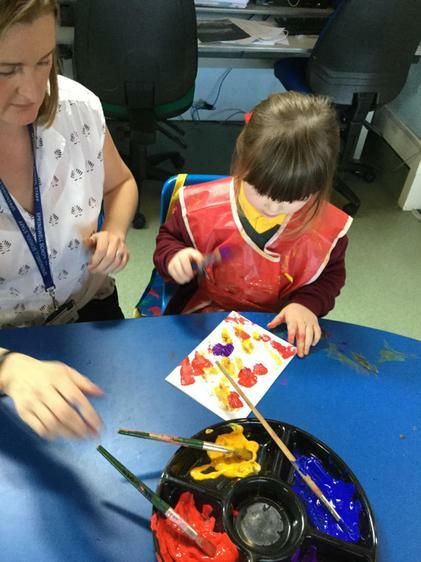 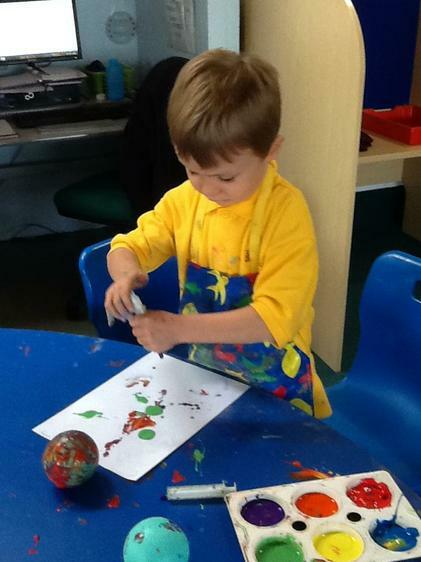 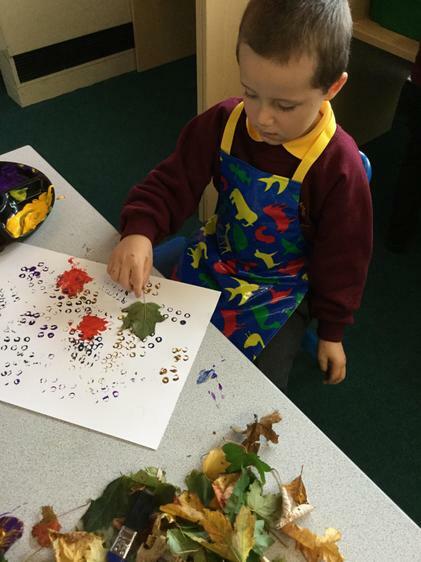 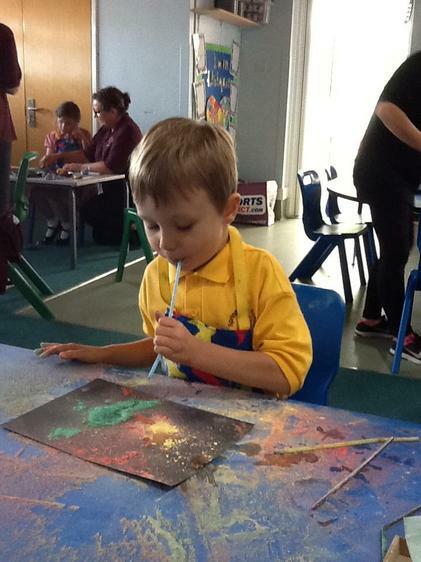 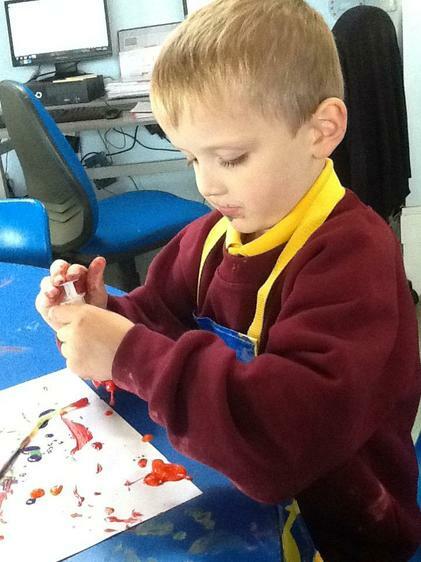 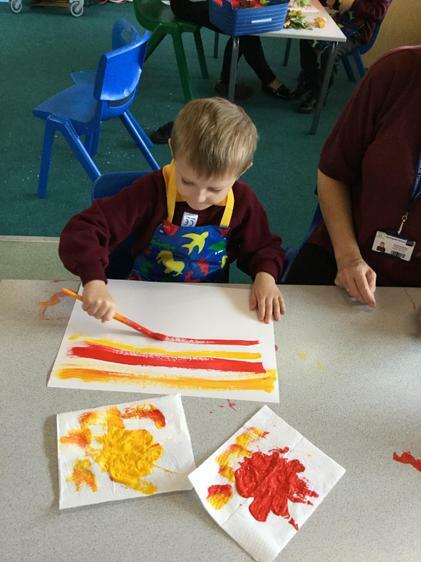 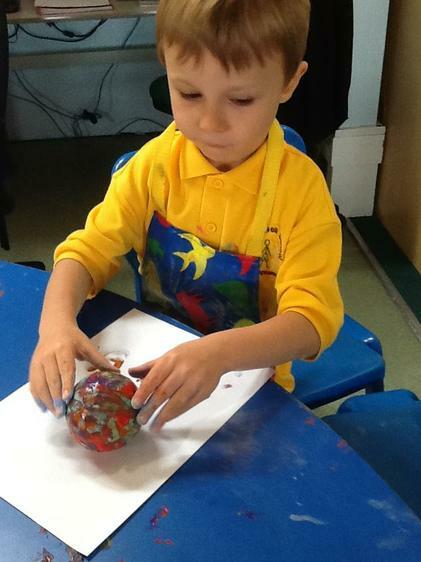 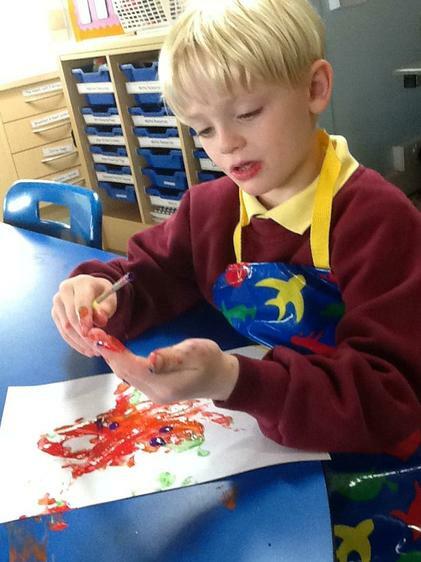 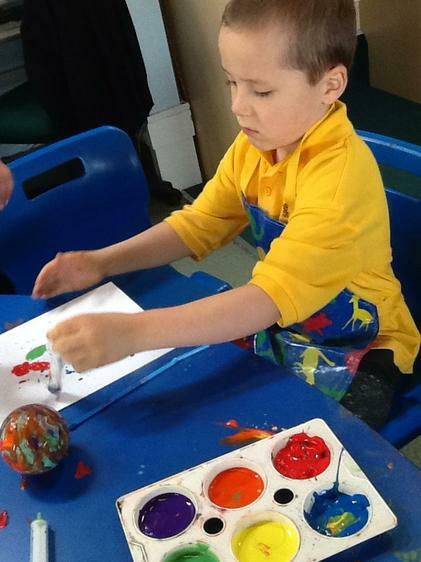 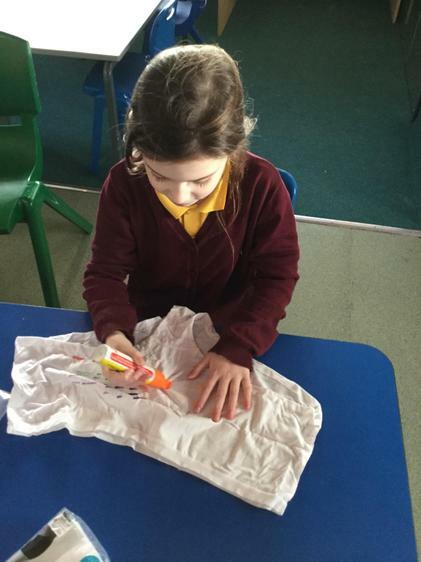 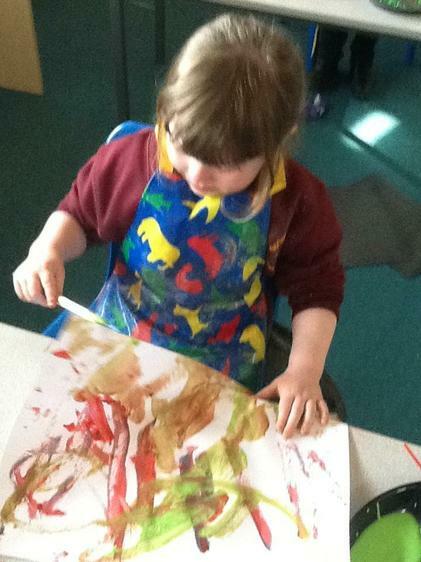 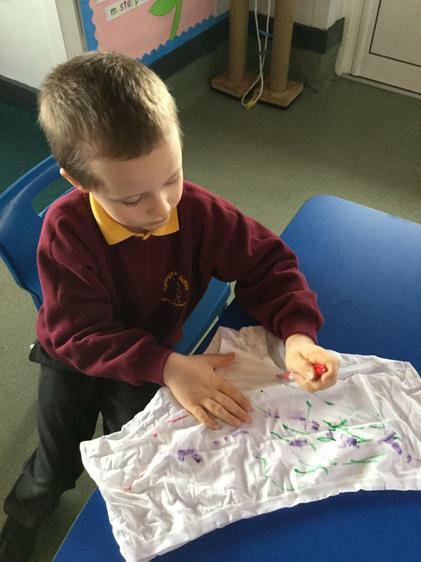 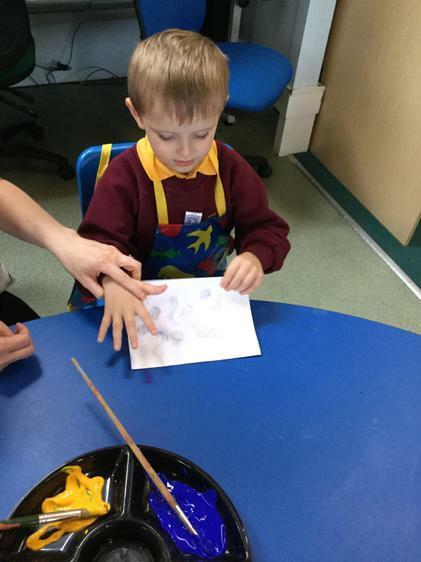 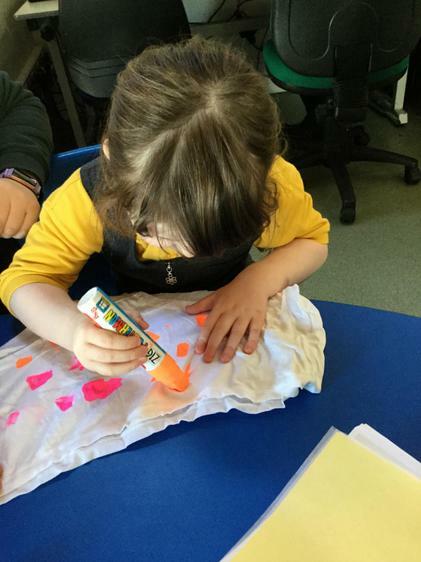 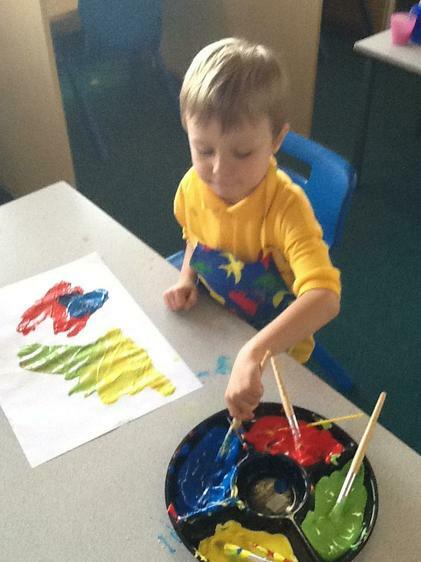 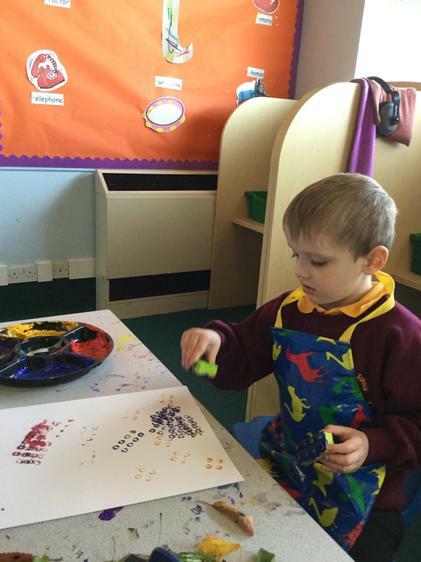 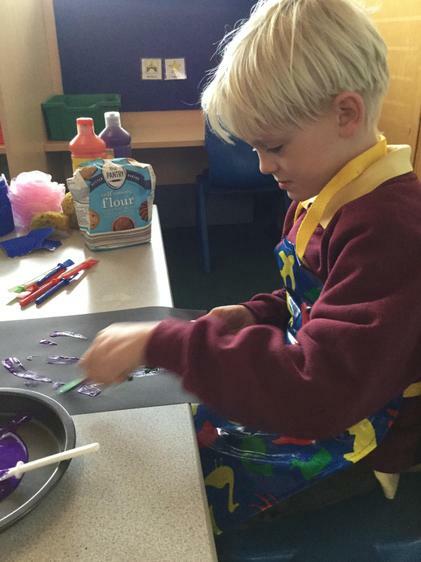 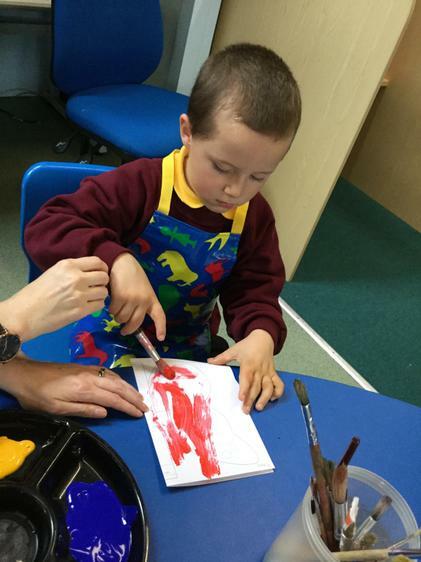 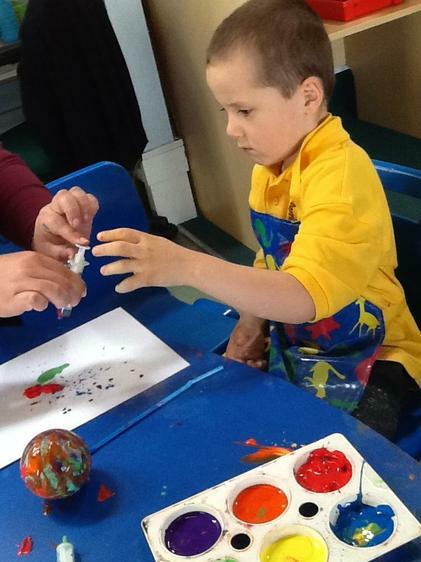 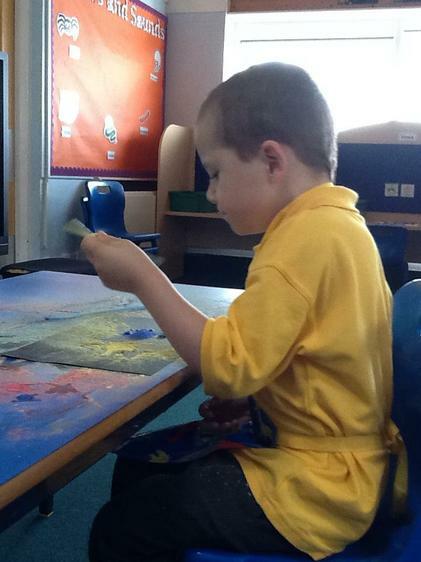 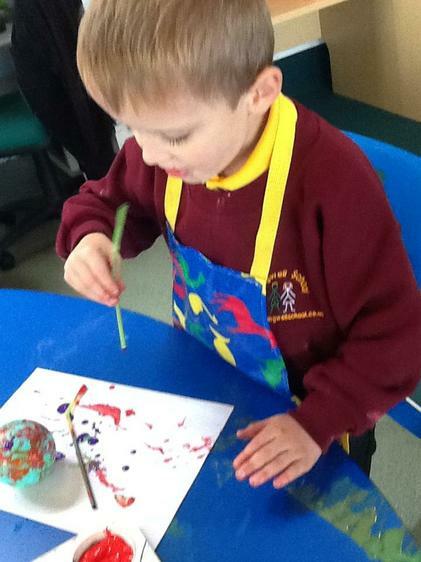 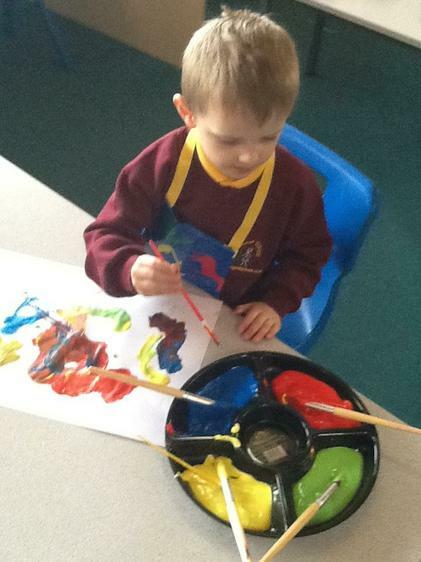 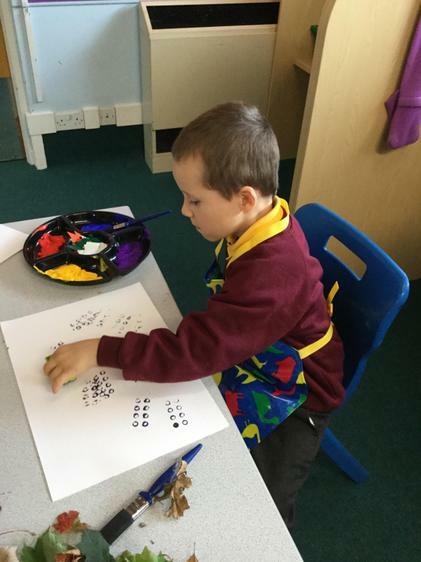 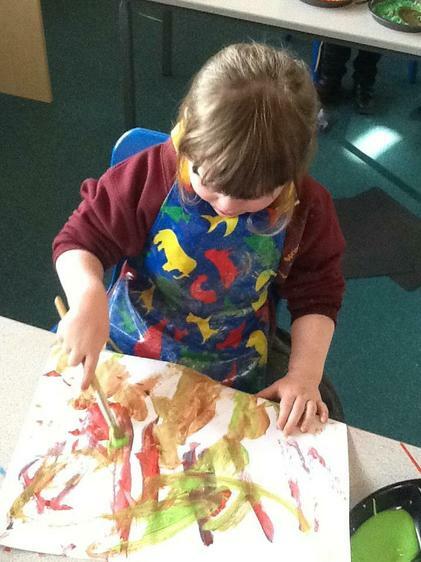 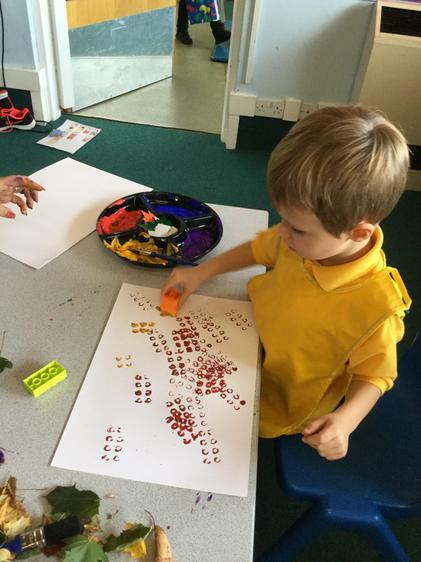 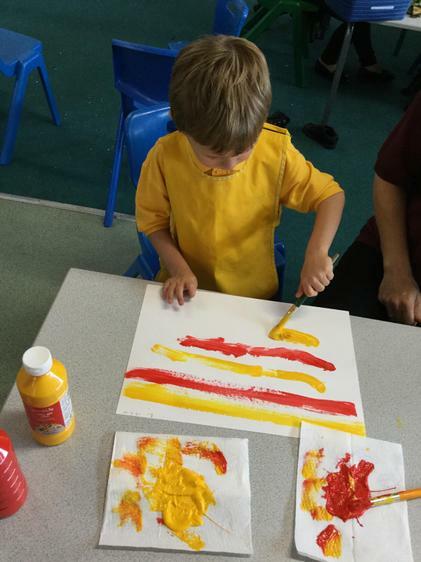 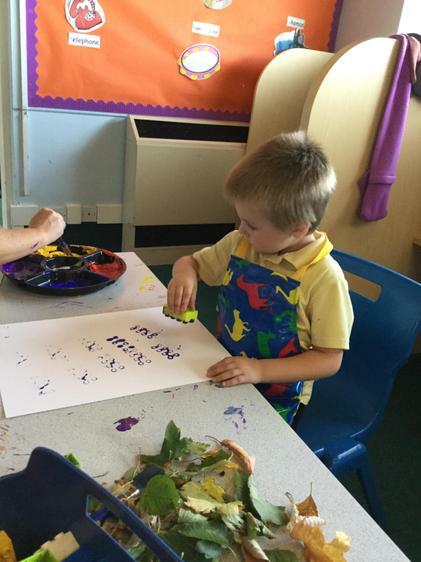 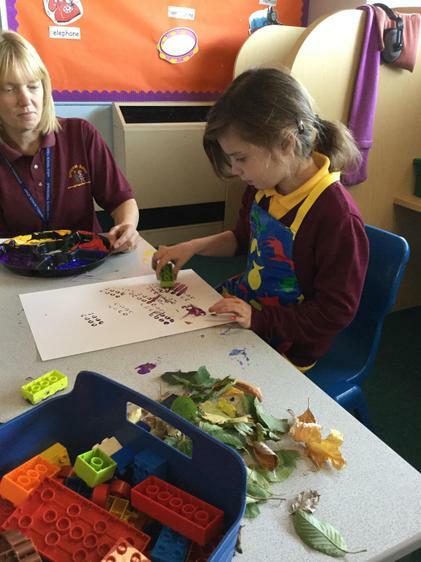 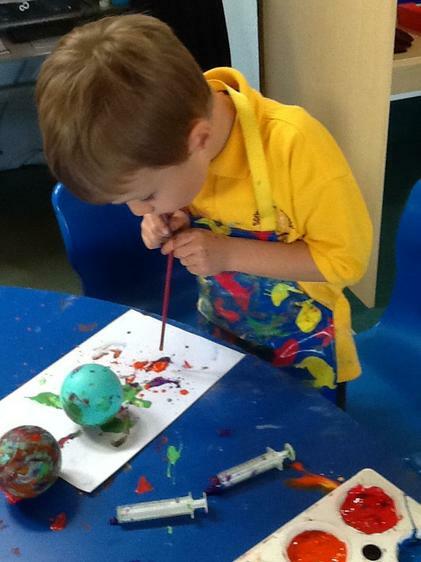 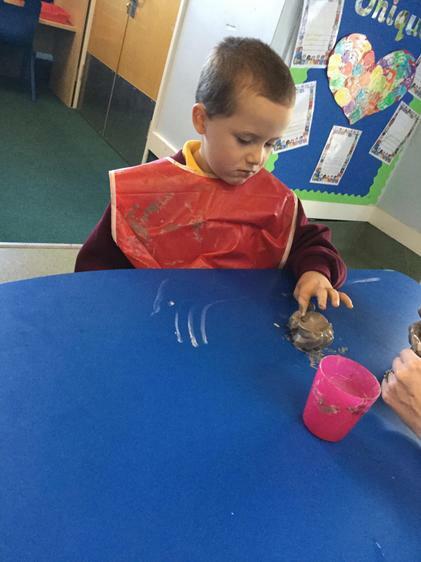 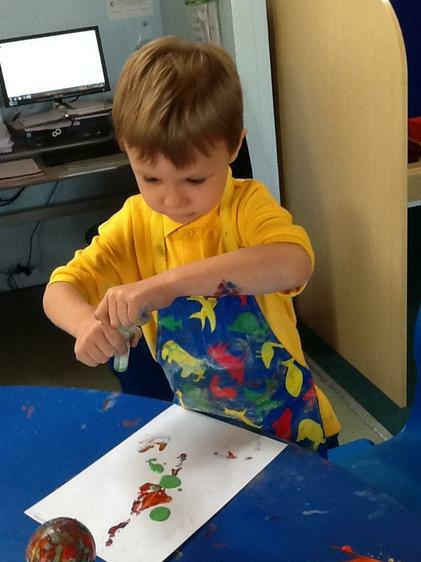 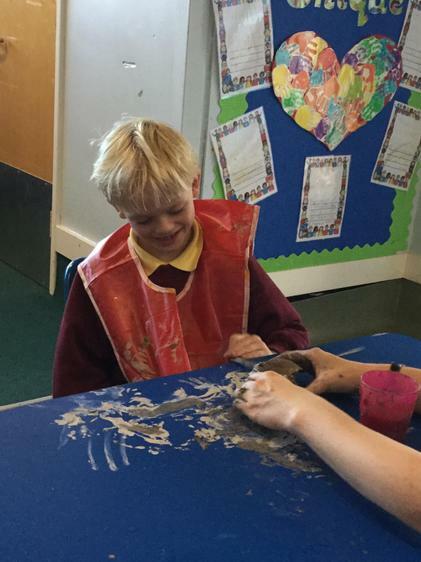 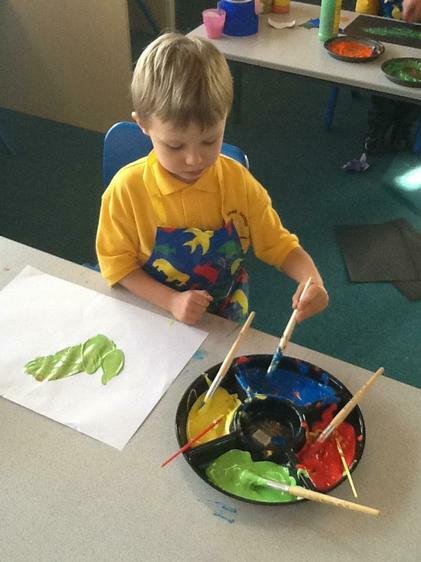 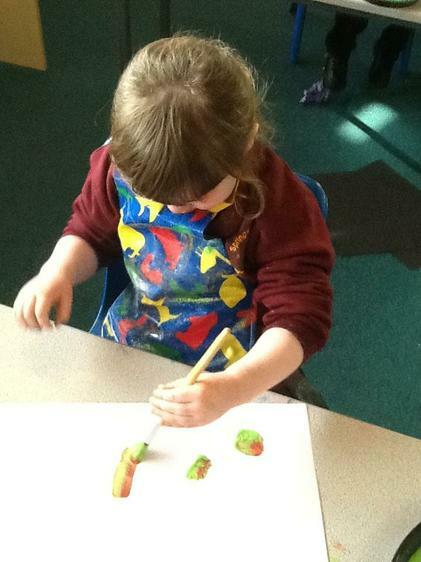 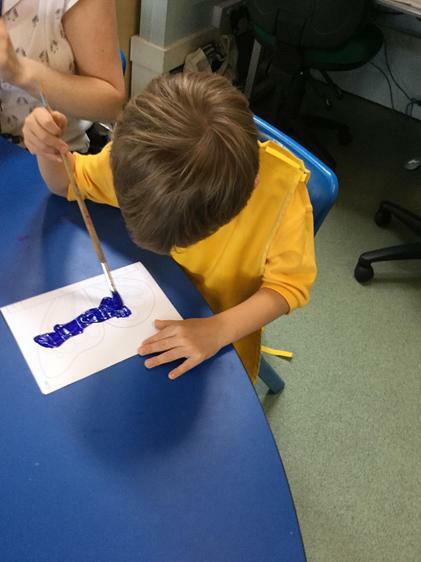 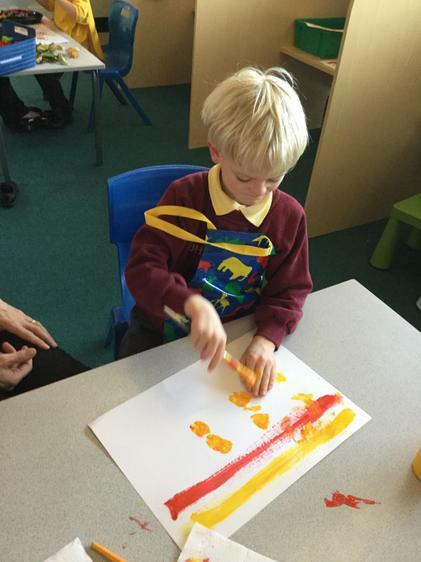 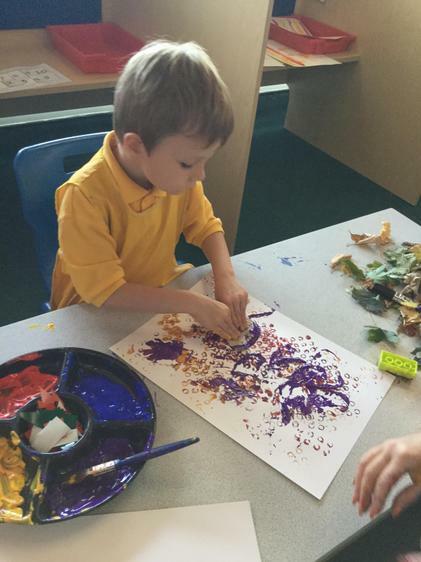 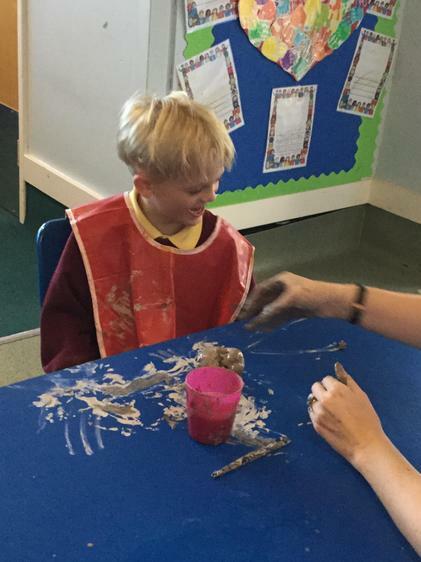 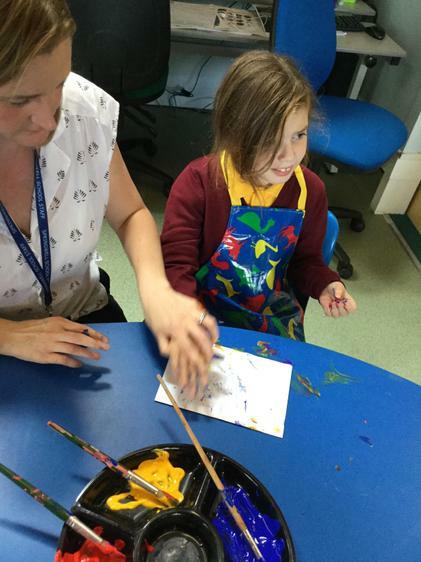 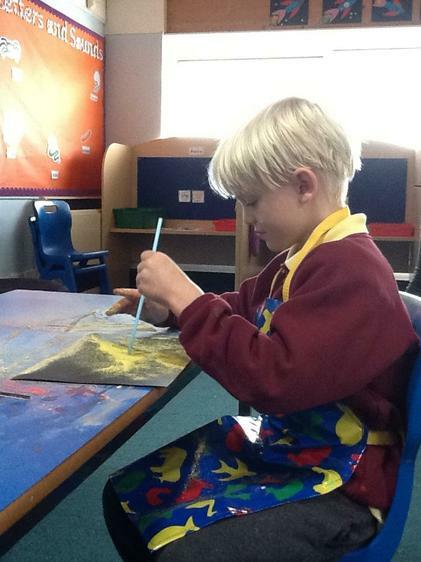 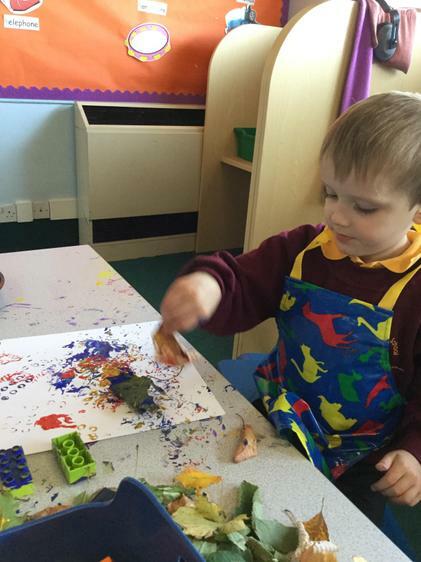 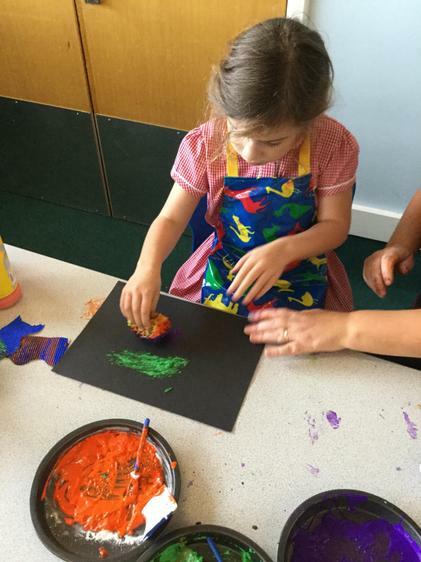 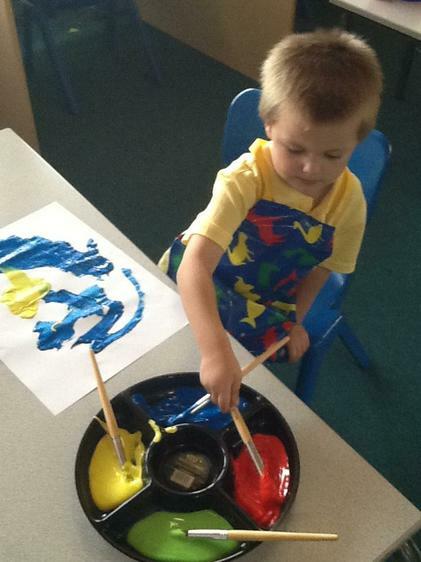 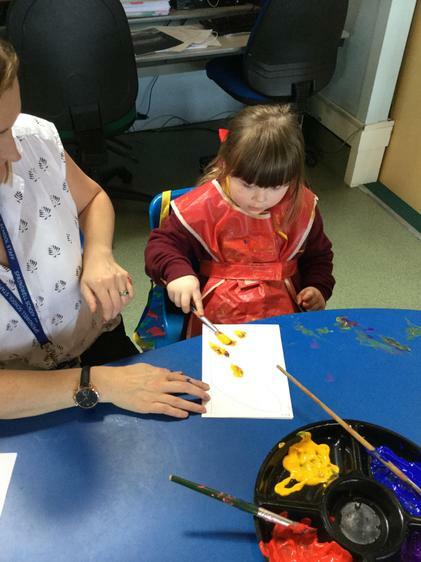 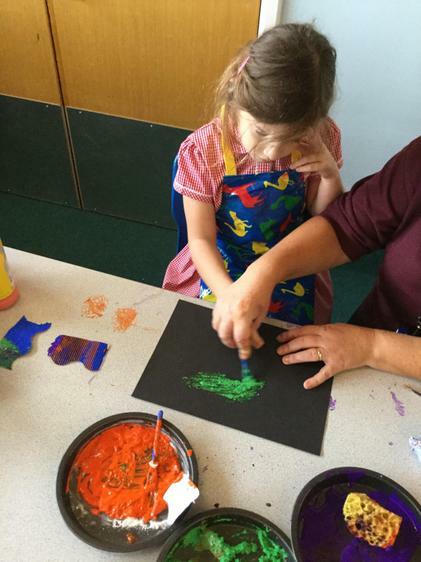 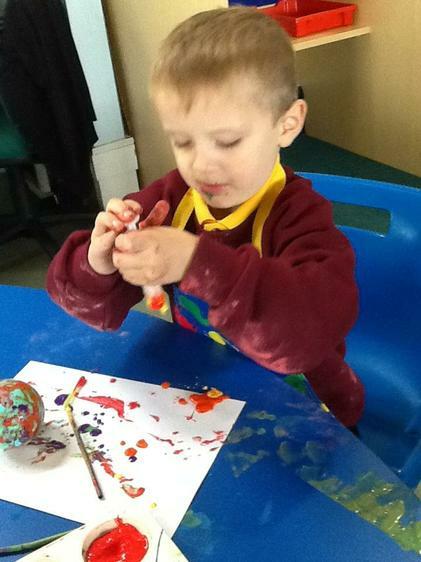 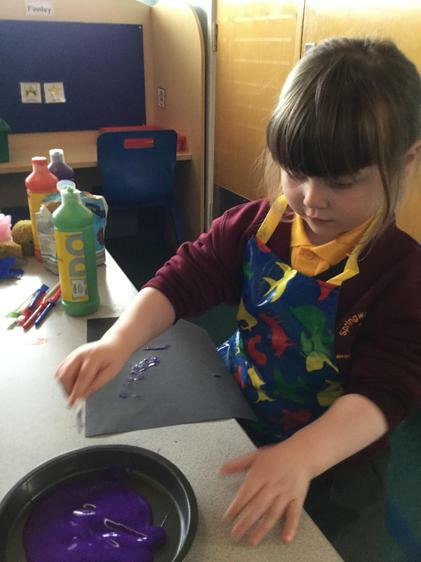 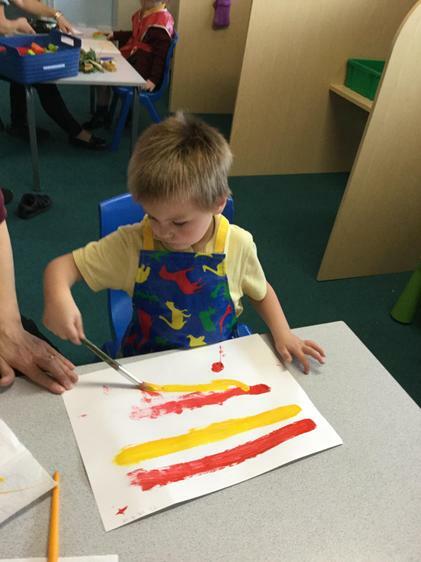 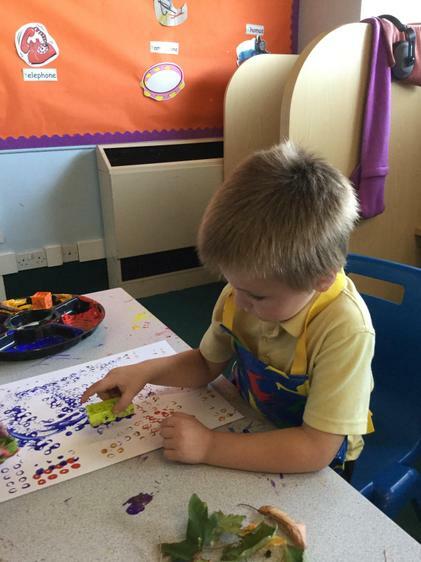 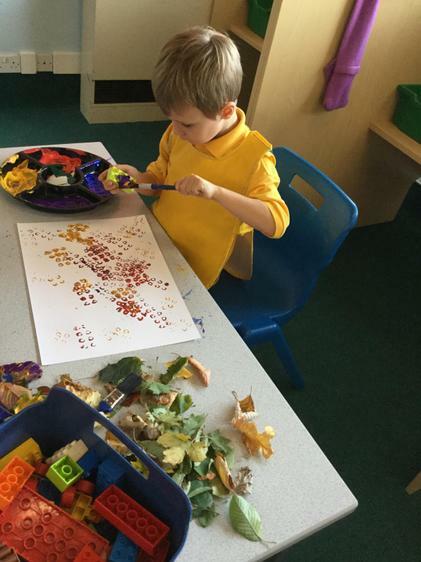 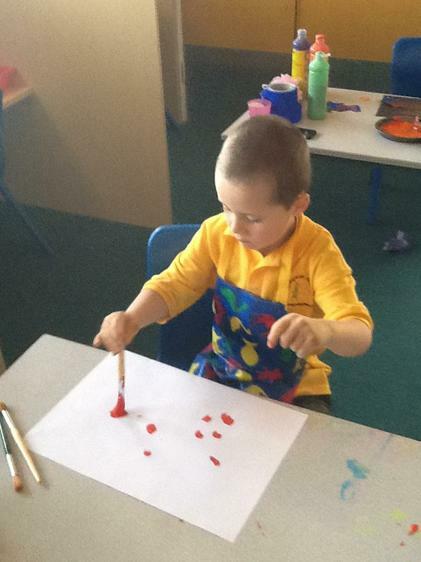 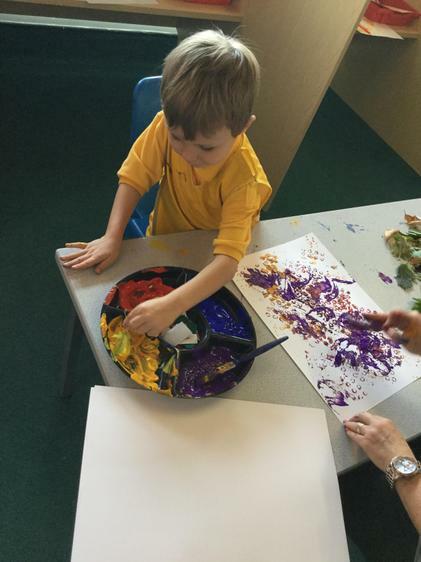 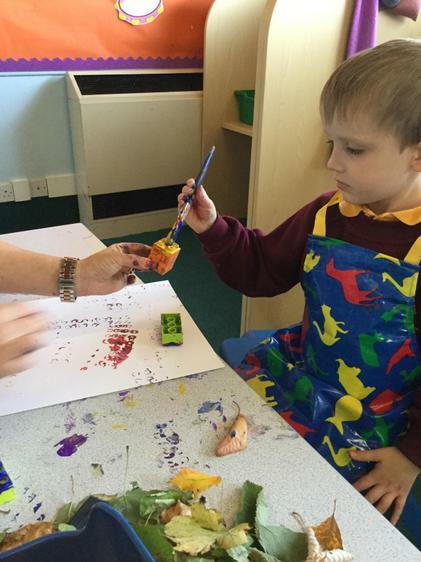 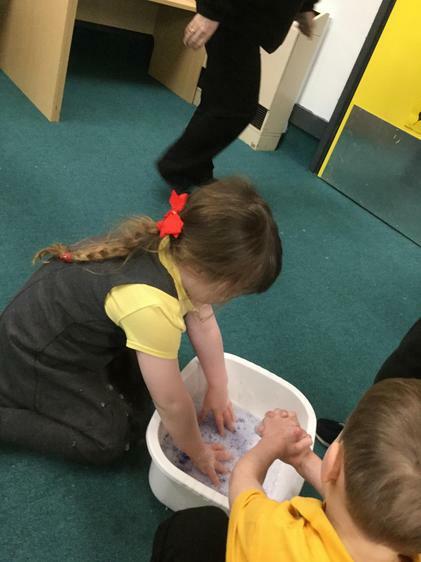 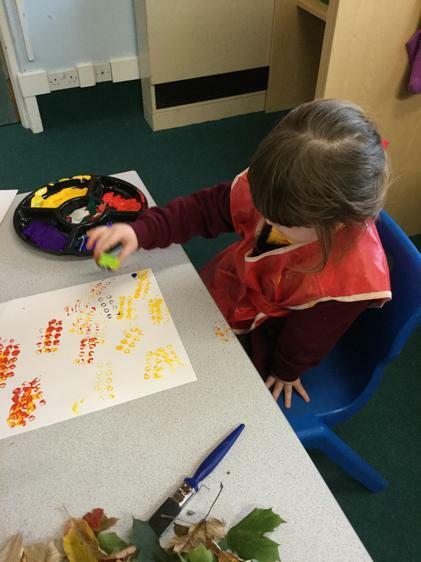 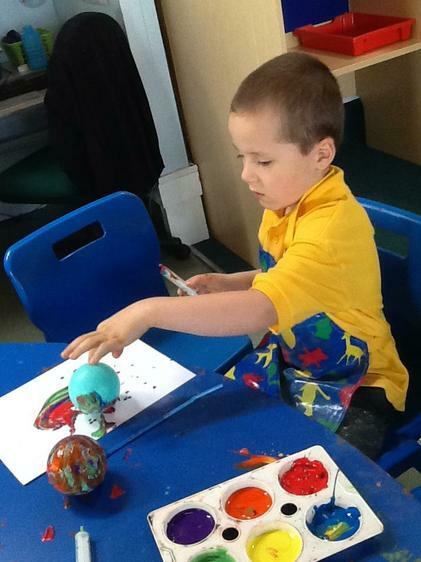 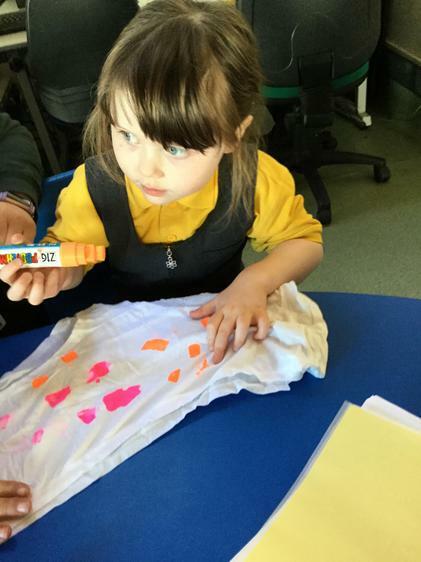 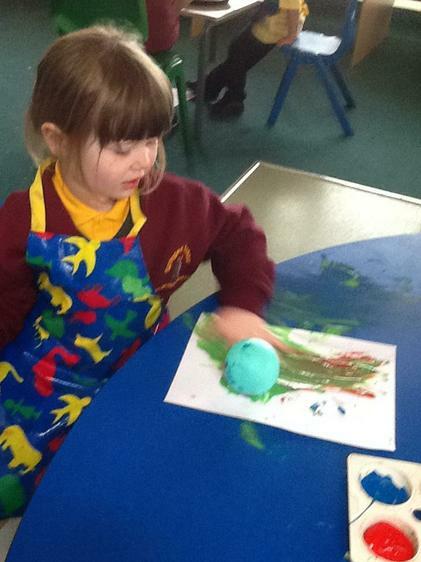 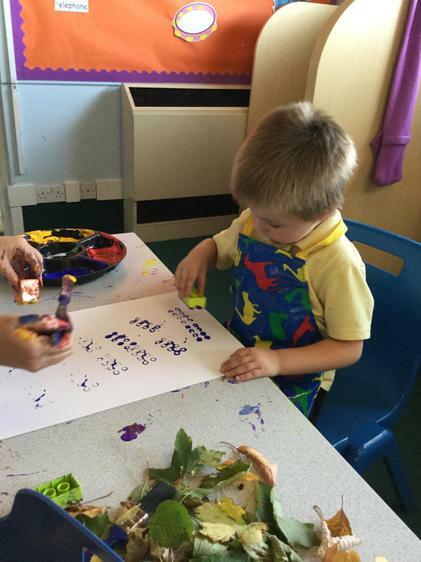 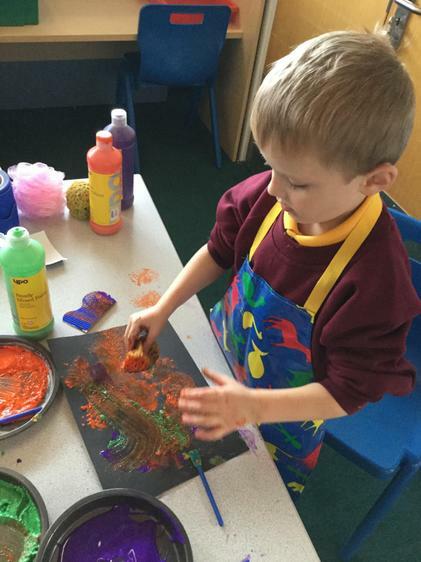 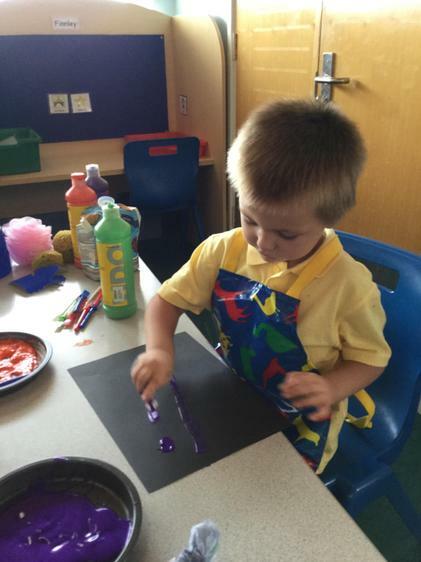 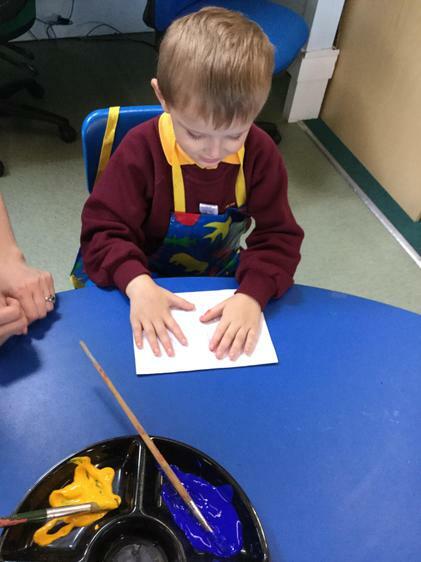 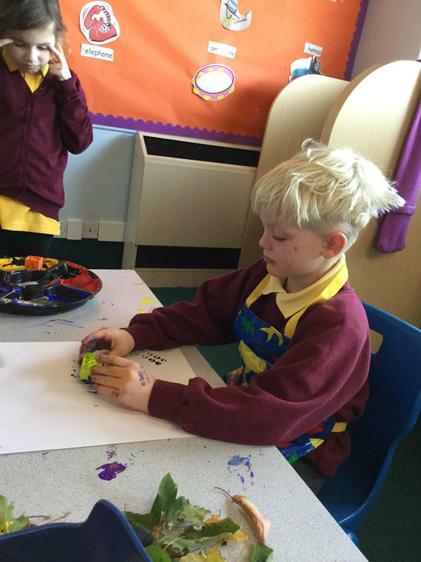 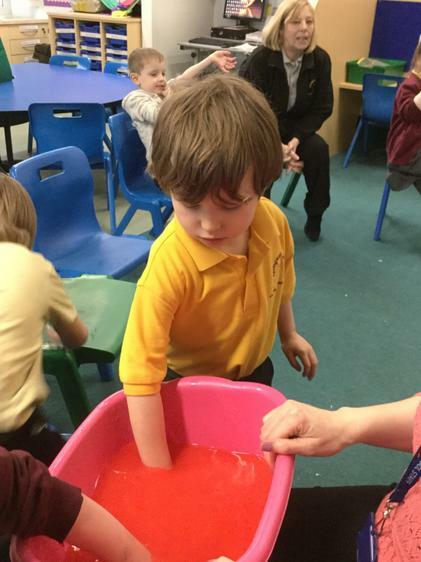 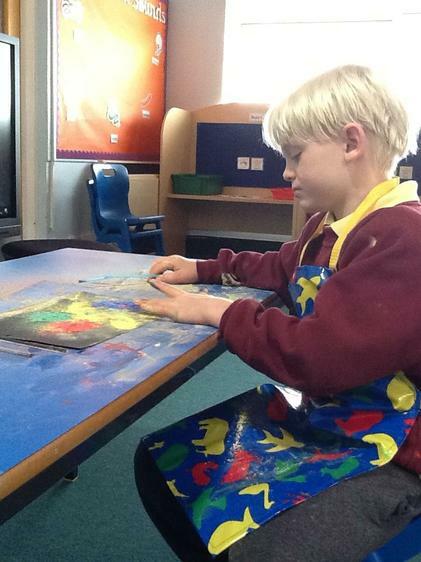 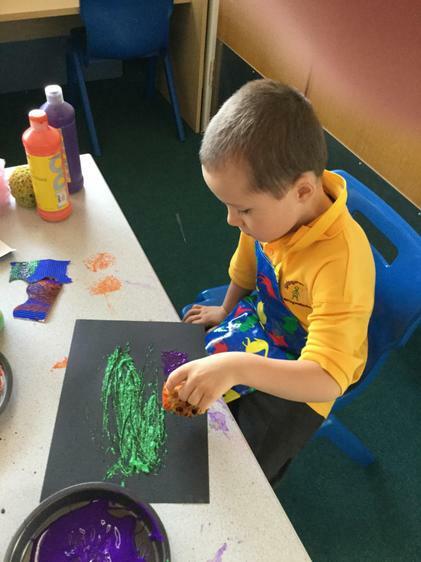 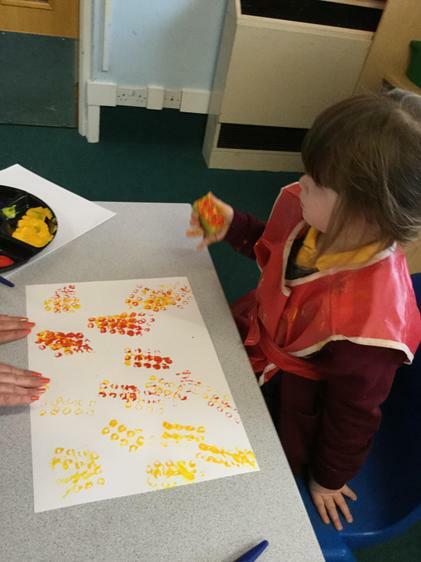 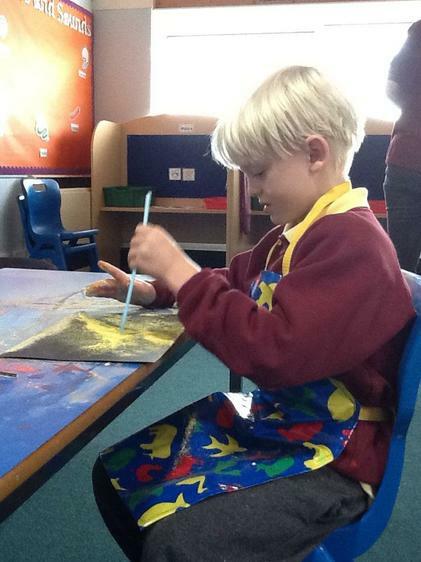 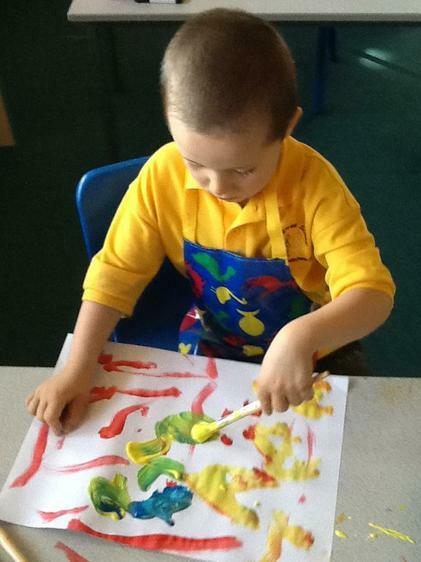 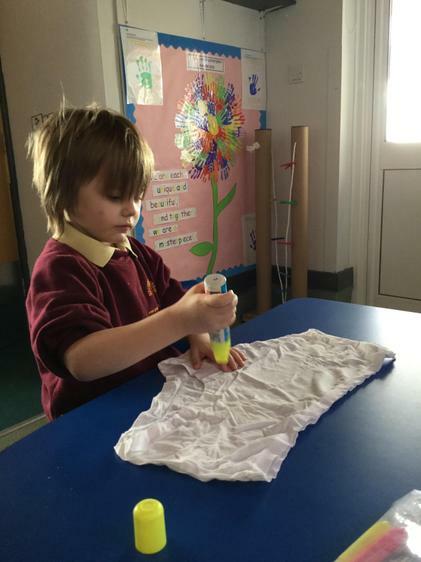 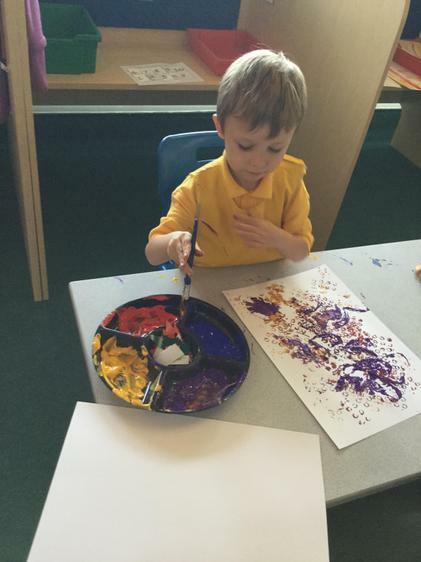 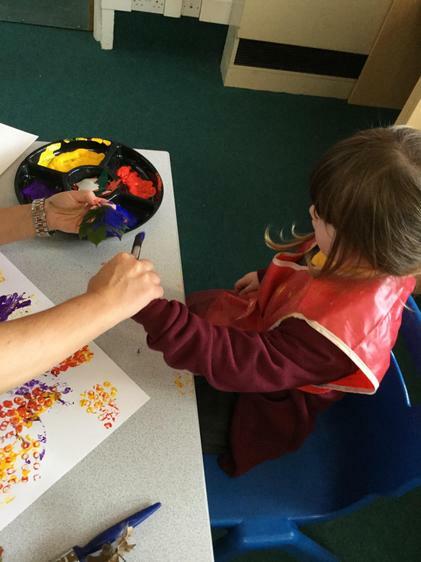 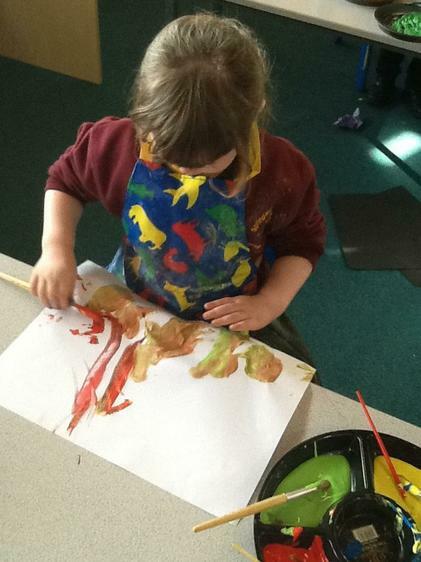 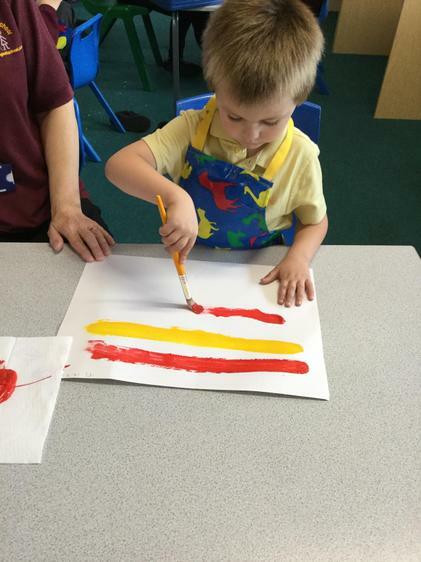 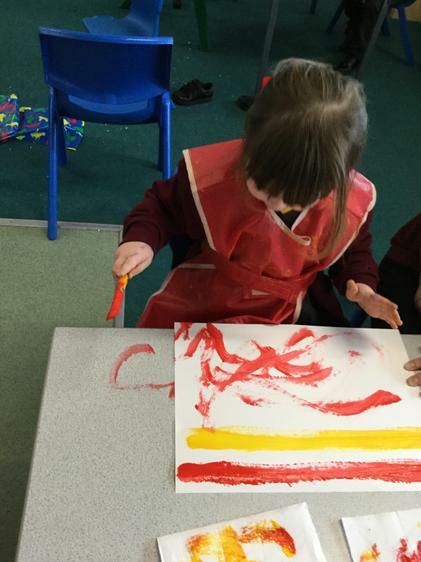 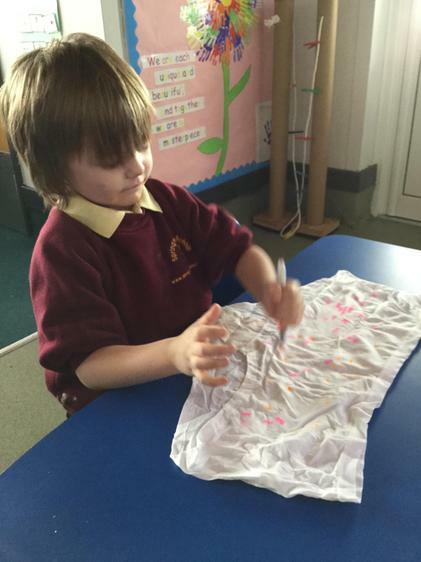 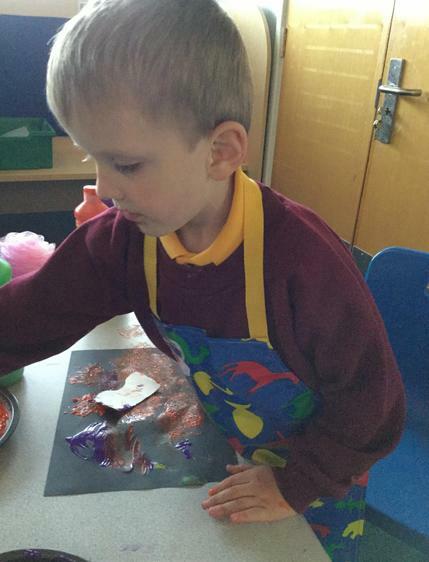 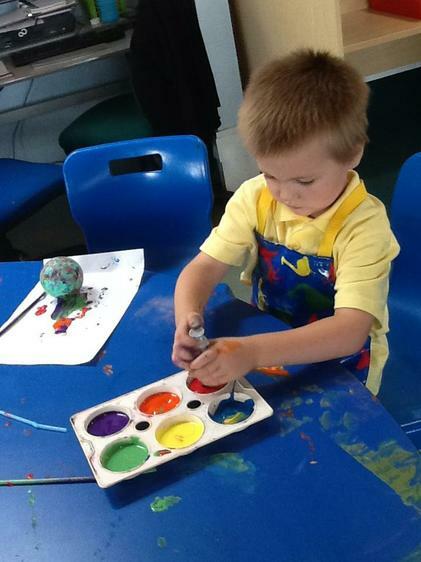 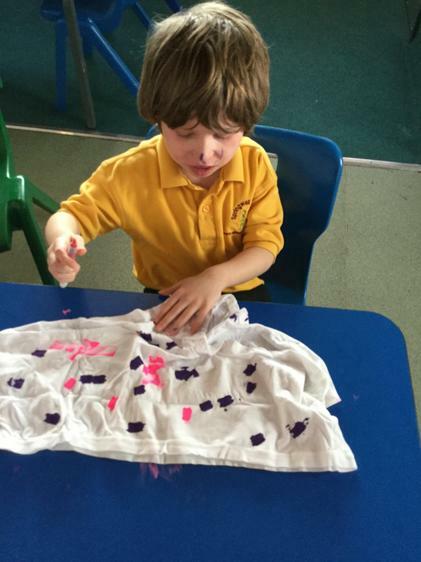 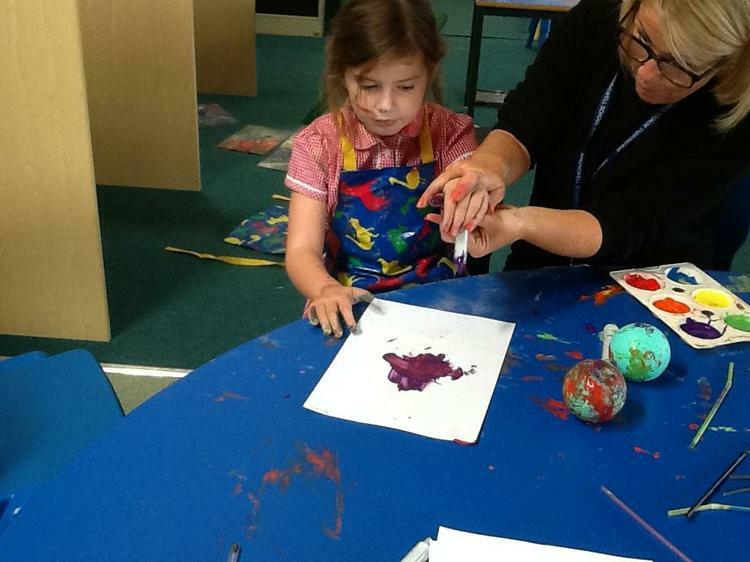 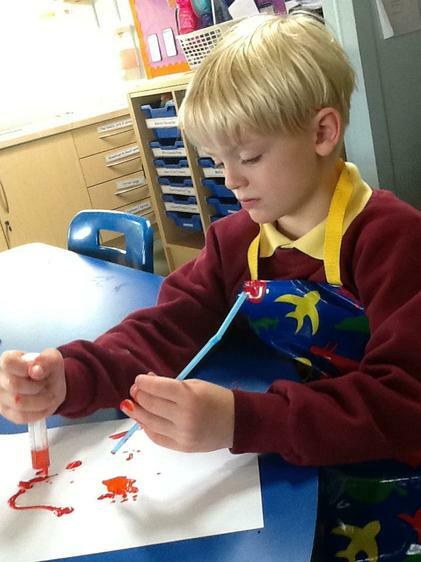 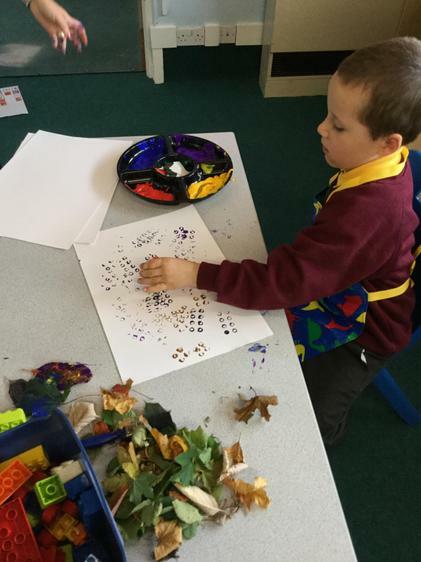 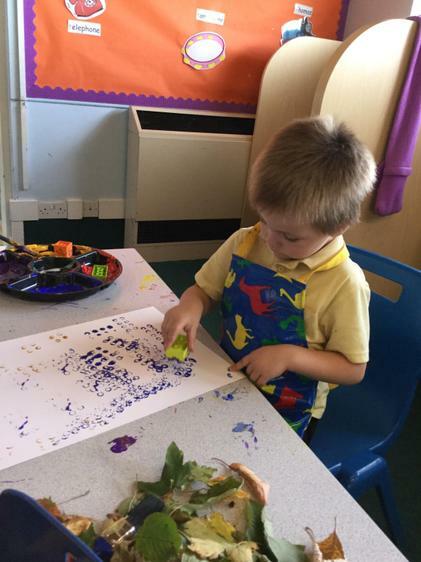 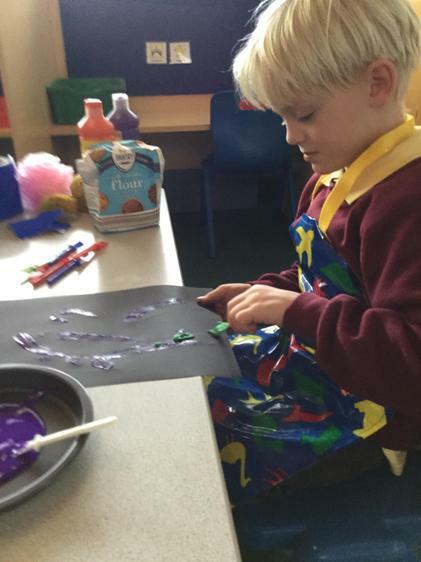 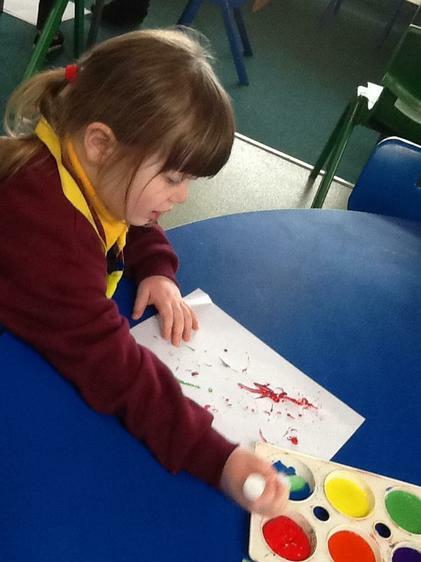 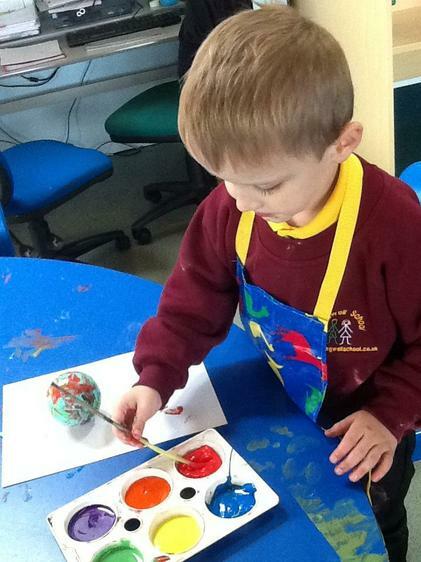 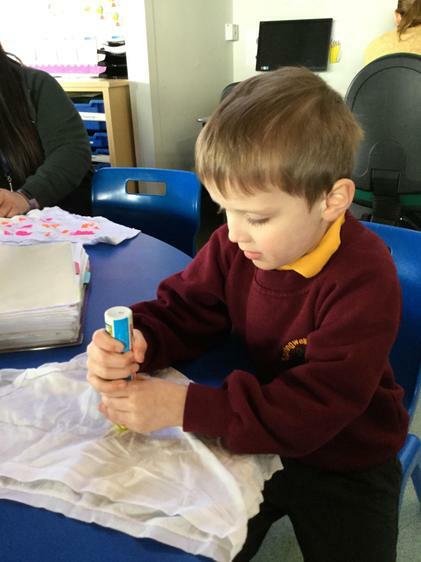 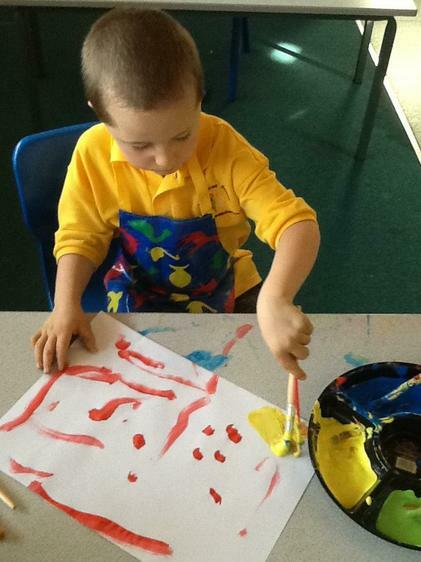 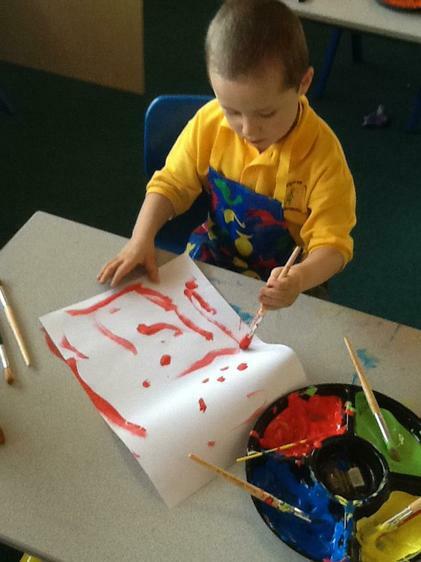 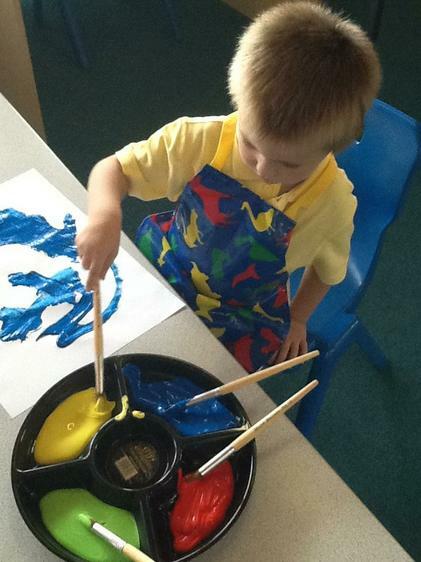 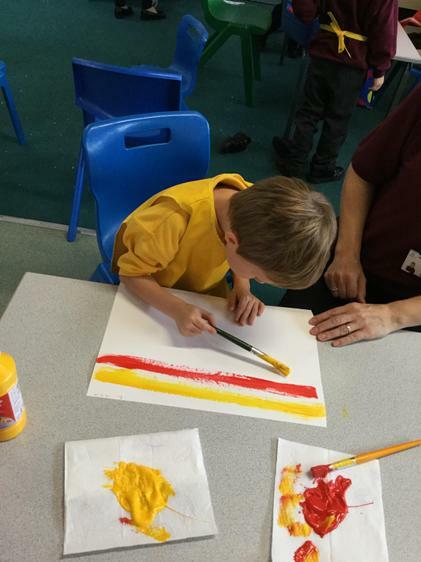 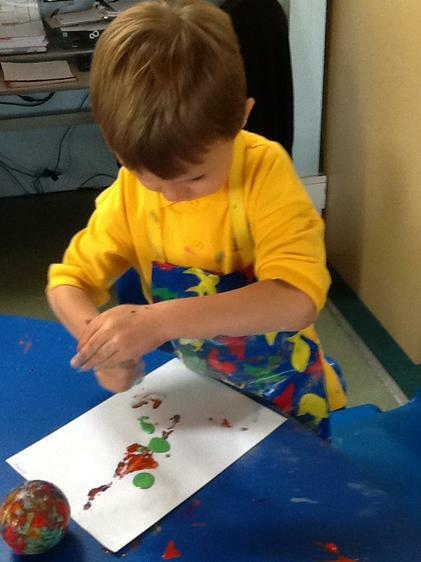 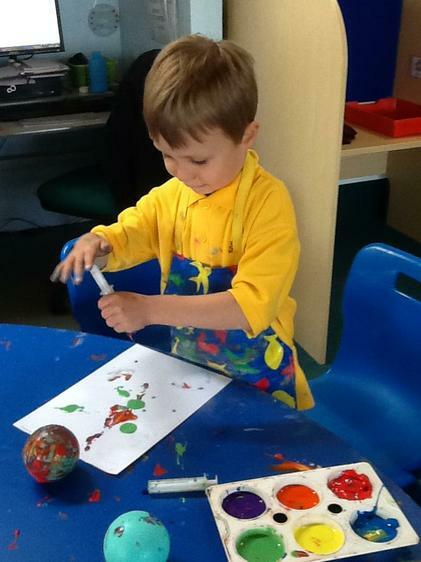 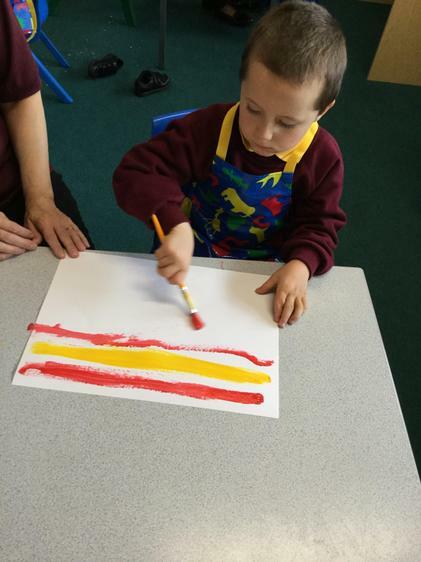 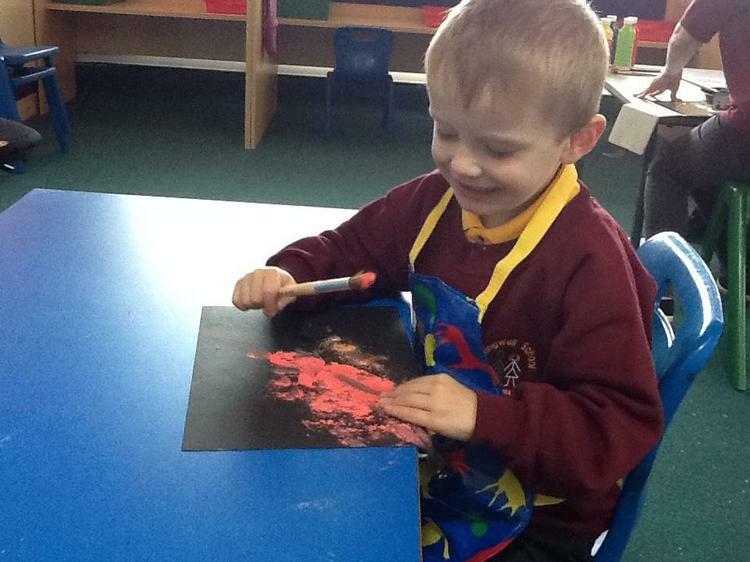 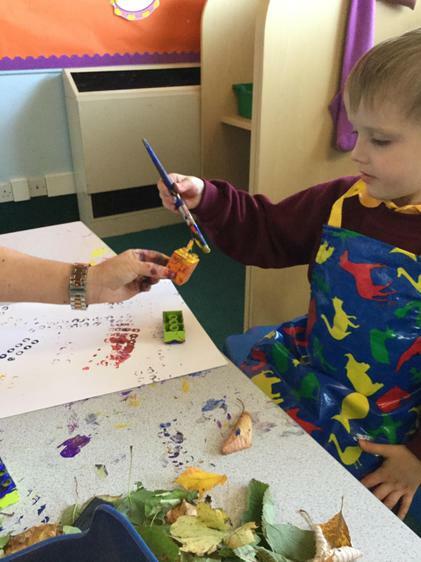 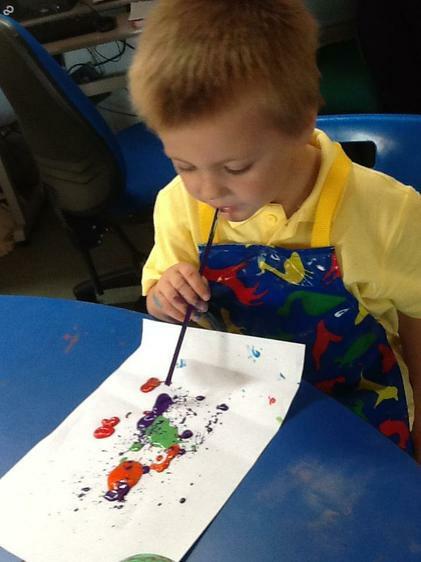 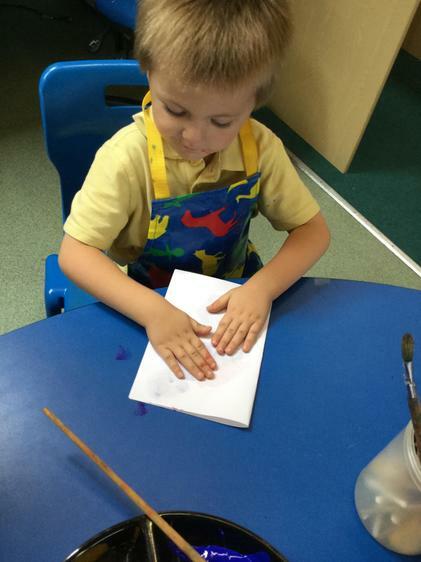 In art we have been exploring using paint in a variety of ways; brushing , blowing , pressing , stamping , flicking , syringing and rolling objects. 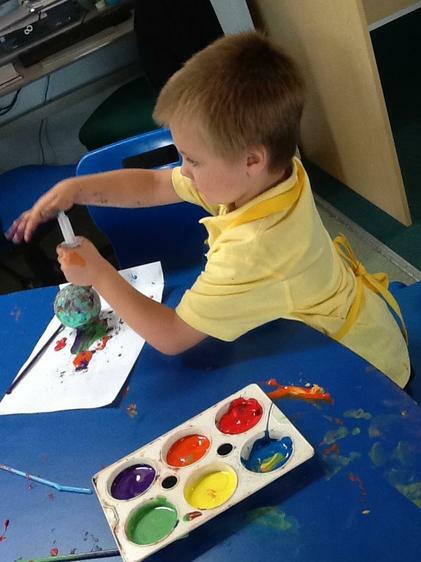 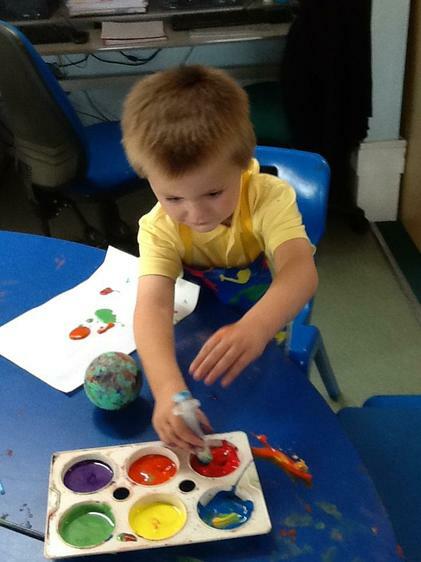 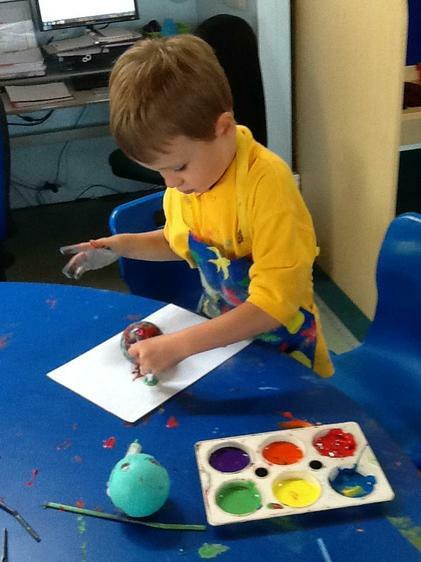 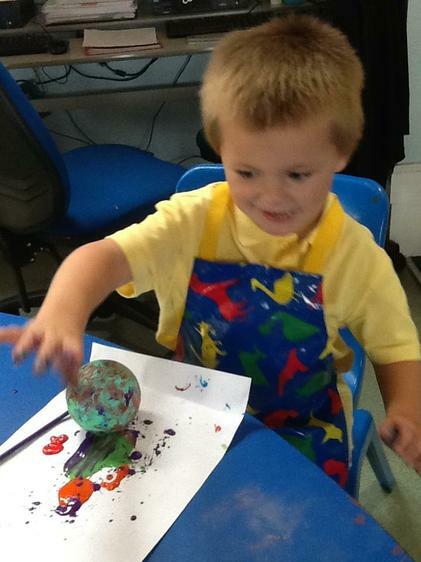 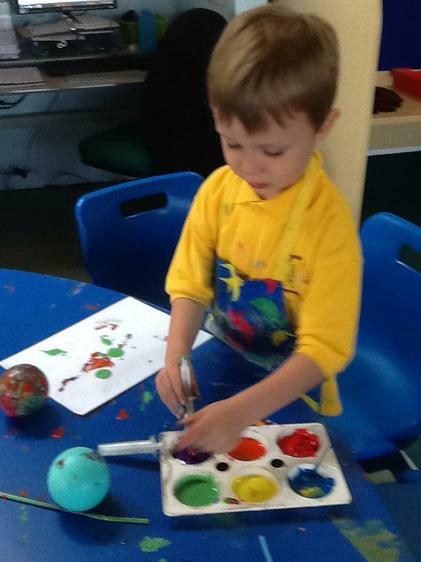 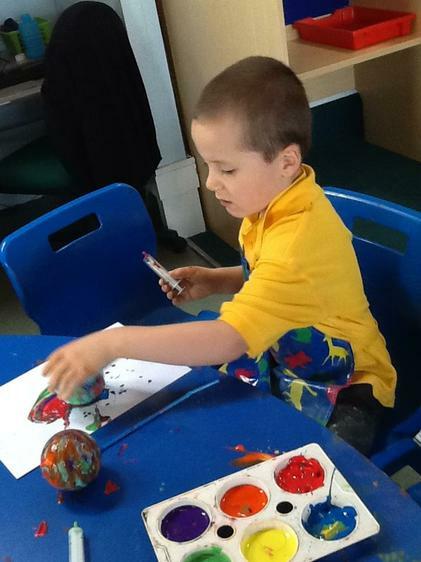 We've used different types of paint including textured paint and powder paint. 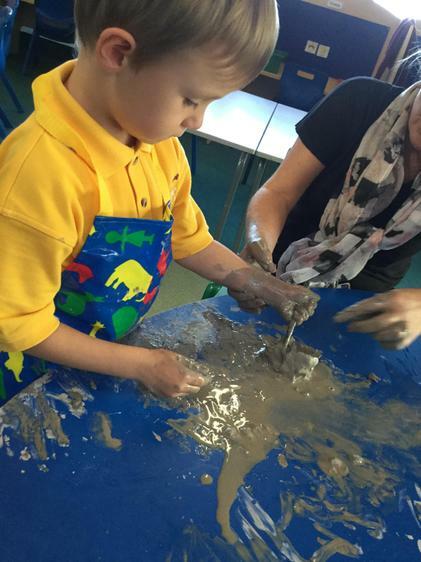 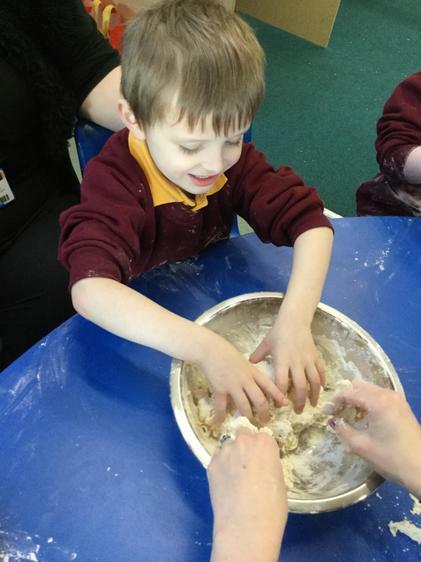 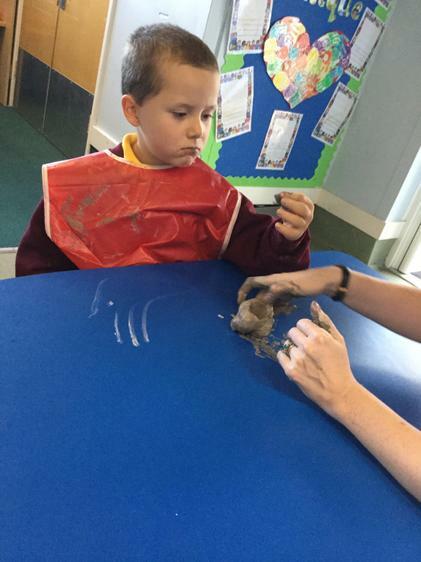 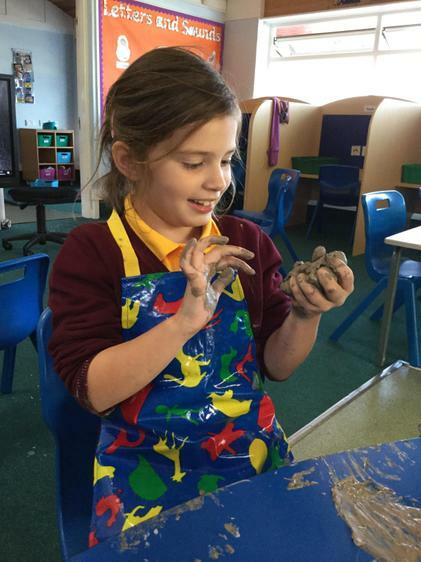 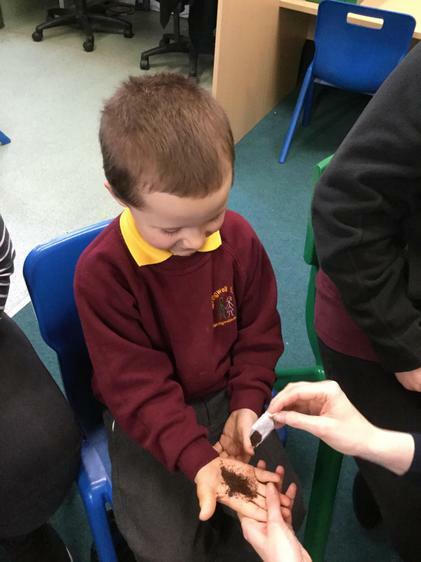 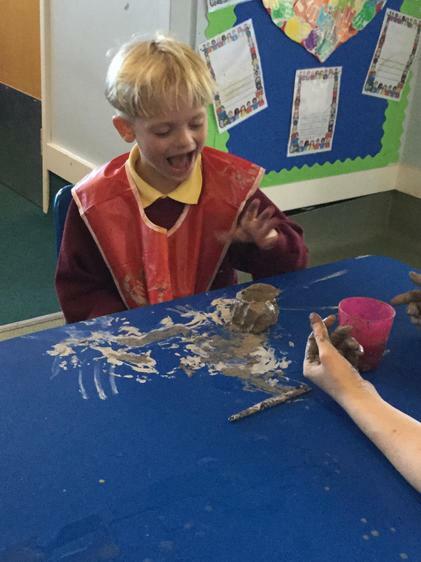 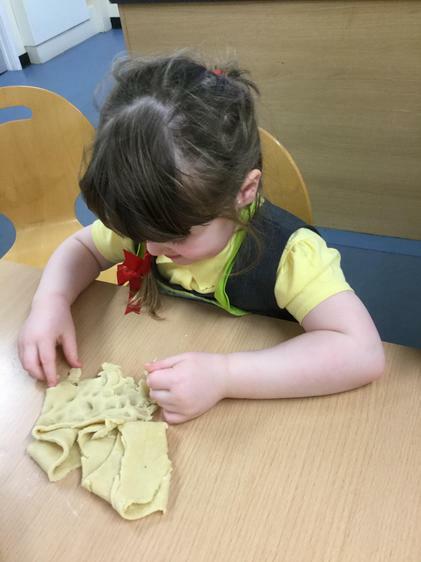 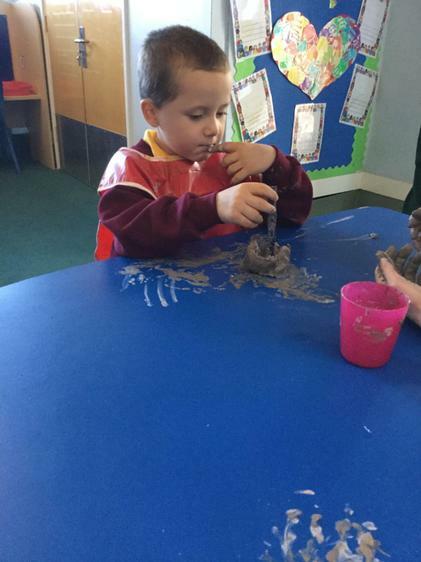 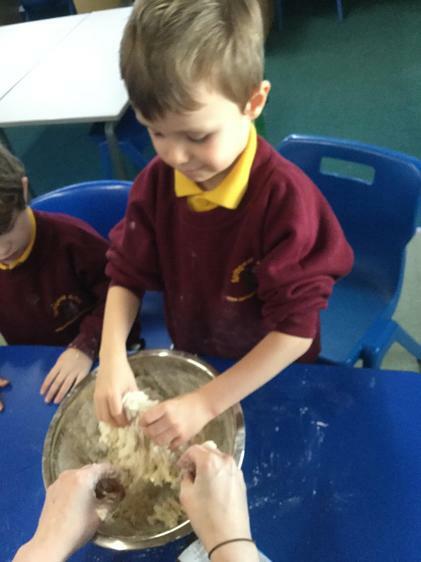 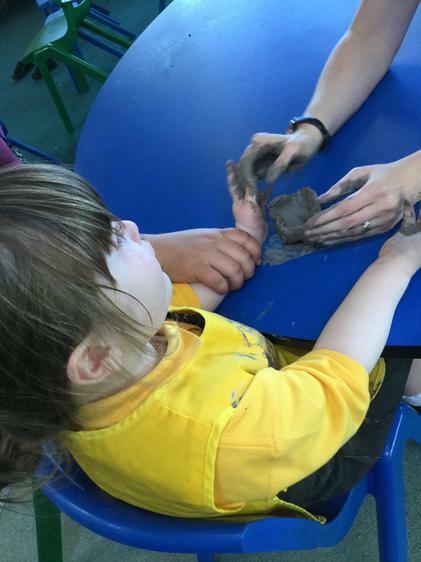 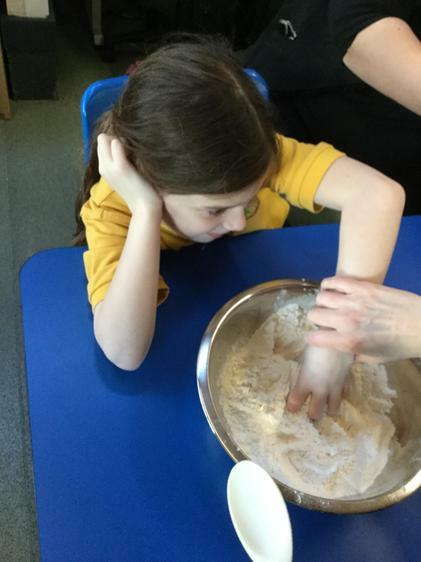 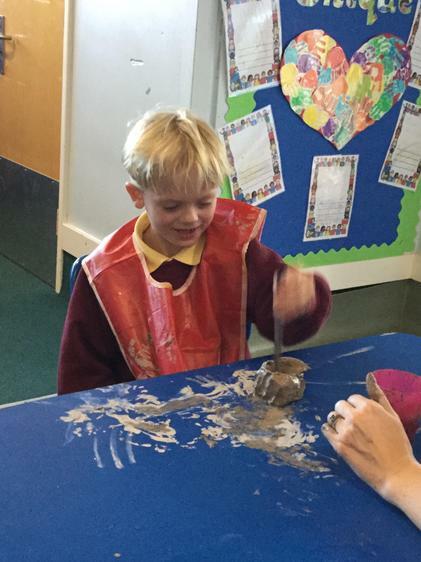 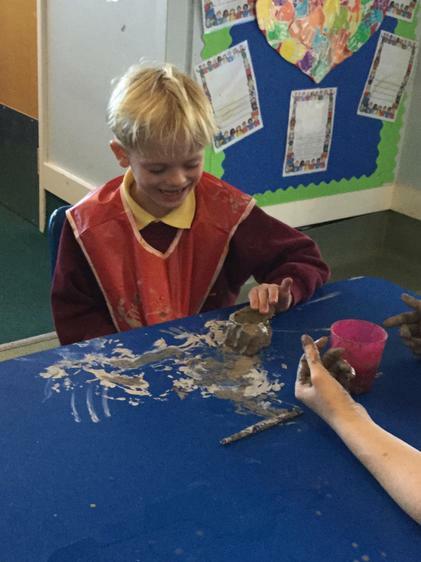 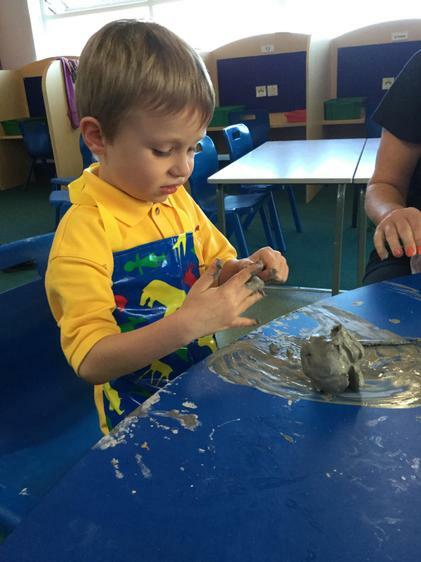 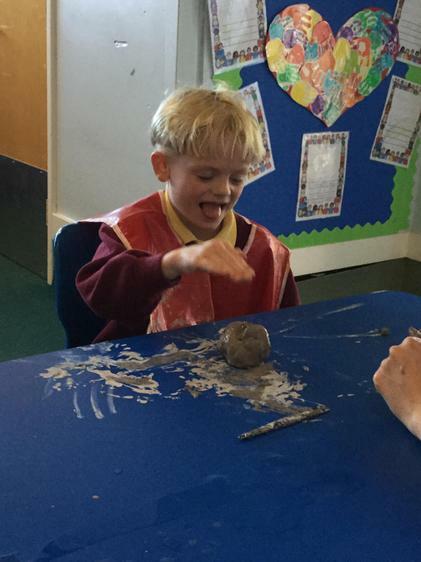 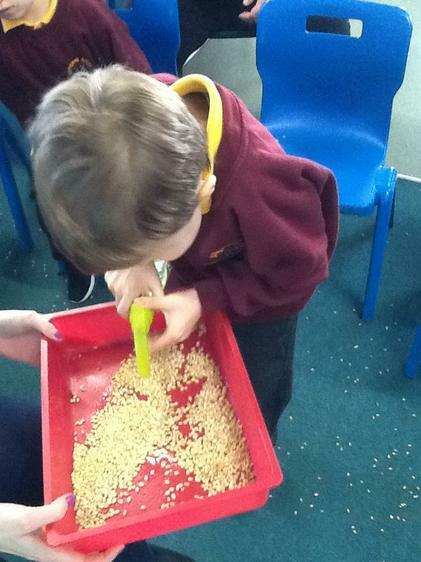 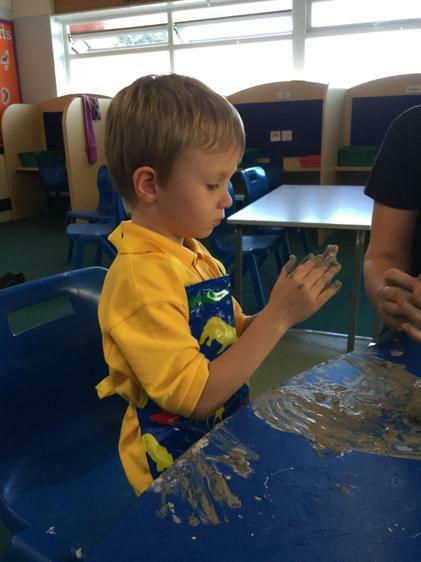 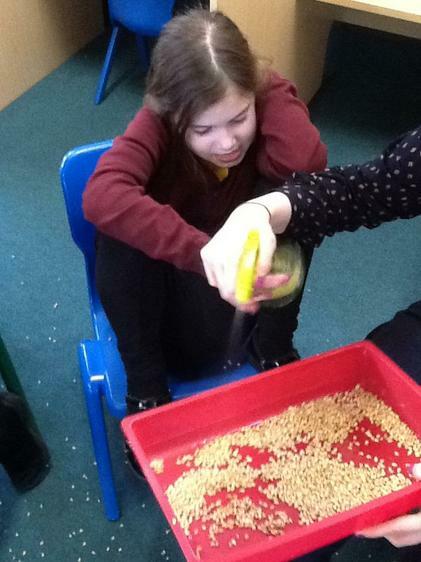 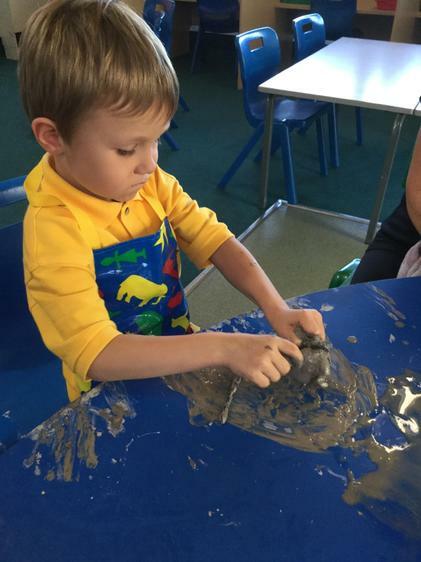 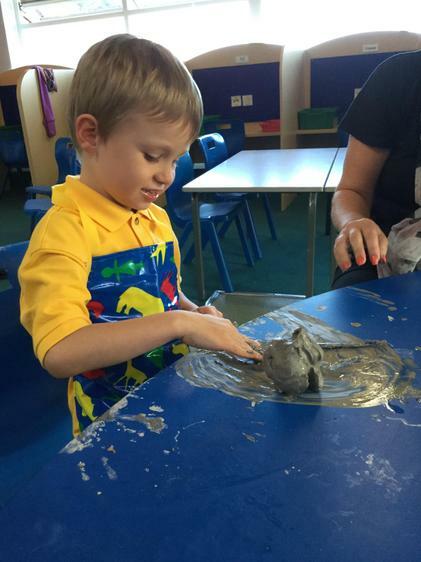 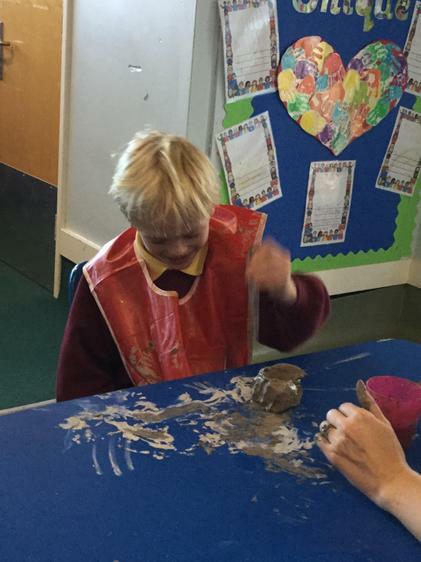 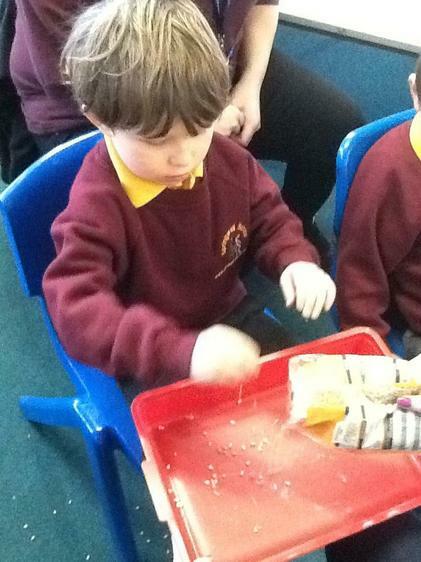 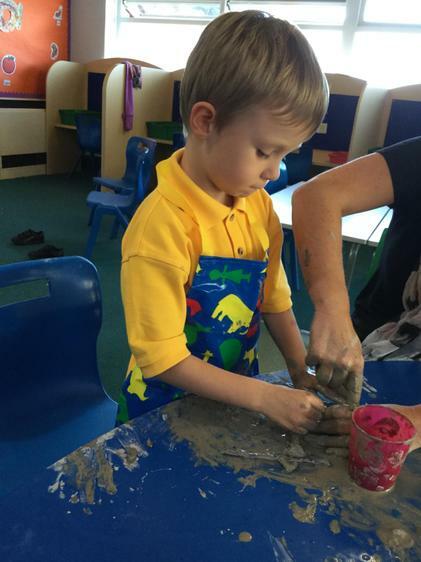 We've also explored clay and experienced moulding and, manipulating the product with our own hands and tools. 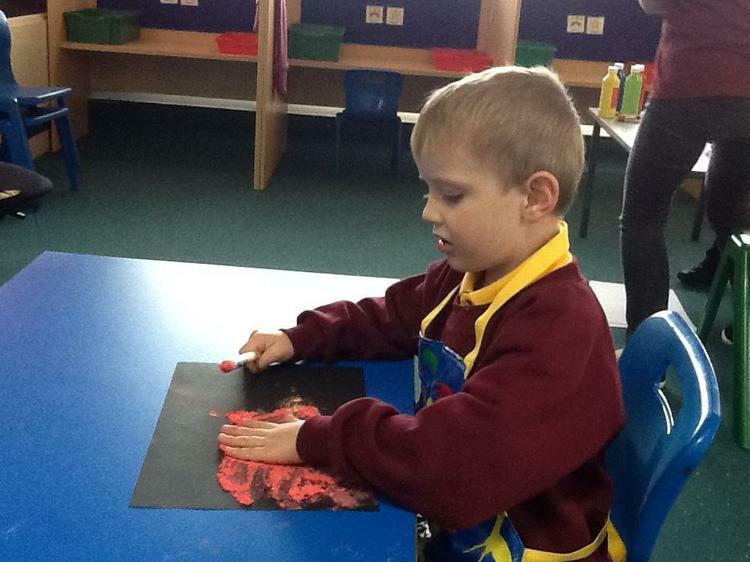 We've produced some magnificent works of art! 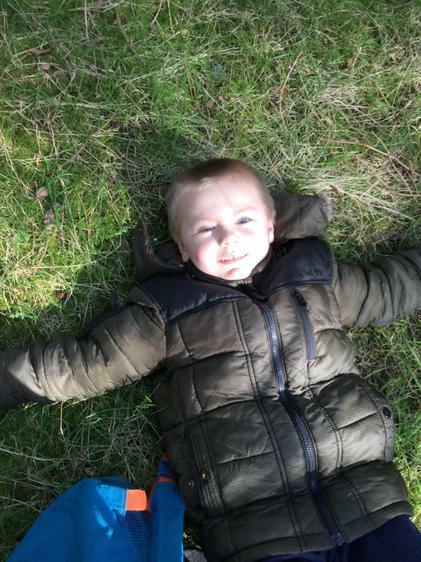 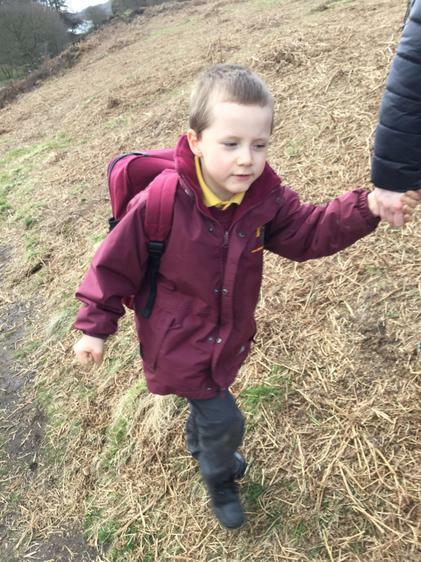 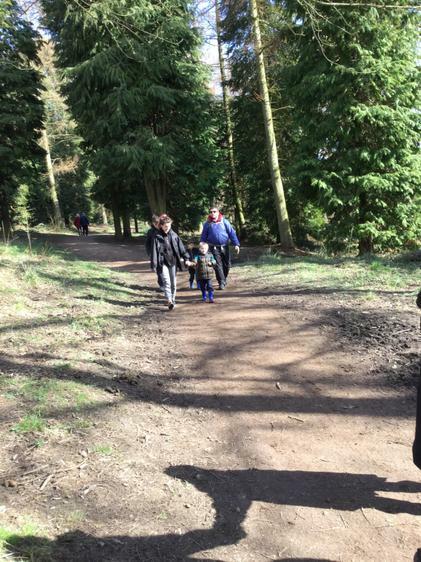 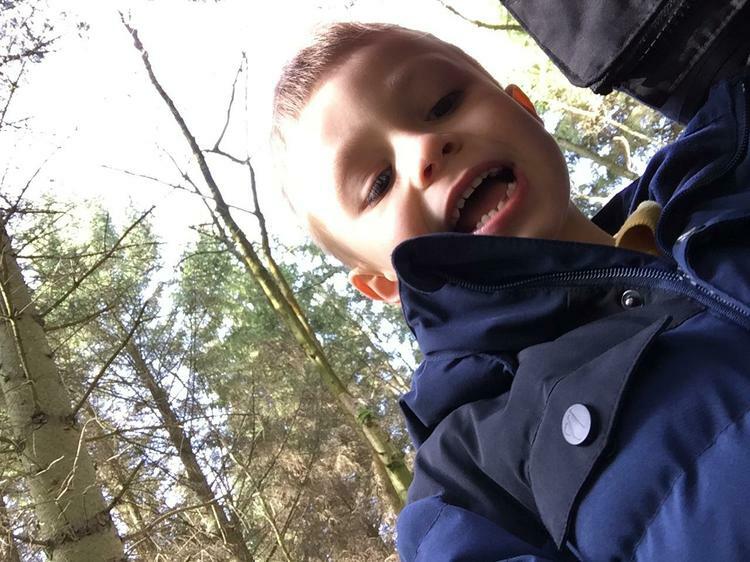 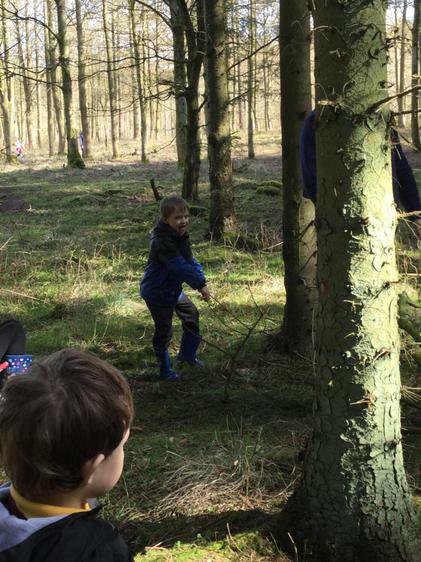 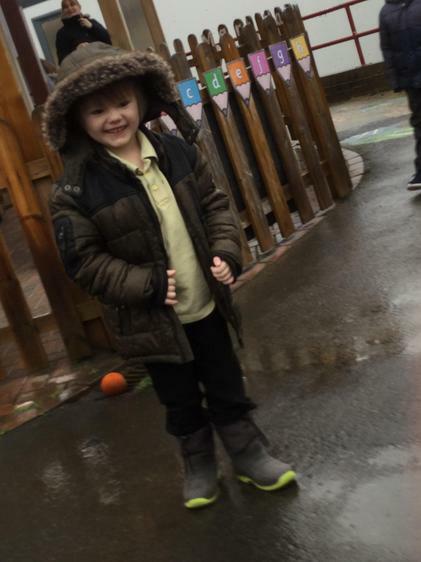 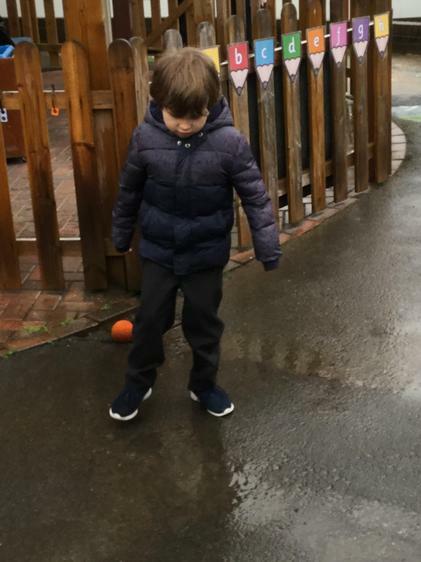 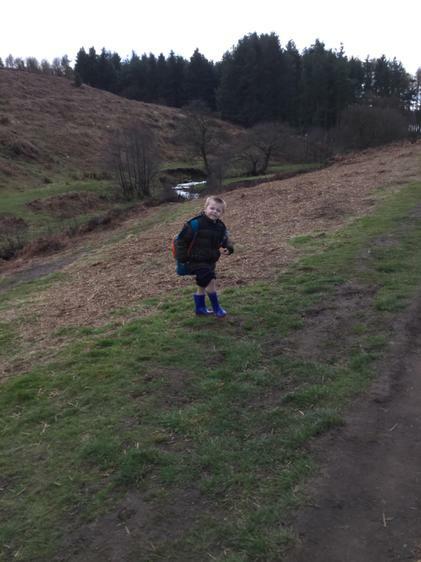 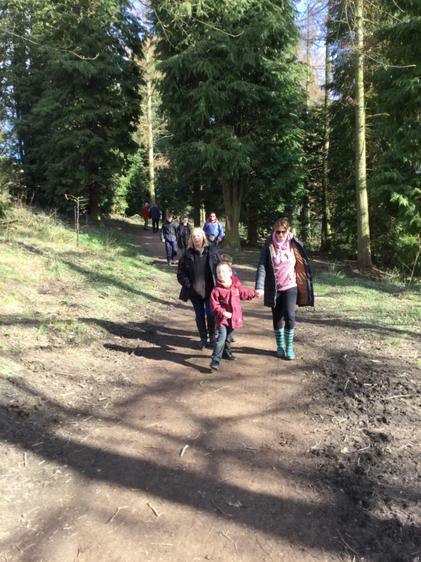 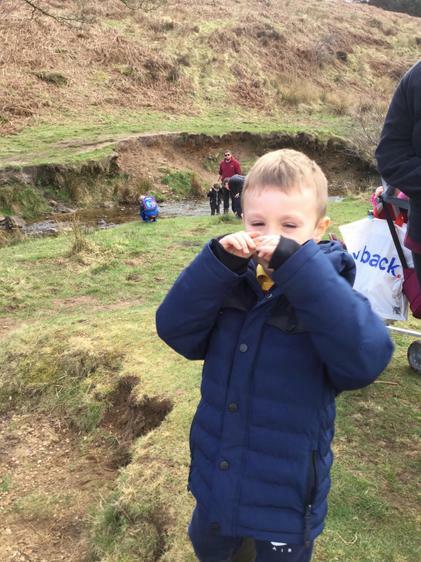 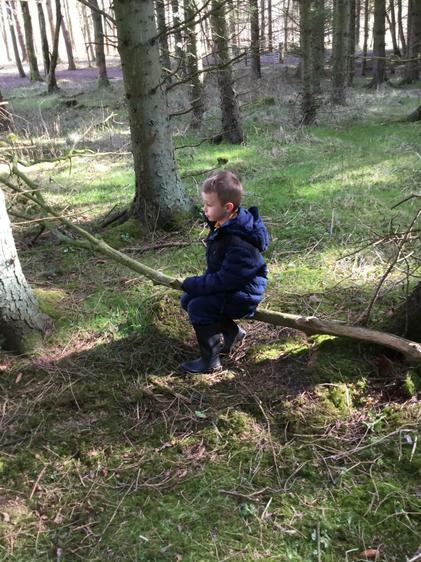 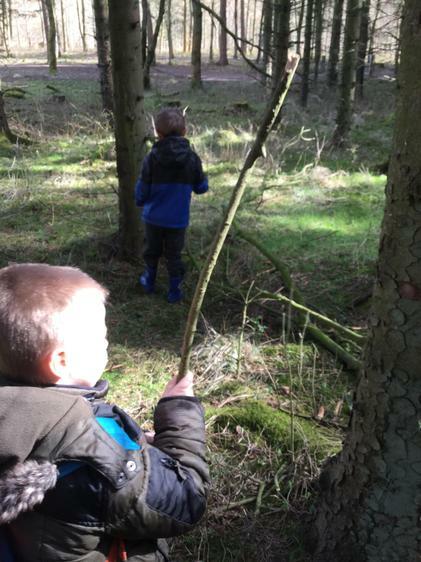 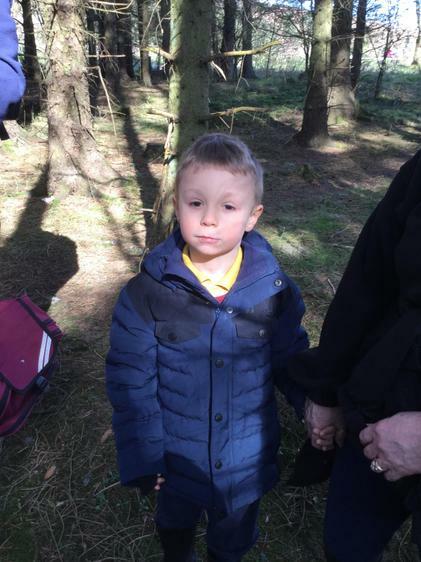 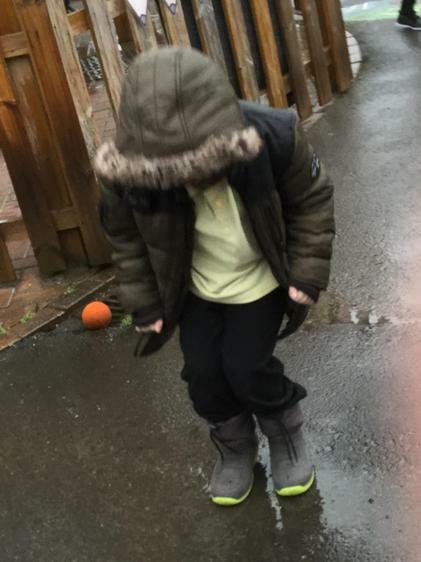 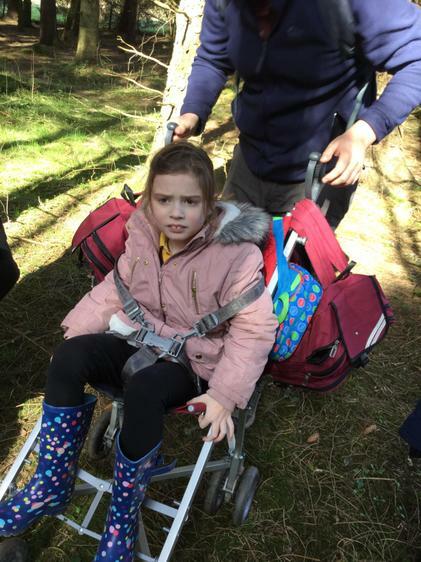 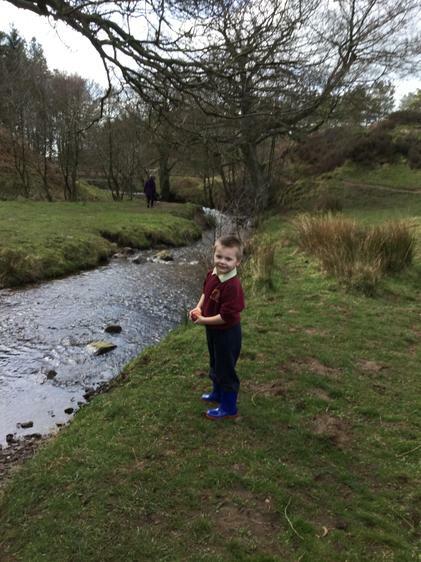 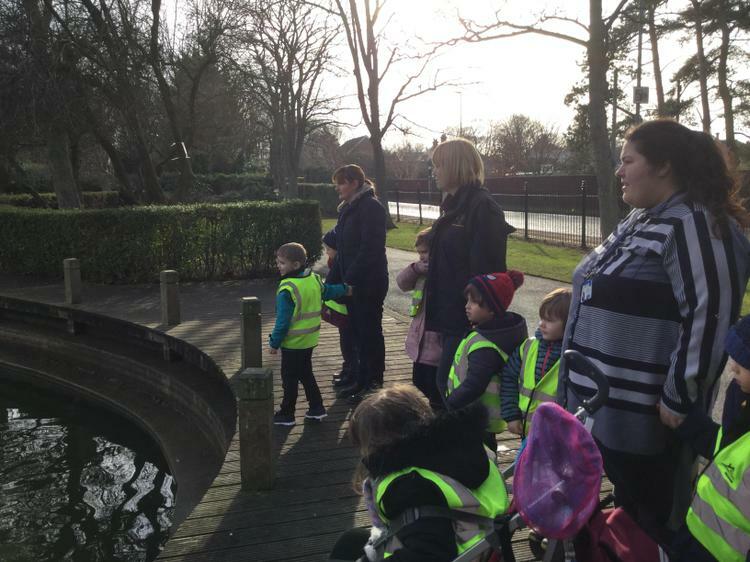 We read the story of The Gruffalo in class : We even went on a Gruffalo hunt at Wynard Park! 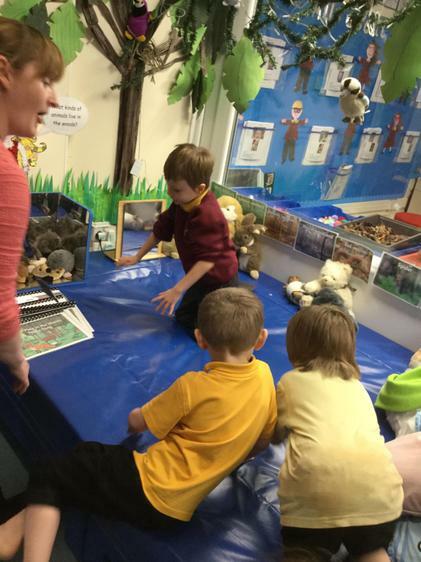 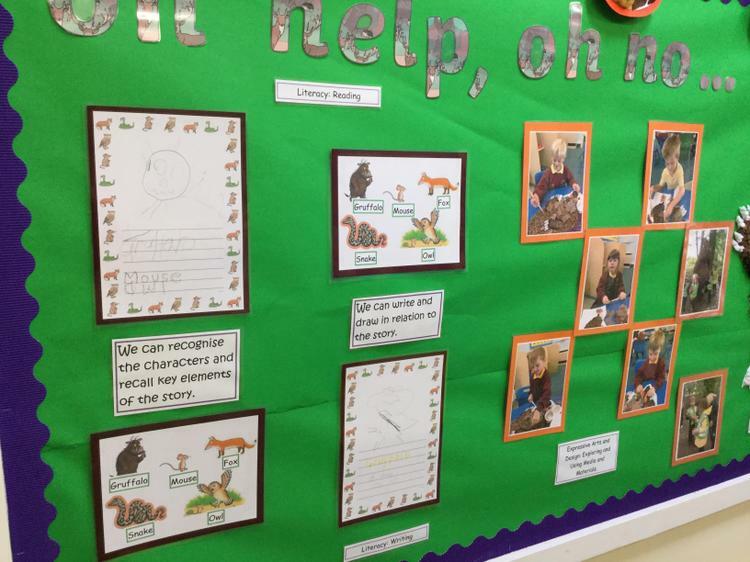 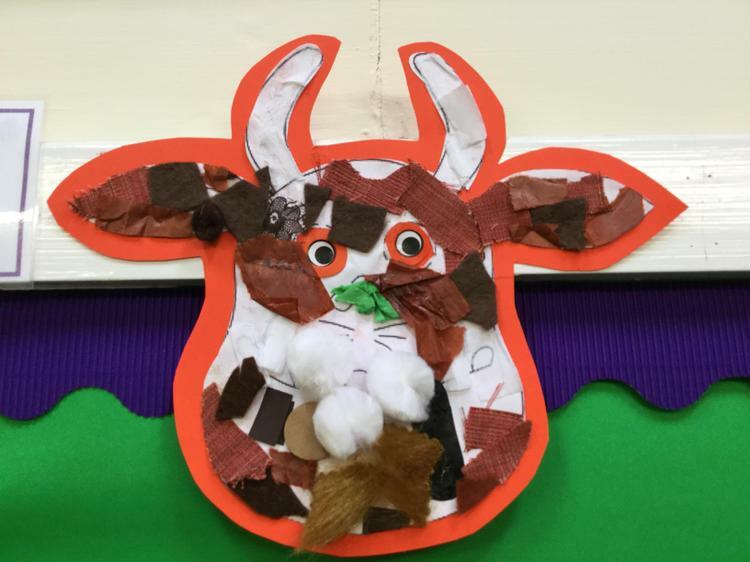 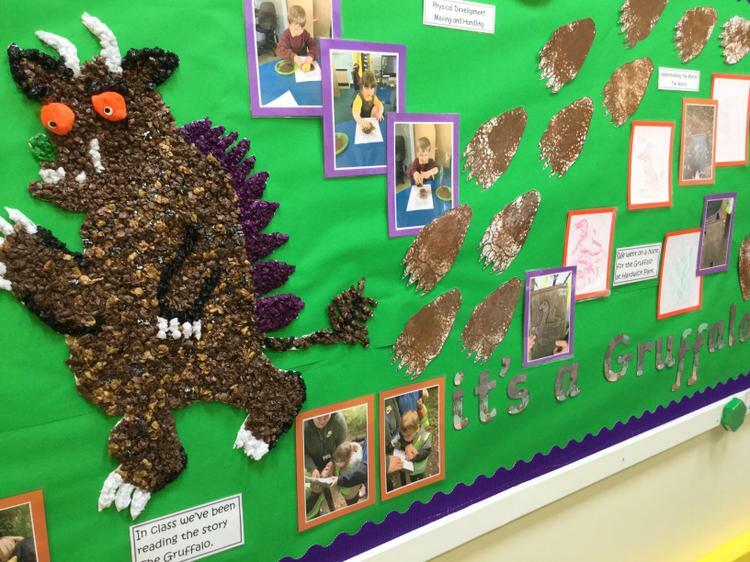 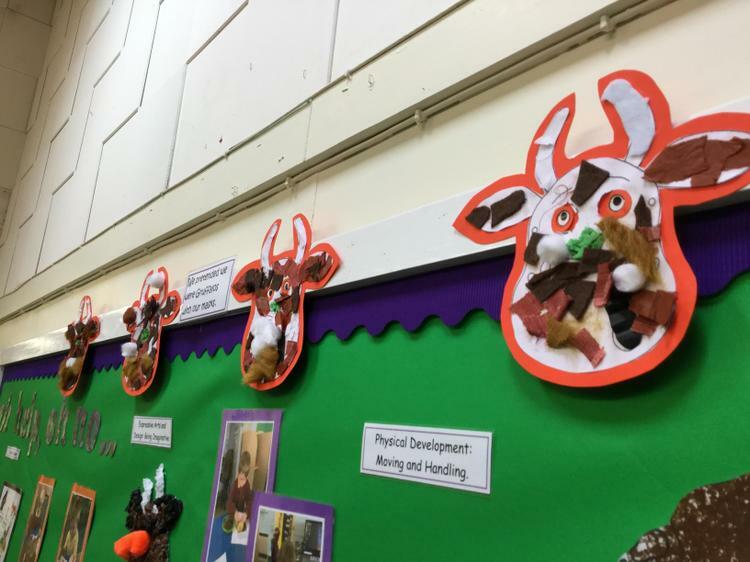 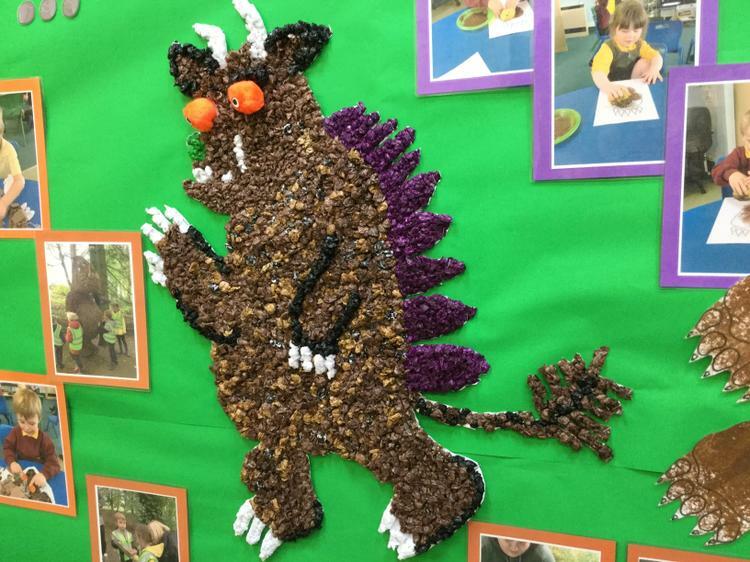 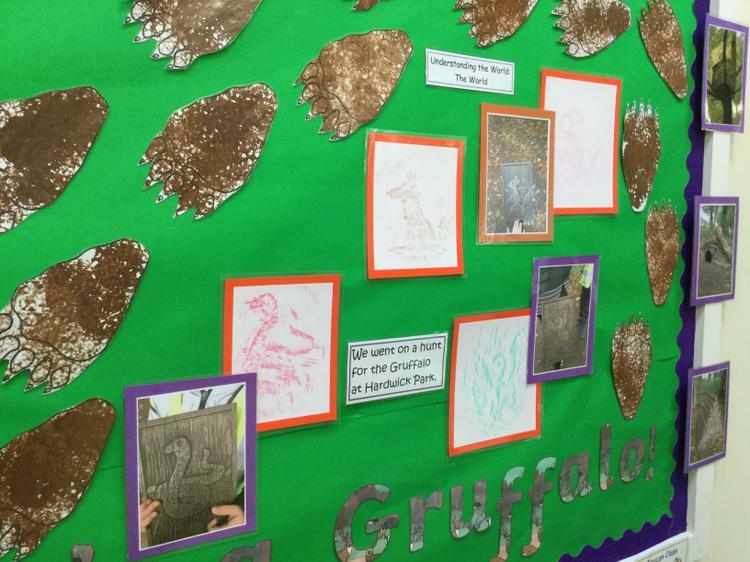 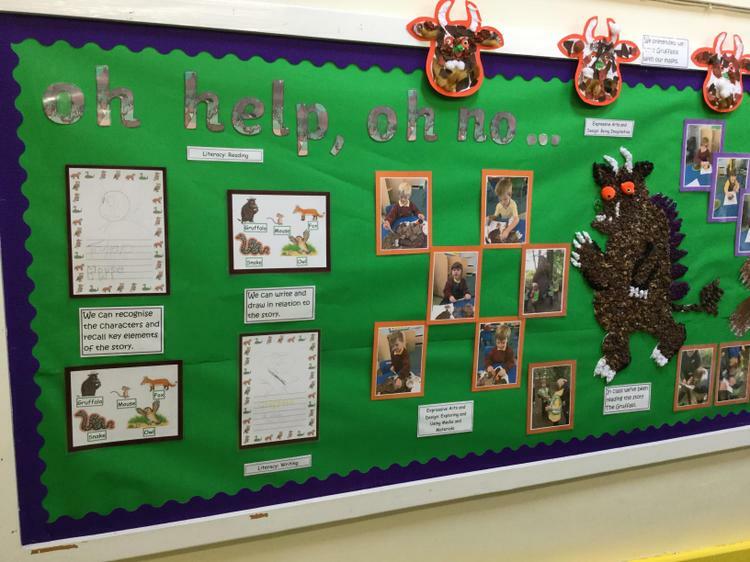 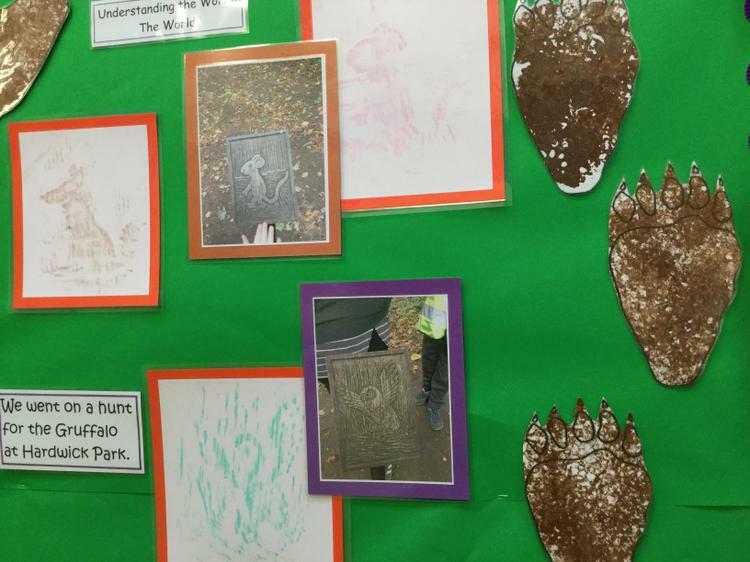 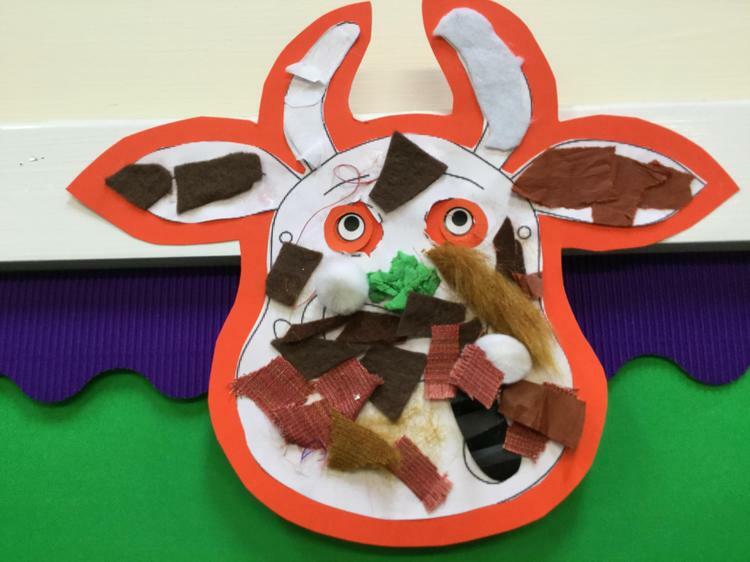 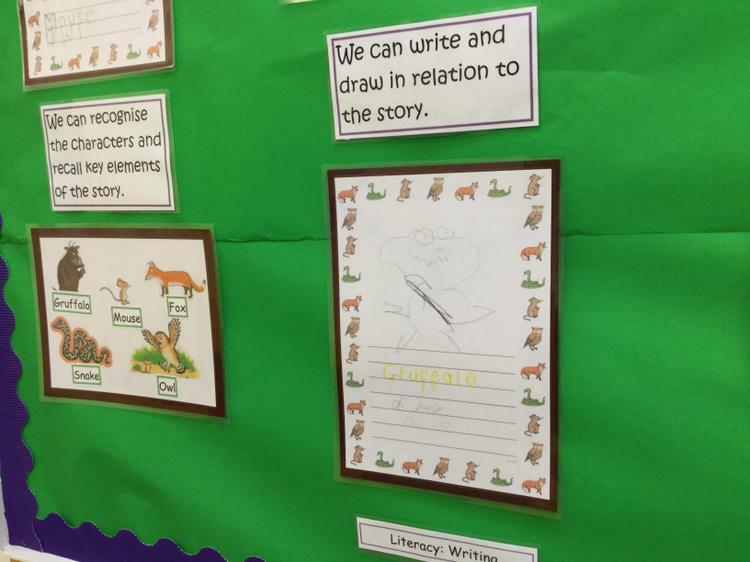 This is our Gruffalo display board! 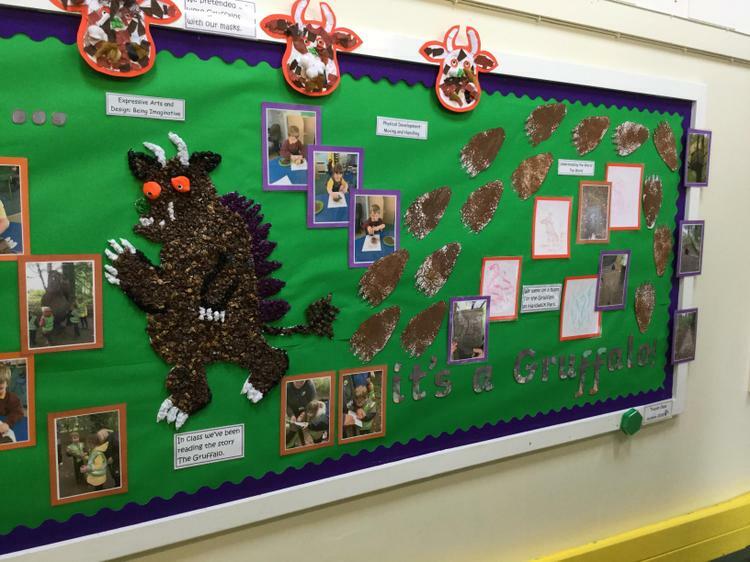 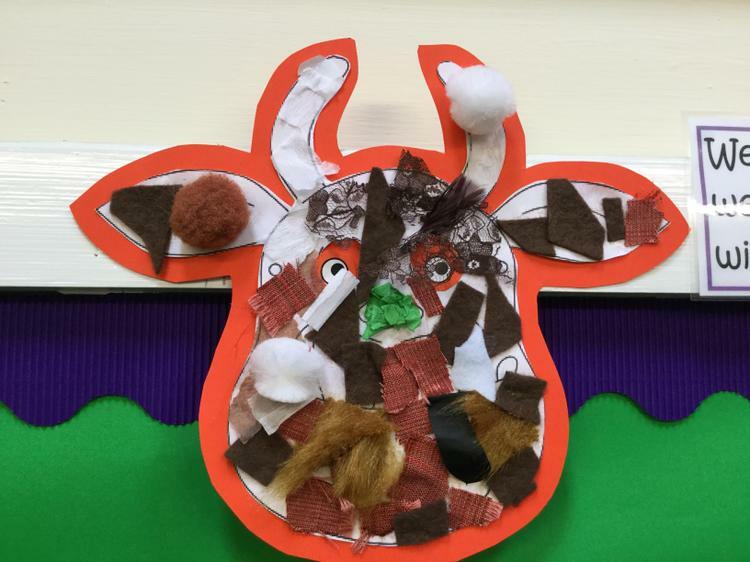 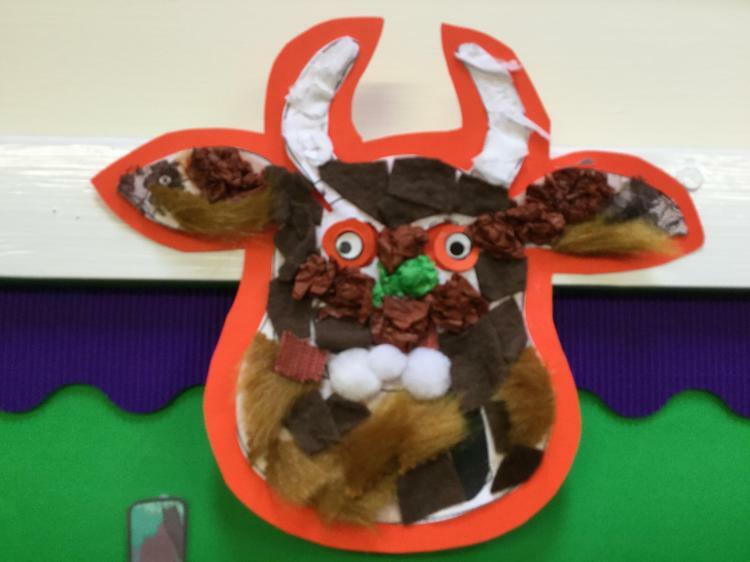 This is our Gruffalo assembly presentation! 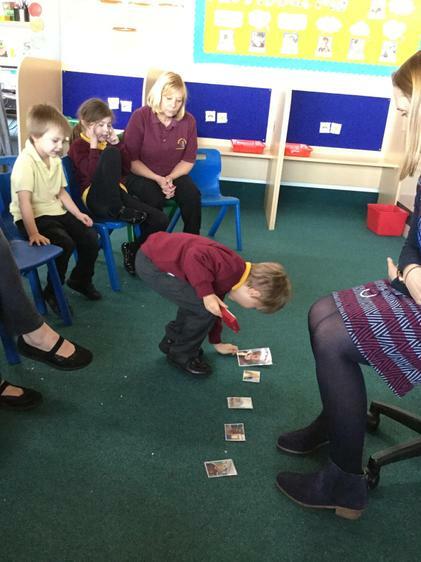 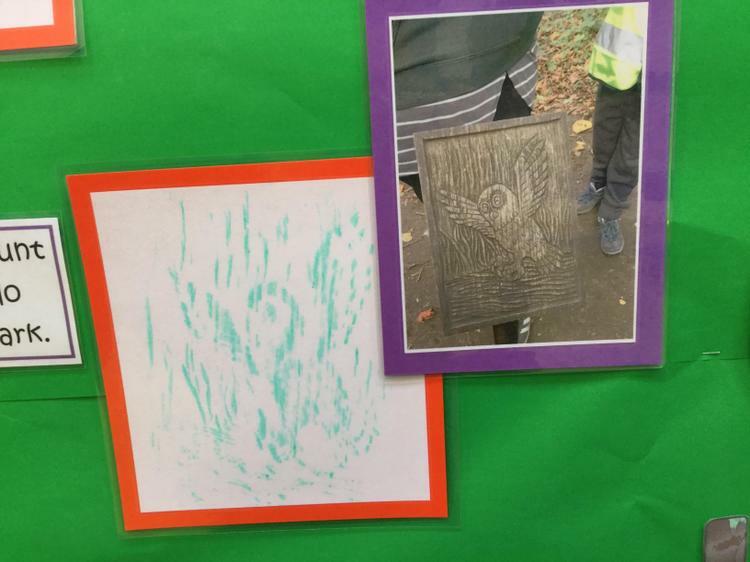 We've looked at recognising our own photo and, photos of others as well as trying to match them to the corresponding voice. 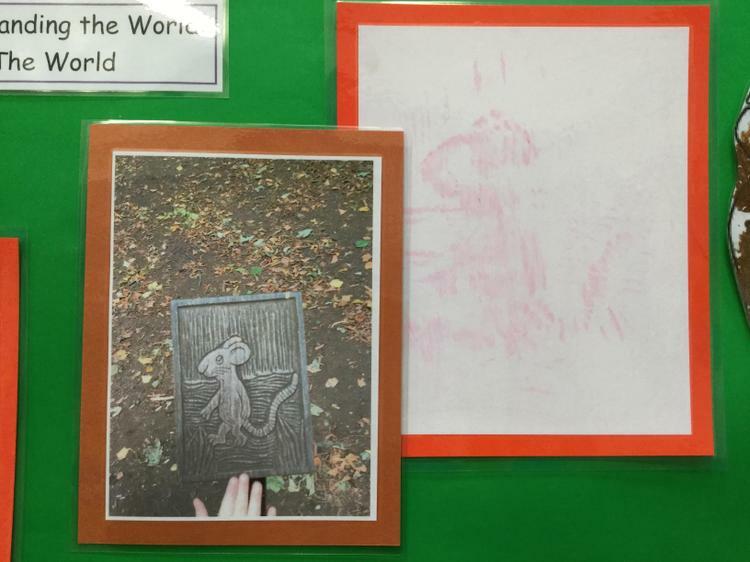 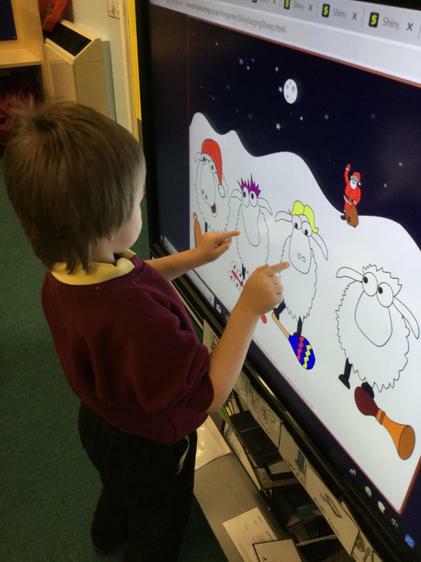 We made a class presentation and, inserted photos and sounds. 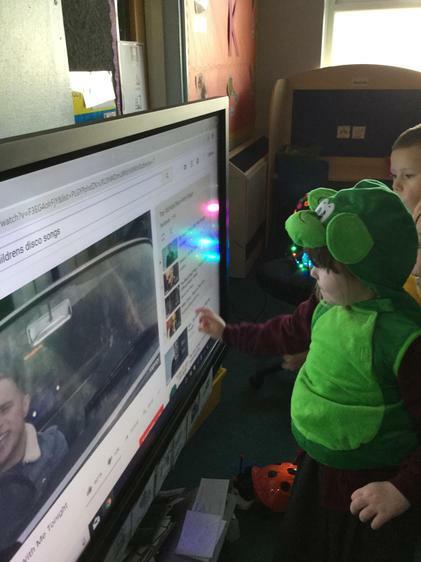 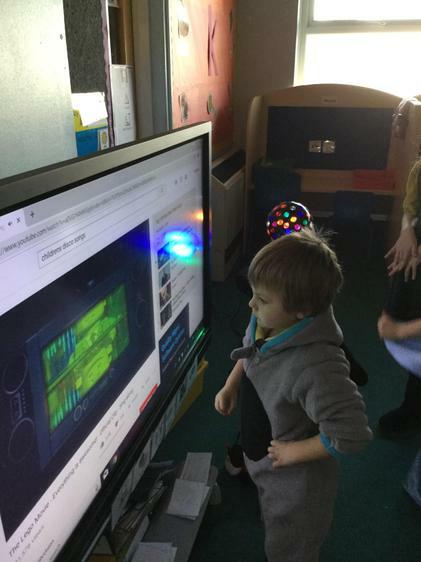 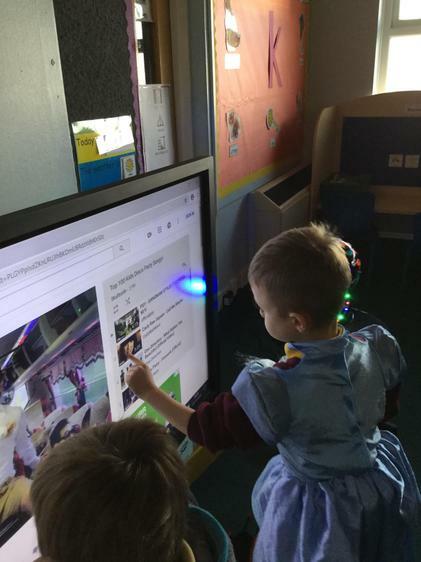 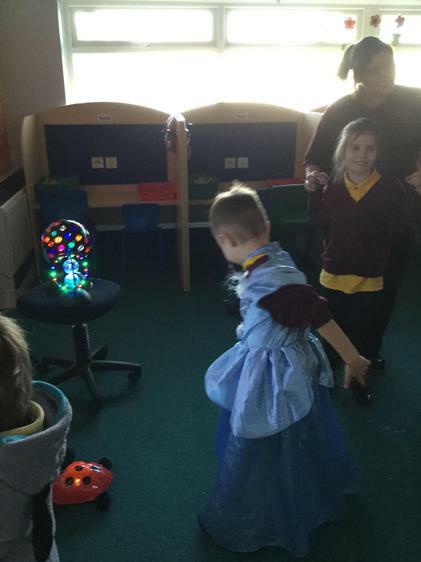 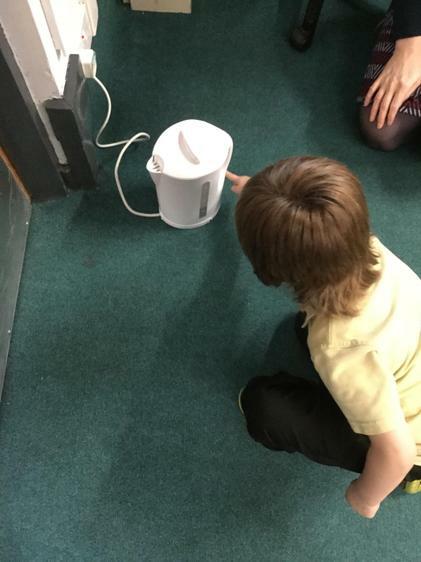 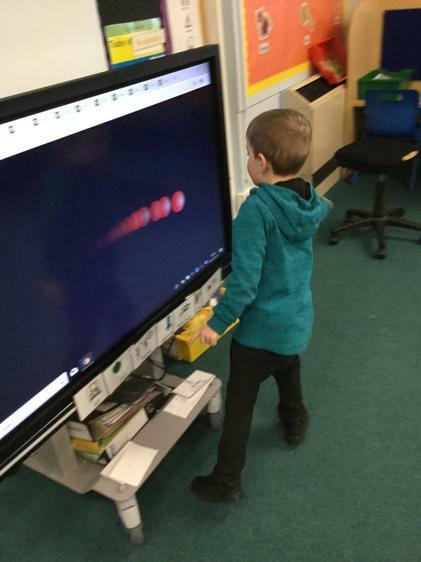 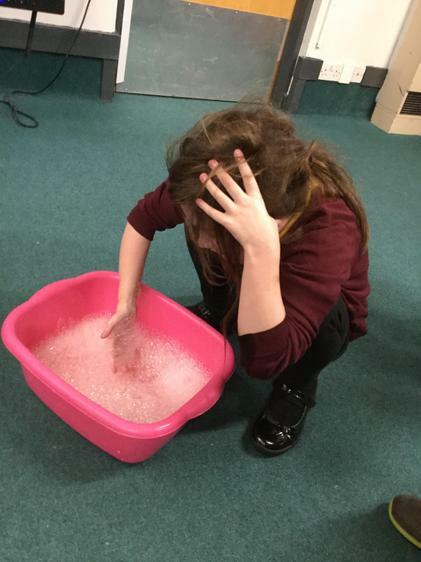 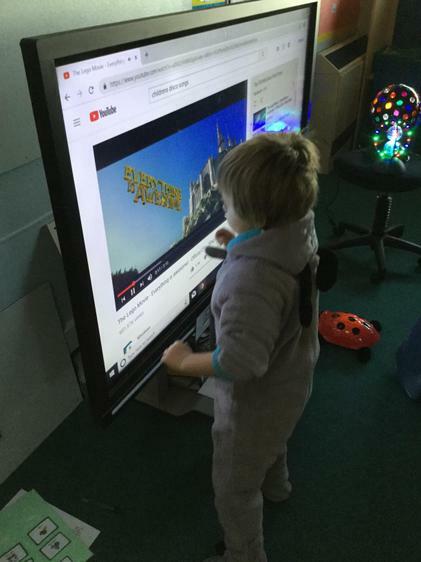 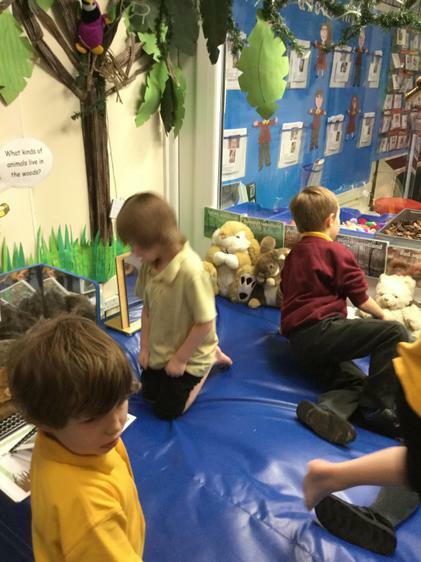 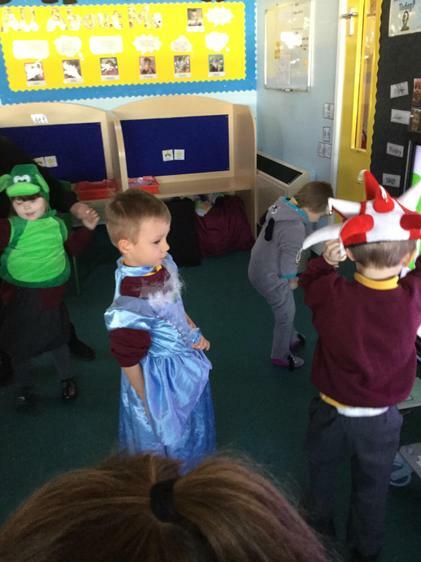 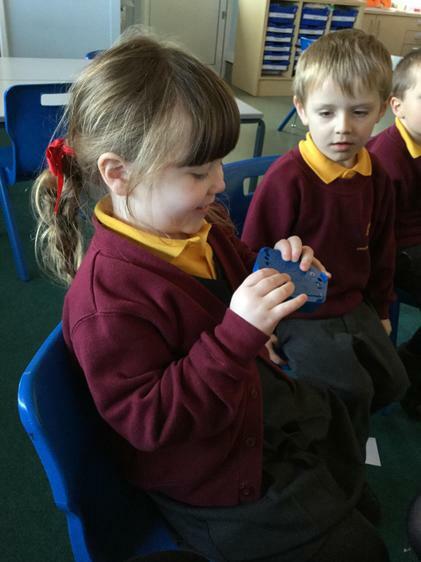 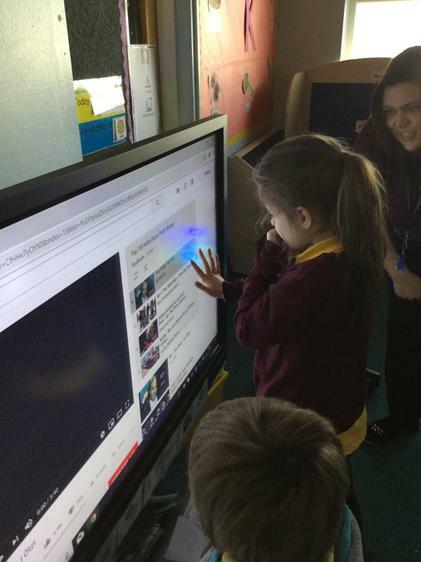 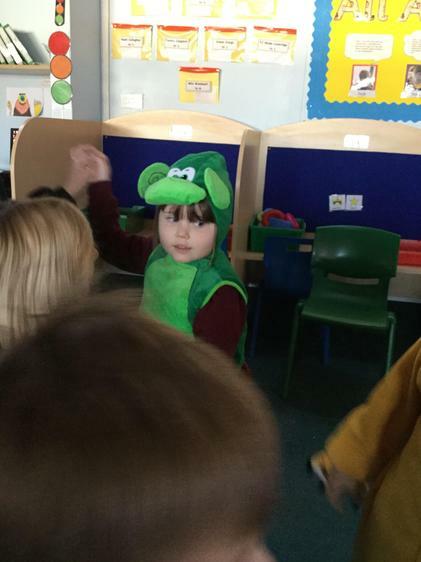 We held a classroom disco and made and controlled our own playlist. 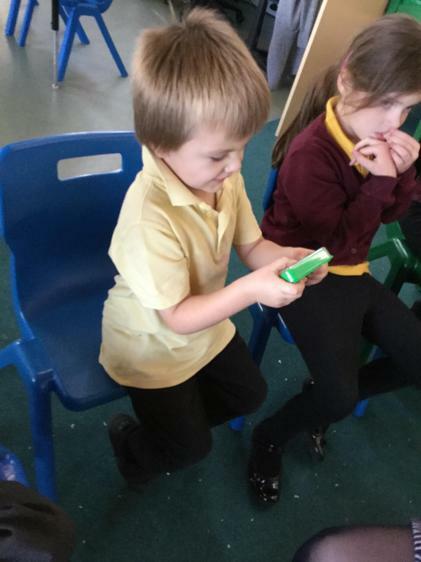 Starting and,stopping the songs and, controlling the volume. 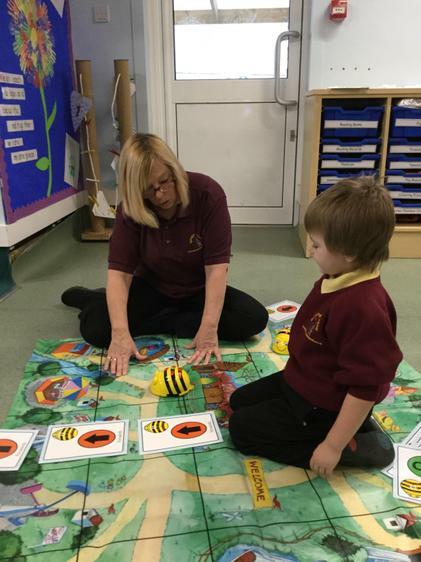 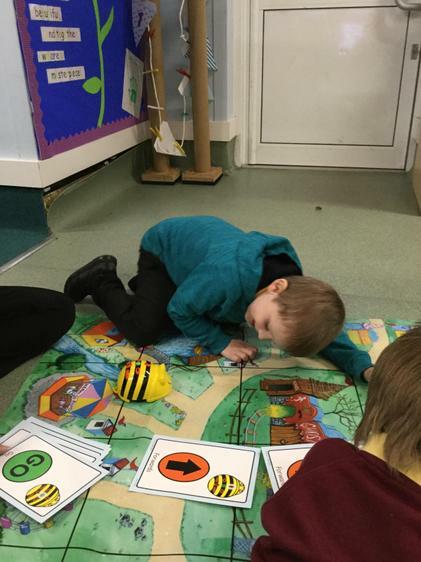 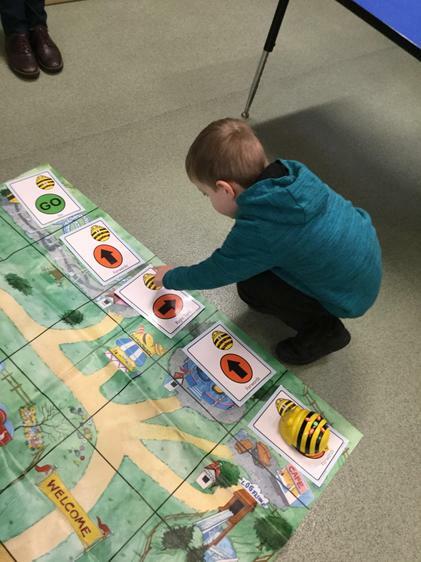 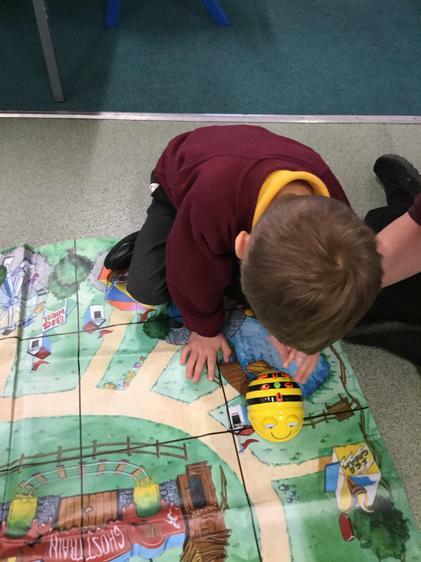 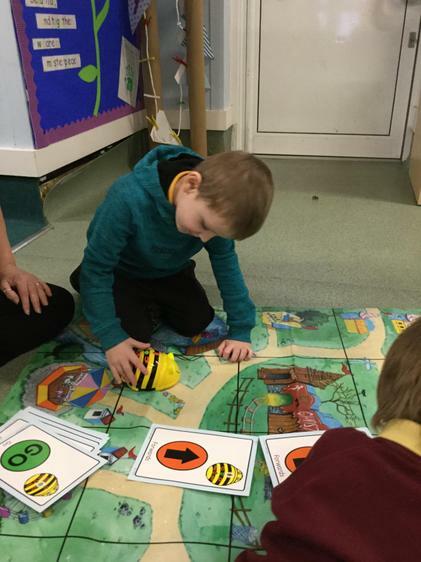 We also programmed BeeBots to follow a specific path! 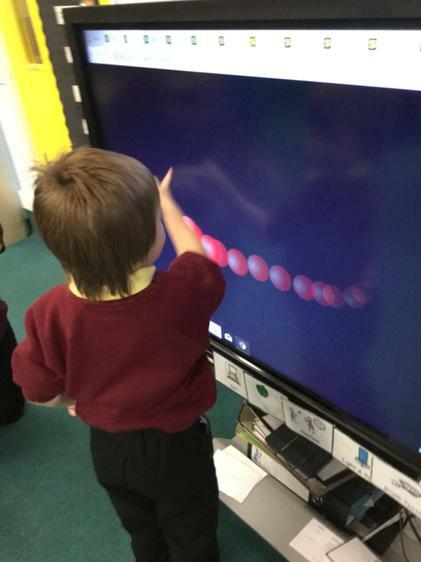 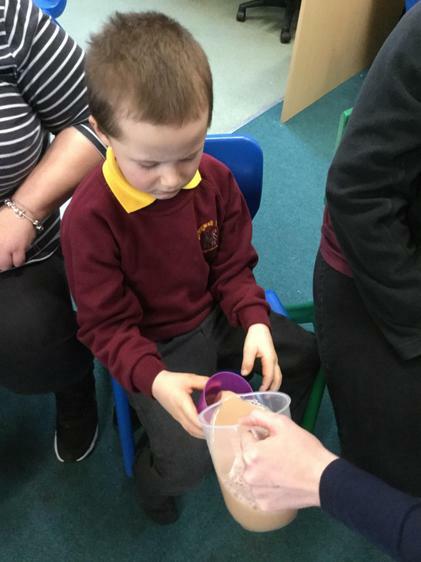 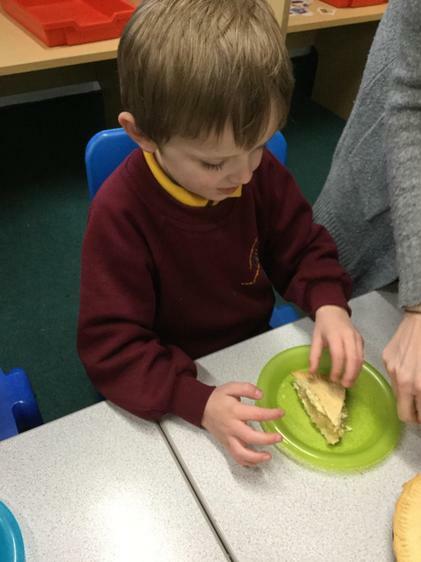 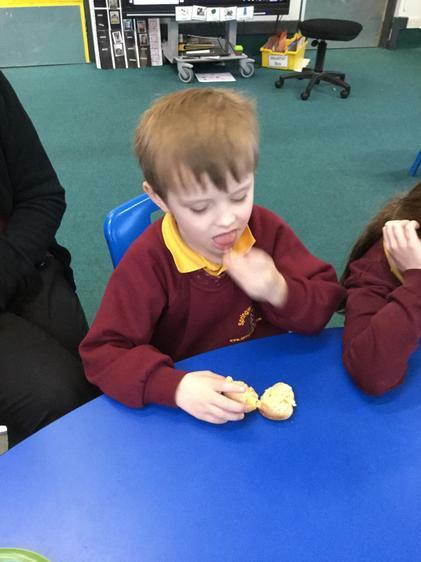 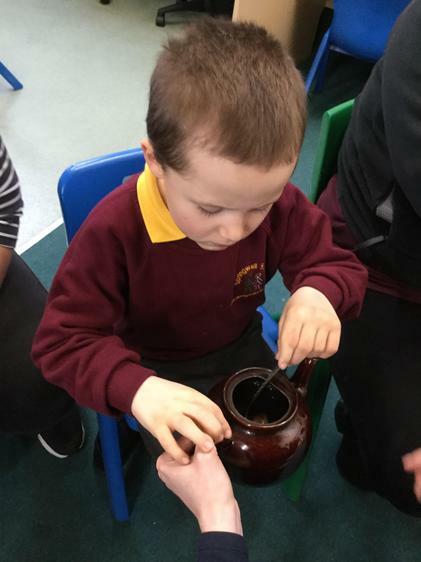 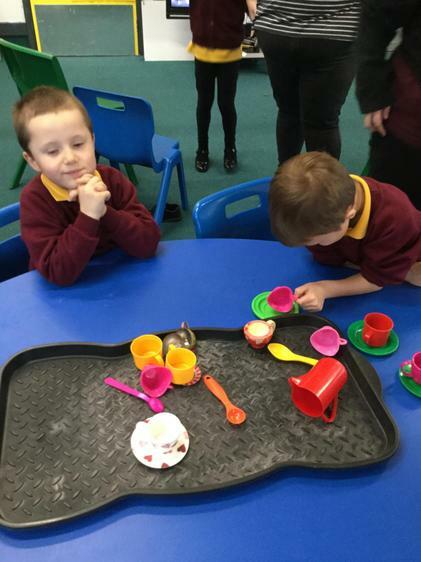 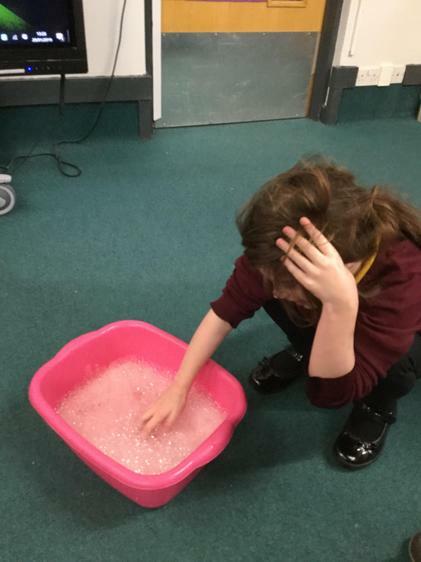 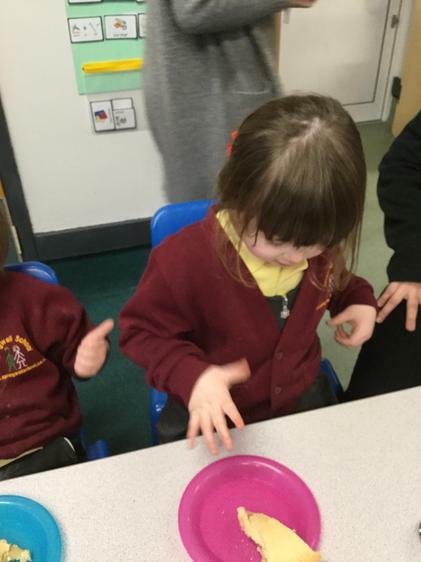 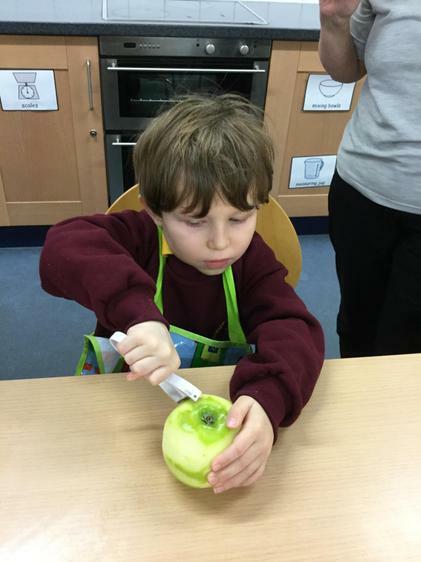 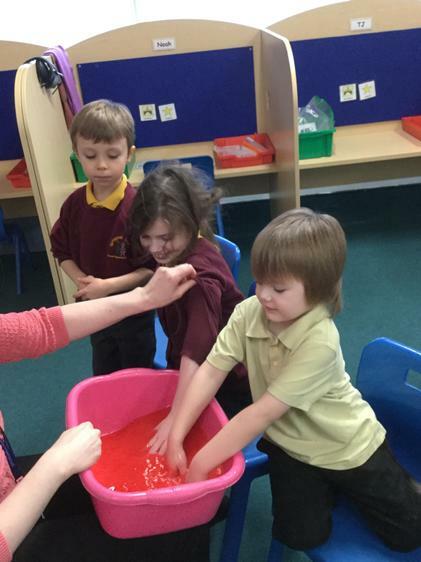 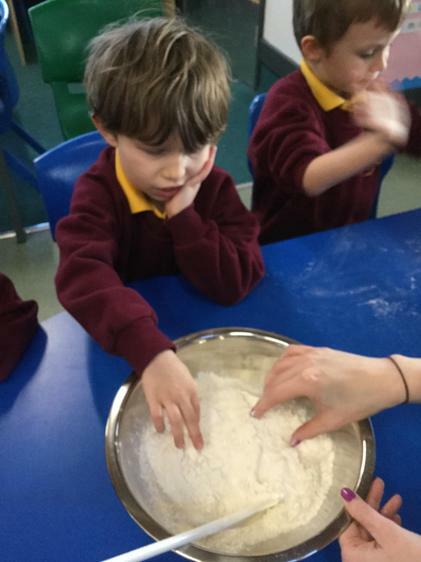 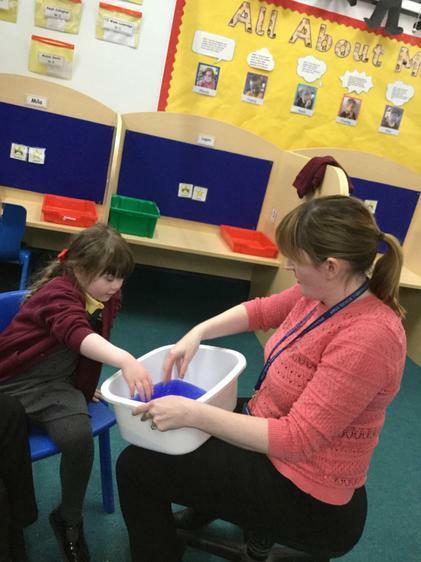 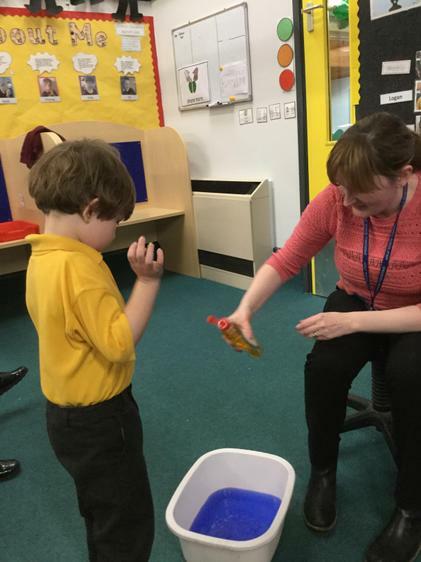 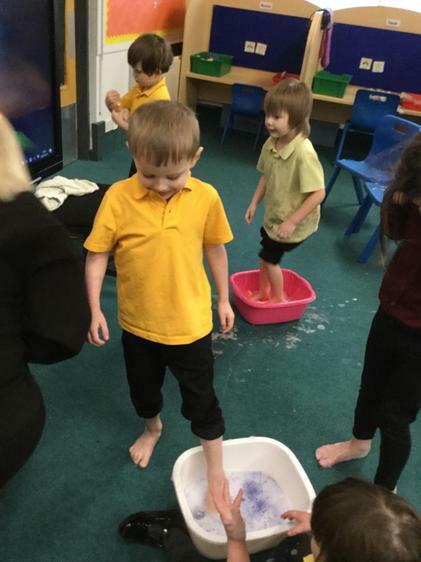 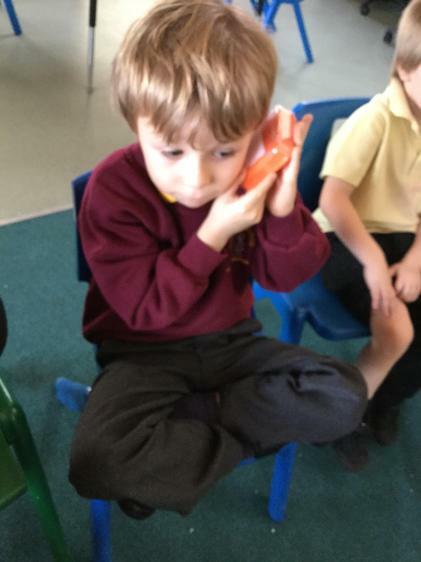 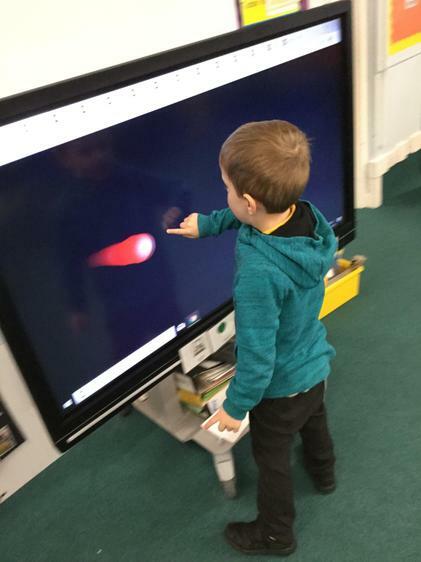 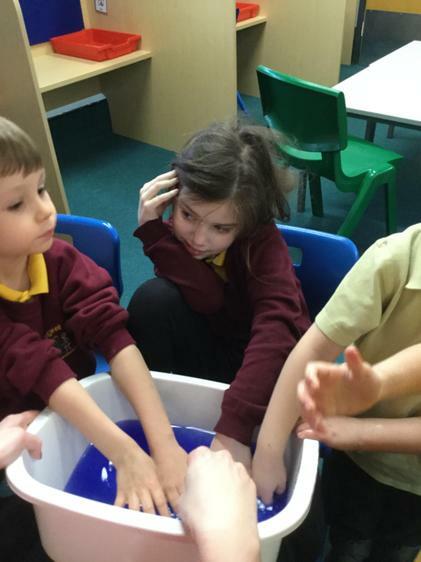 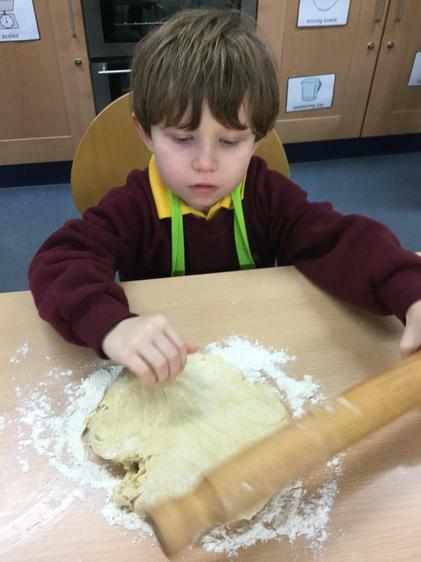 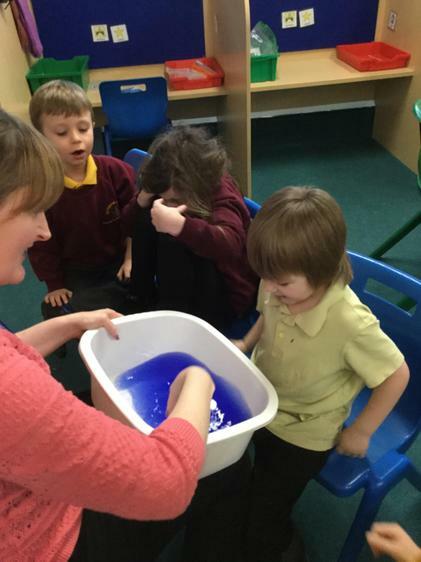 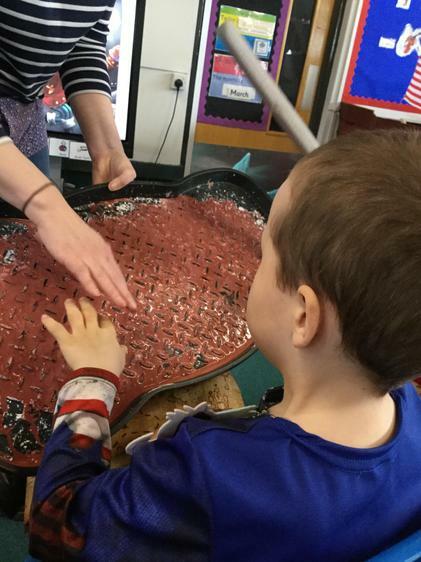 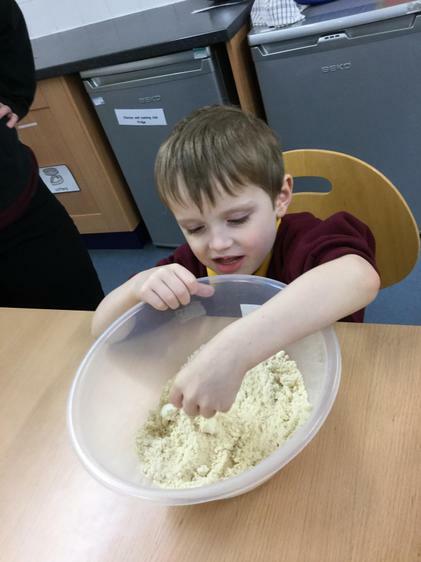 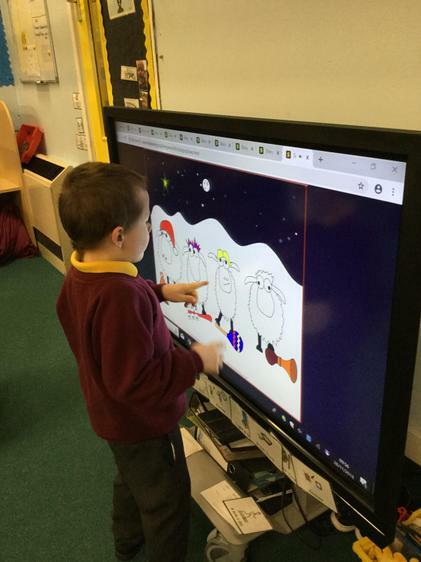 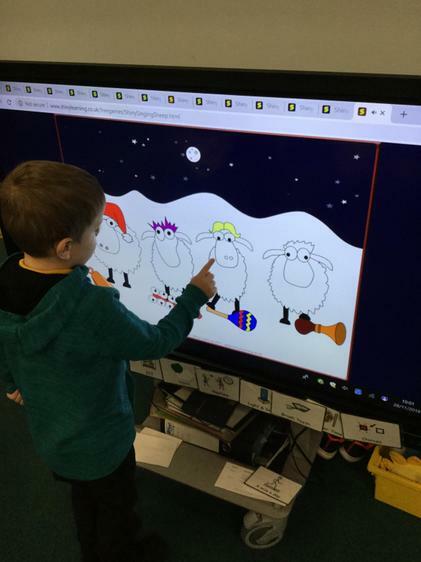 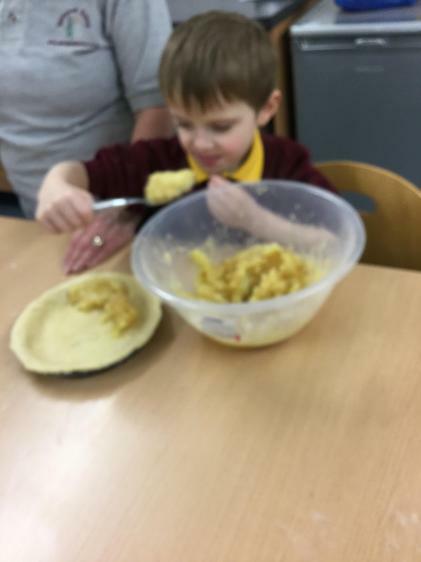 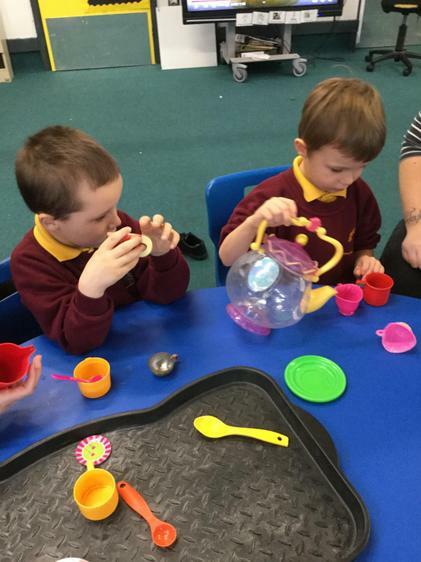 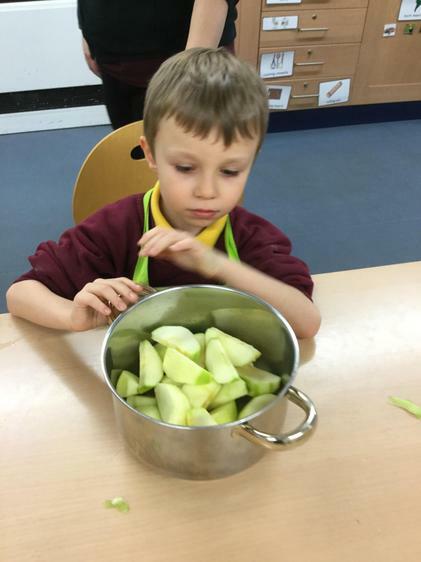 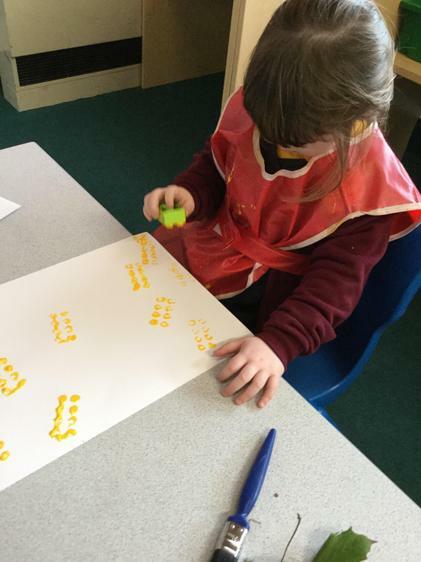 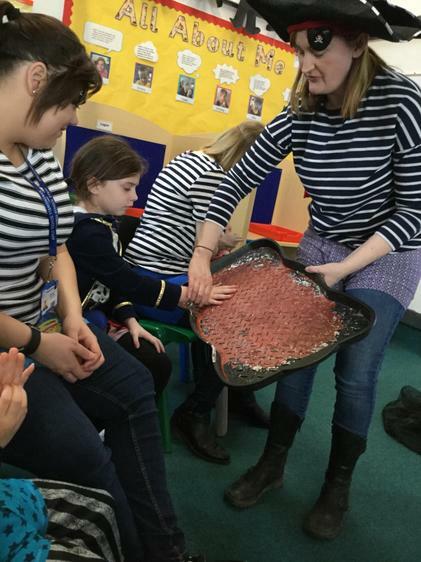 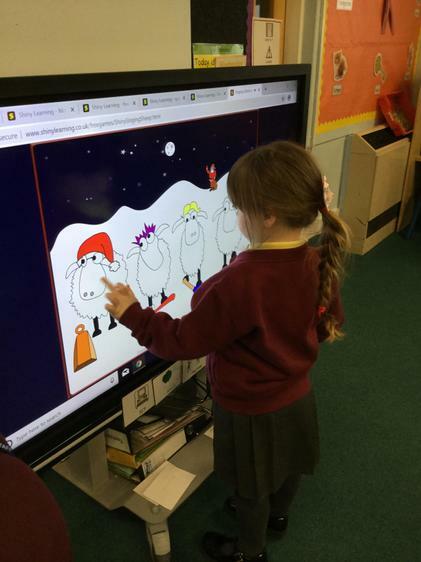 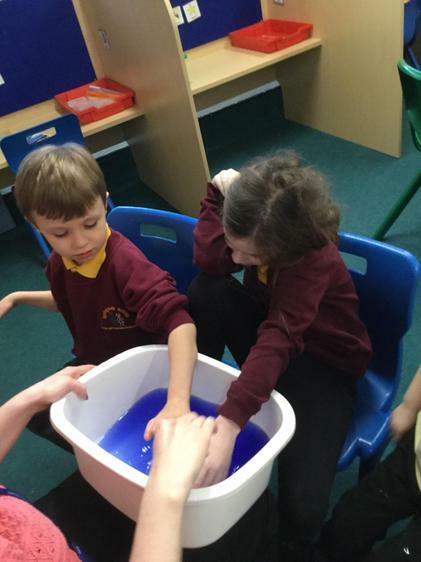 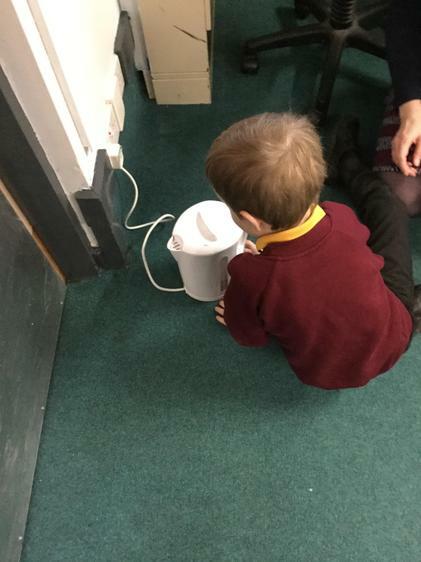 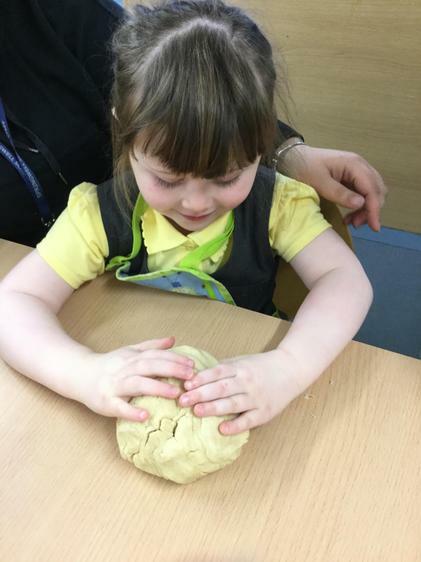 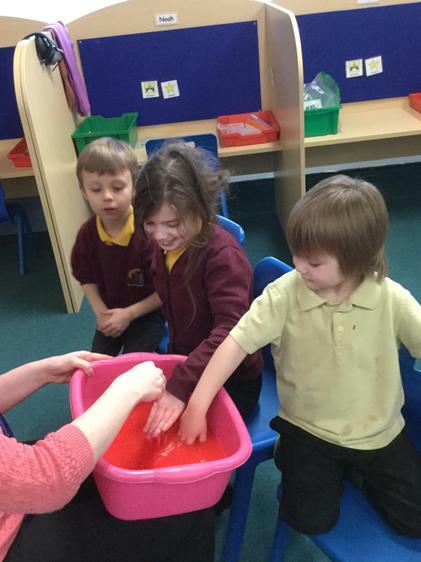 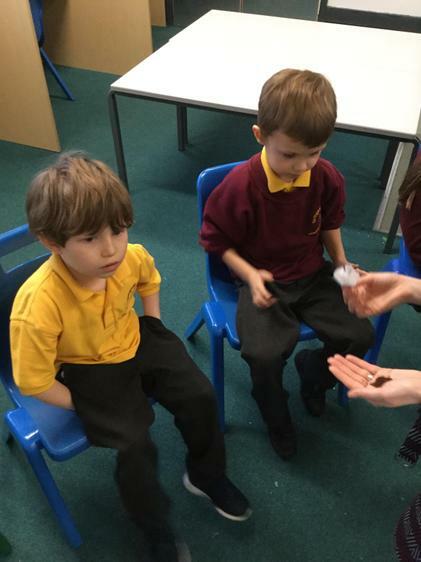 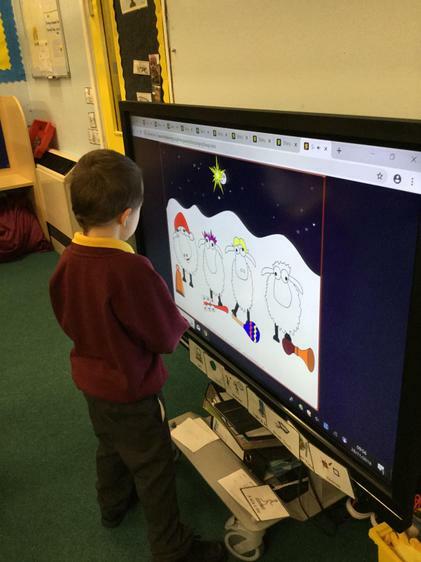 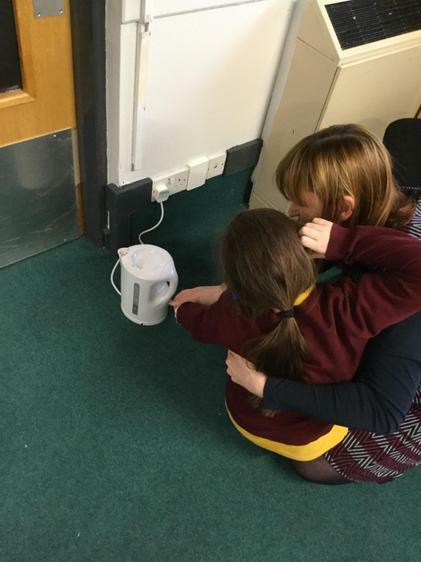 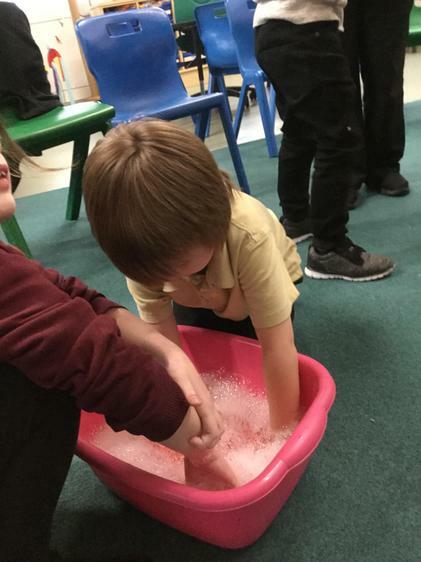 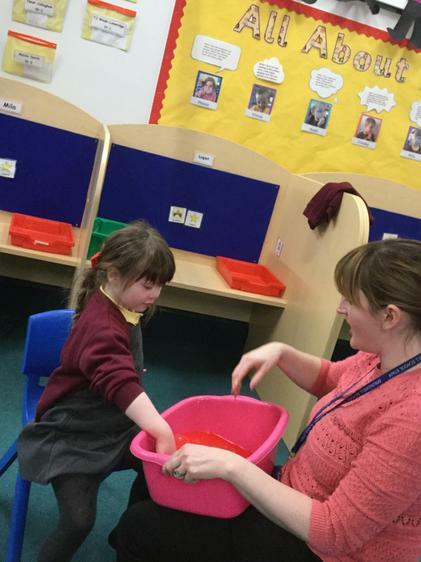 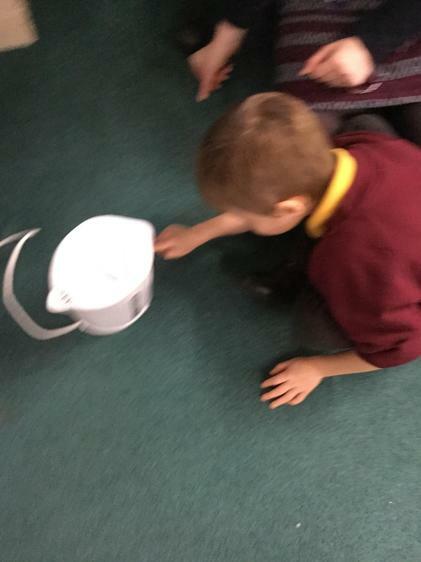 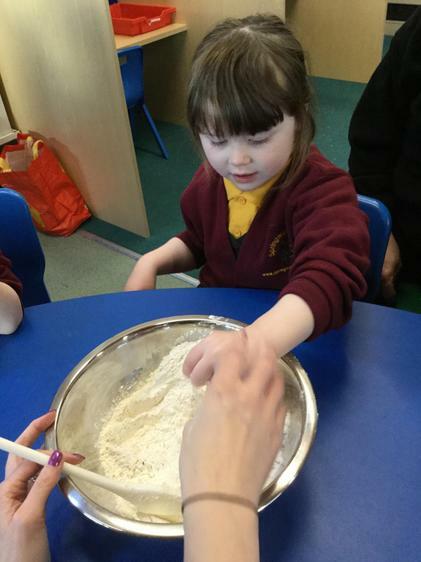 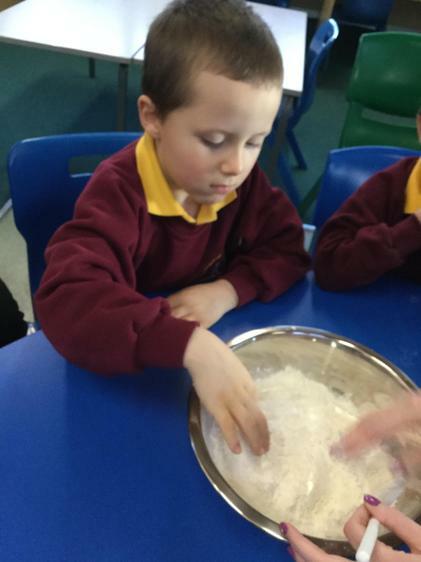 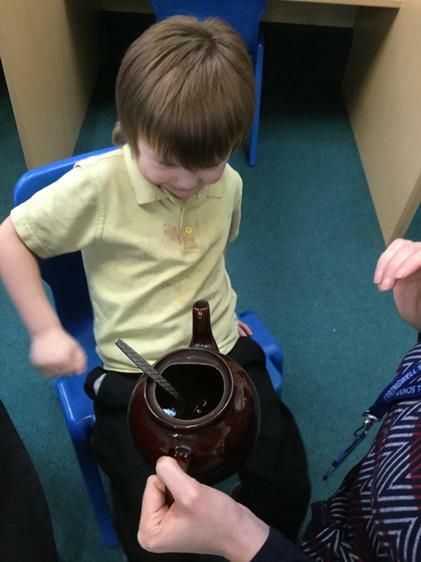 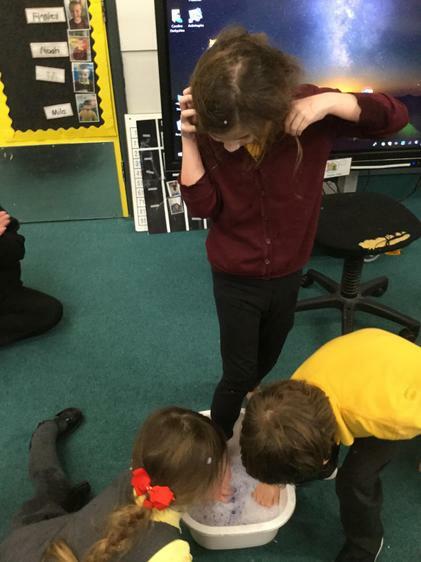 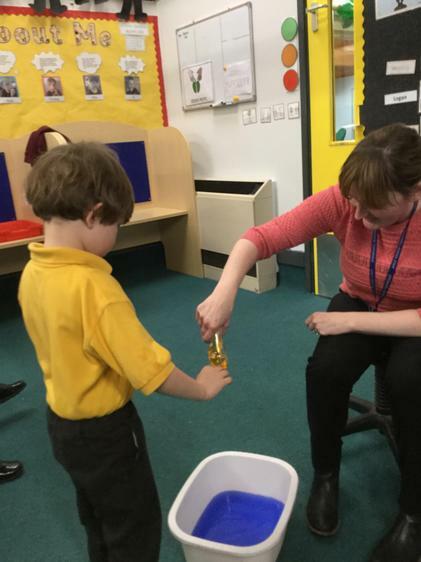 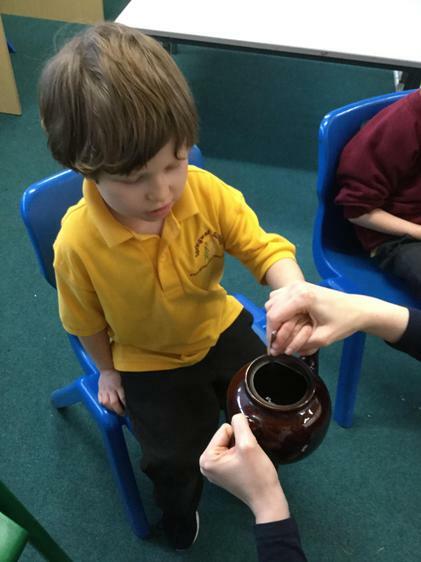 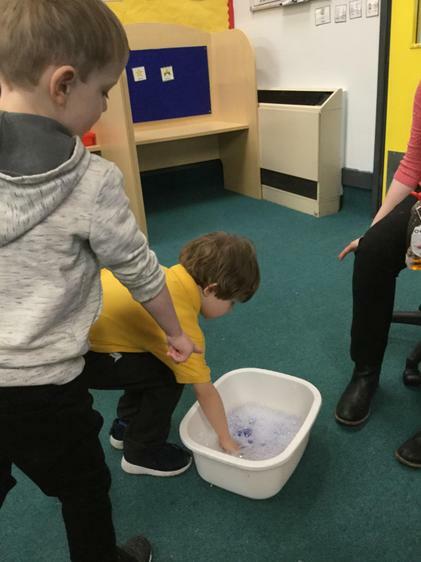 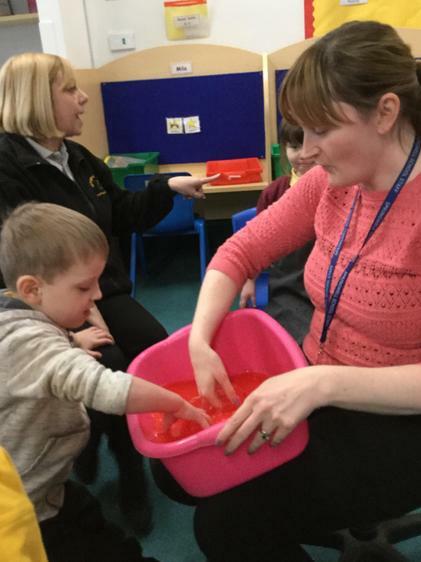 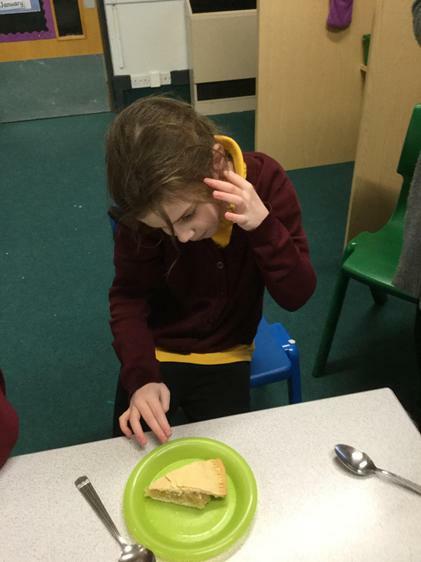 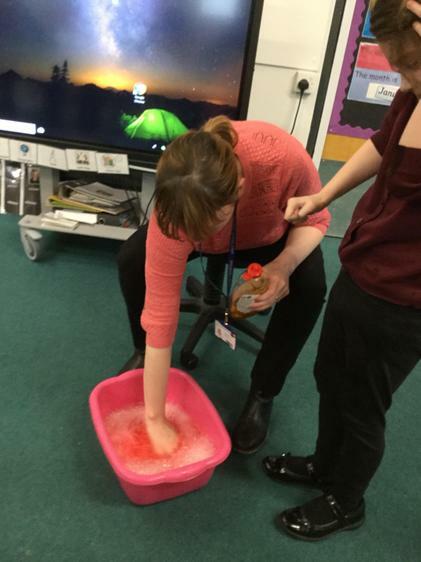 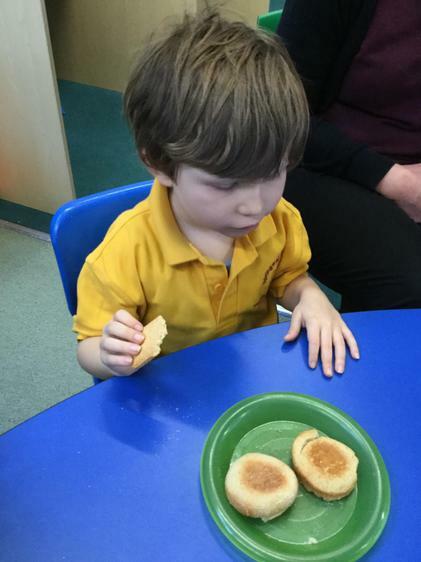 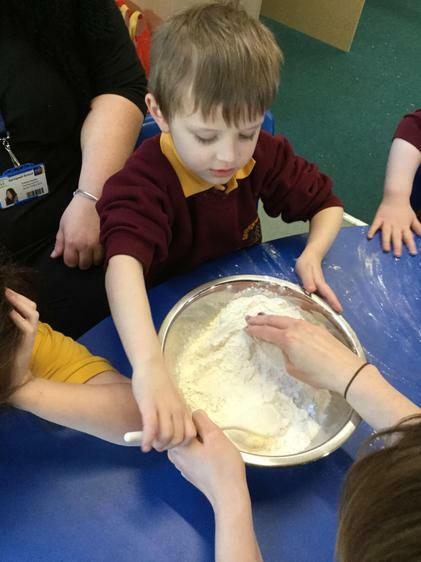 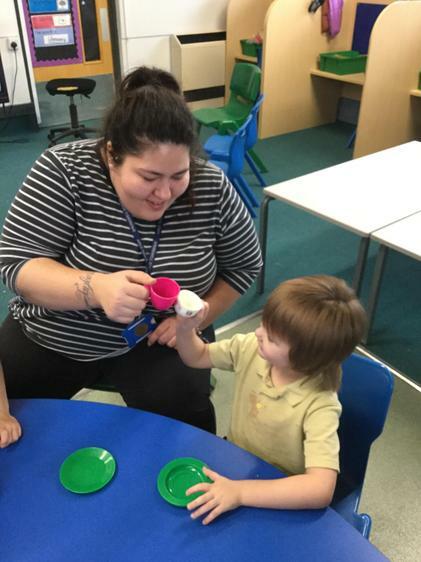 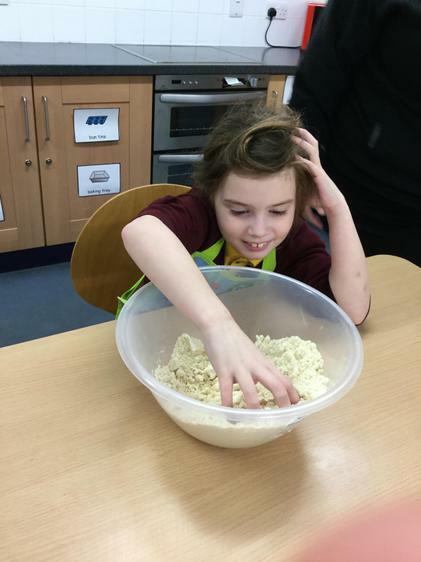 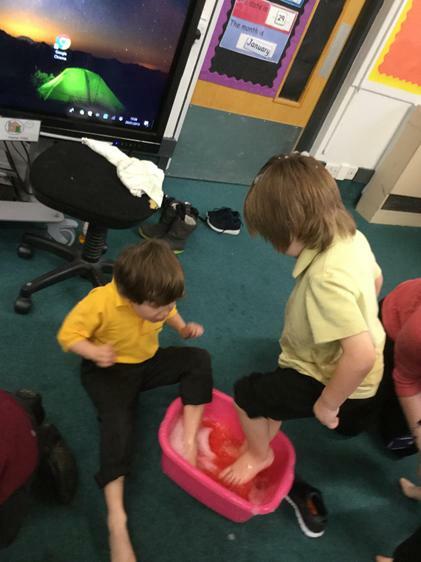 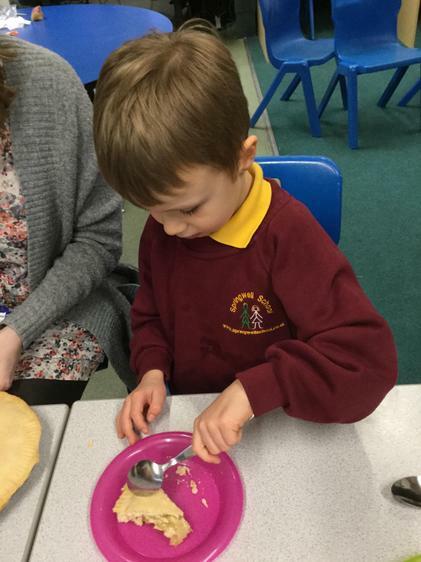 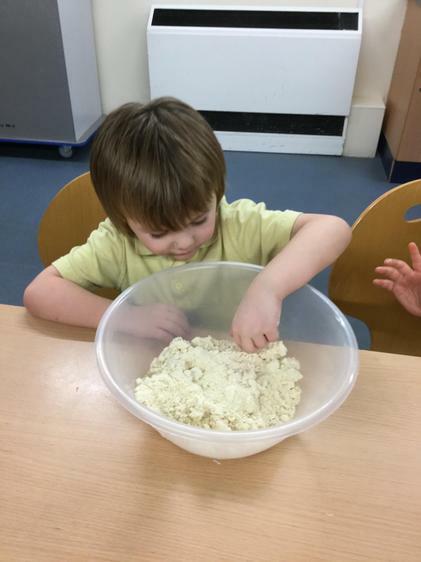 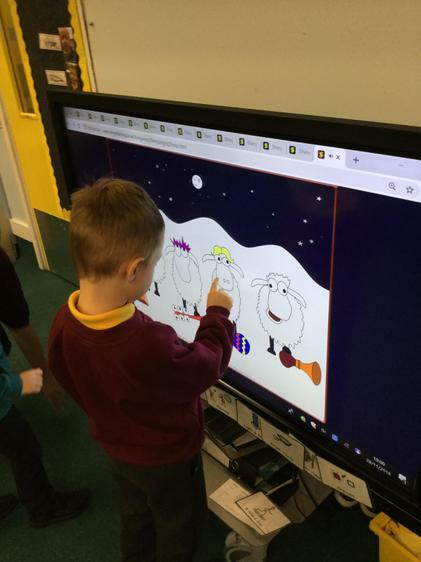 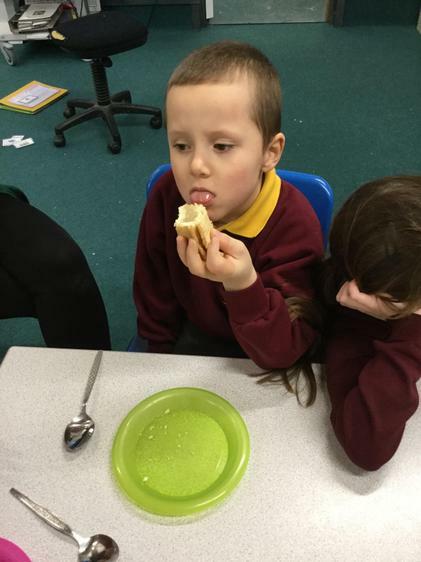 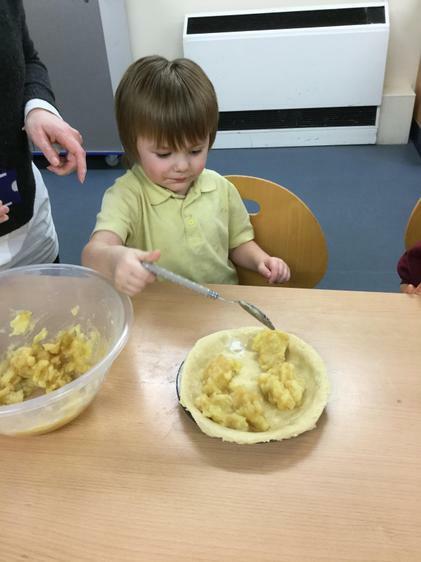 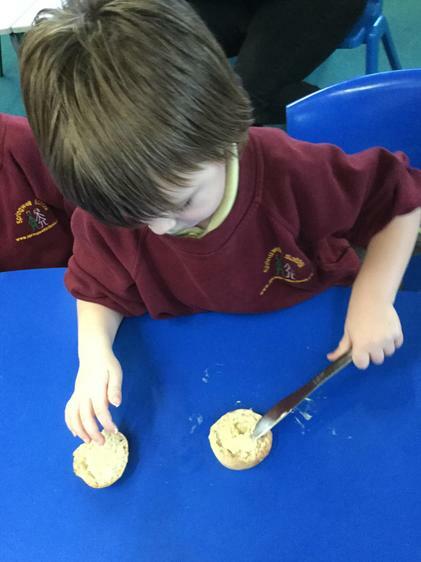 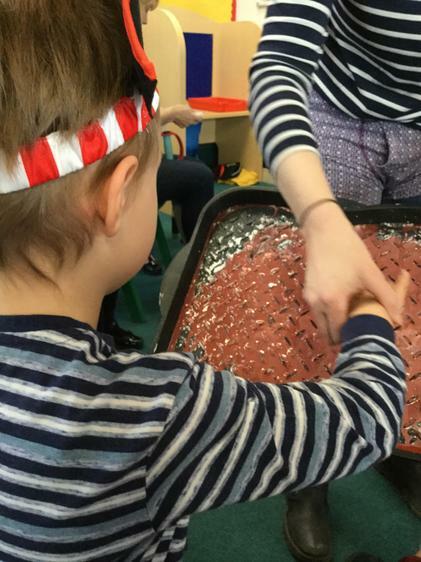 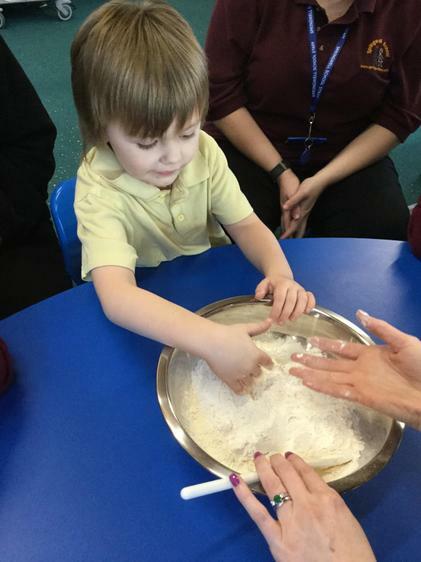 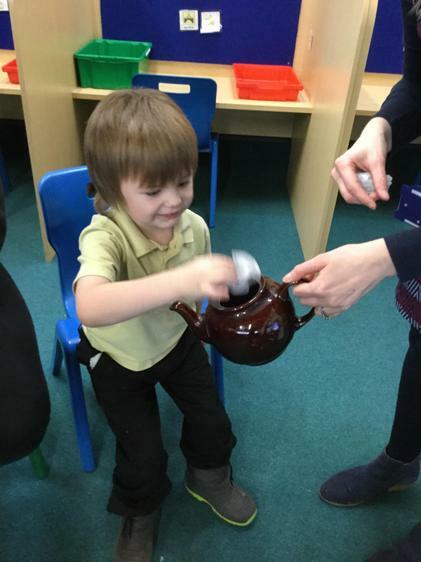 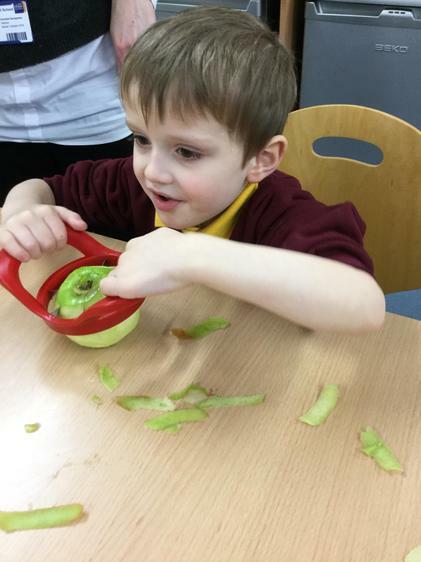 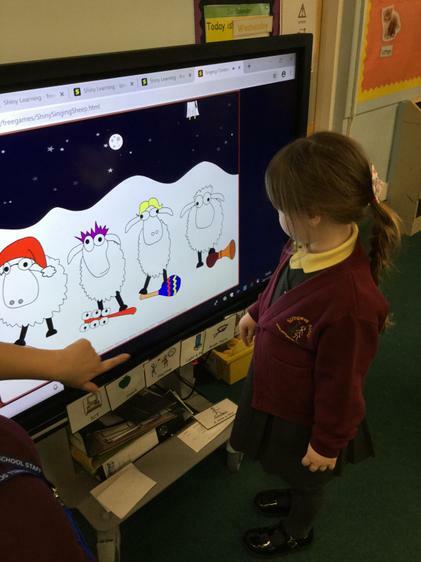 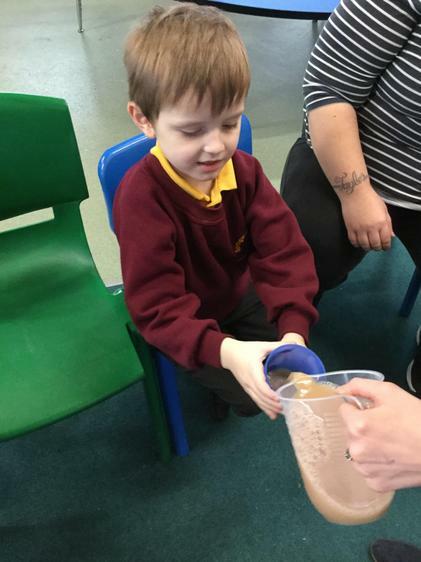 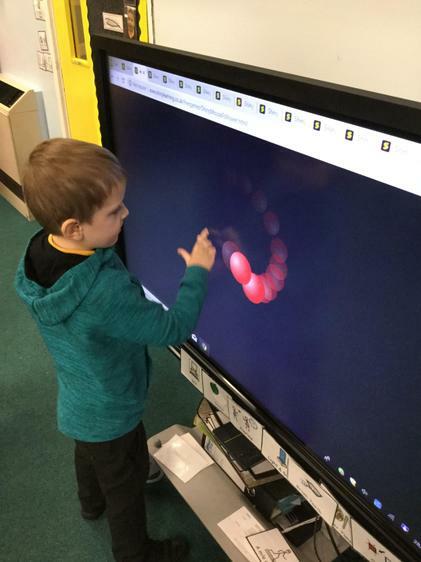 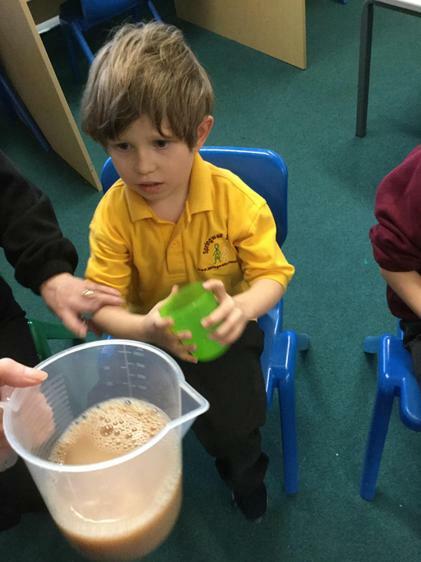 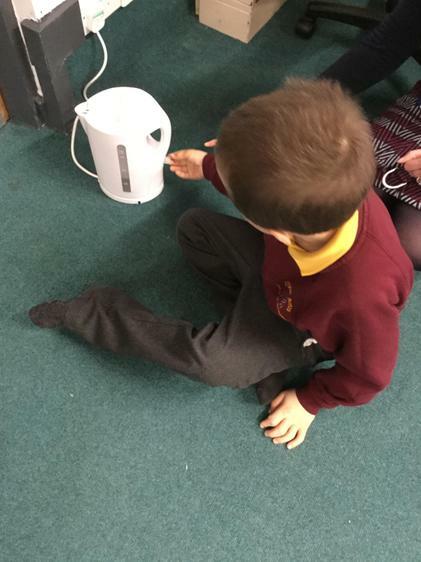 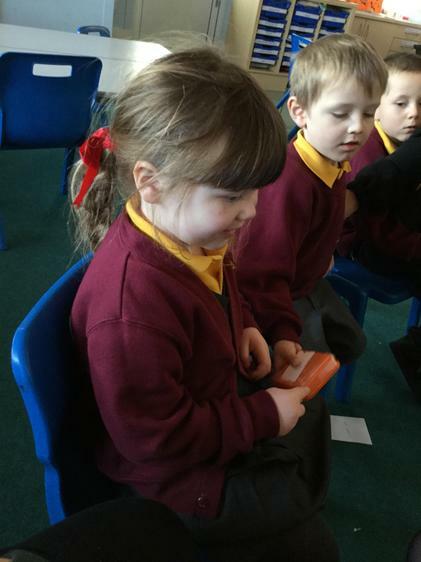 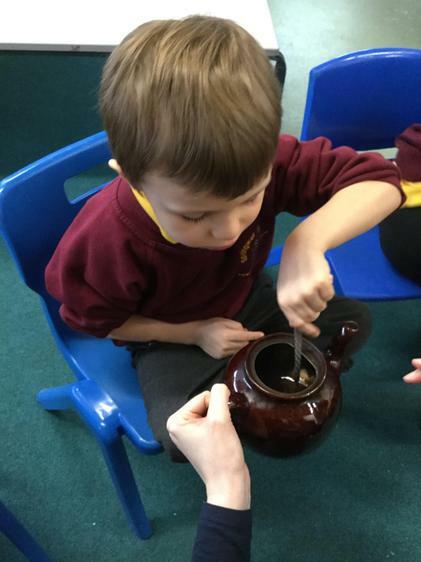 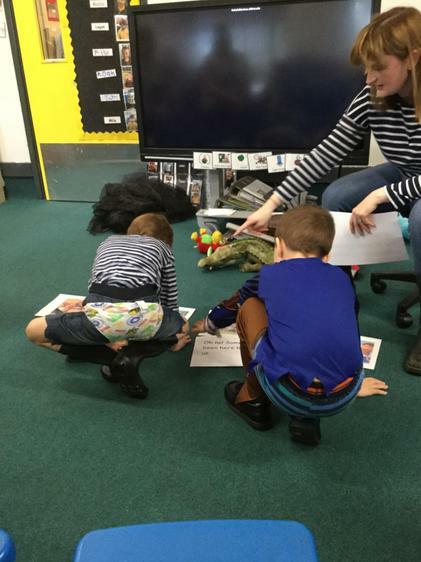 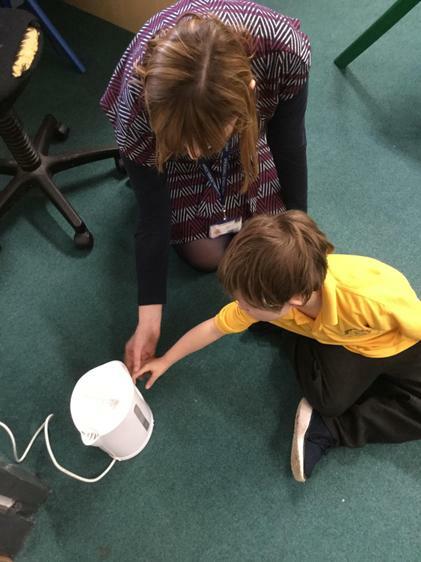 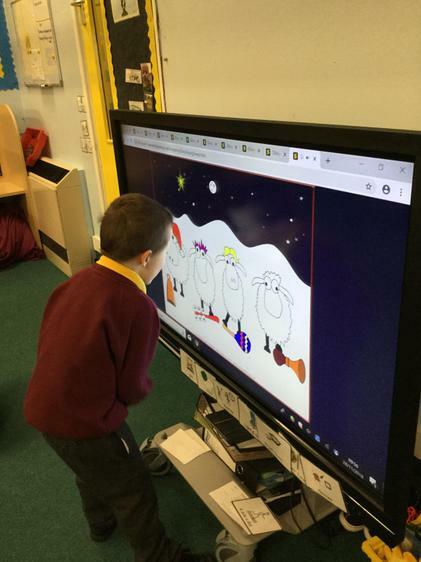 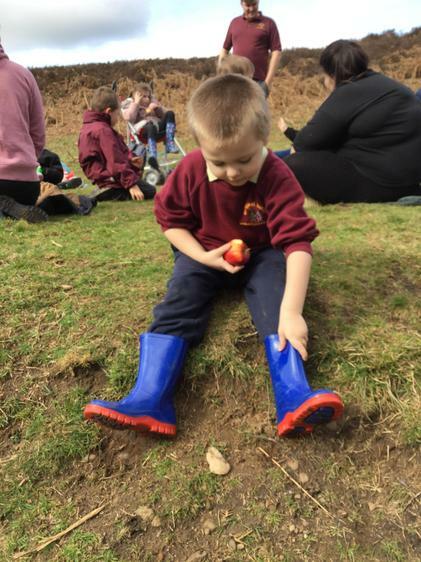 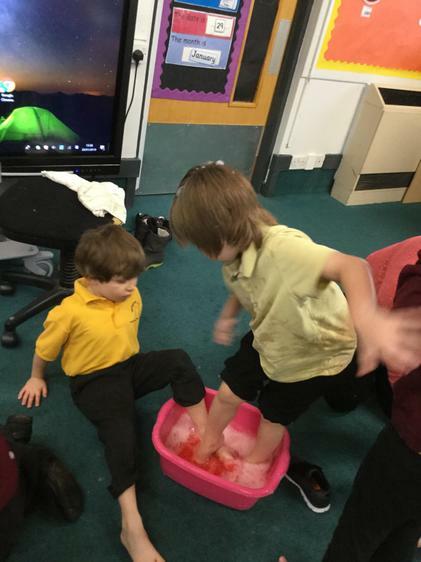 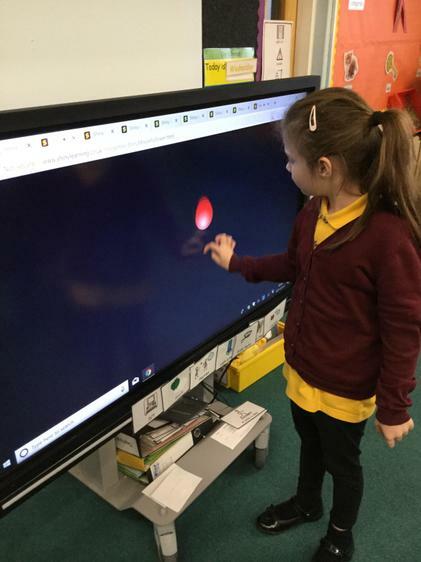 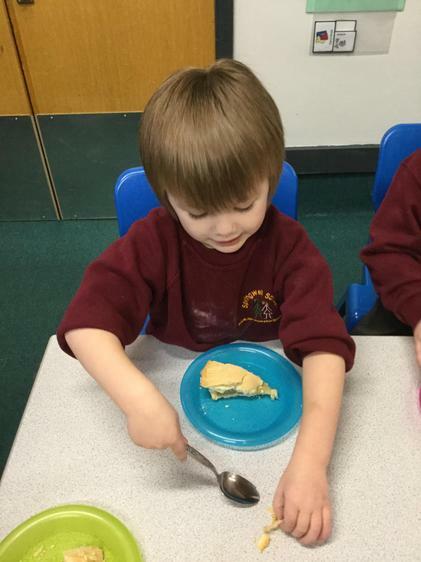 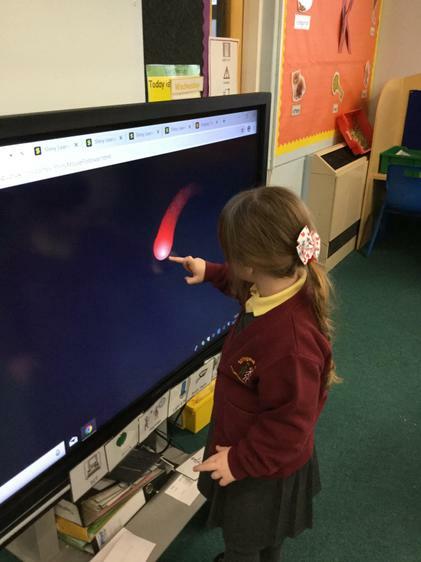 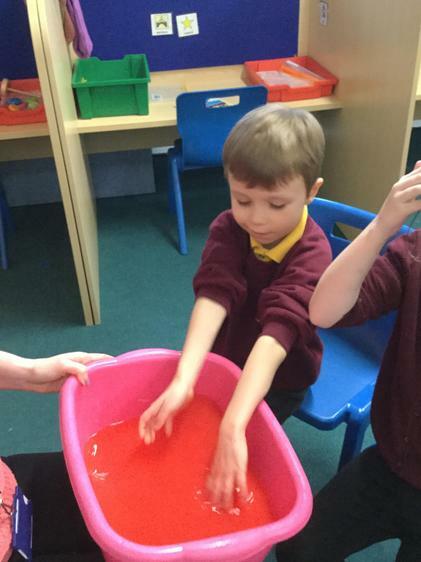 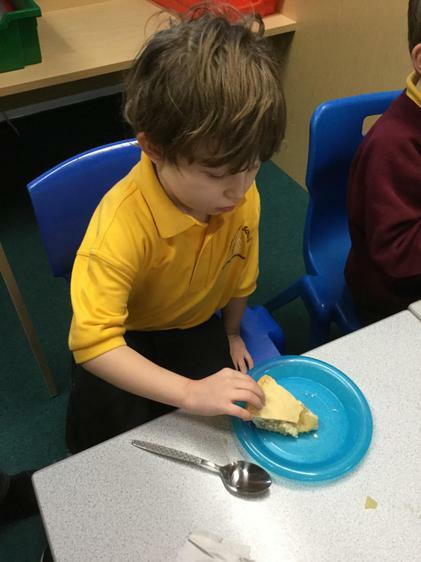 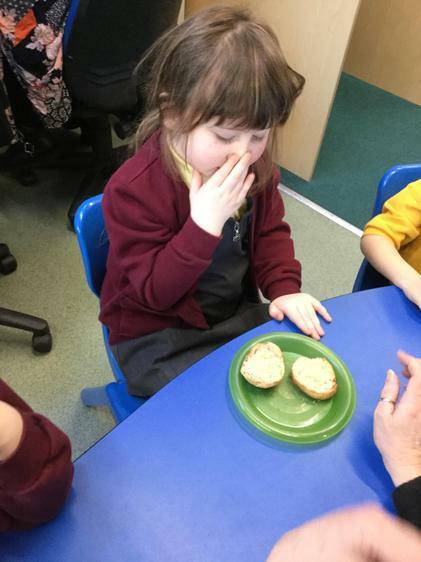 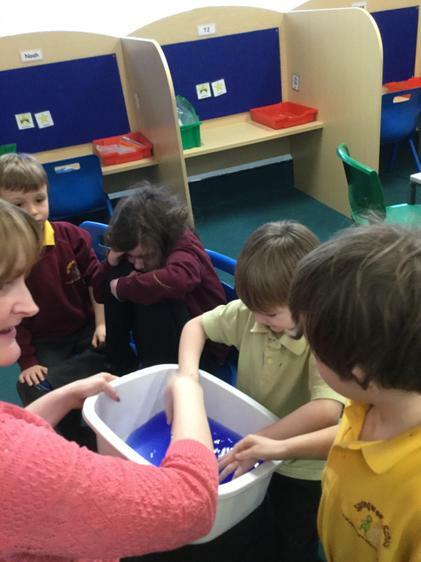 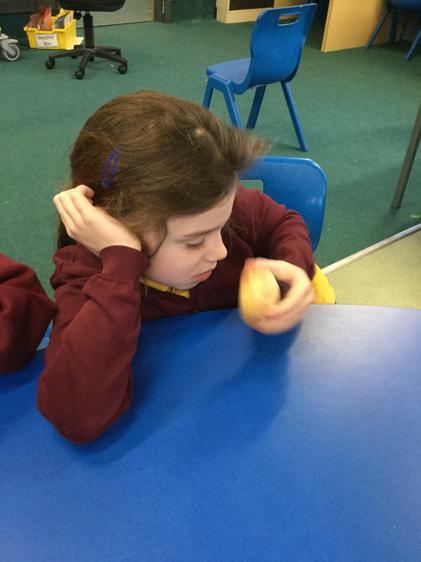 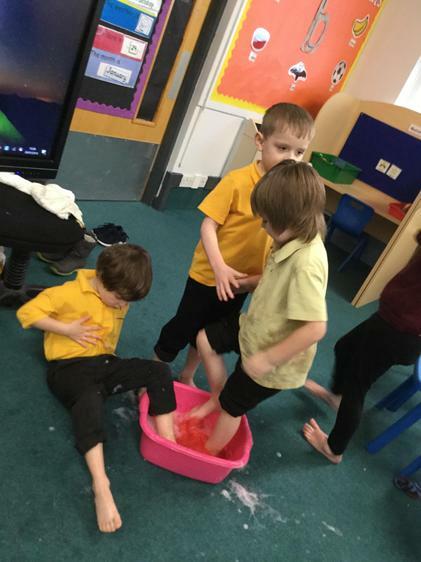 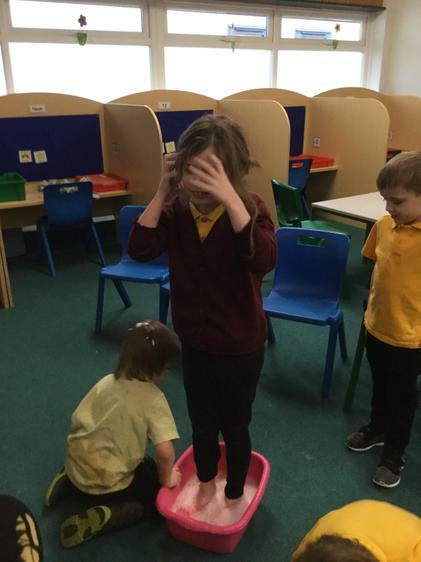 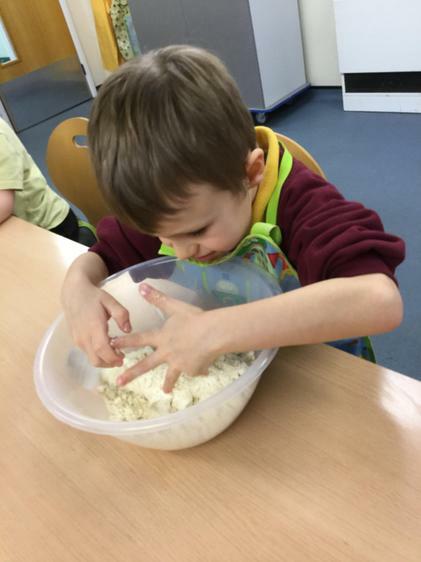 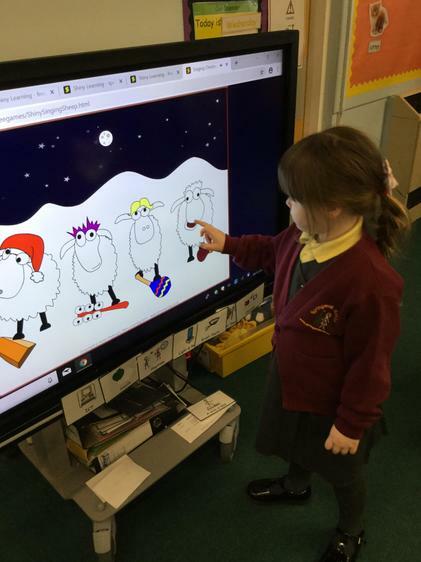 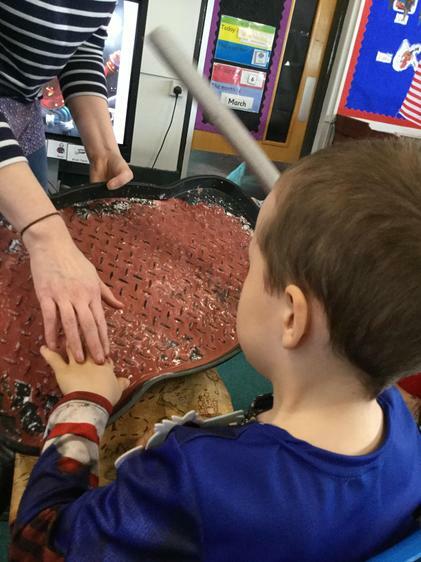 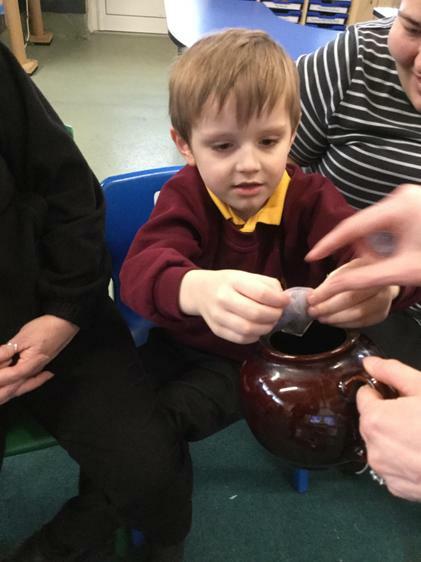 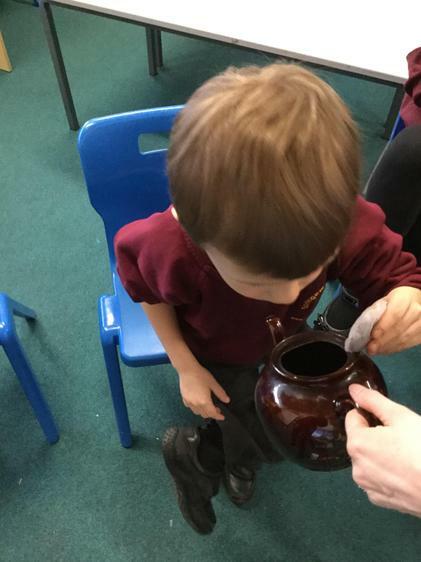 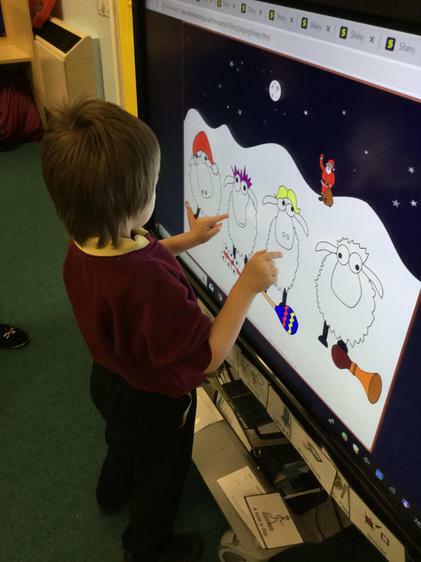 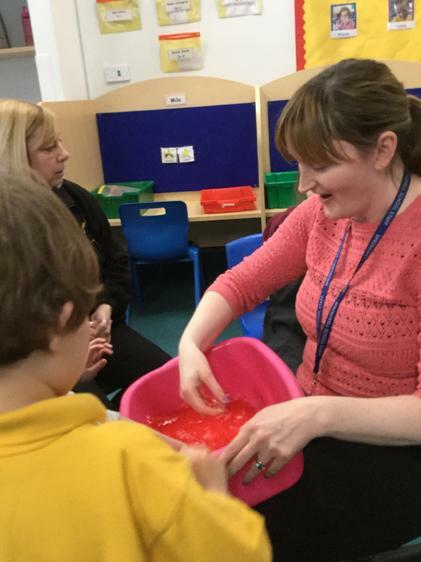 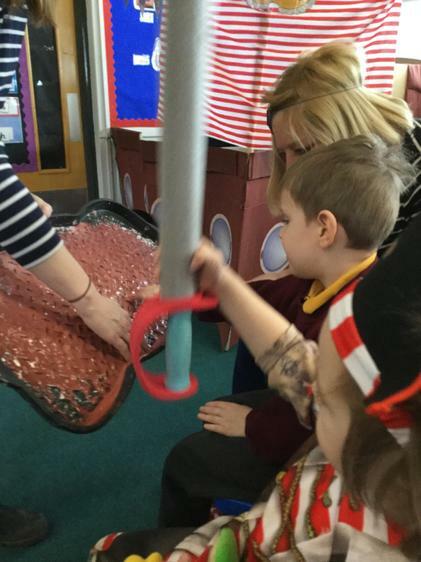 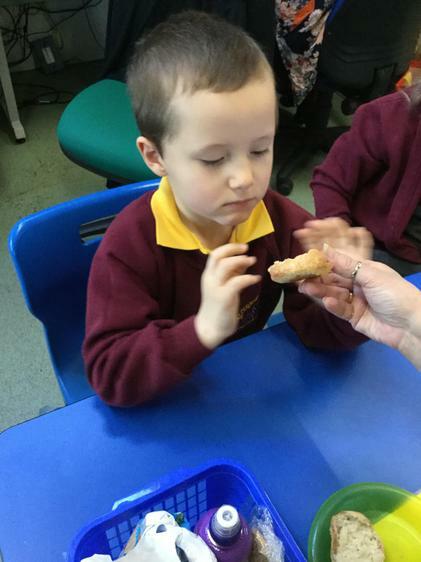 We looked at scientific concepts through some traditional tales and rhymes; Simple Simon met a Pie Man, The Little Red Hen, and Polly put the Kettle on. 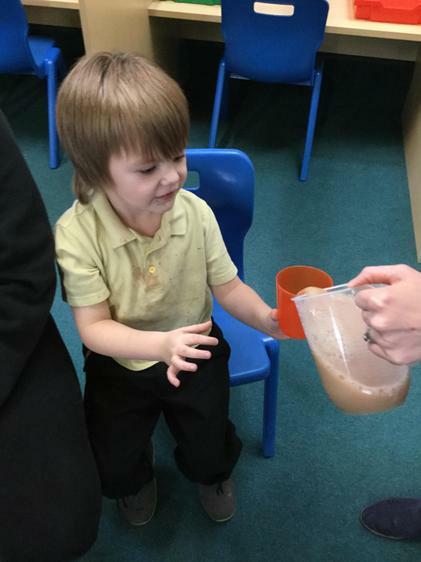 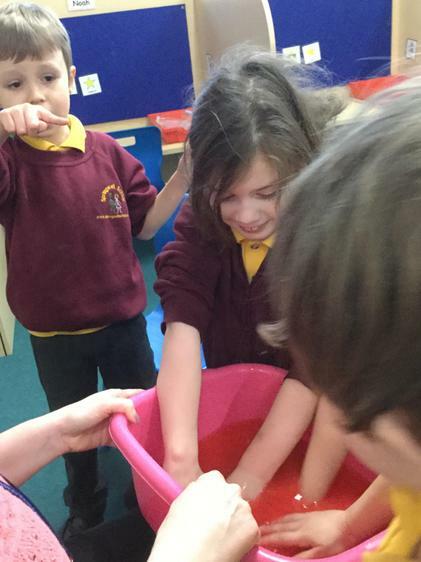 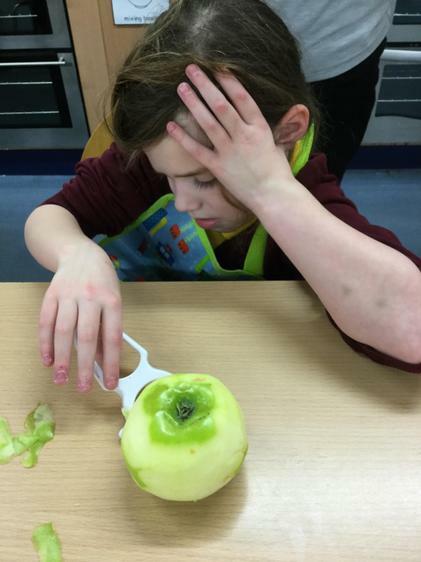 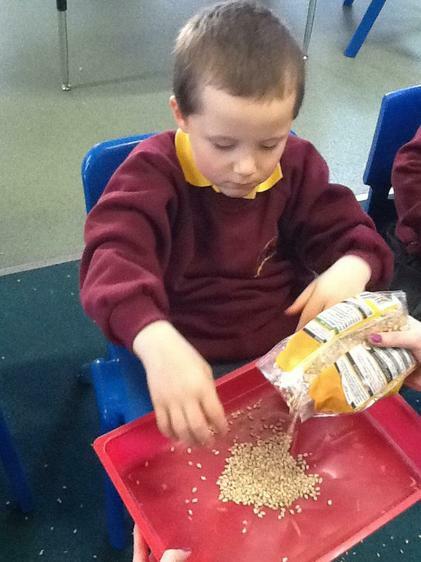 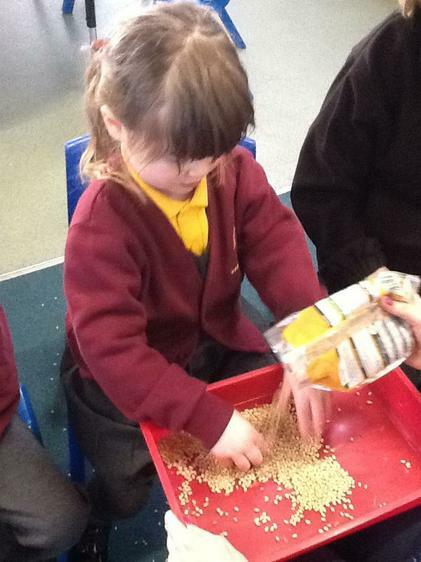 We explored how the structure of ingredients can be changed through processes such as adding liquid or heat. 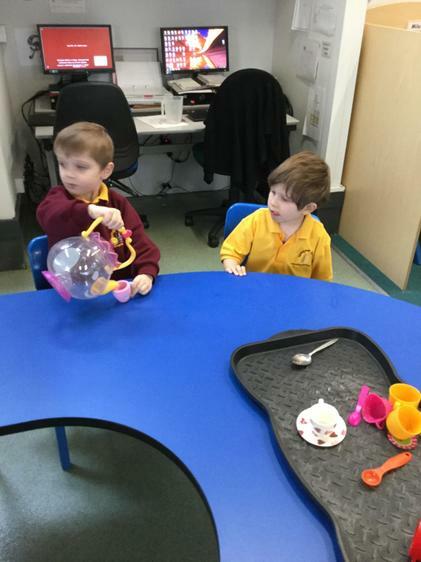 We made a cup of tea, a pie and some bread. 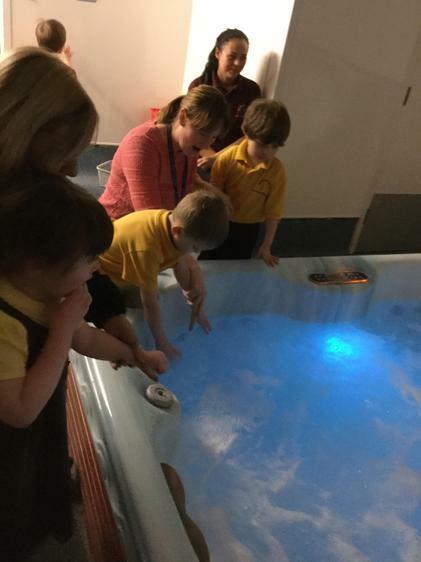 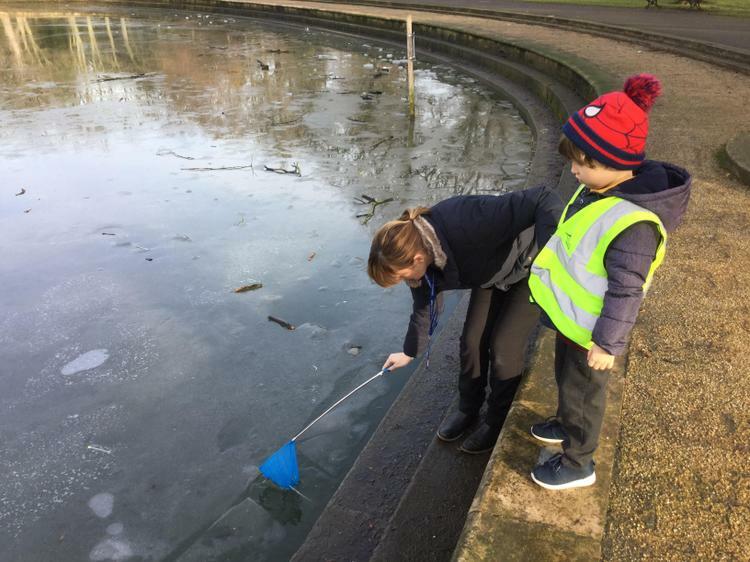 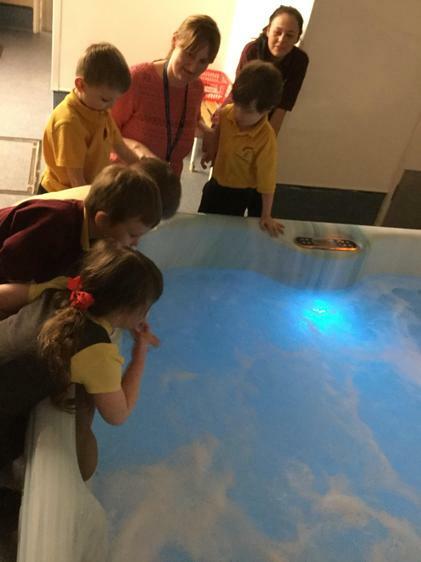 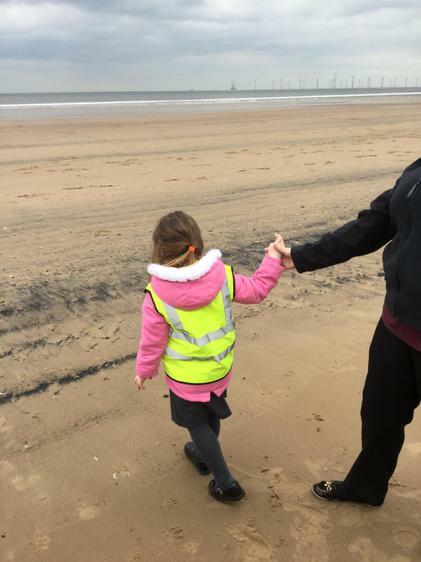 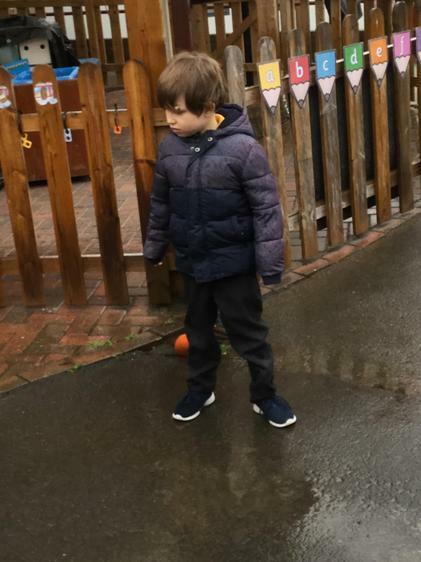 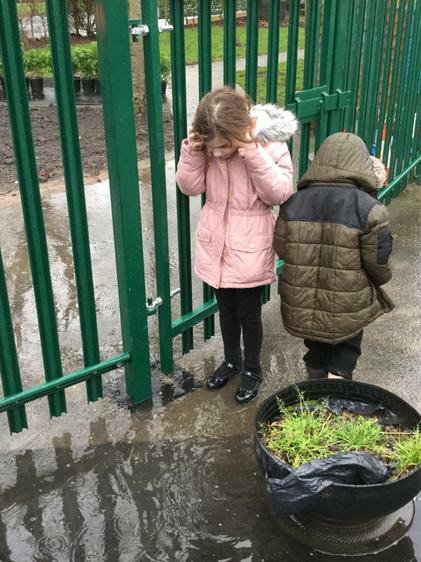 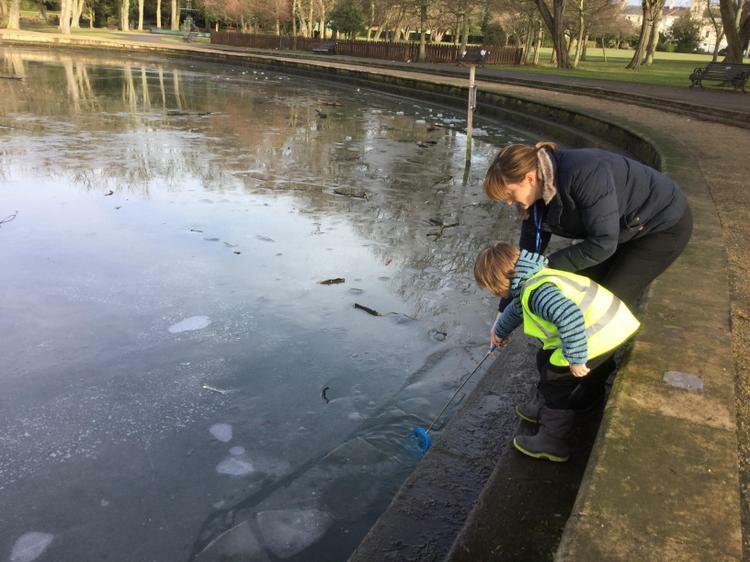 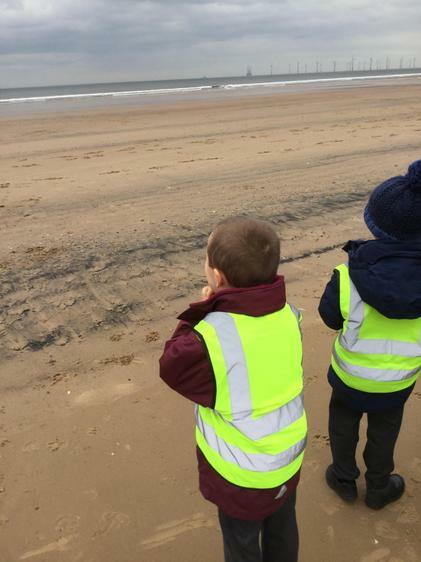 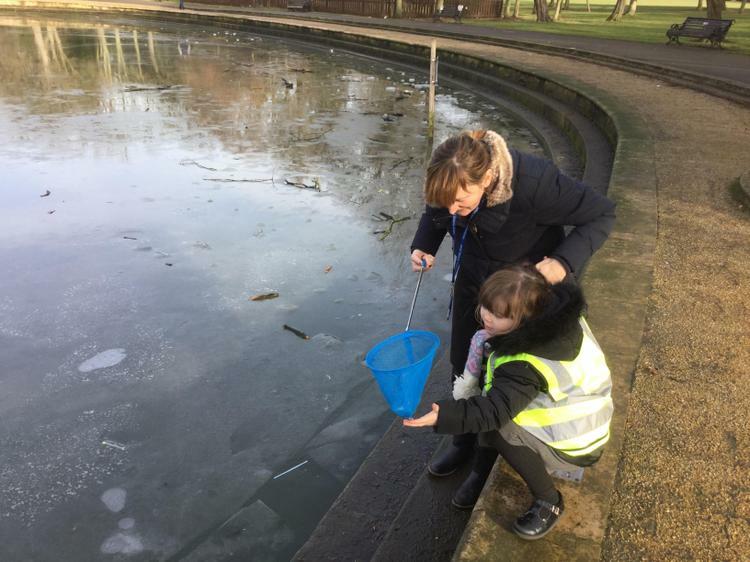 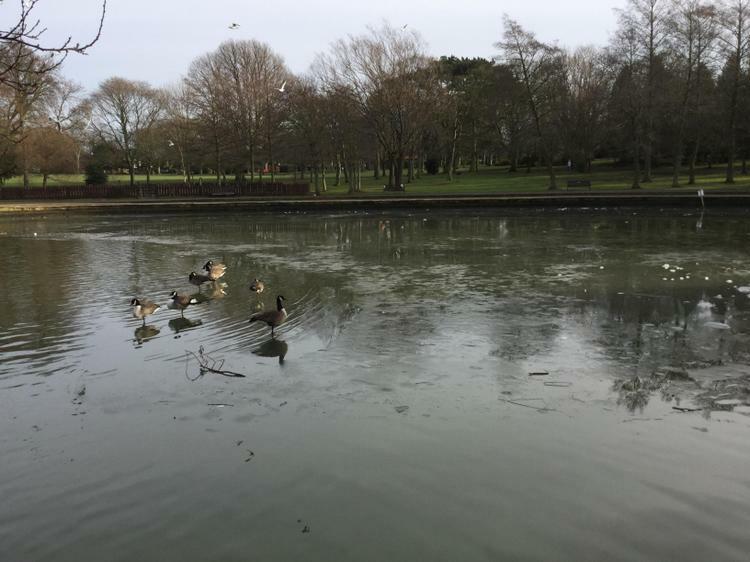 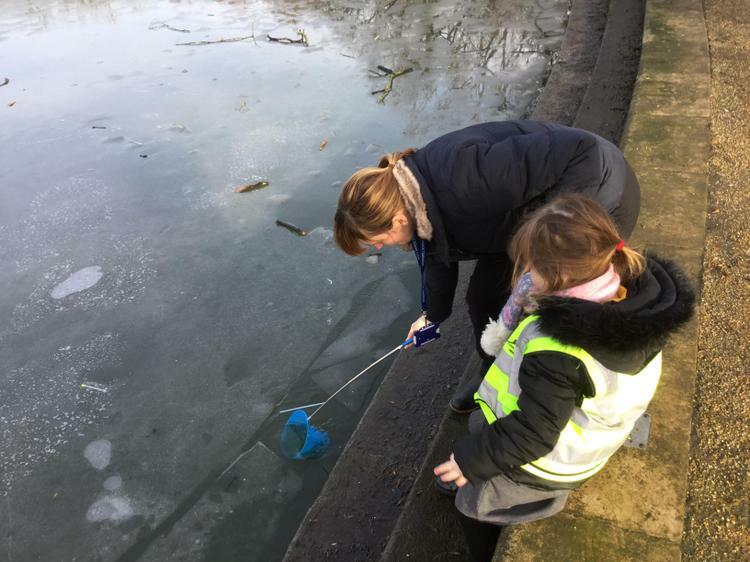 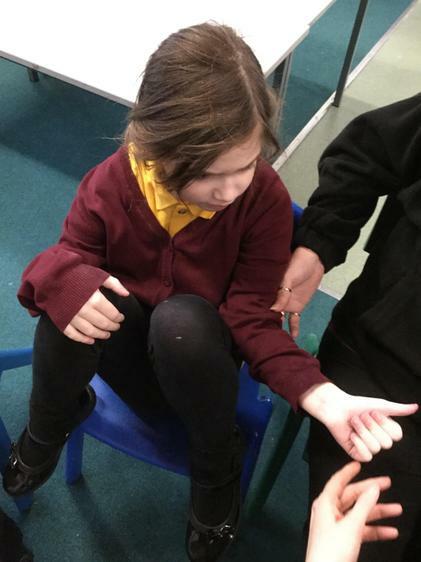 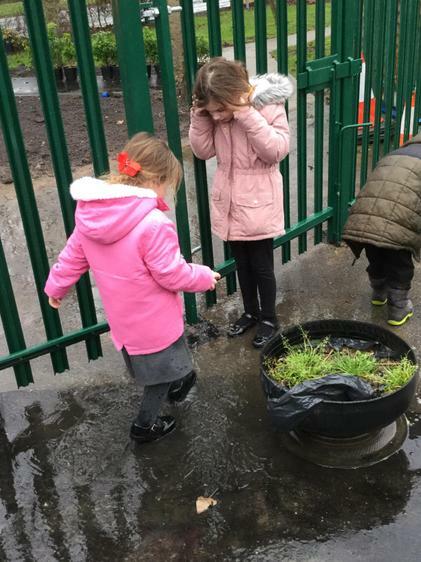 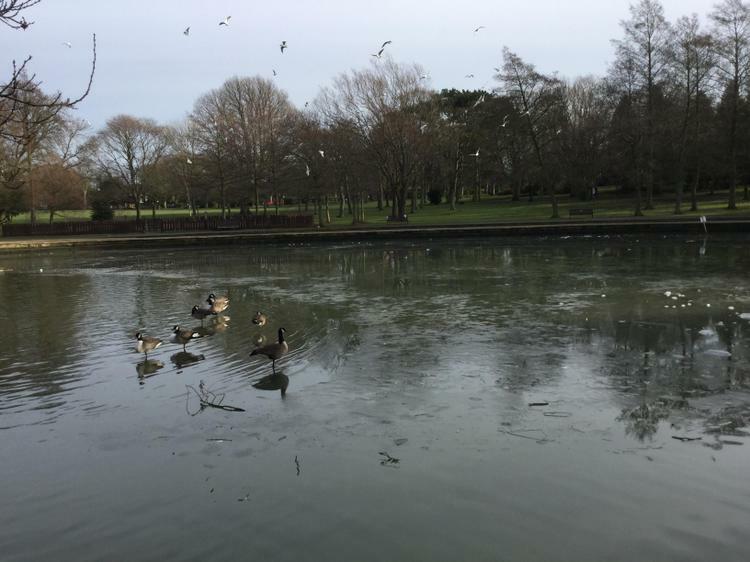 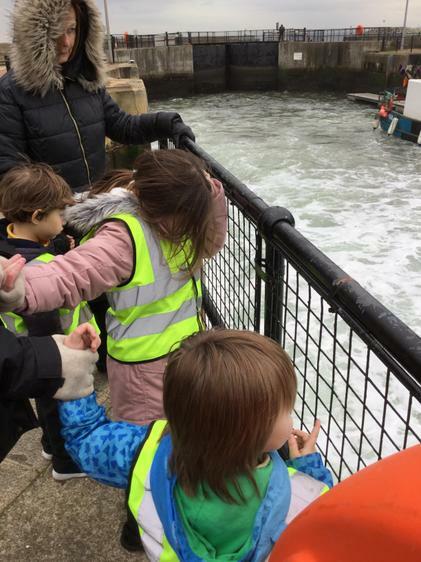 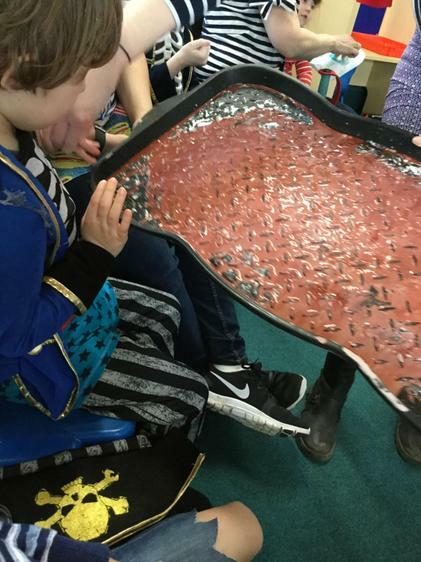 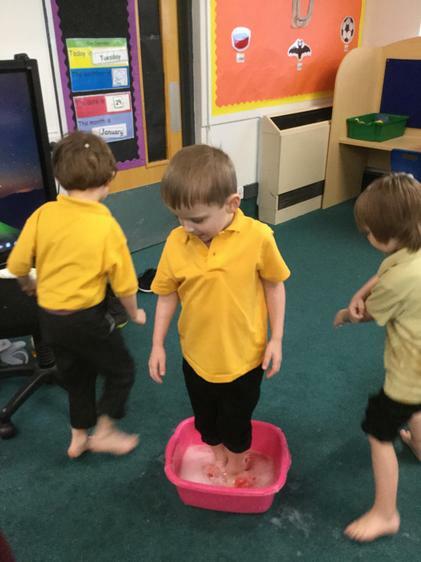 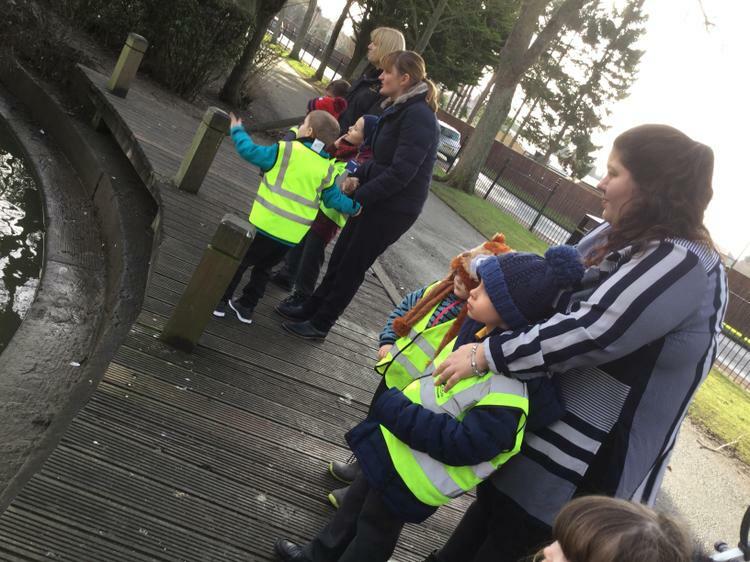 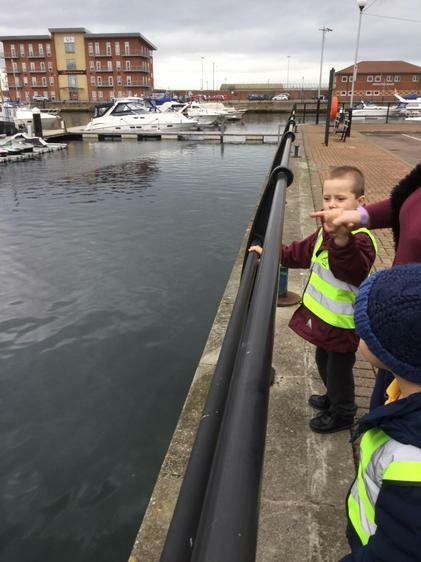 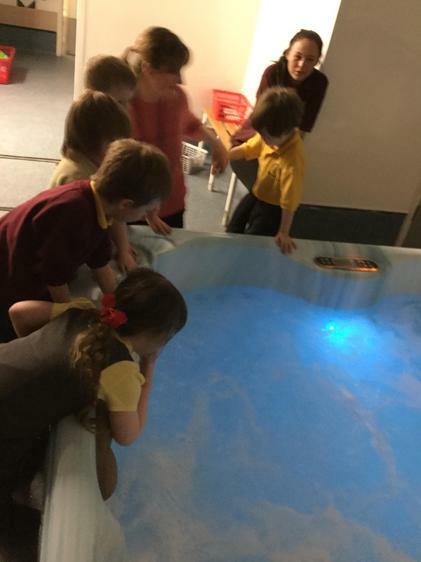 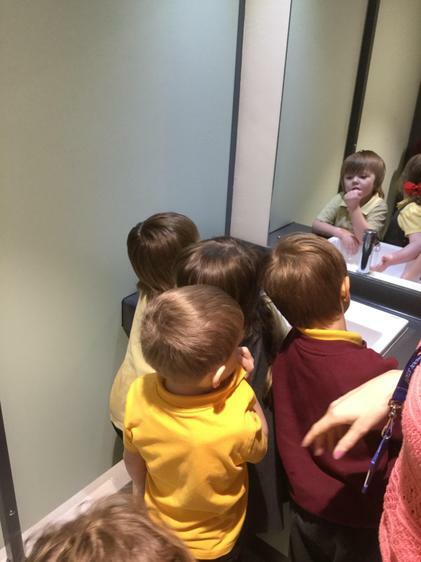 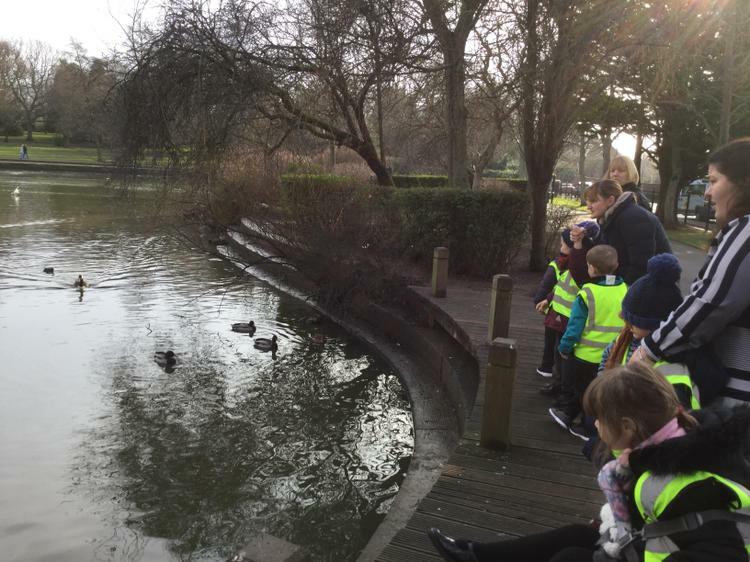 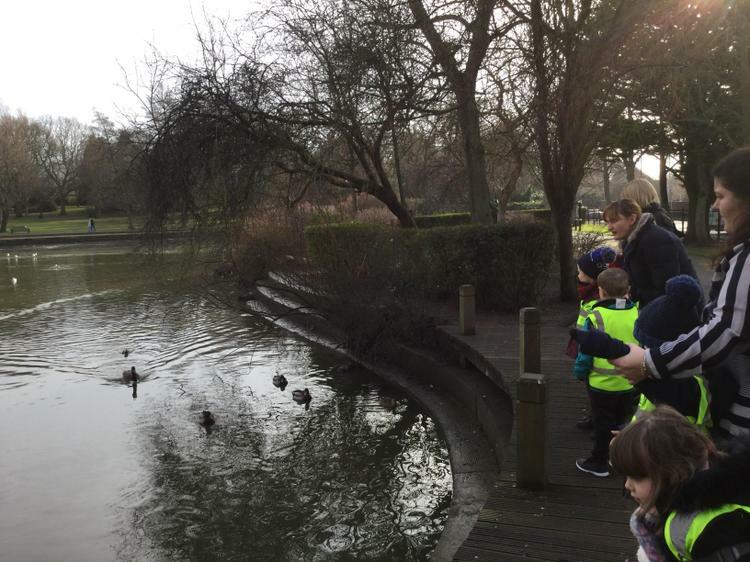 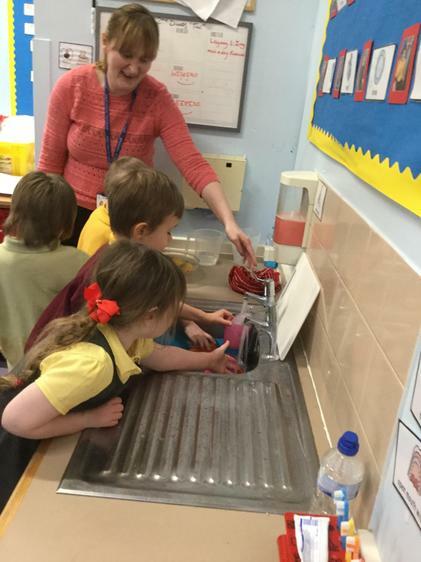 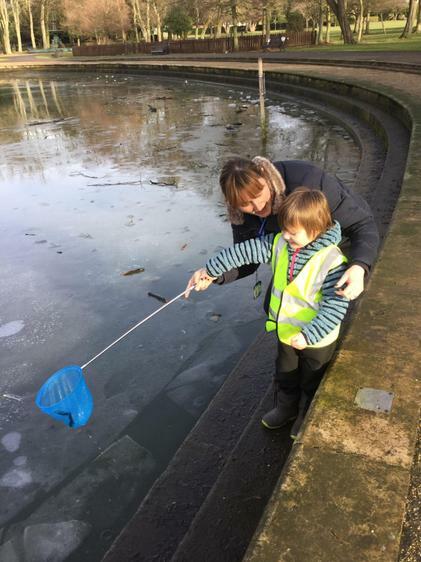 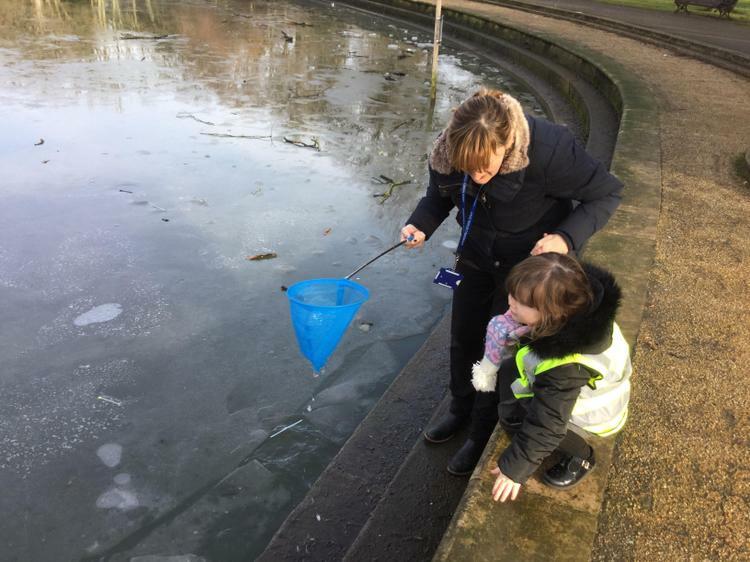 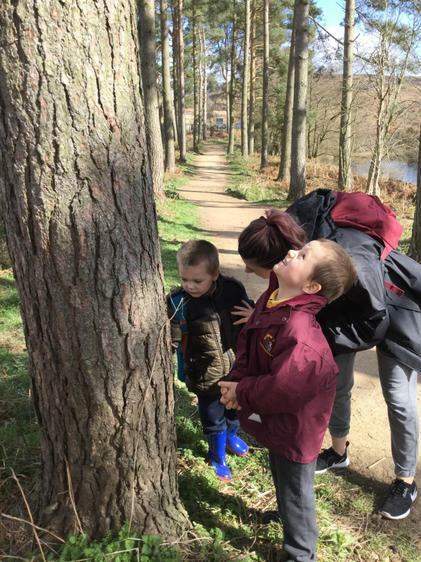 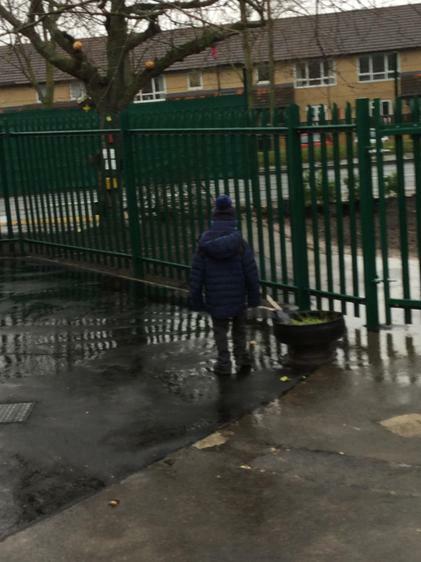 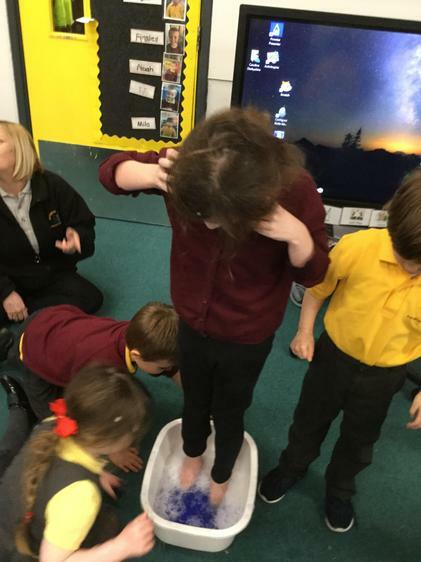 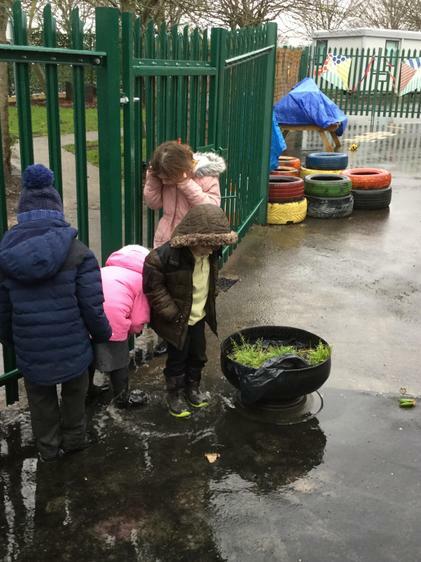 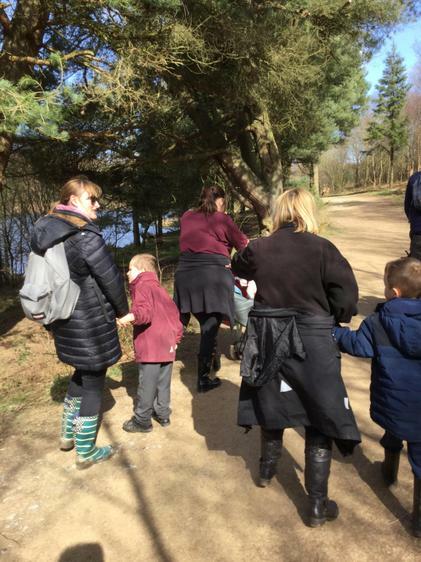 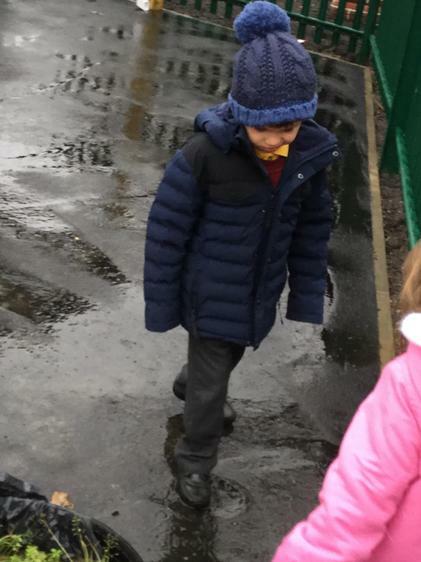 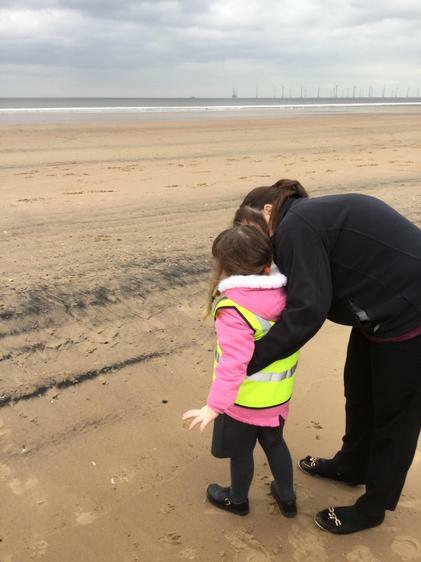 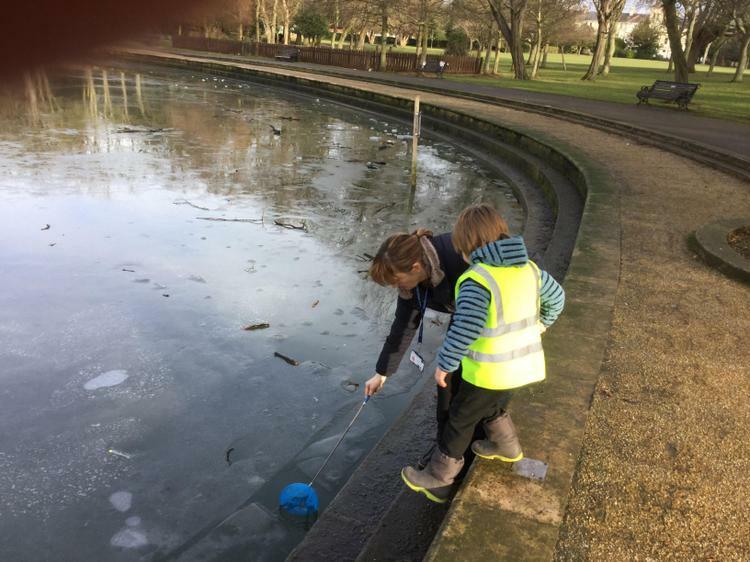 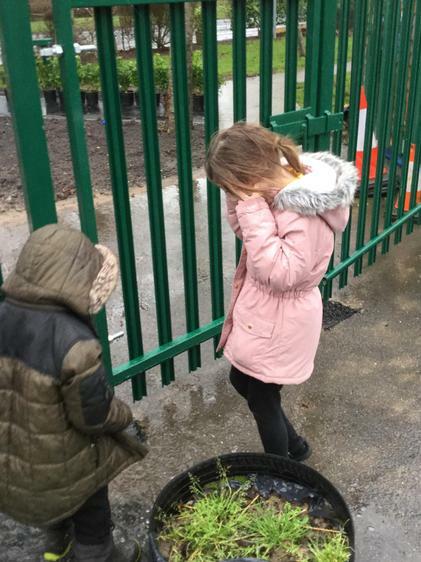 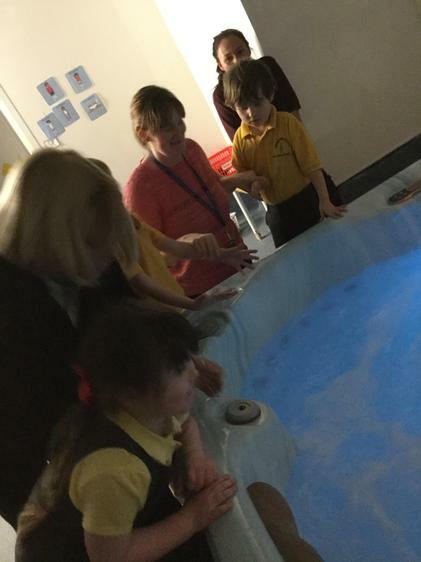 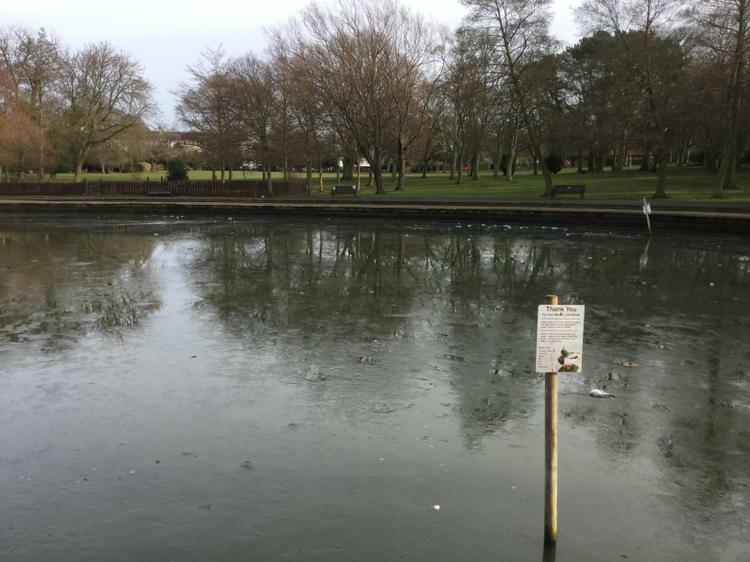 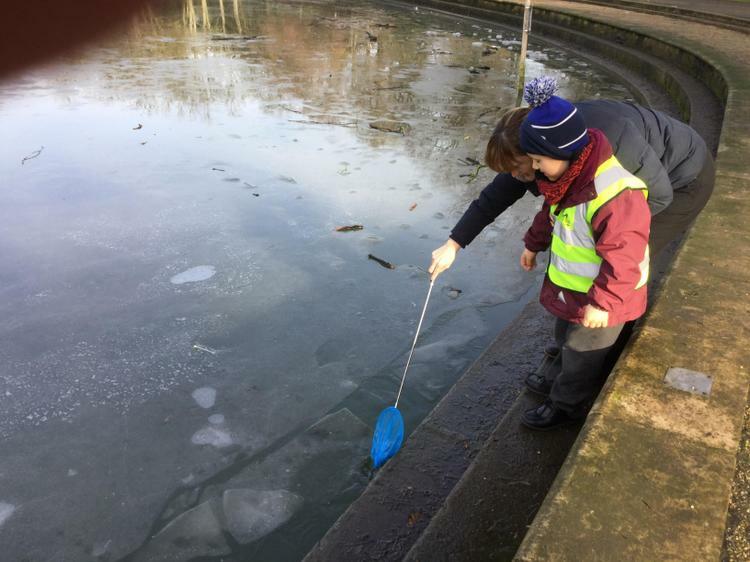 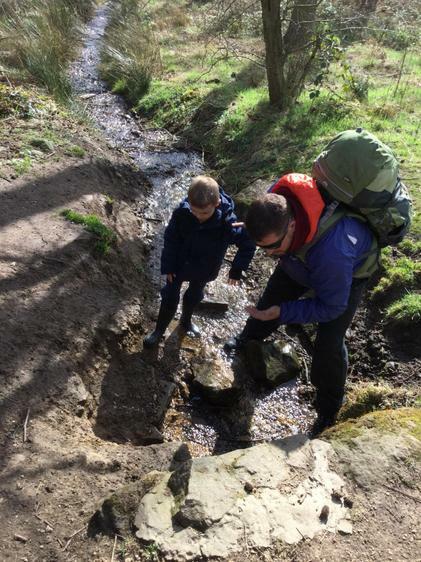 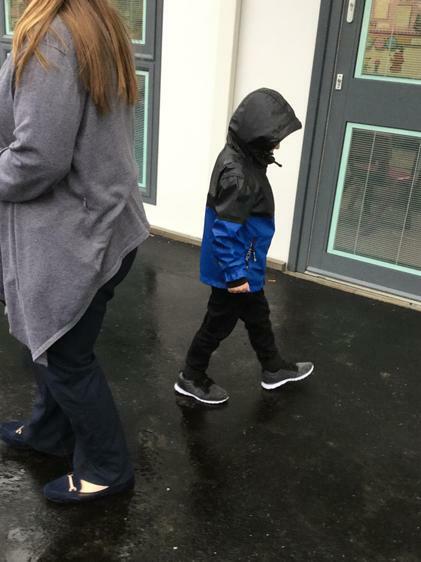 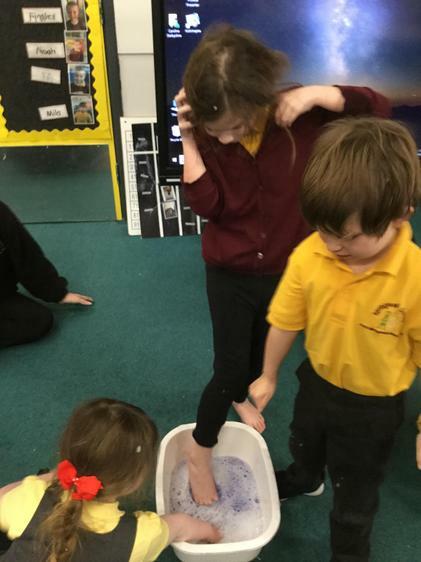 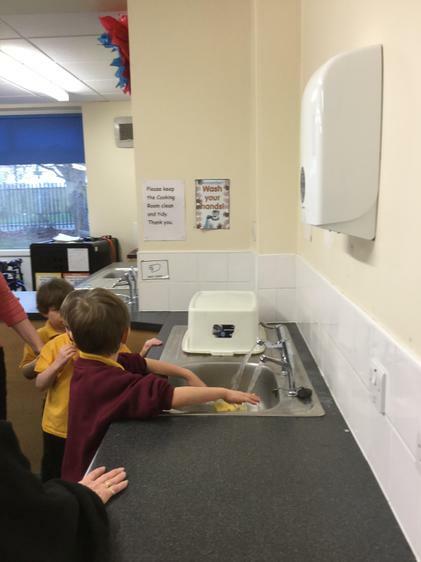 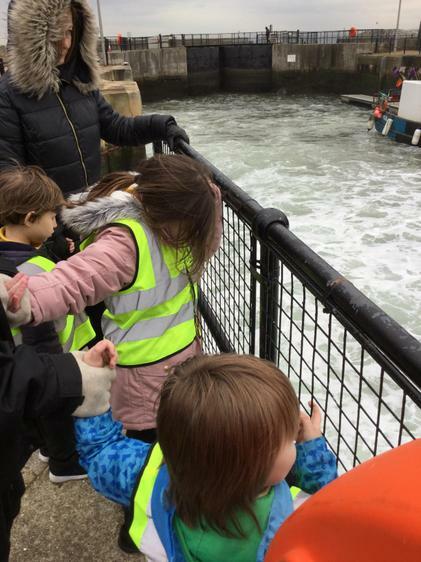 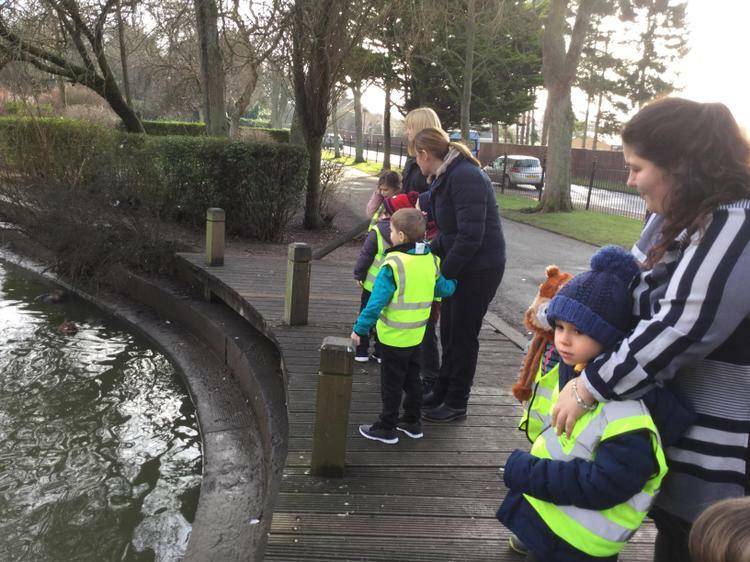 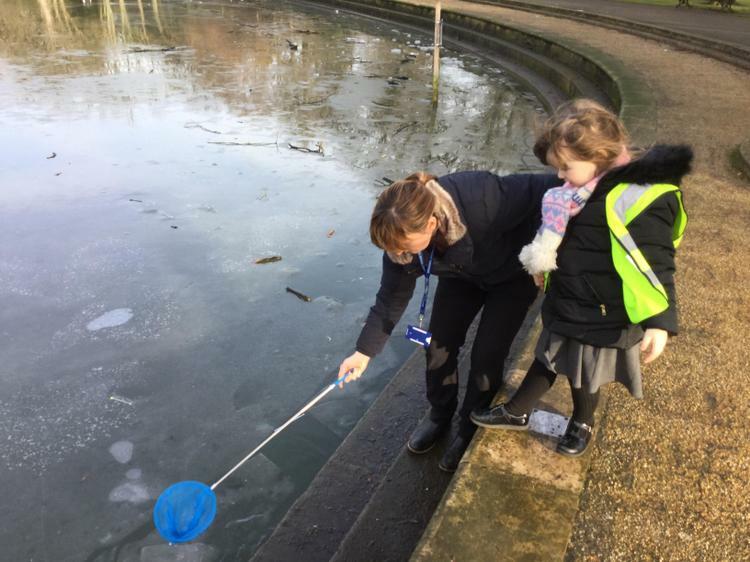 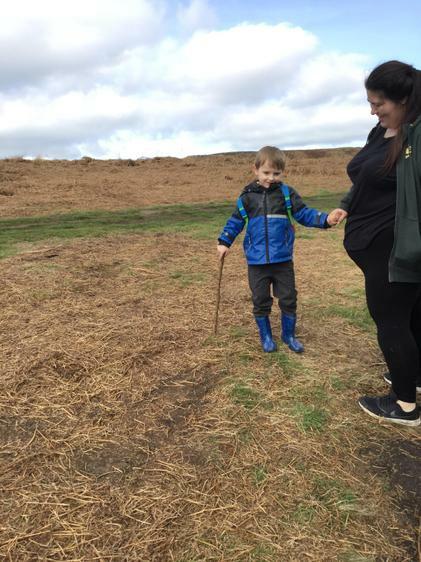 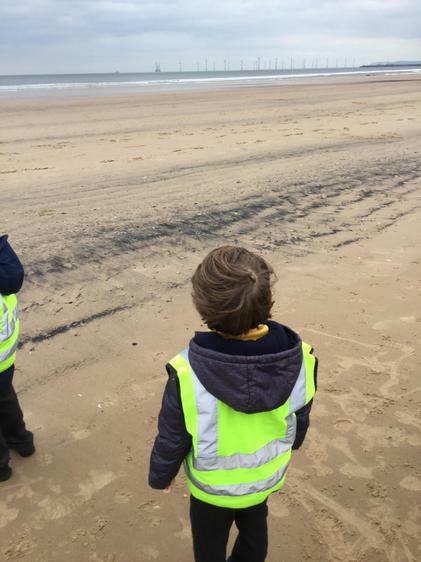 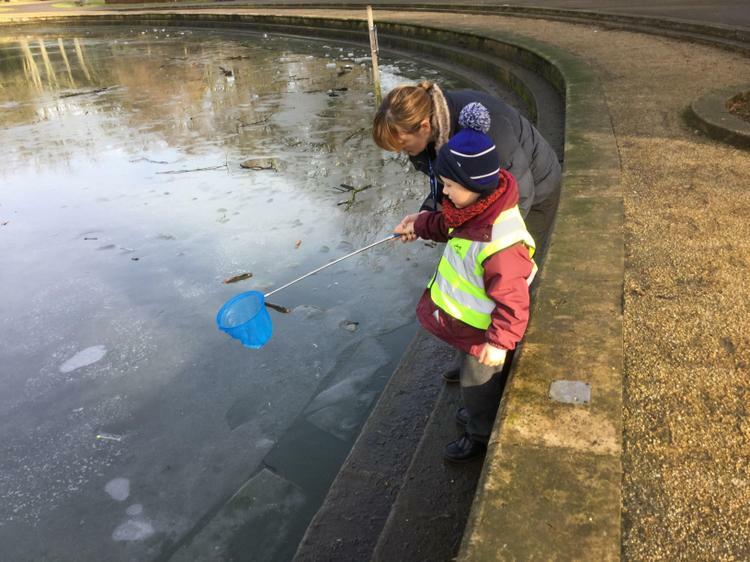 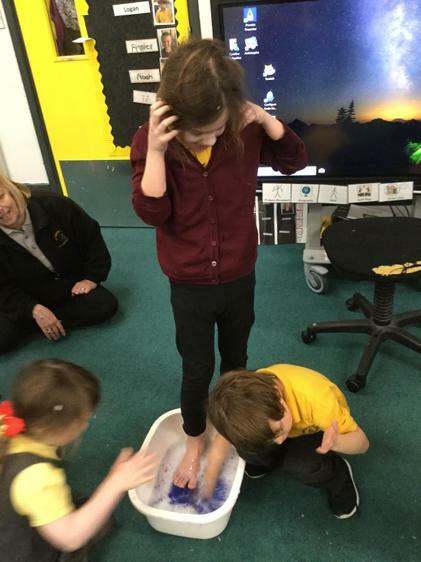 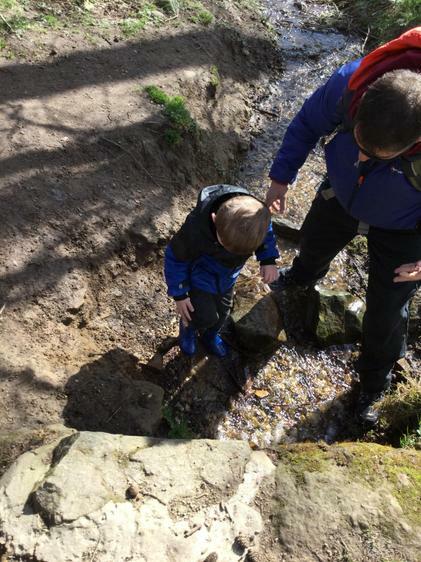 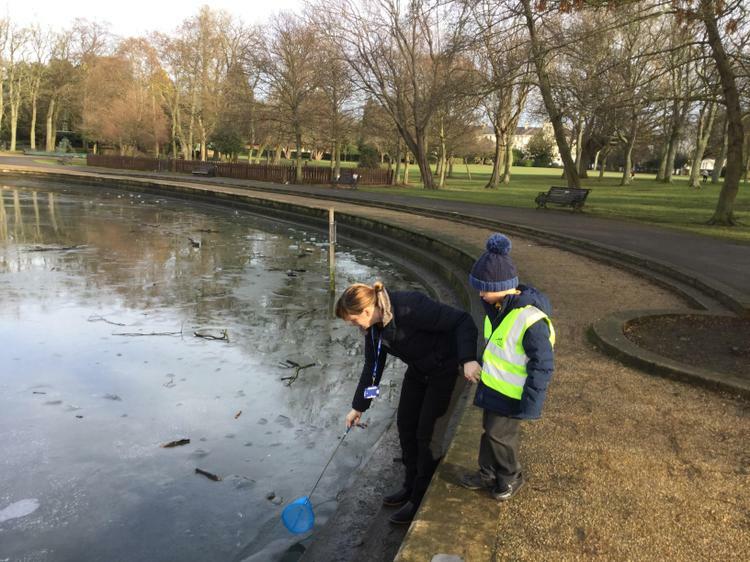 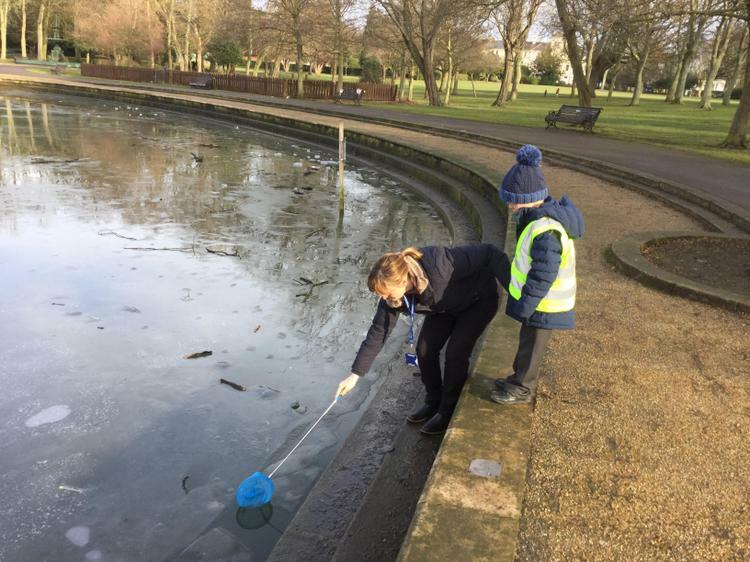 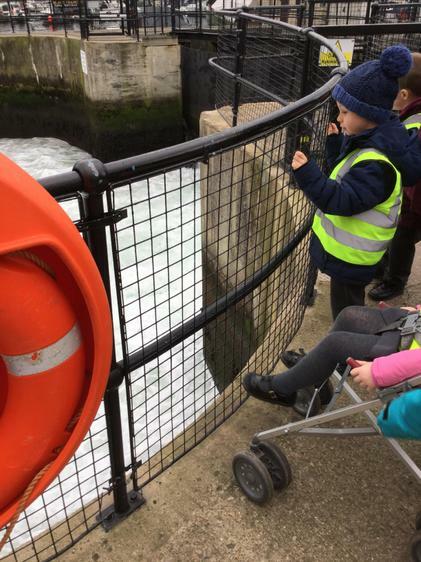 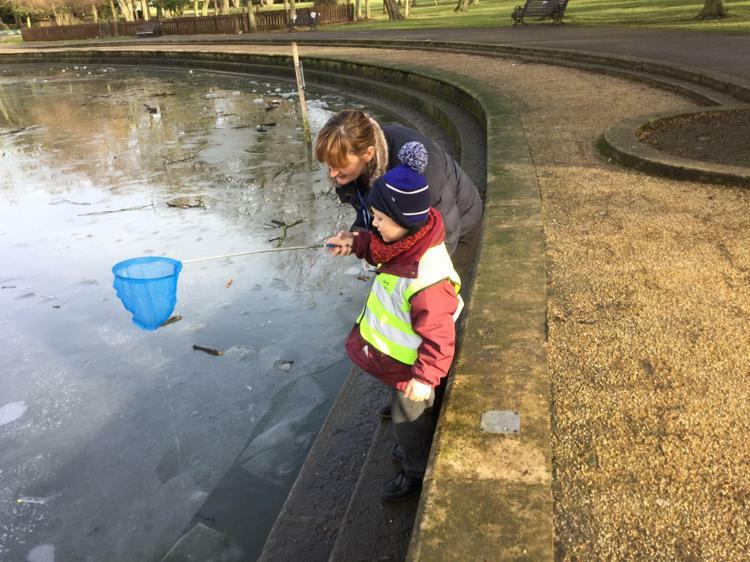 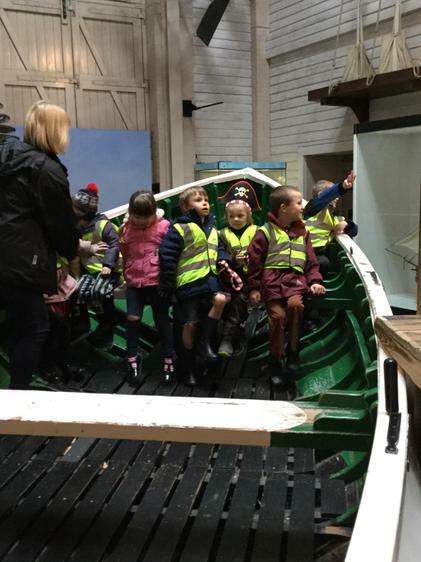 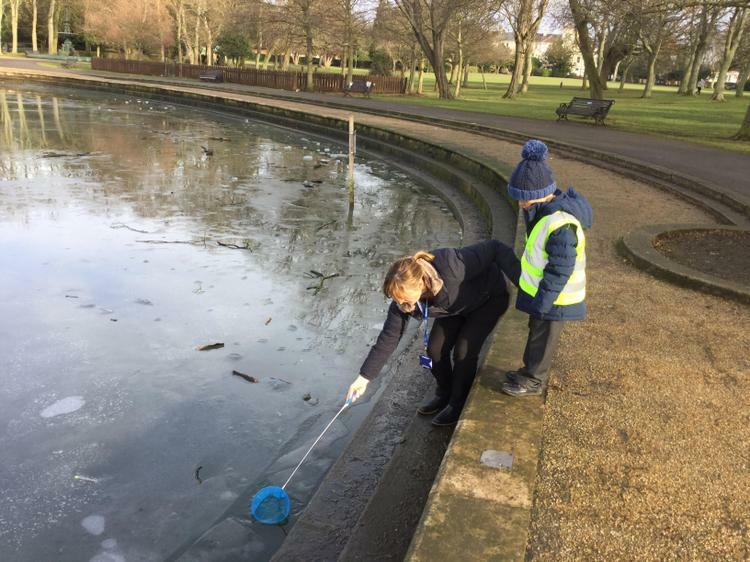 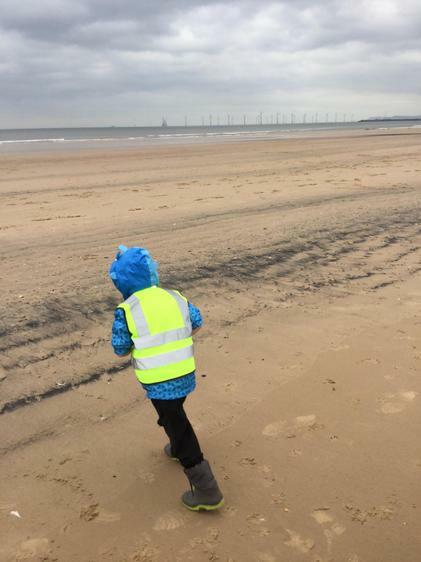 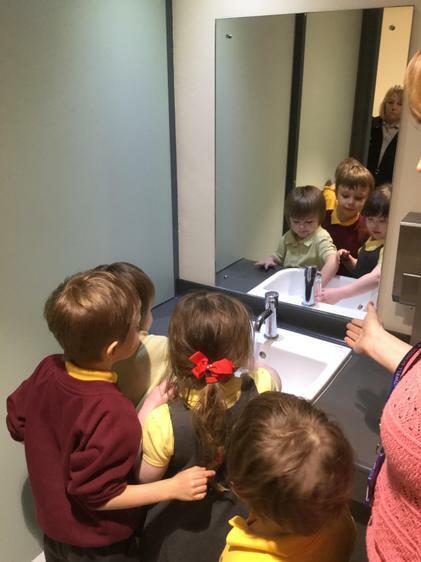 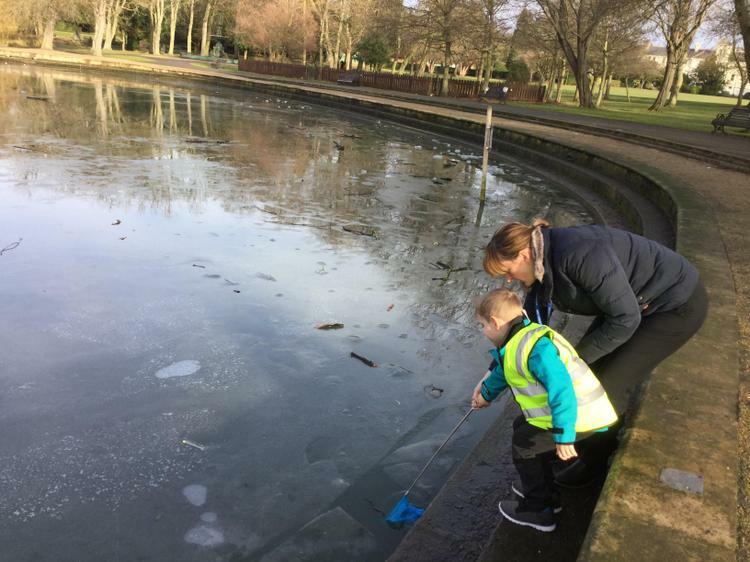 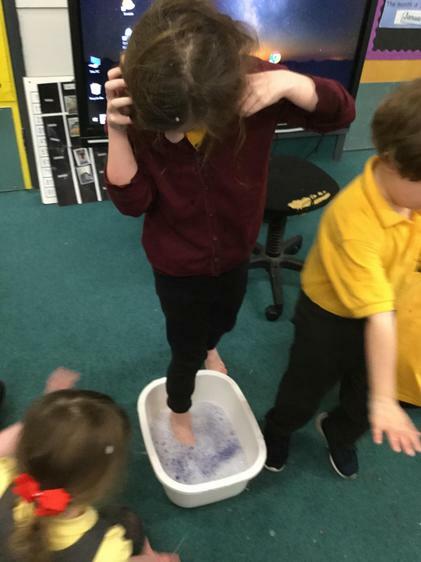 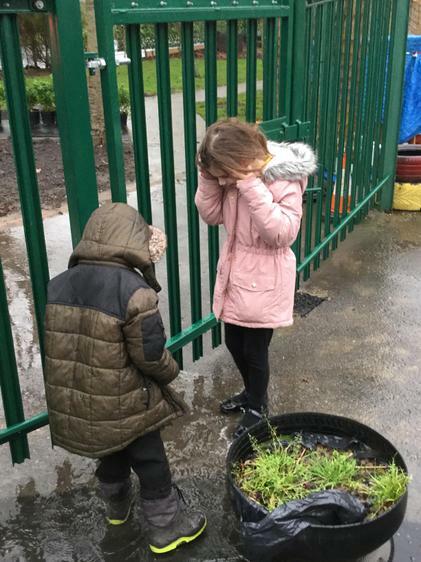 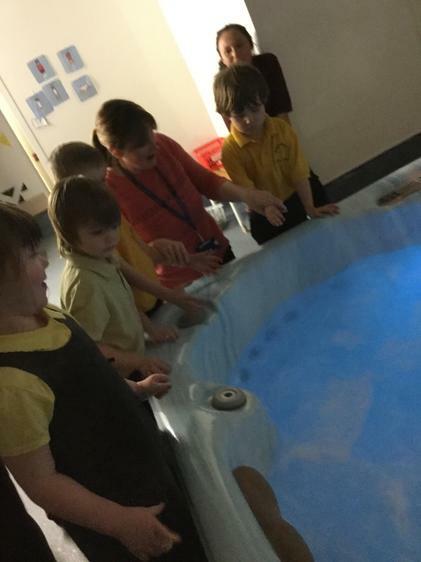 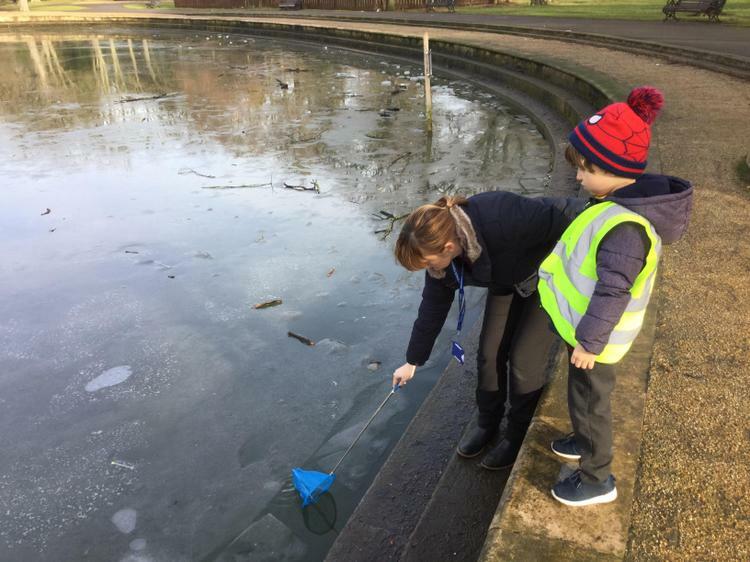 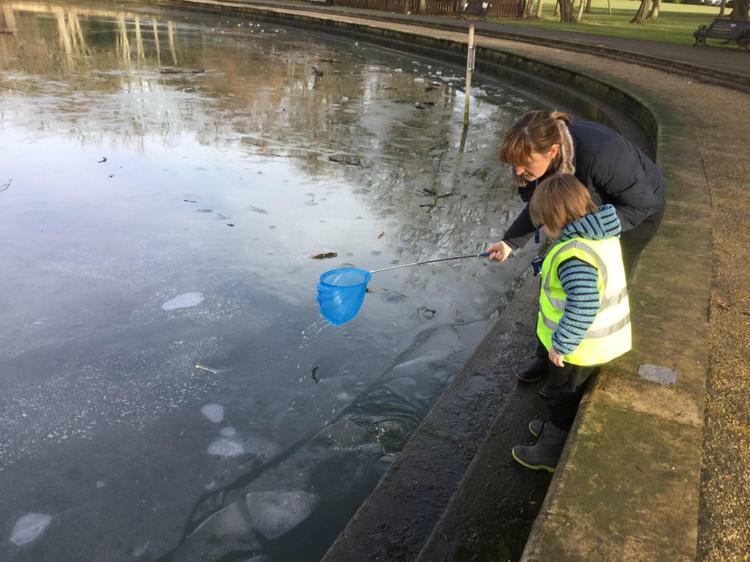 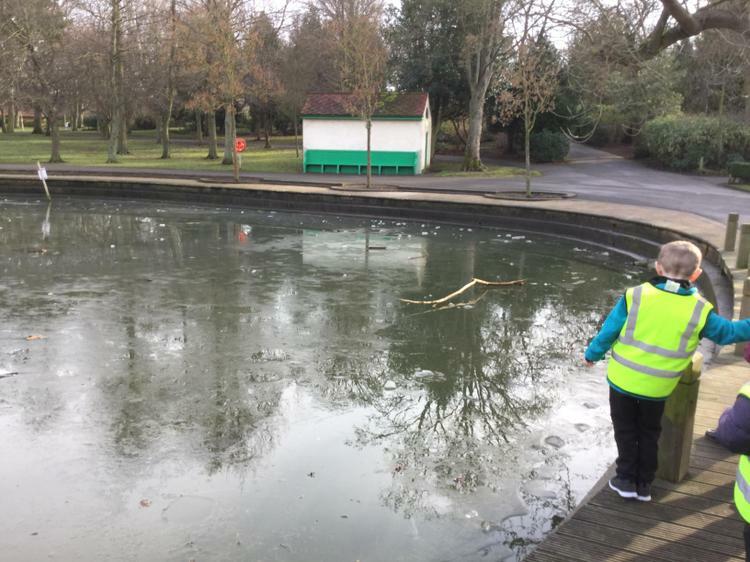 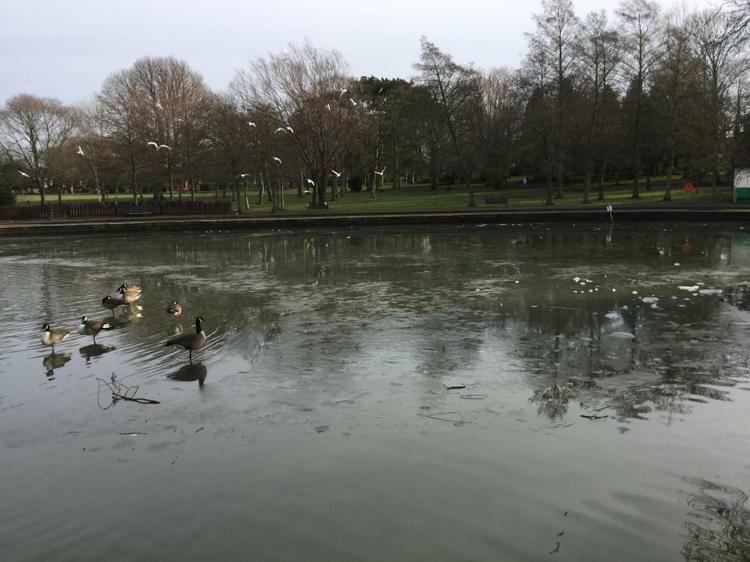 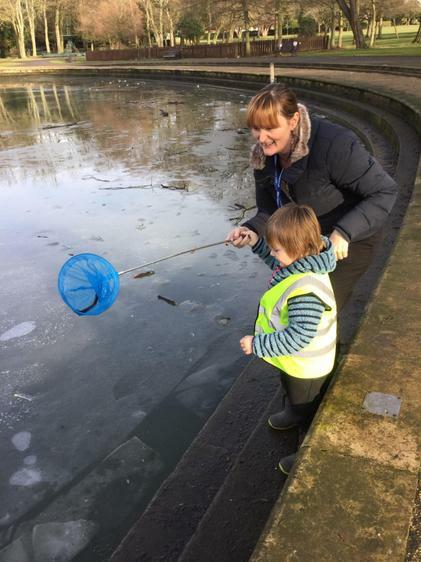 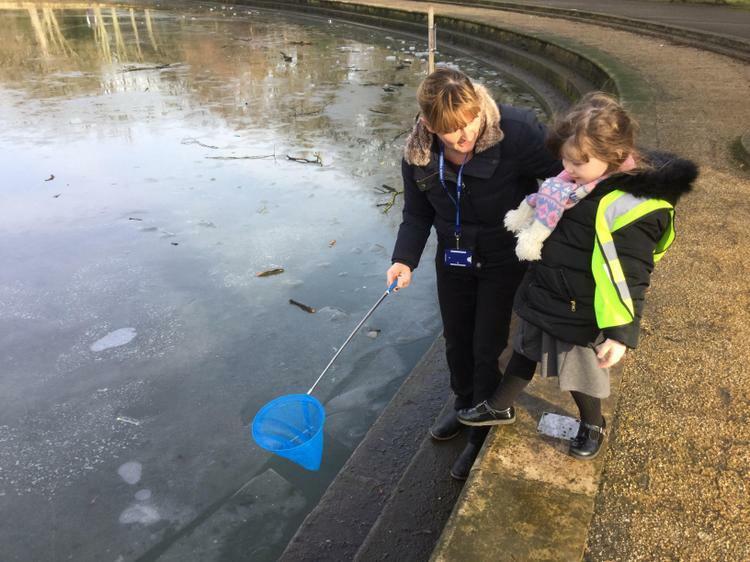 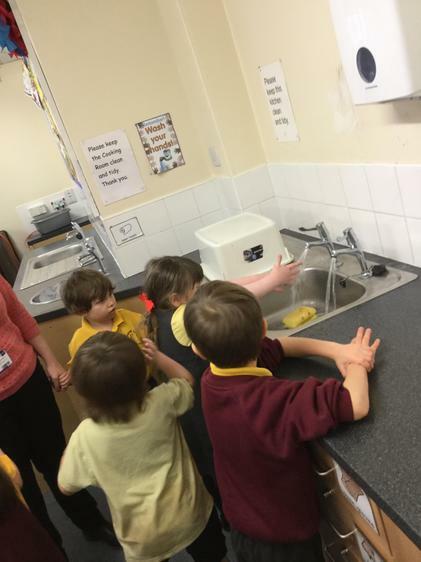 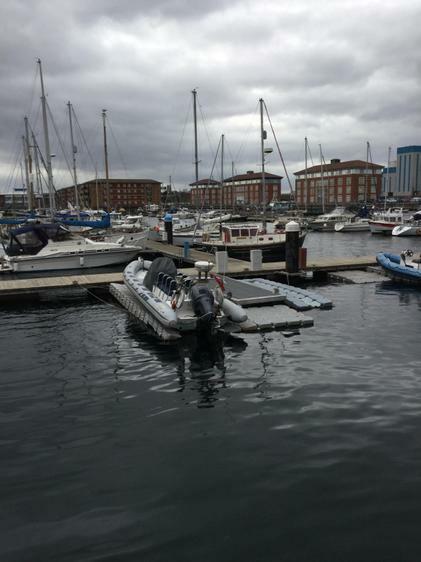 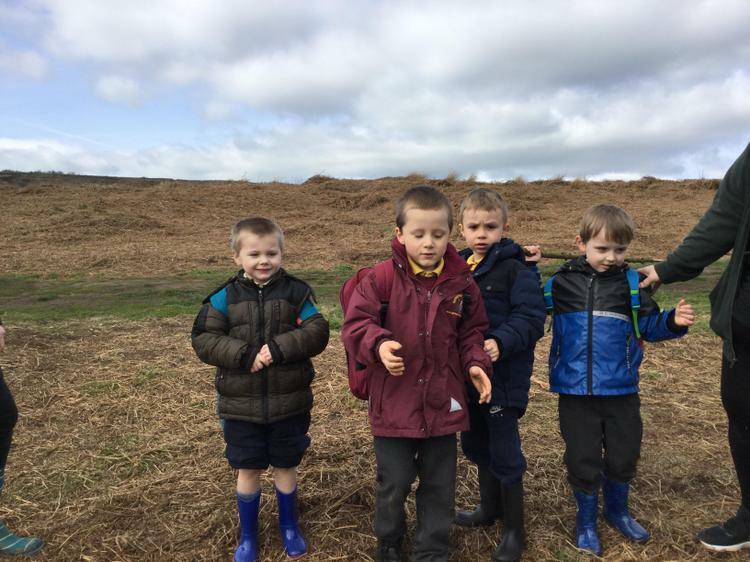 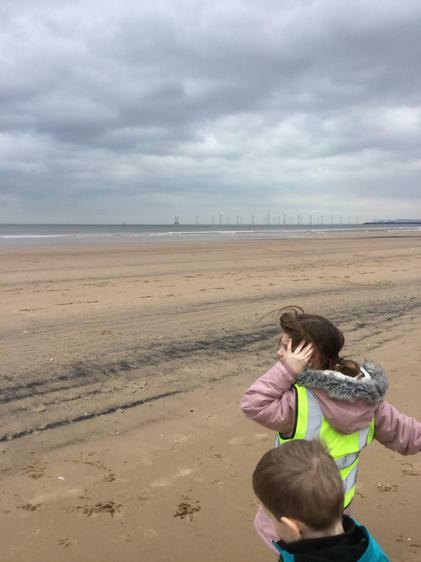 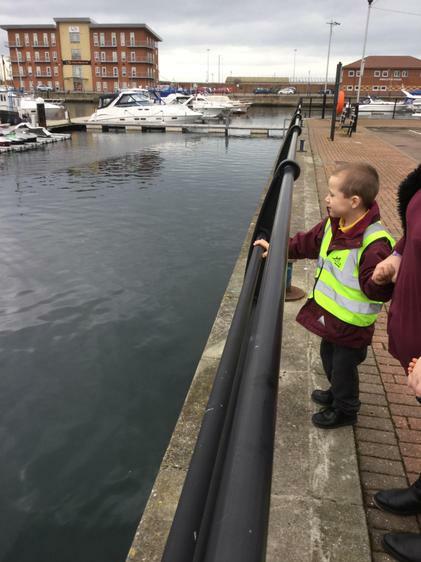 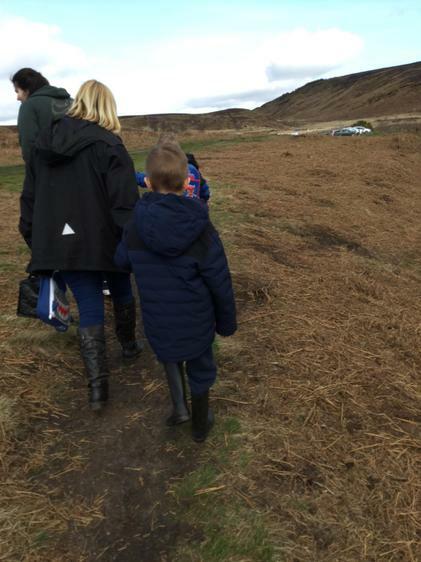 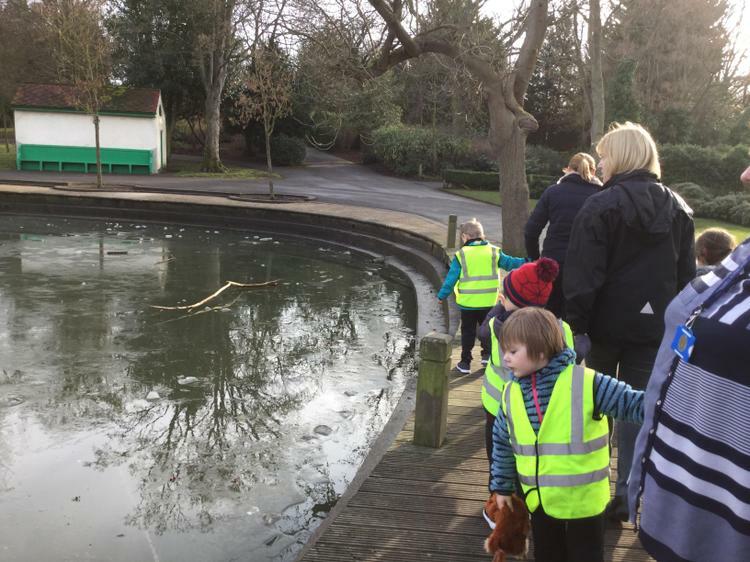 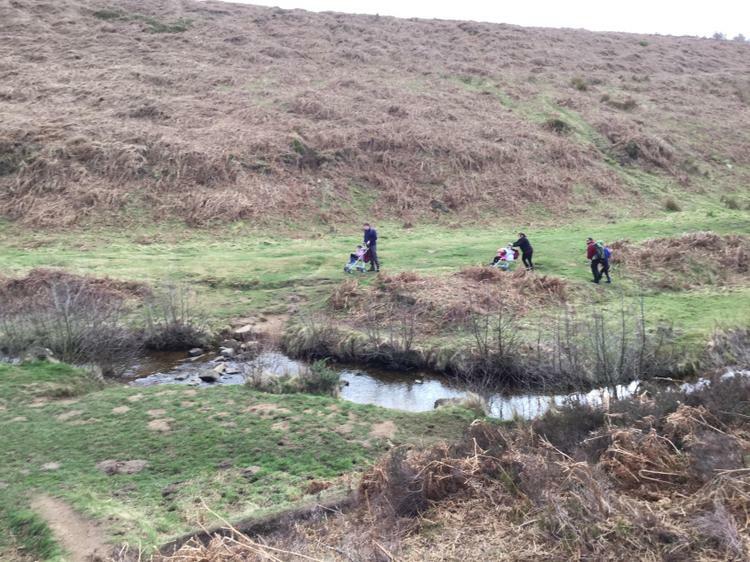 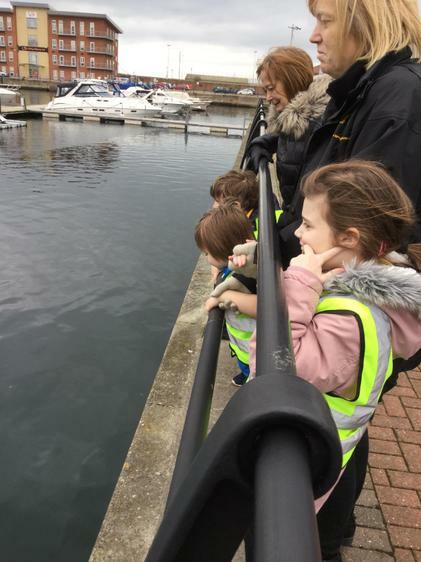 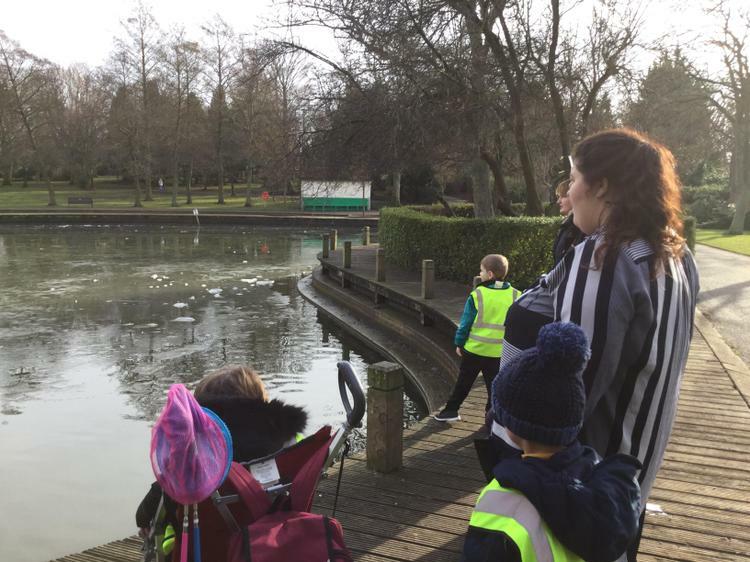 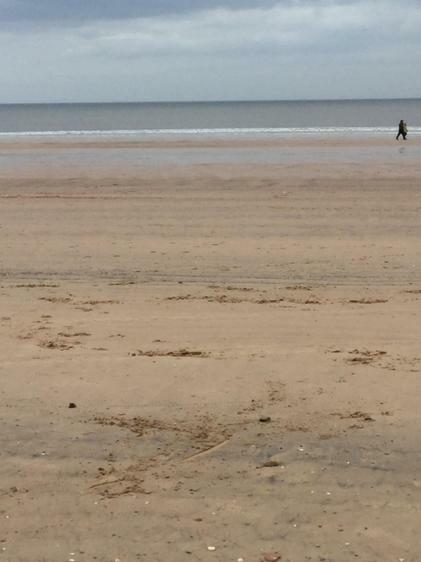 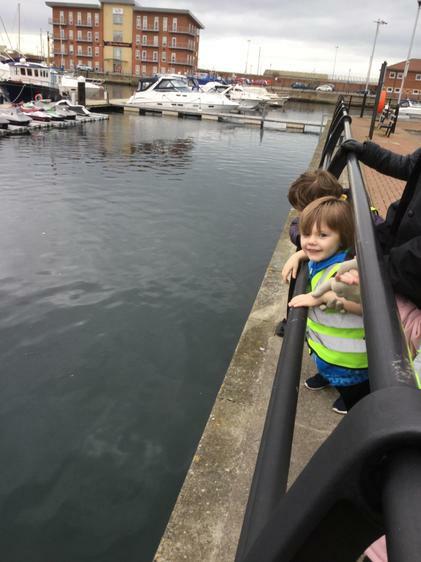 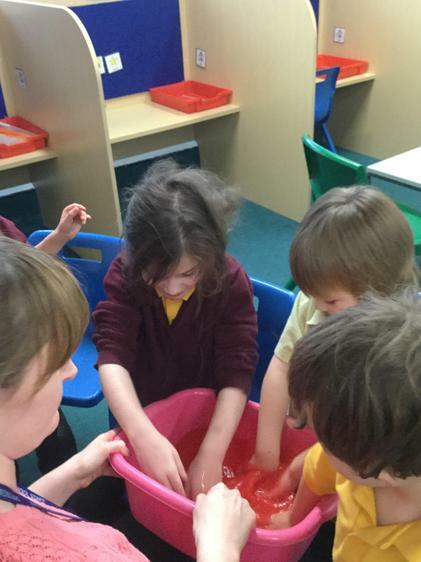 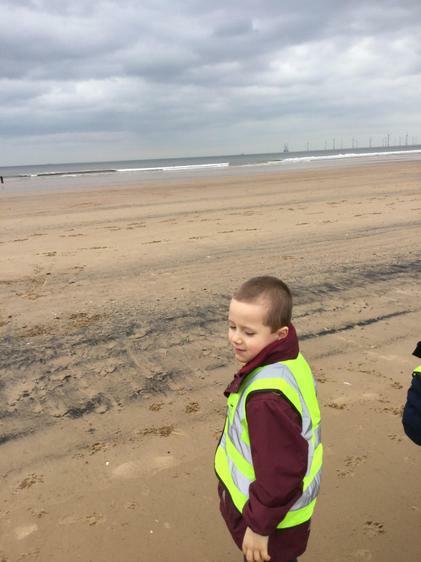 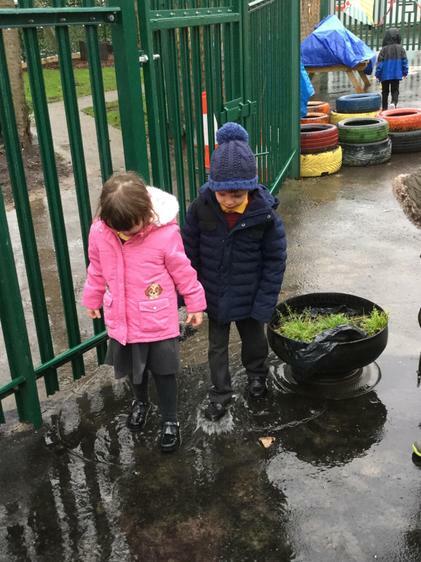 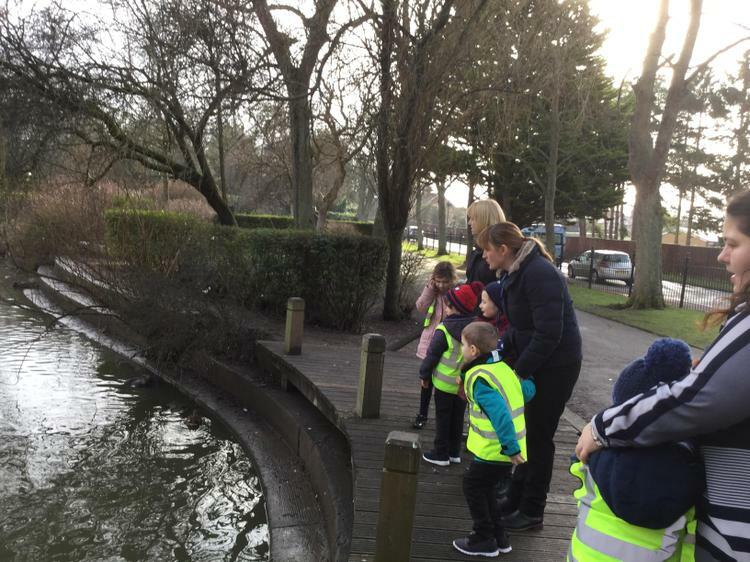 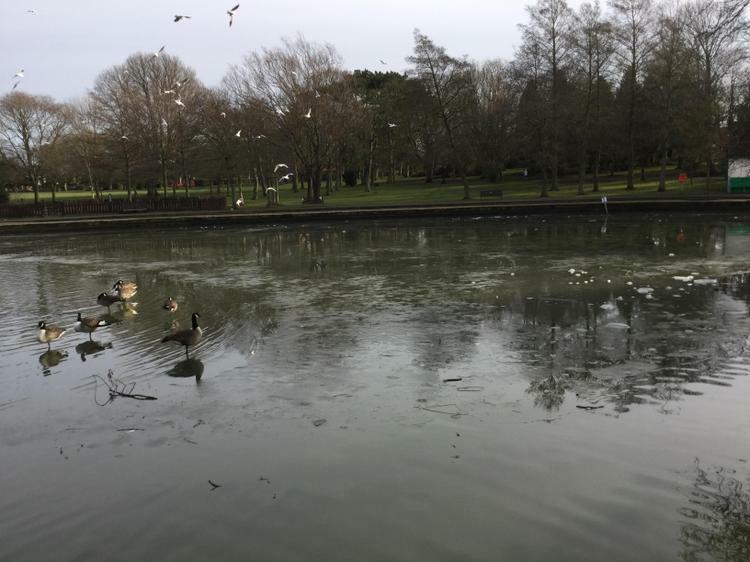 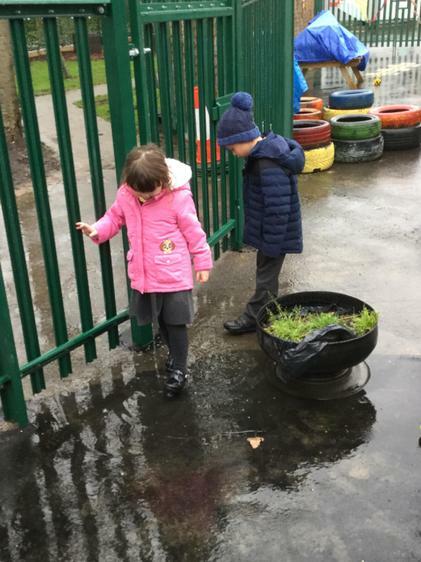 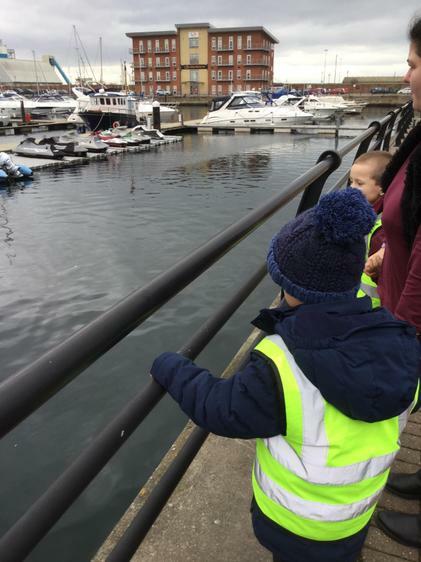 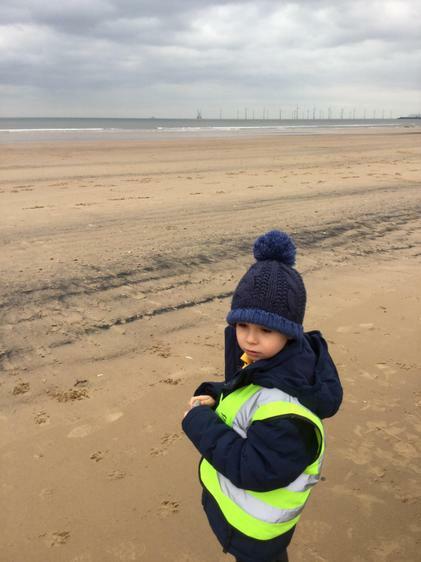 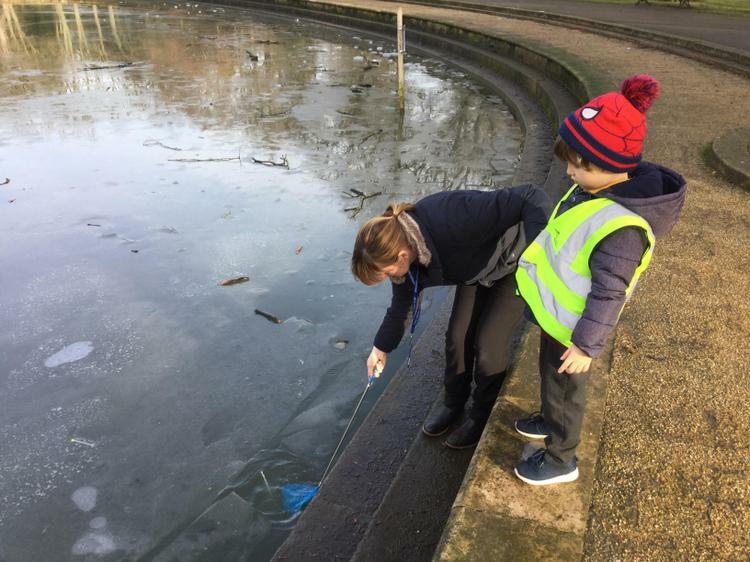 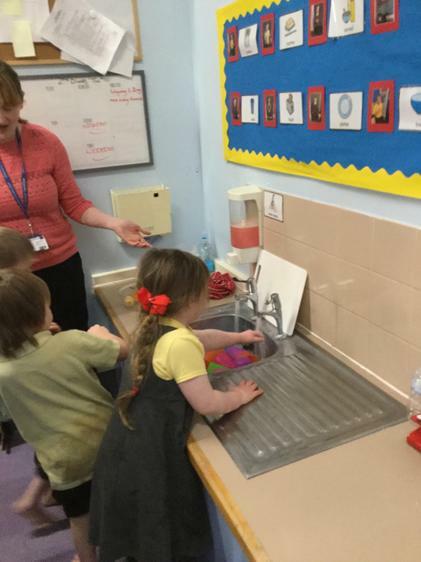 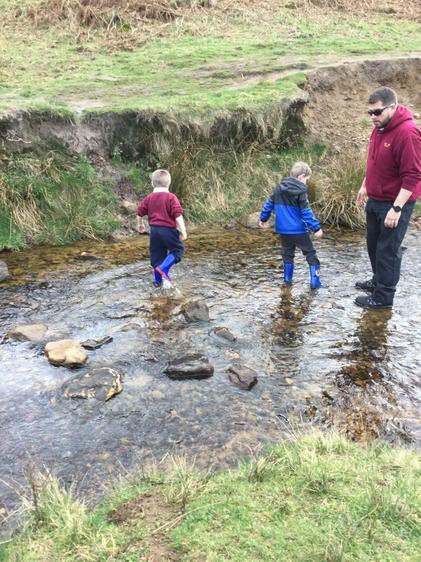 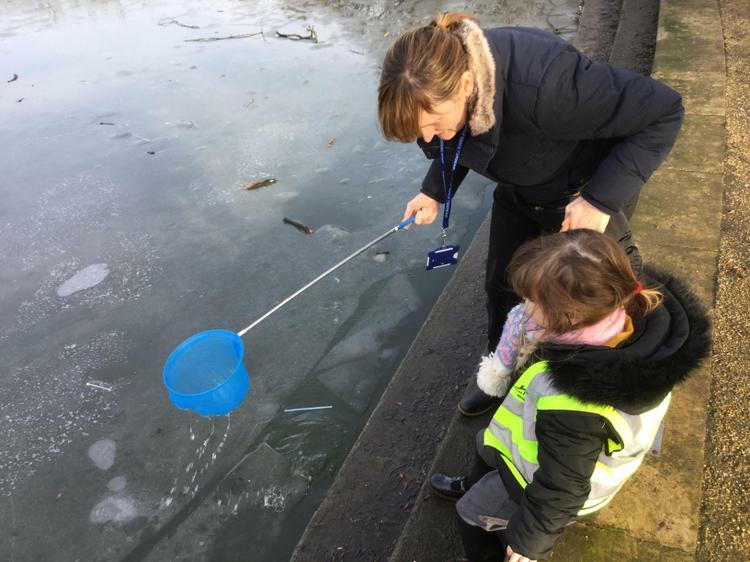 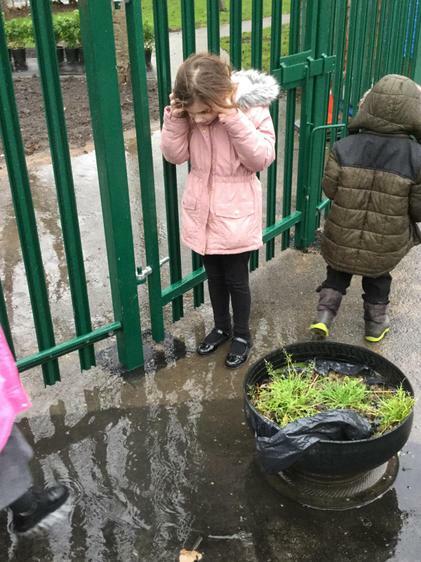 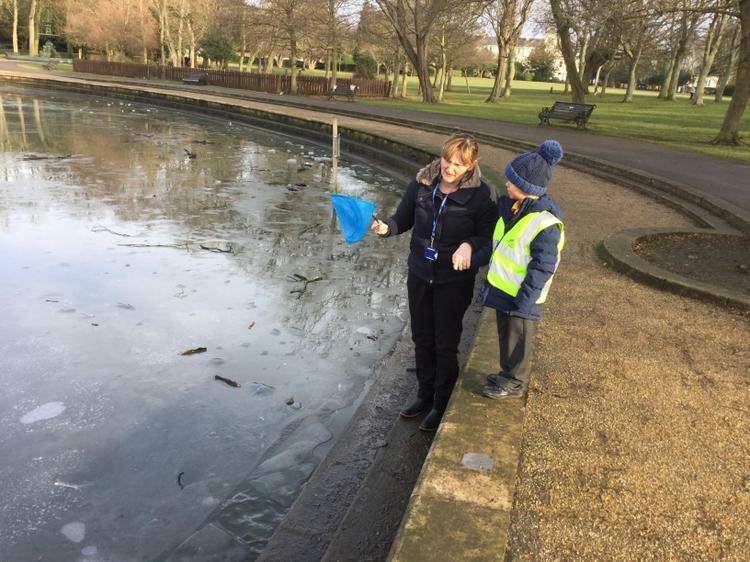 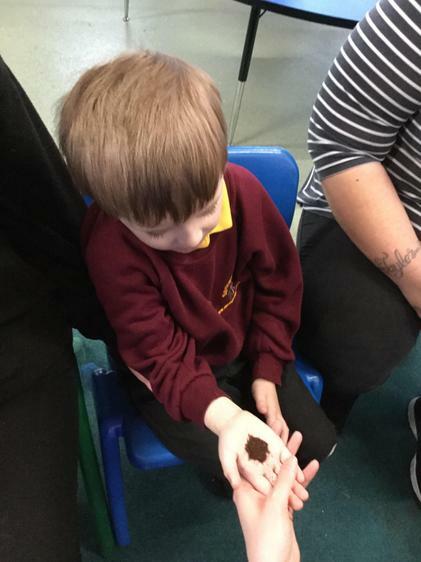 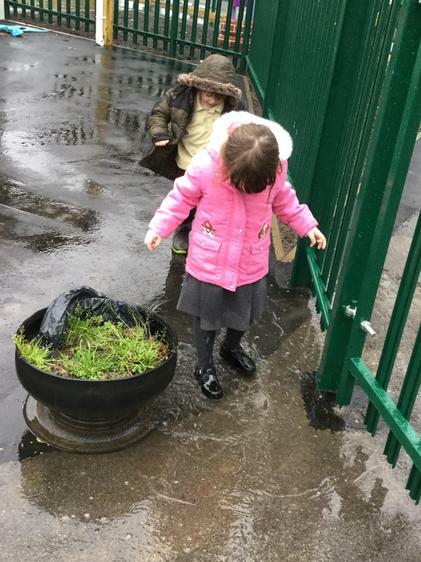 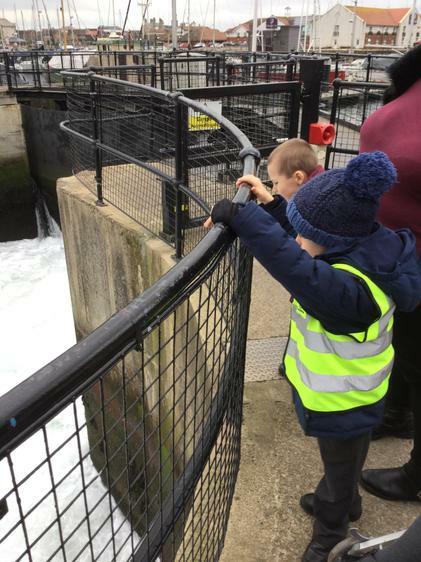 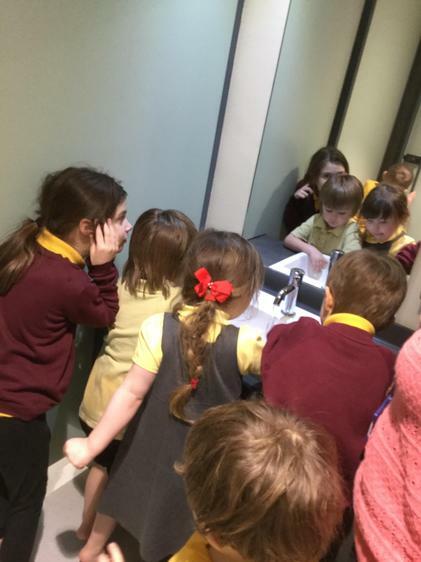 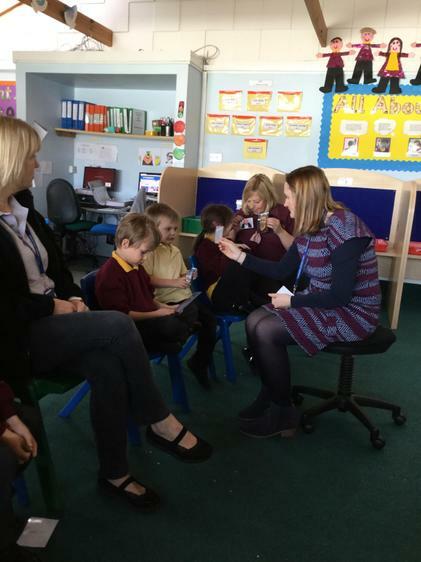 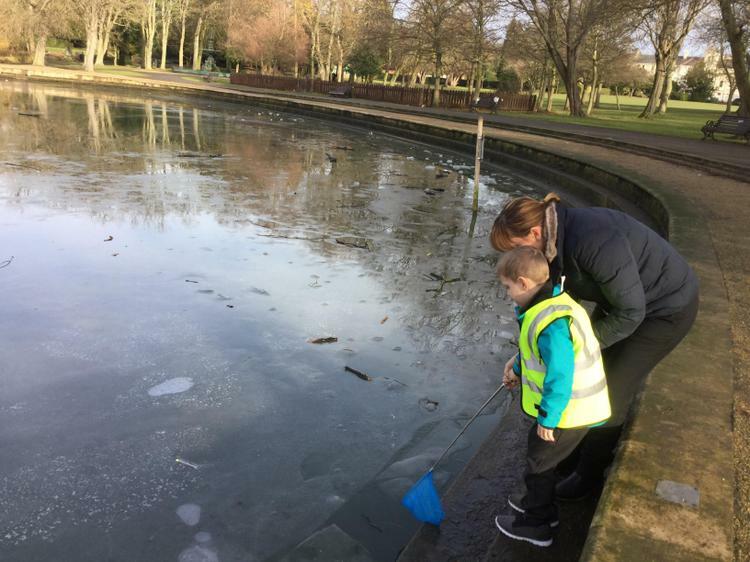 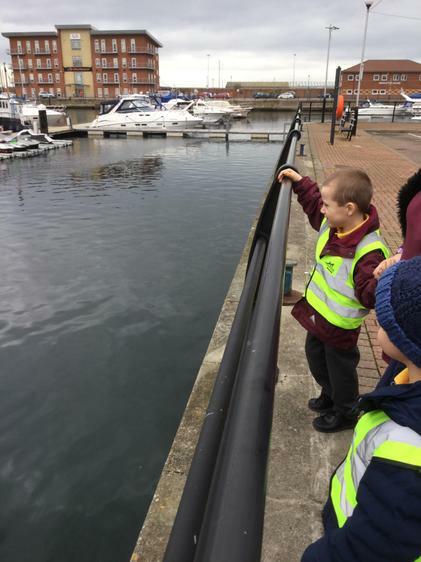 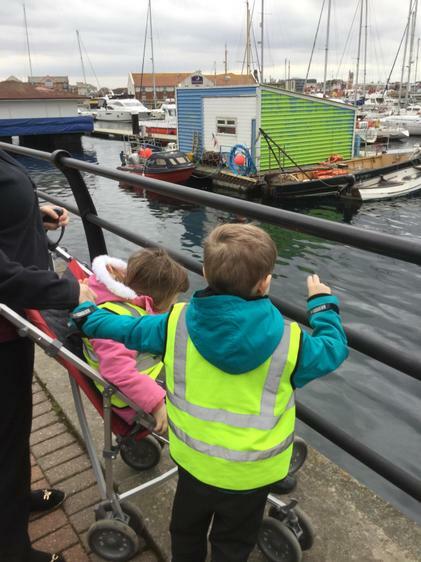 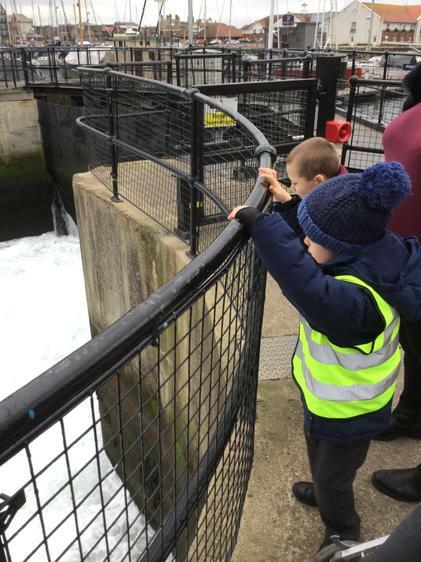 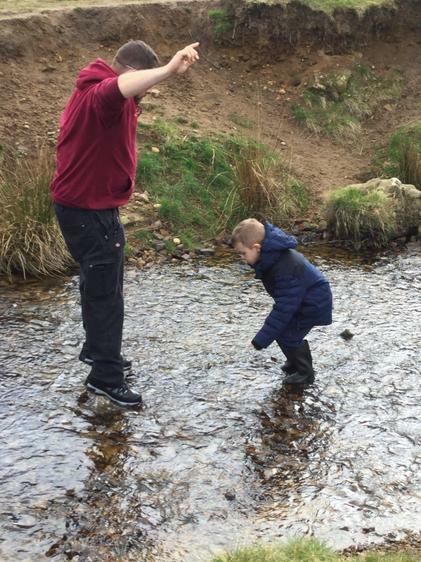 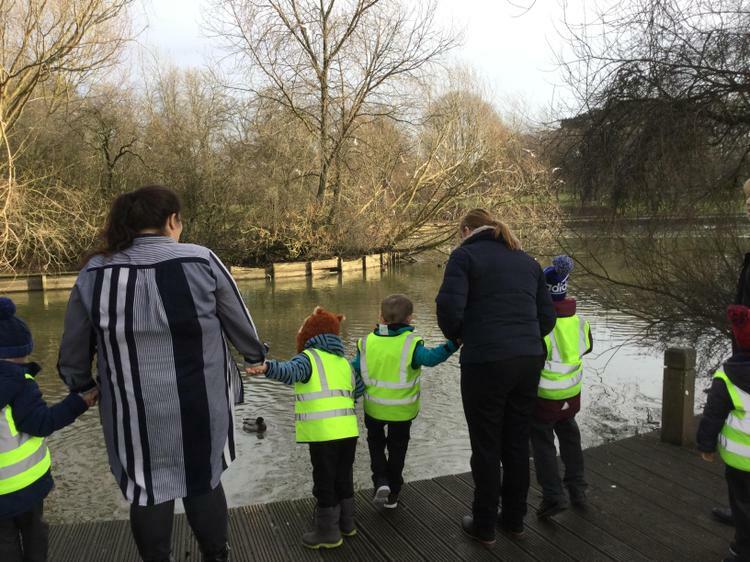 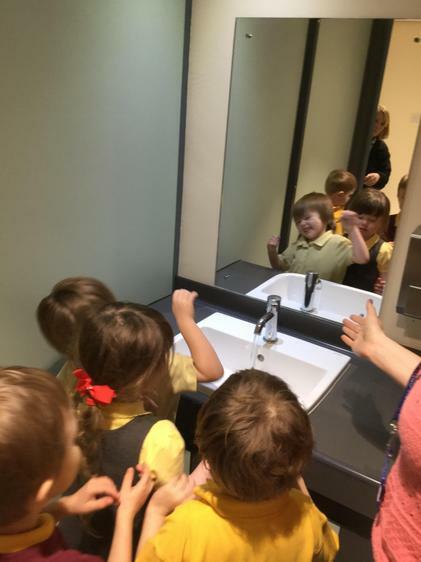 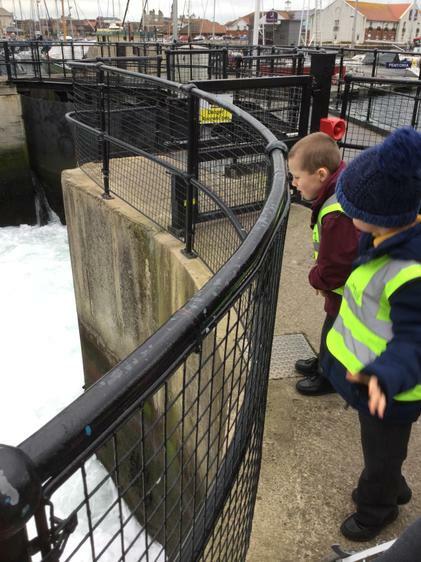 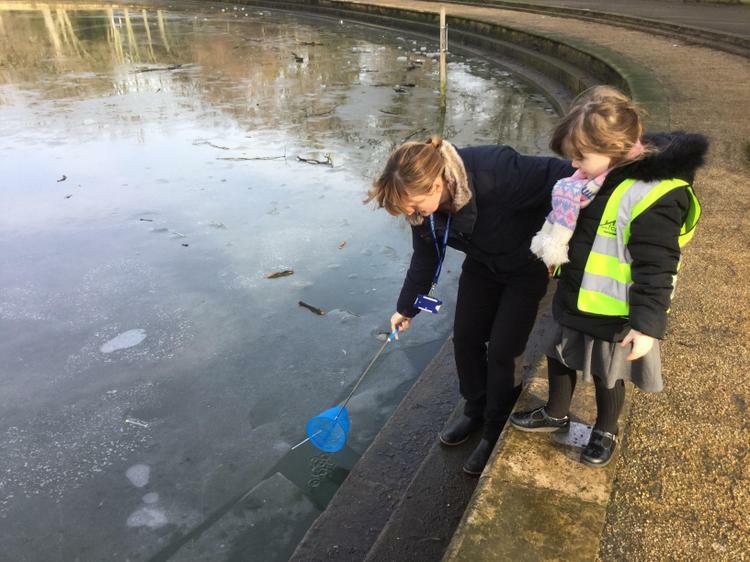 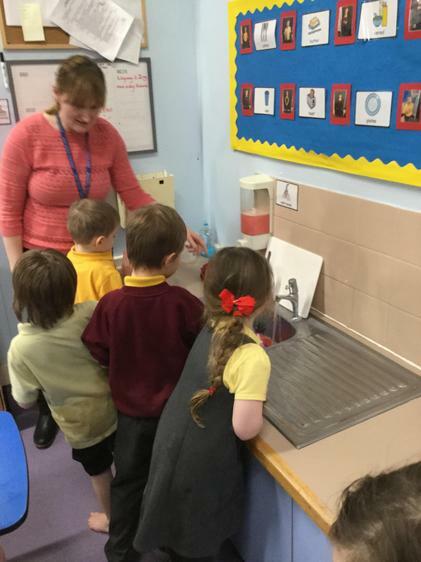 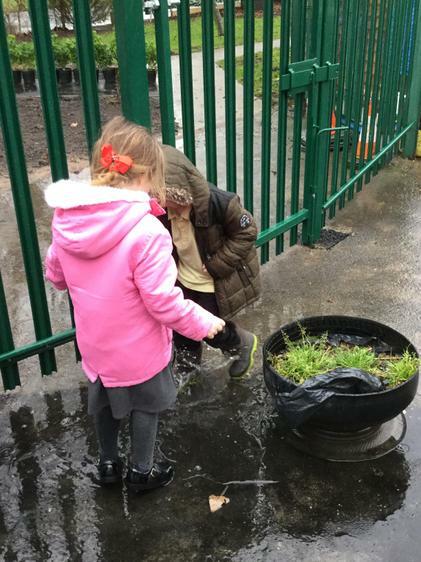 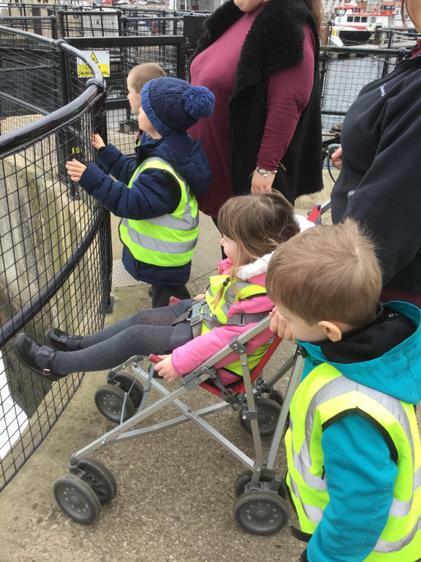 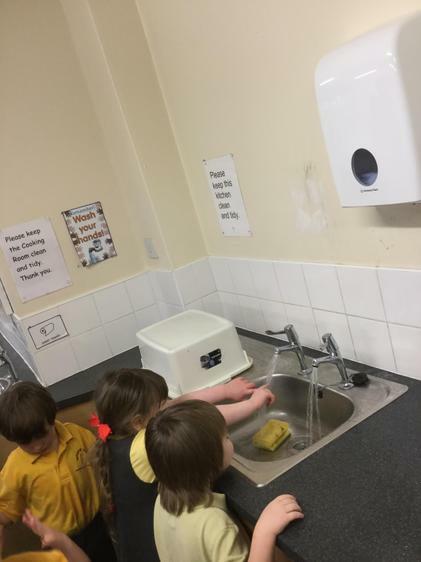 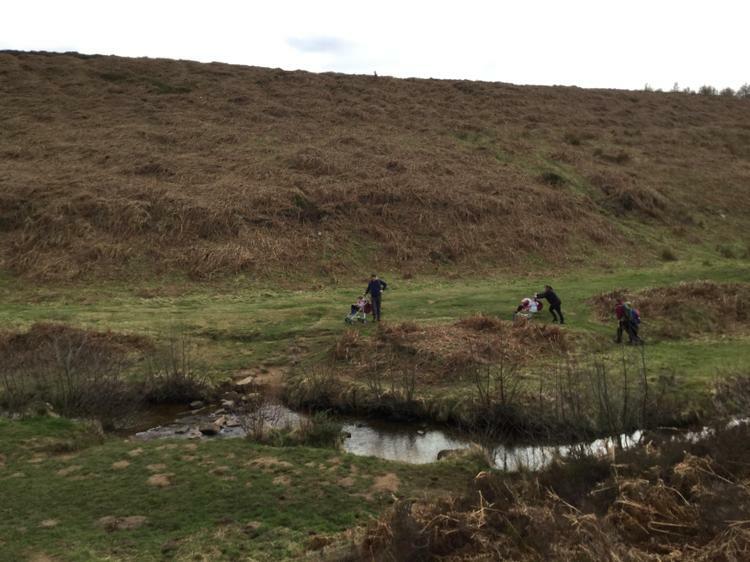 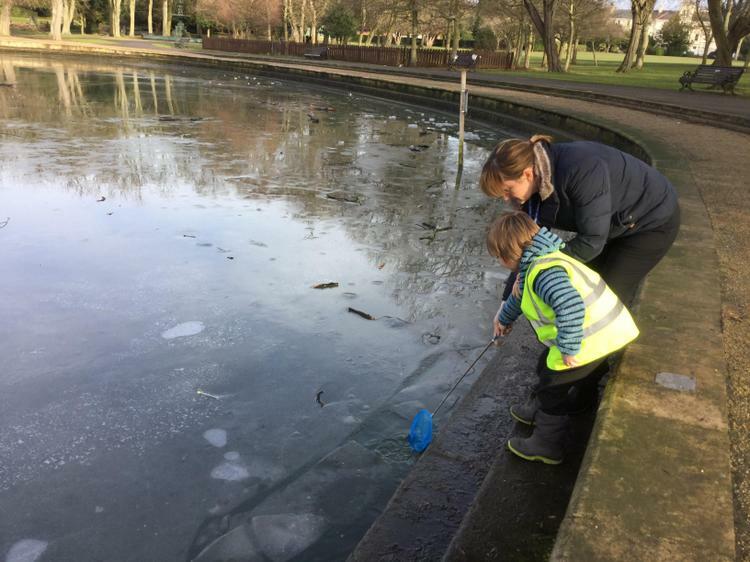 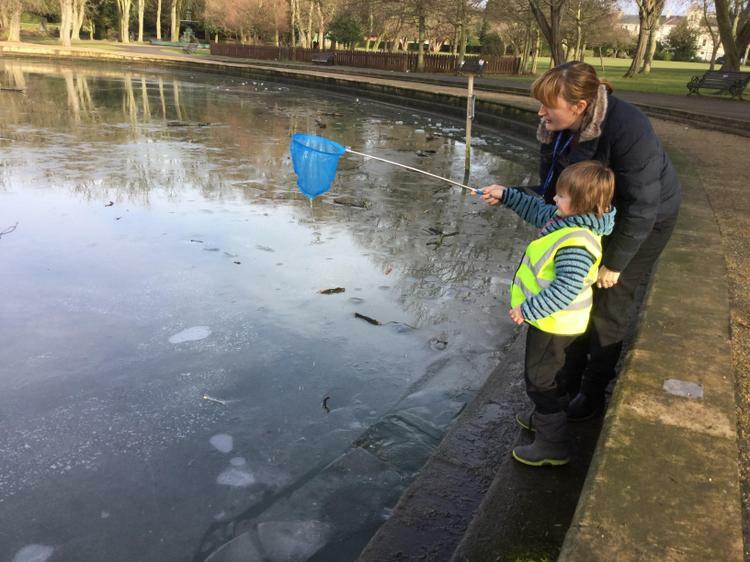 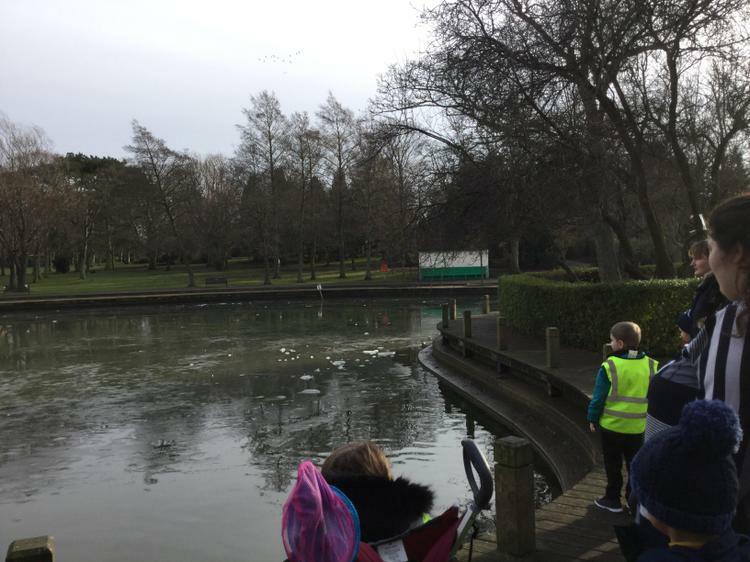 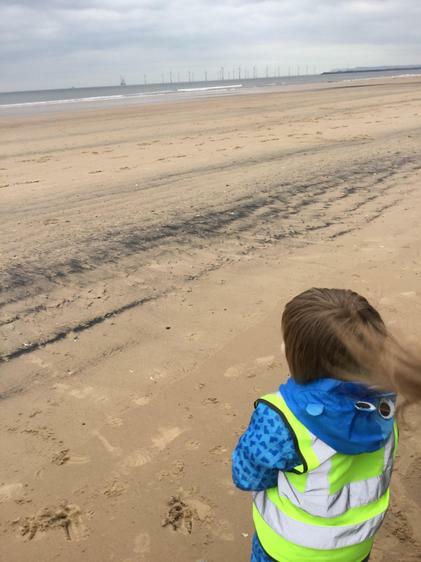 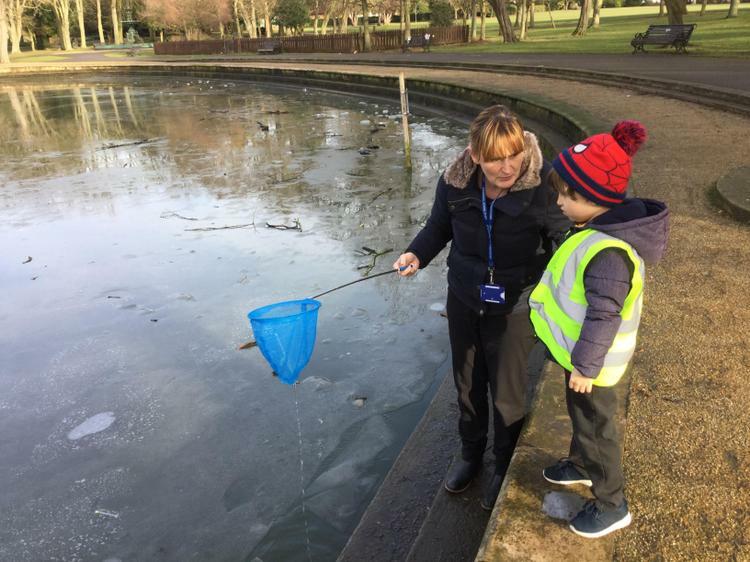 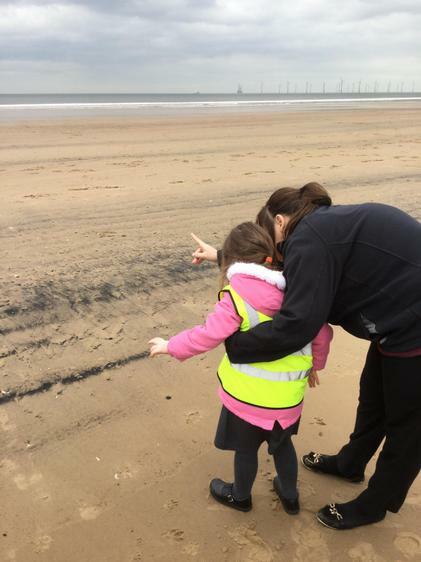 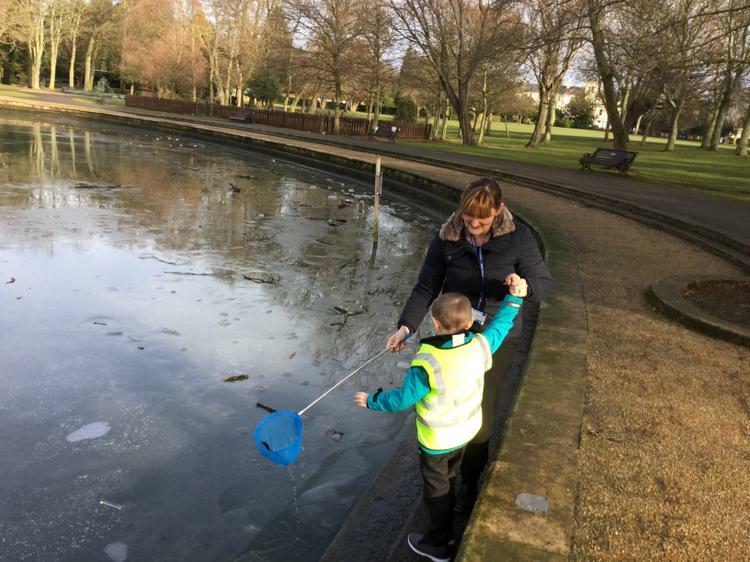 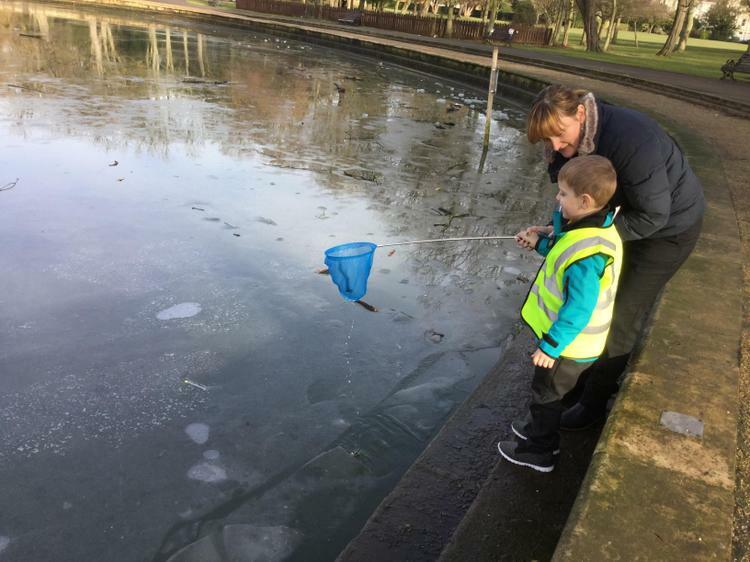 We've been looking at water; where we can find water within school , where we can find water within the locality , we visited the beach at Seaton Crew, the Marina and, the pond at Ward Jackson park. 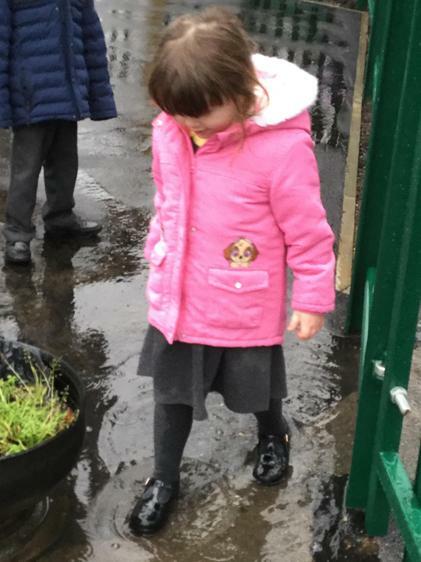 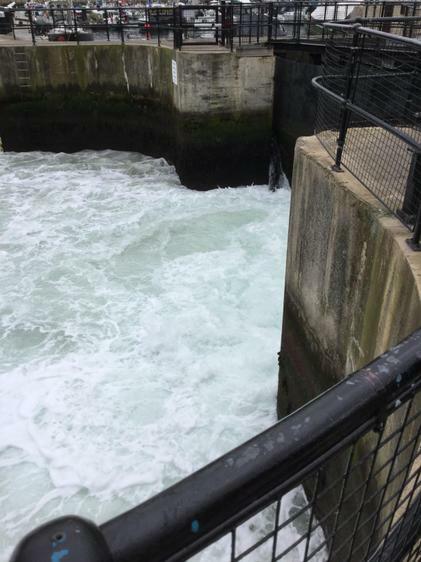 Water water everywhere!!! 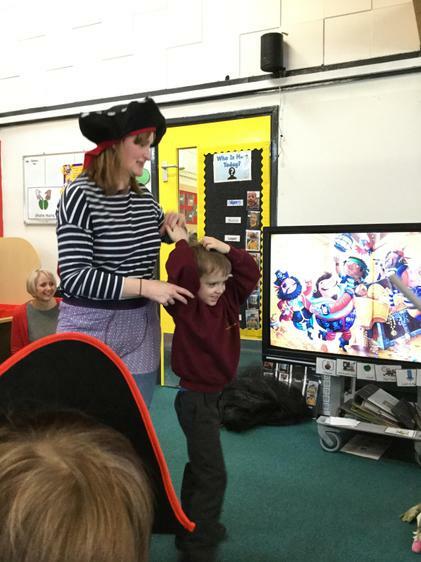 We've been reading this story about pirates - we've loved it! 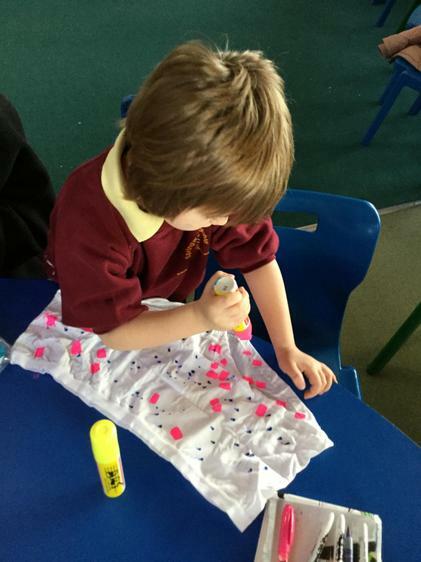 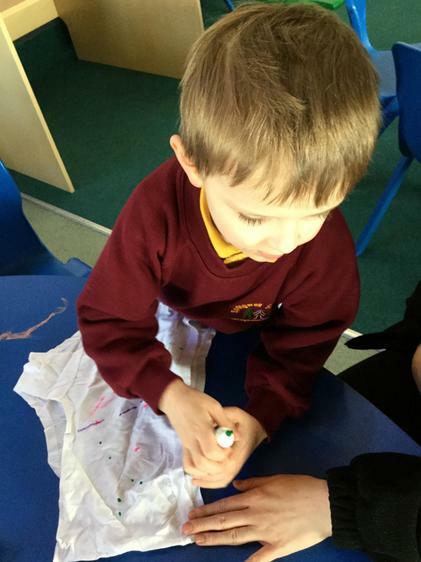 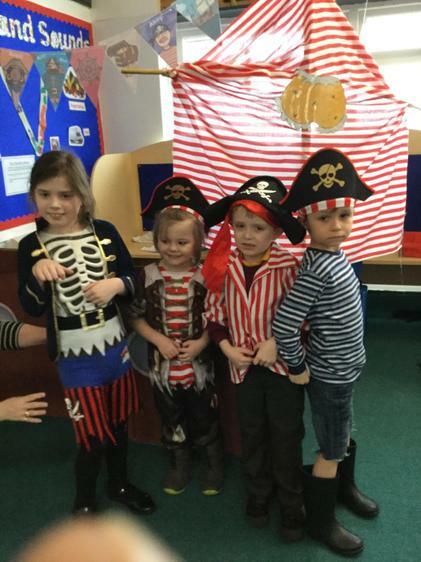 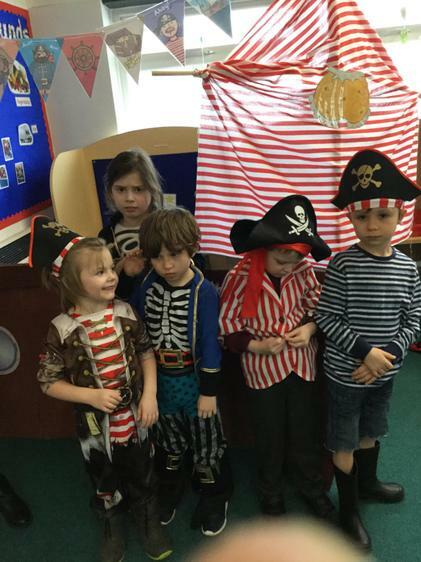 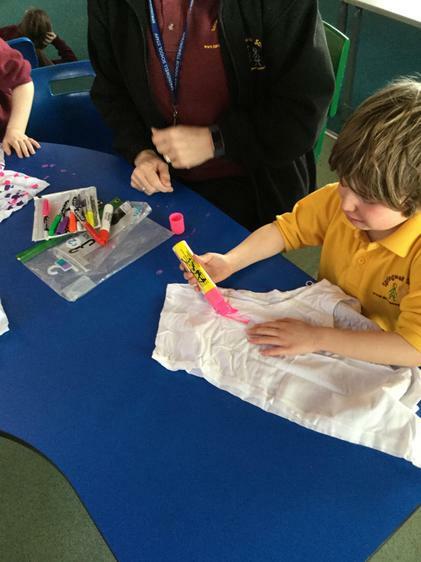 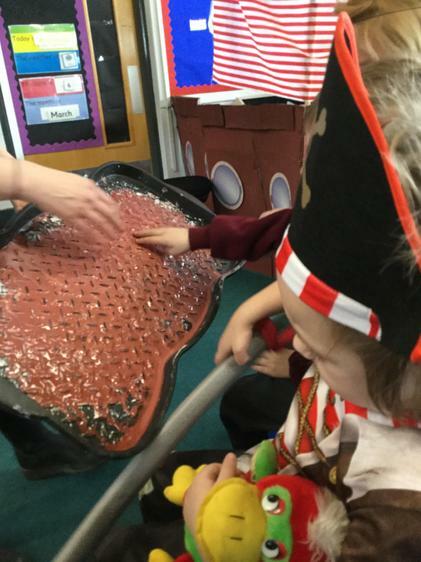 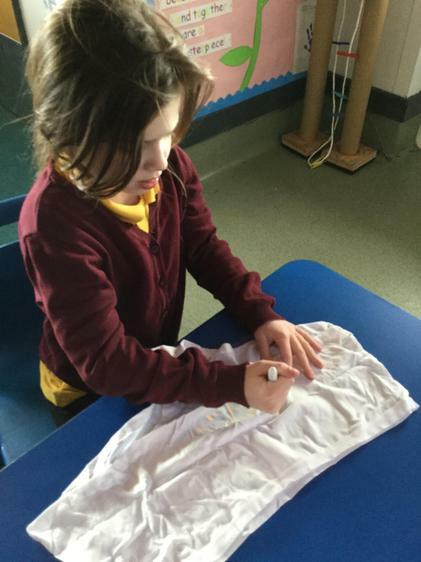 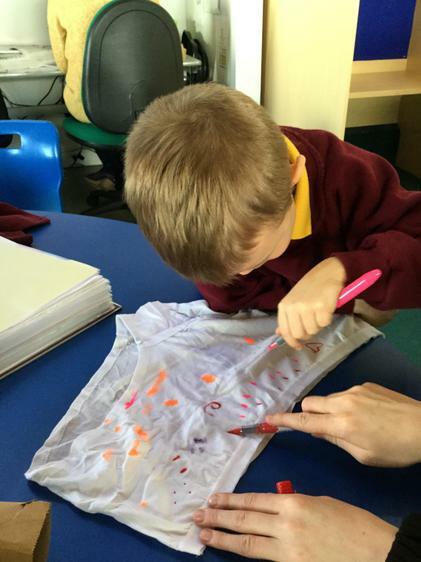 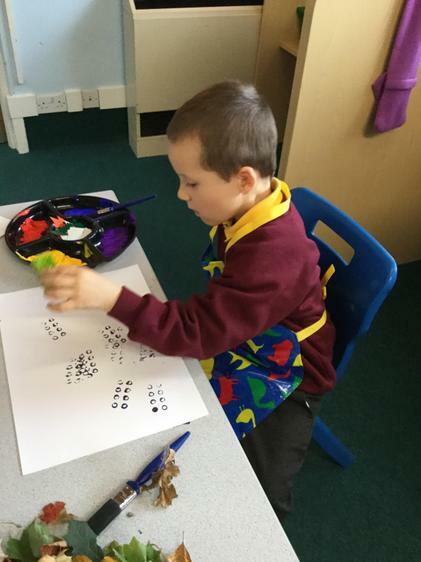 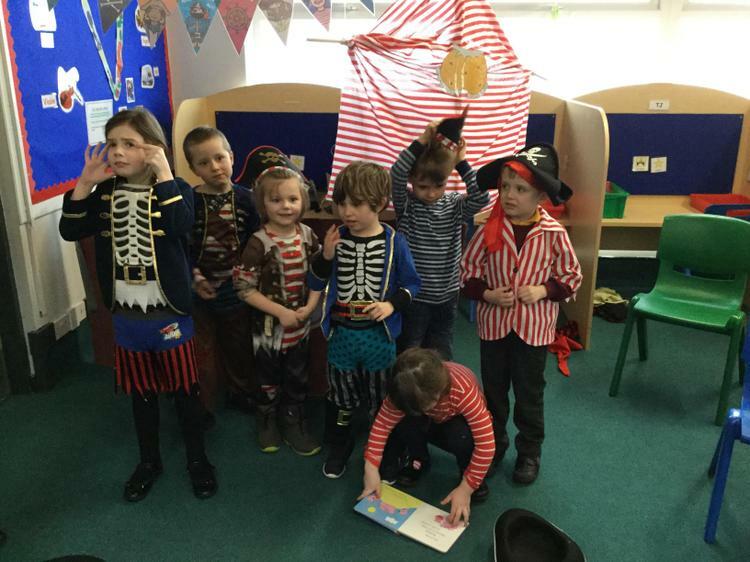 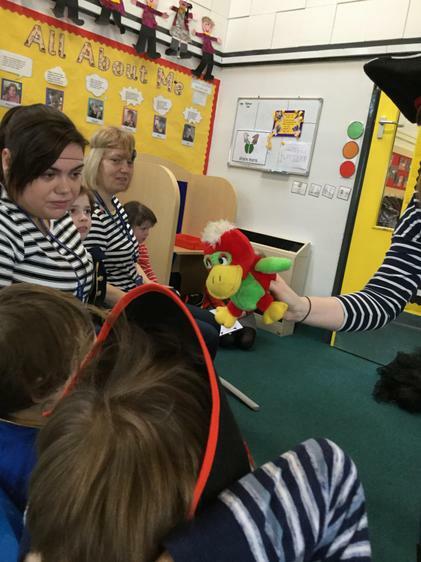 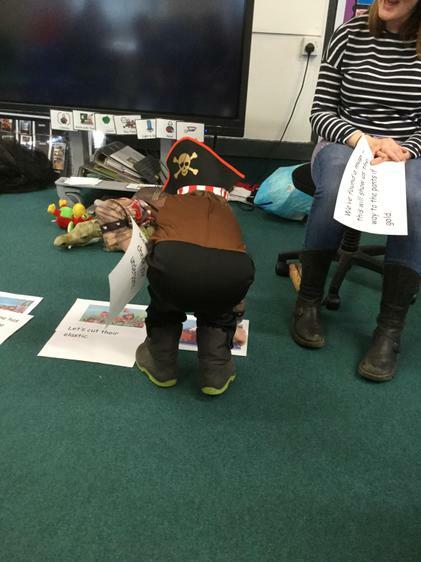 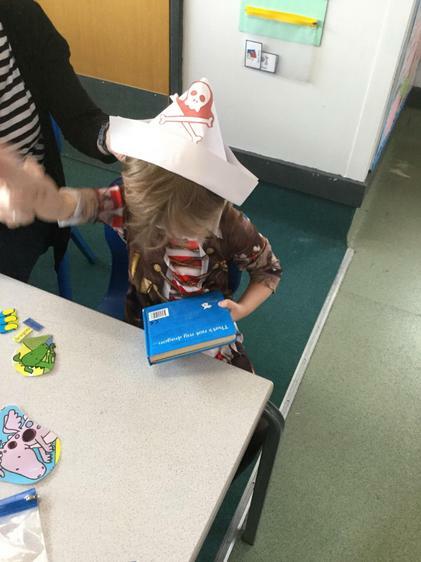 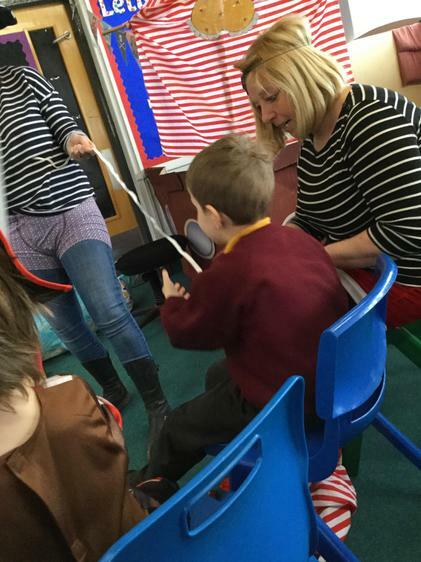 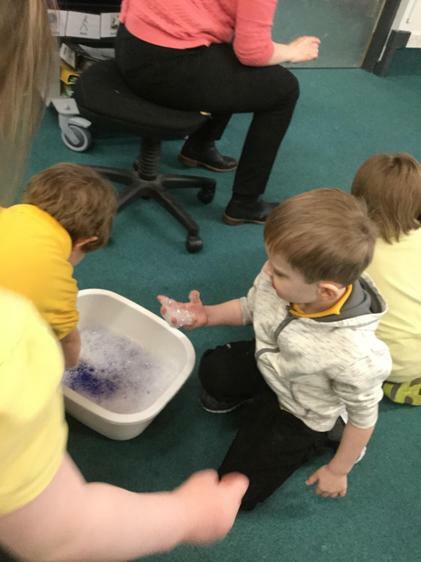 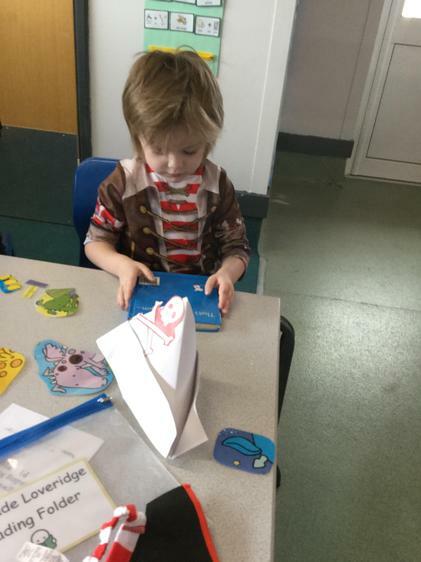 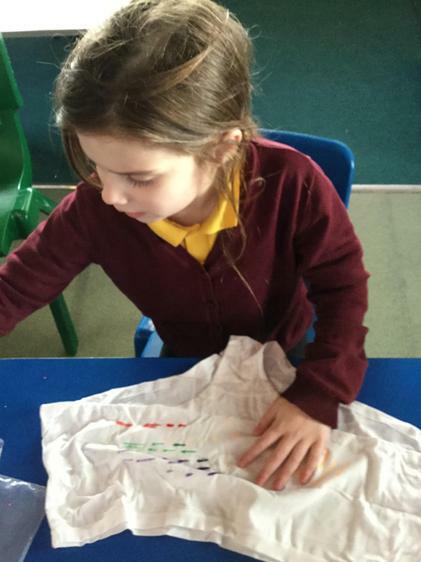 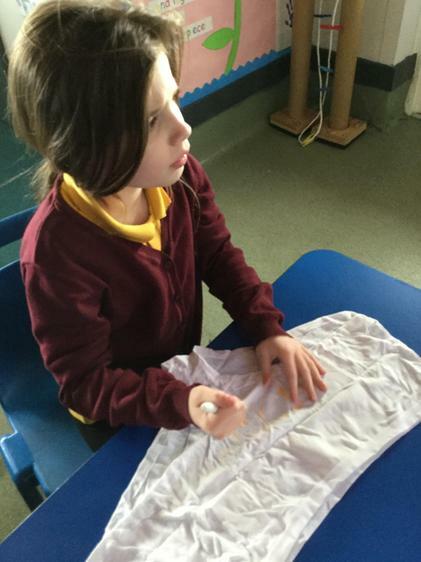 We turned part of the classroom into a ship, we dressed as pirates, we made pirate hats, we made wanted posters, decorated underpants and parrots. 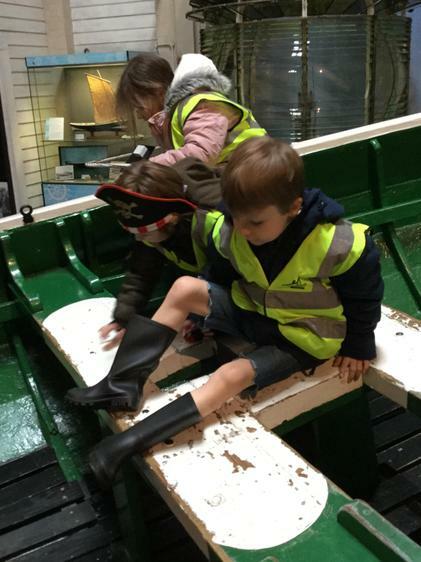 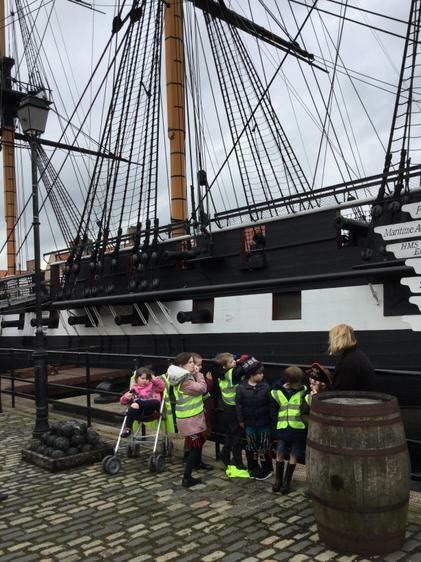 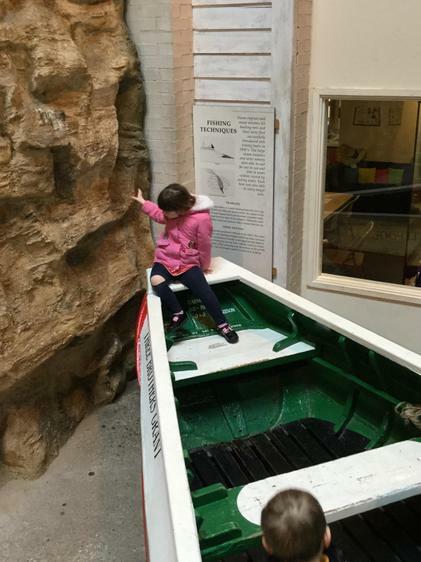 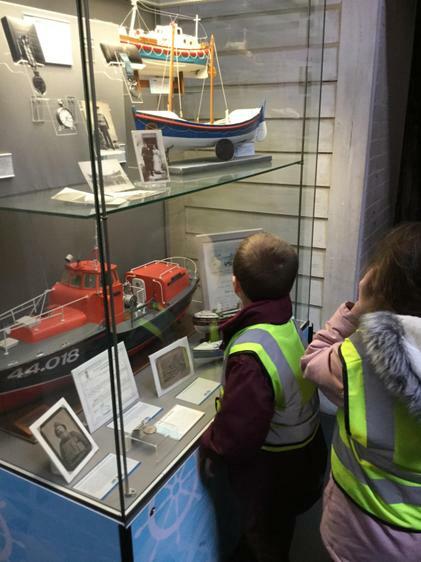 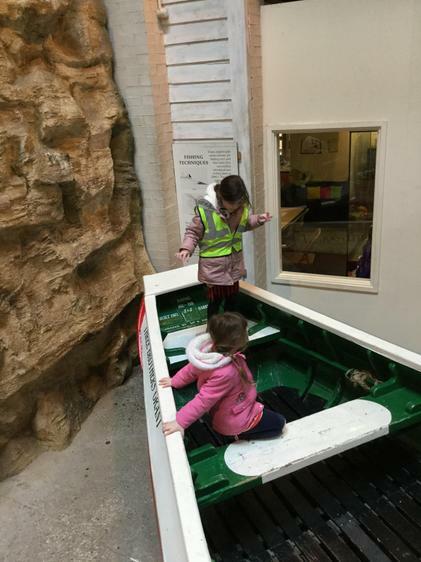 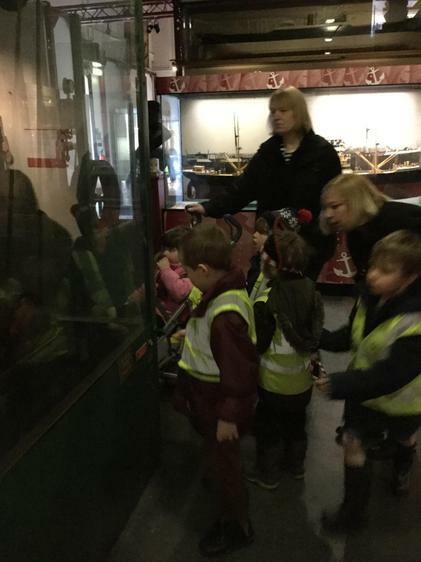 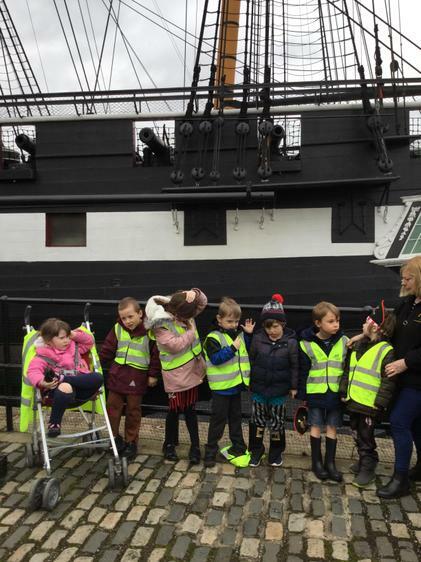 We visited the Historic Quay and explored the ships there. 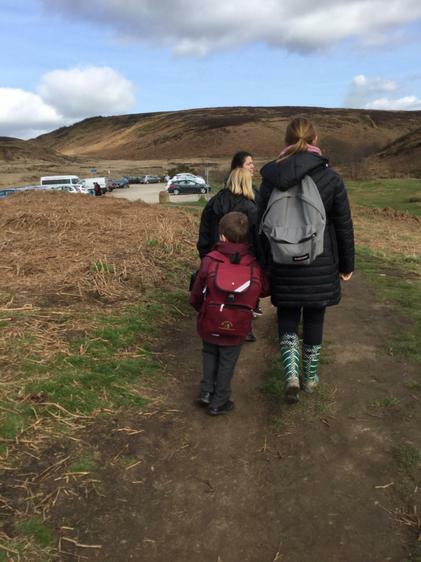 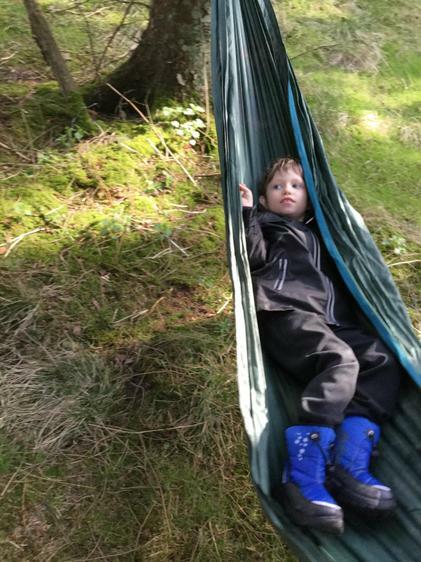 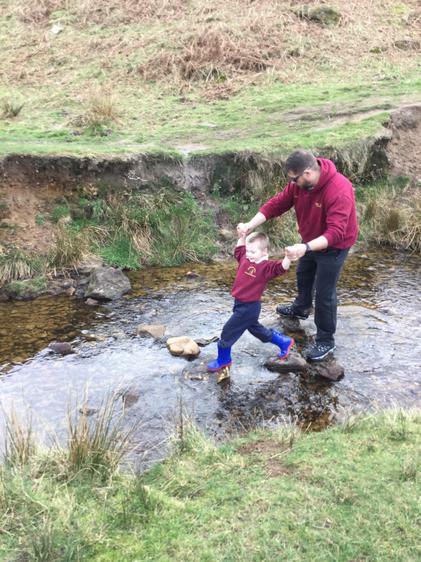 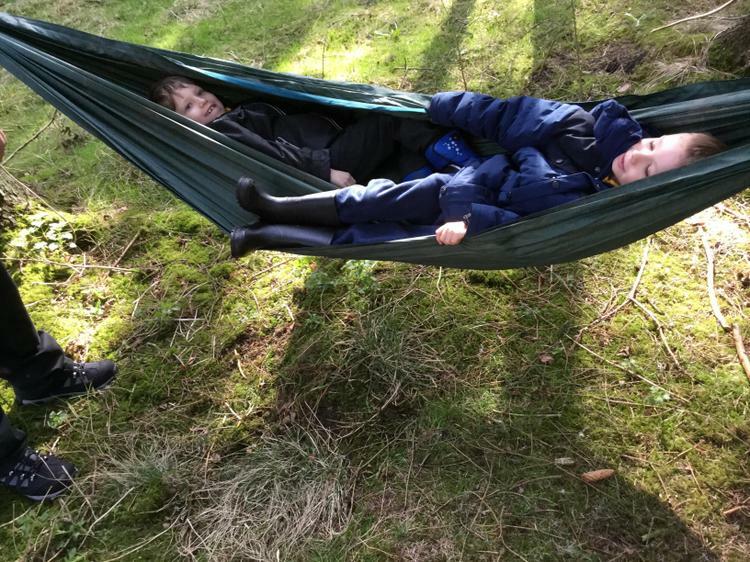 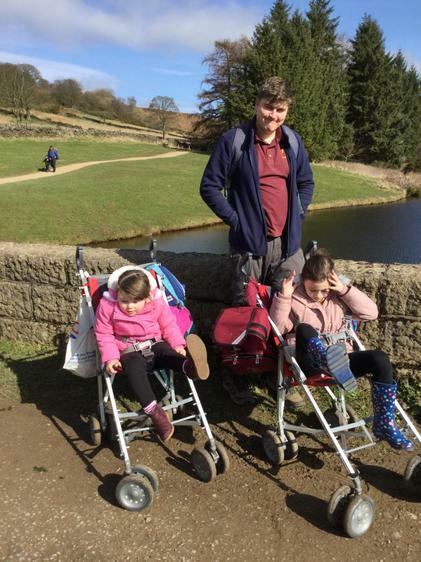 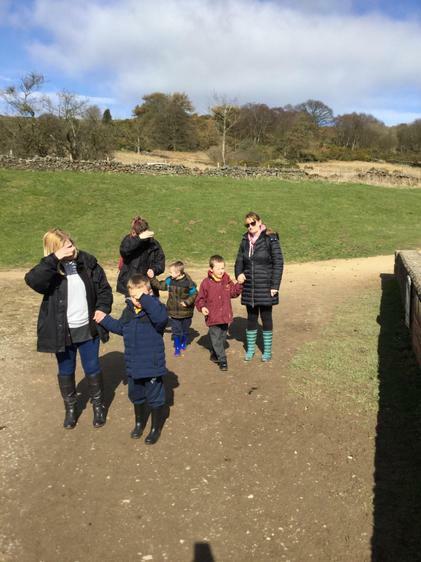 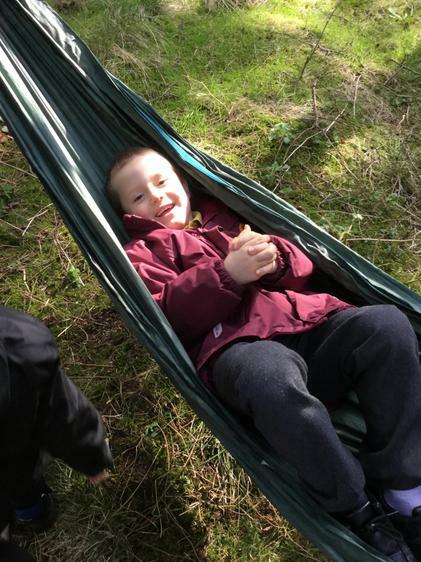 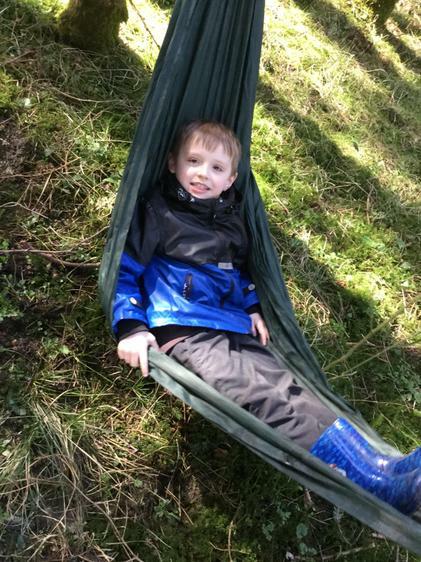 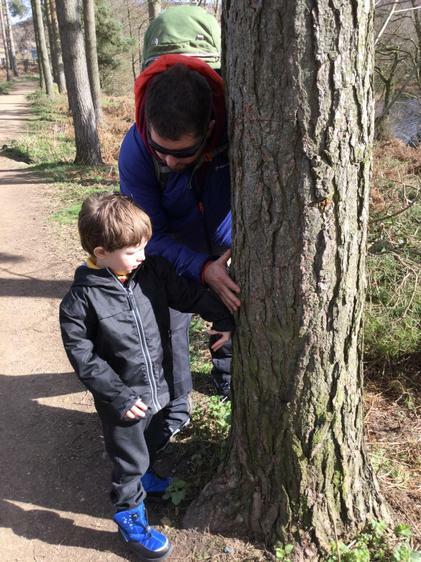 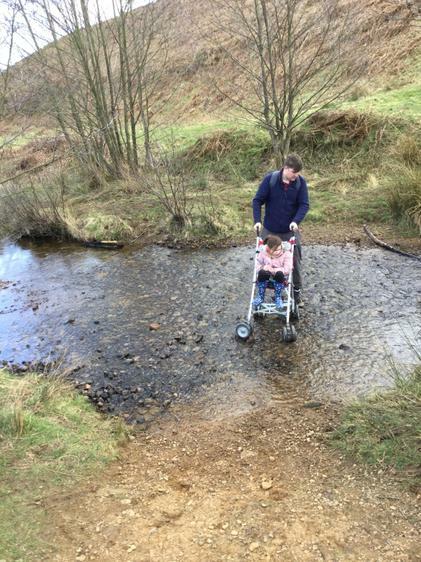 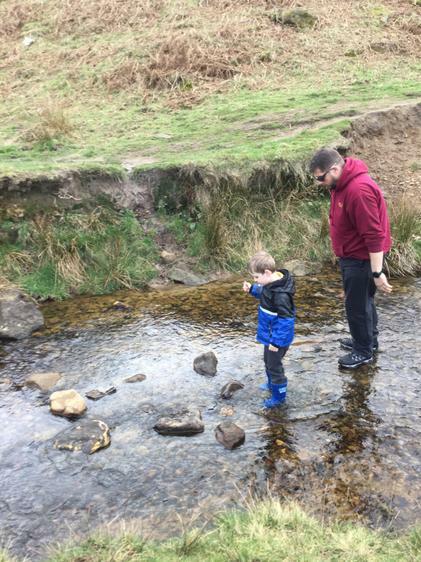 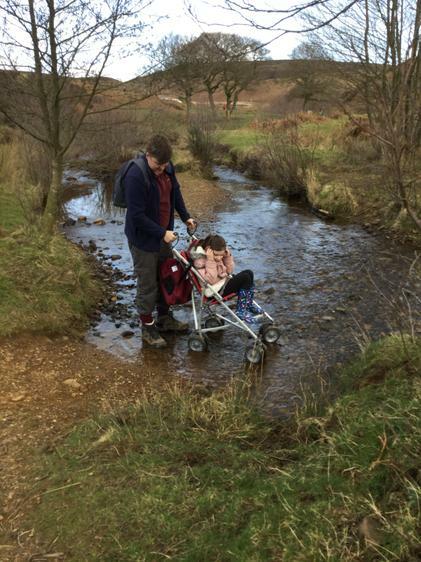 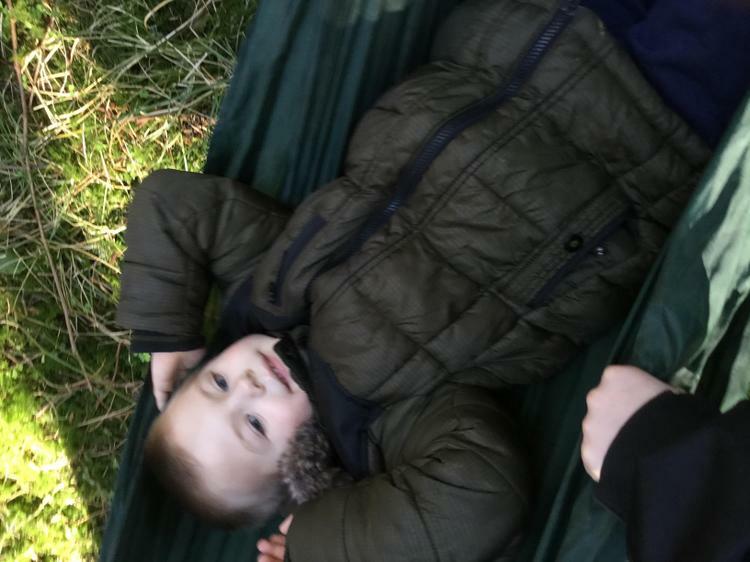 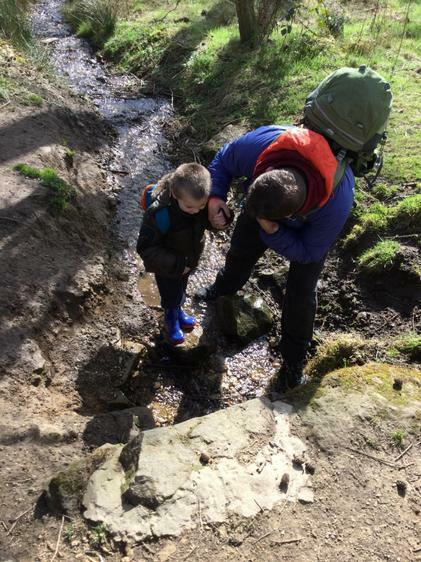 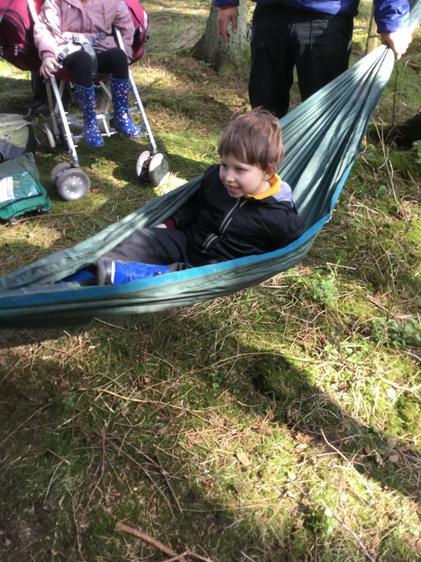 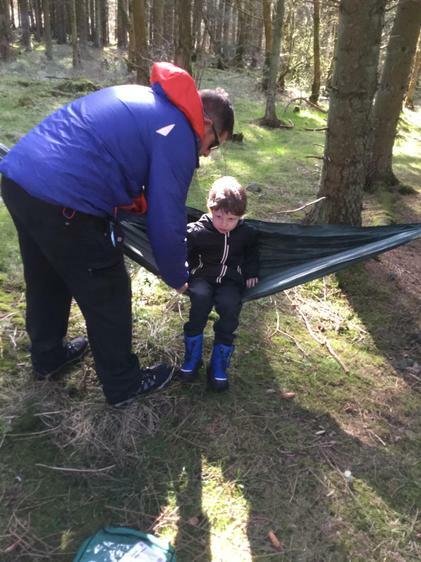 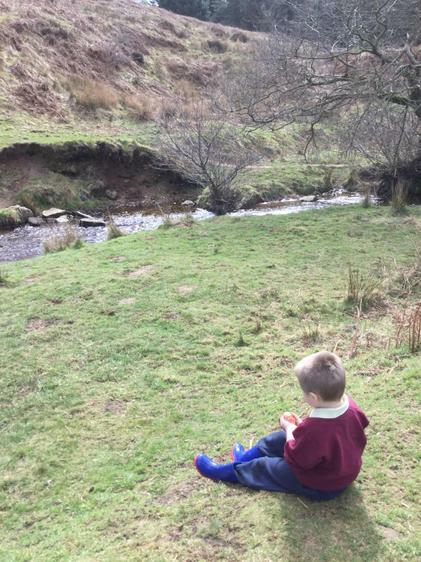 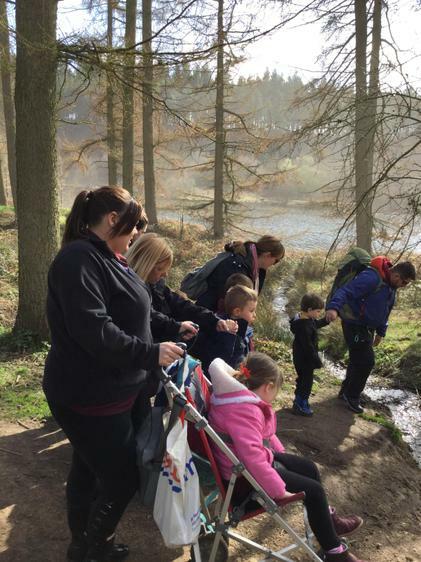 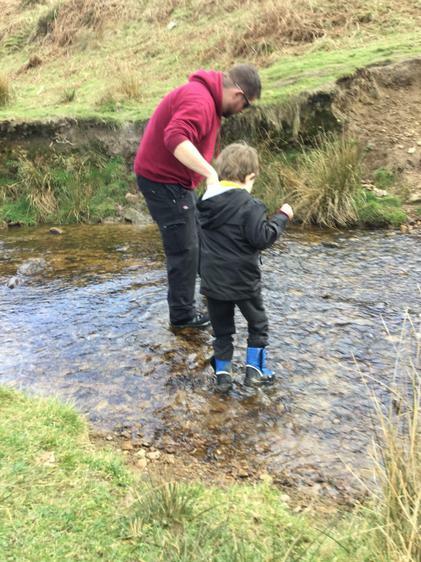 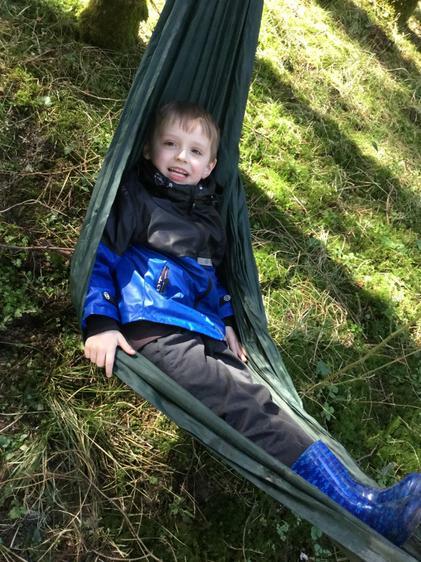 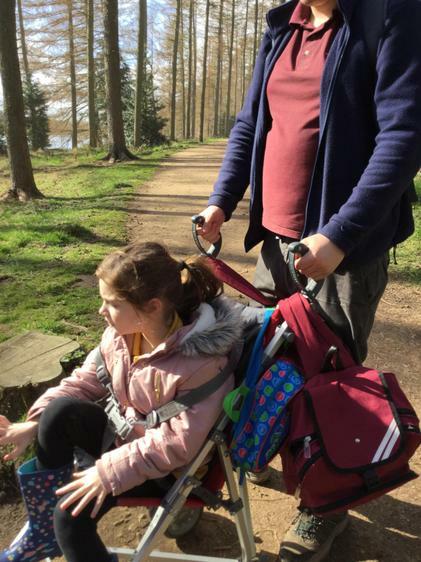 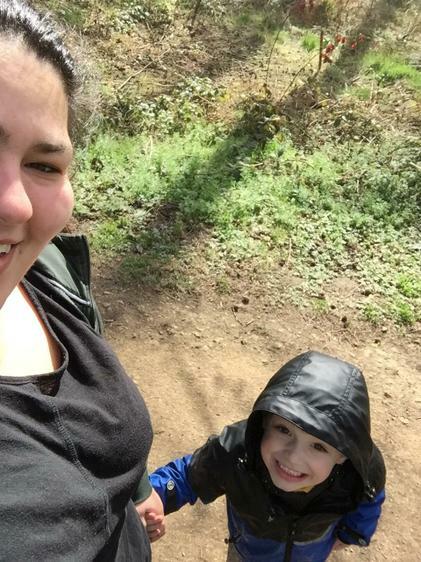 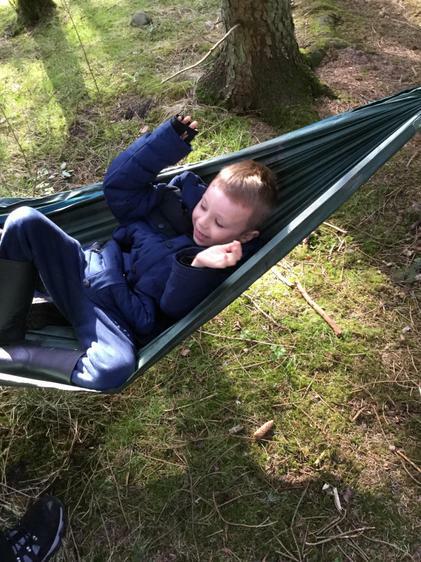 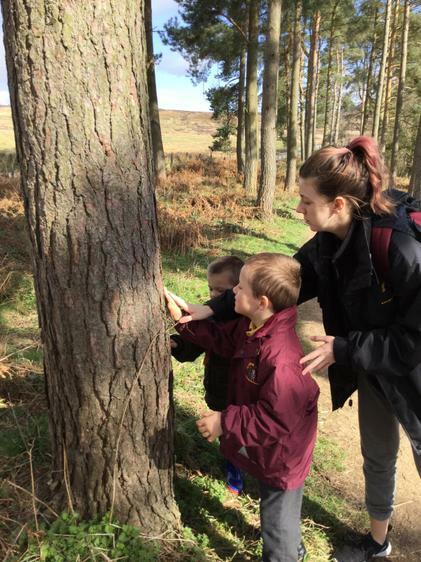 We had a lovely day at the reservoir at Osmotherly we walked and explored the environment - we rested in hammocks , had our lunch by the stream and listened to the birds.